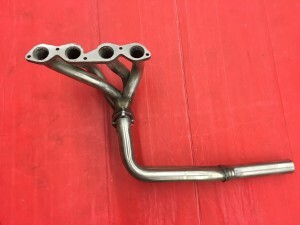 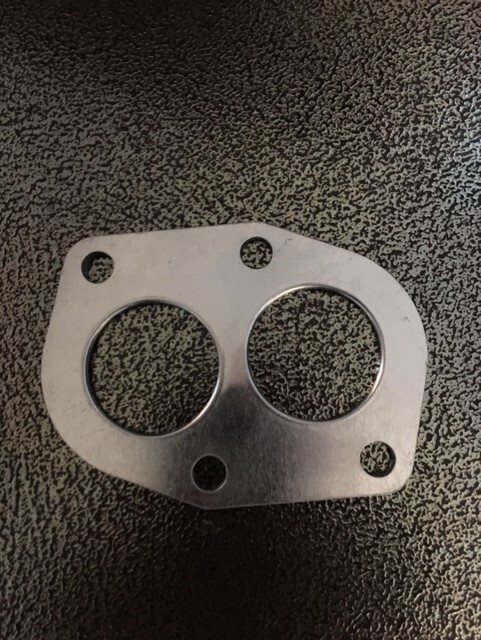 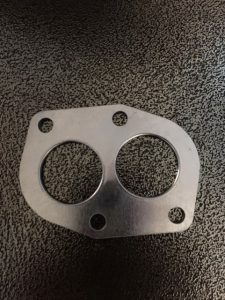 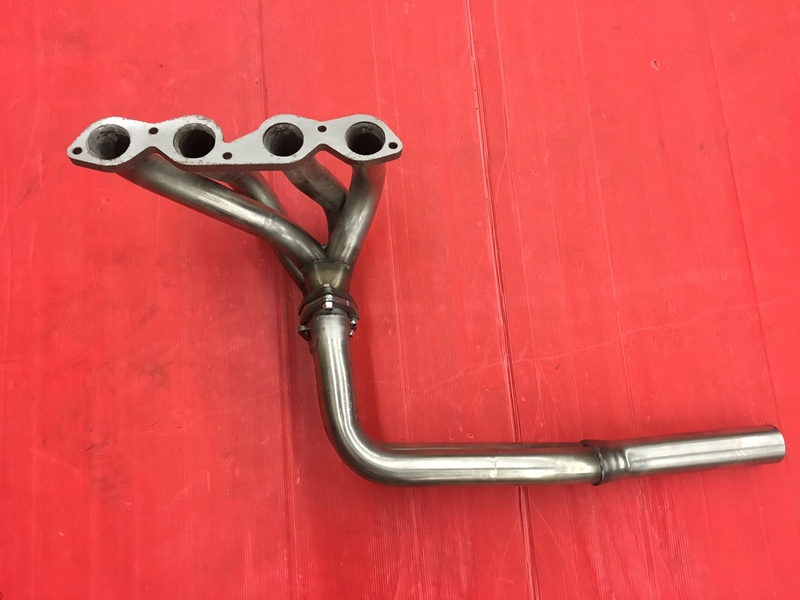 Now available: a FOUR in ONE thin stainless manifold/header which comes into one 50 mm endpipe. 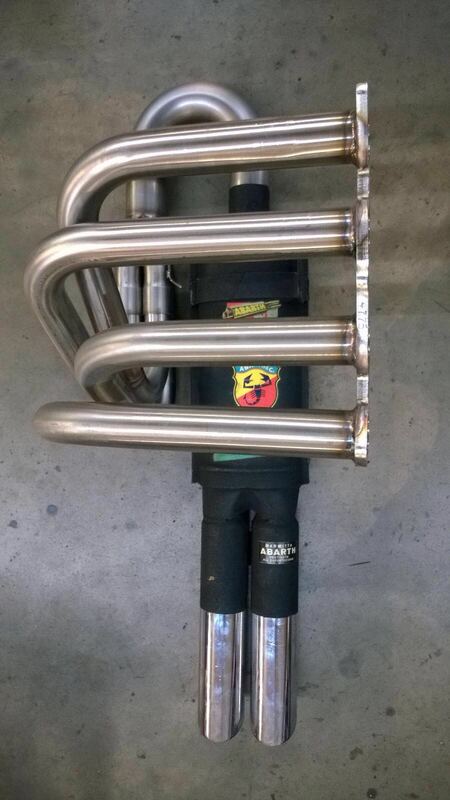 For racing and street cruising. 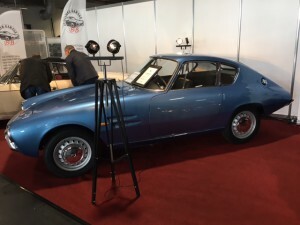 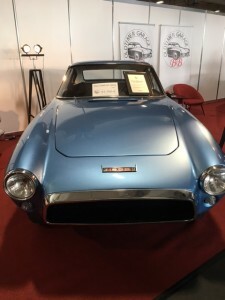 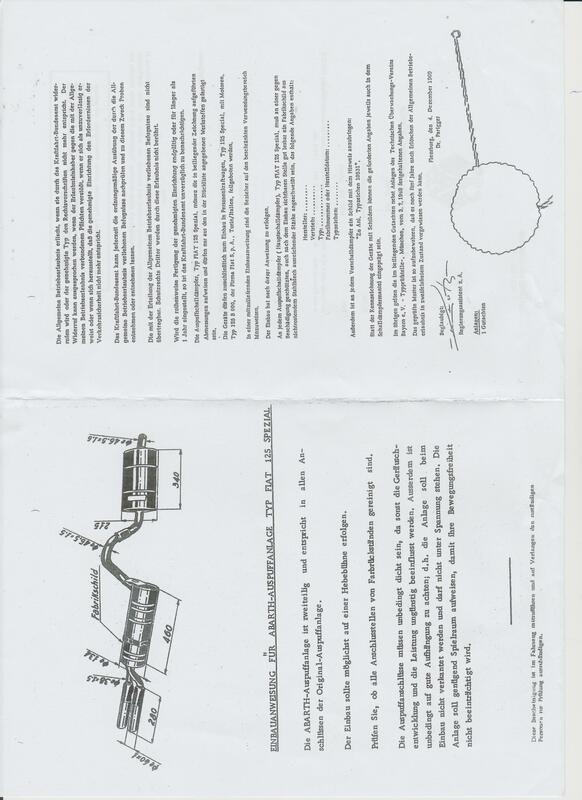 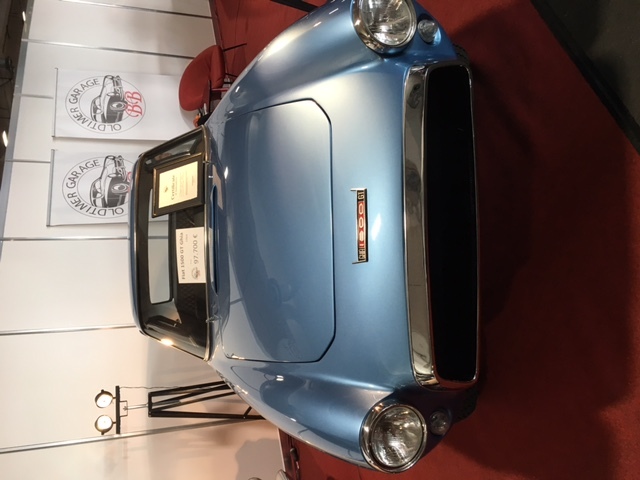 Price € 895,00 only manifold/header, excl. 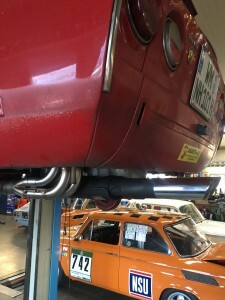 180 degrees bend. 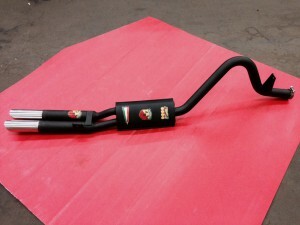 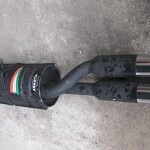 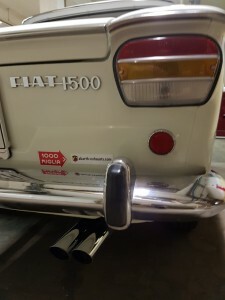 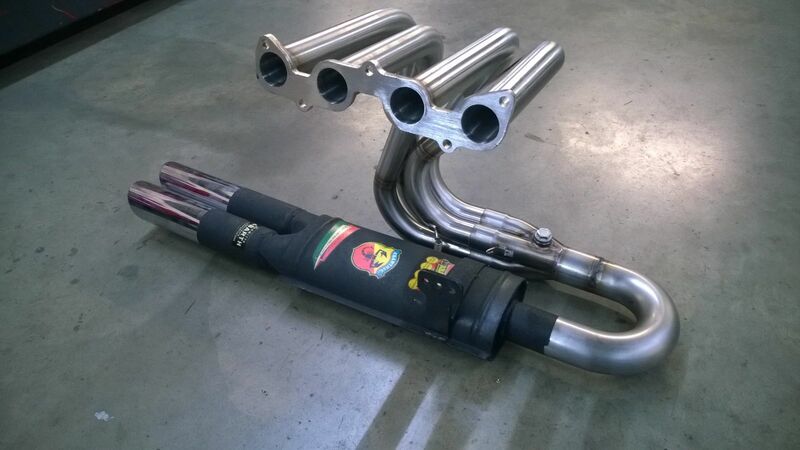 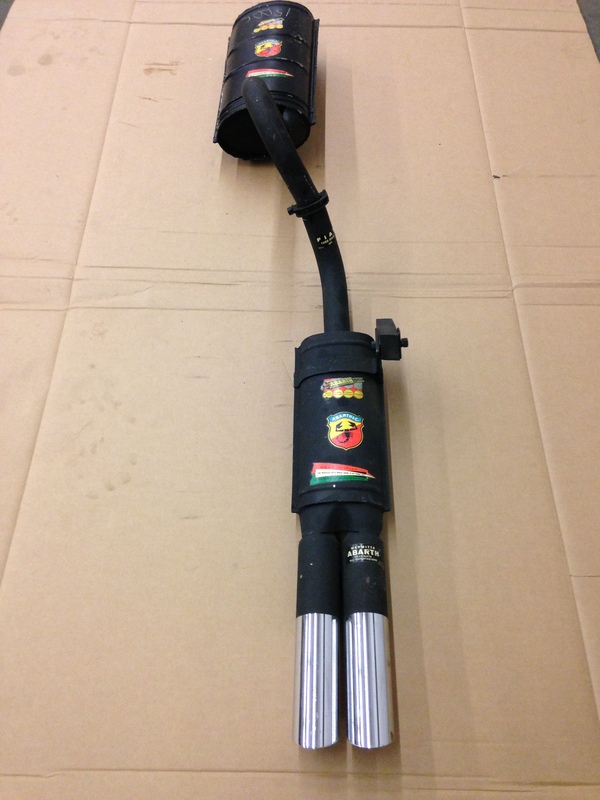 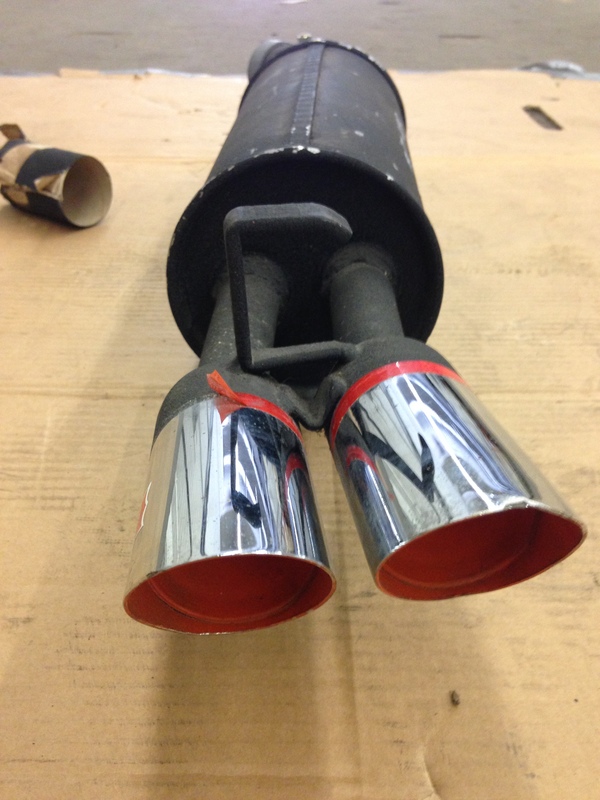 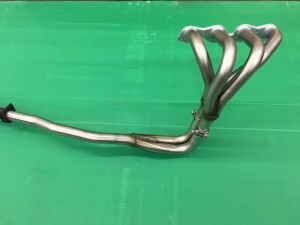 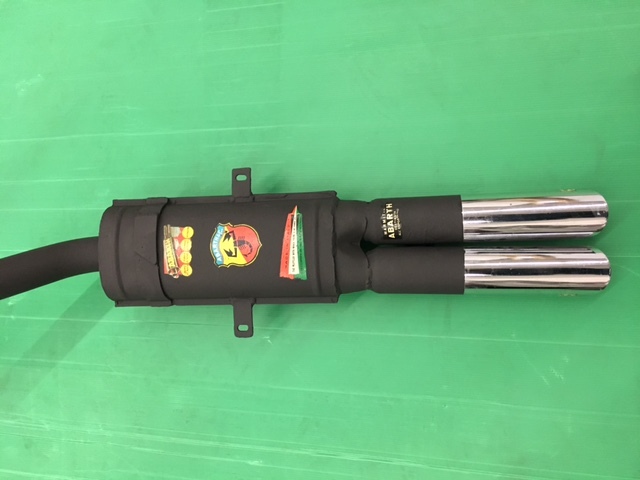 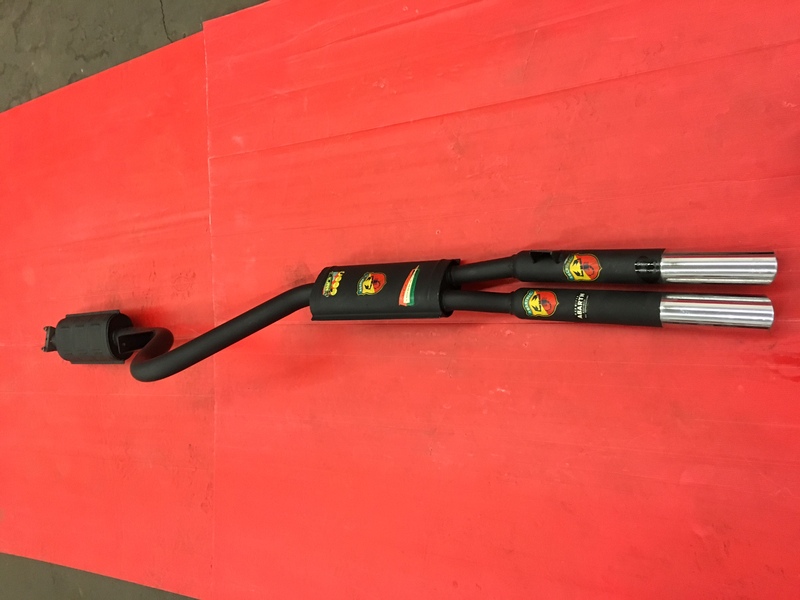 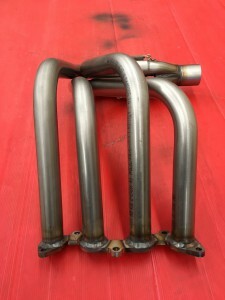 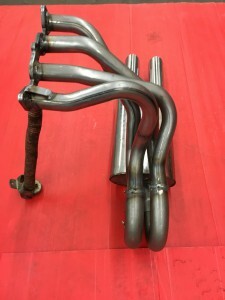 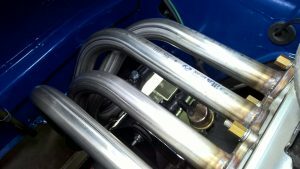 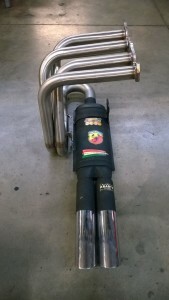 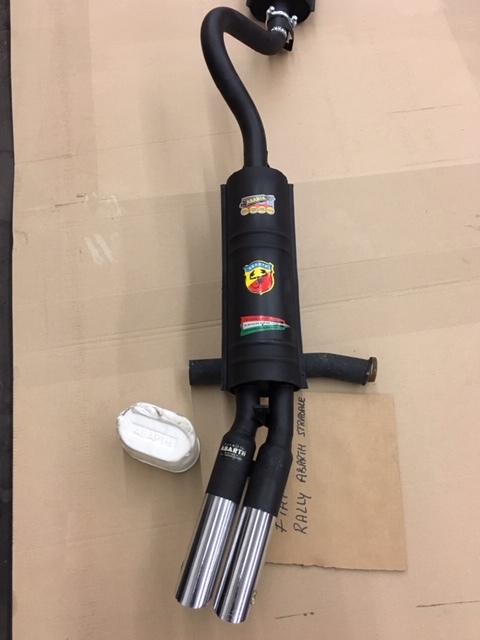 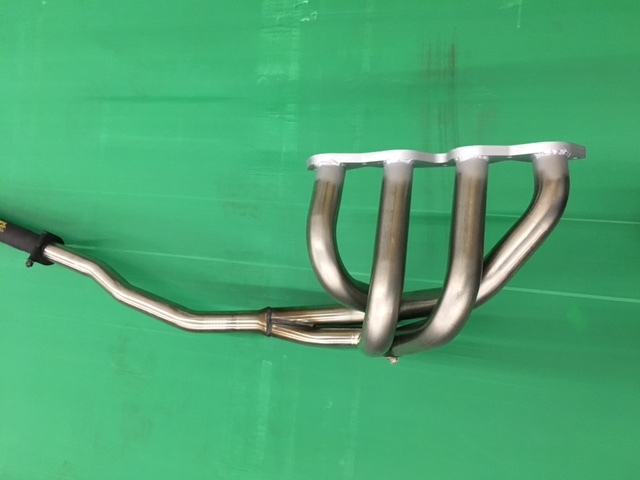 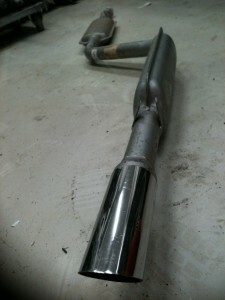 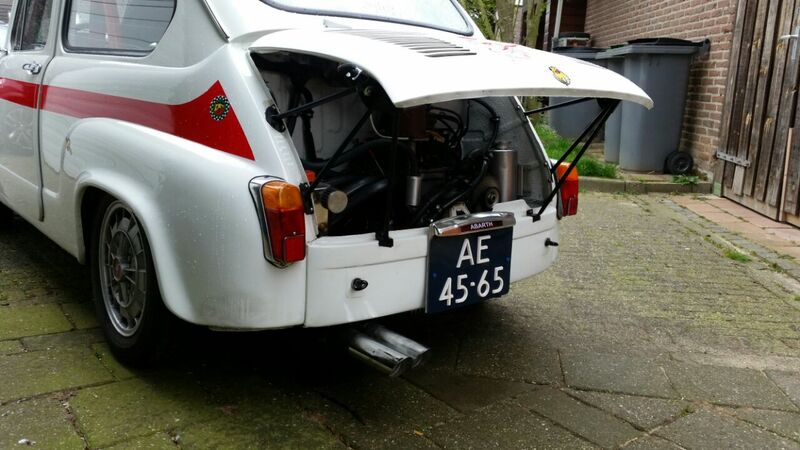 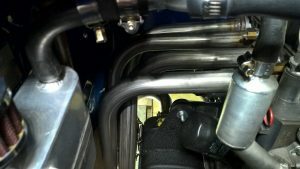 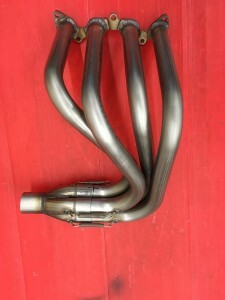 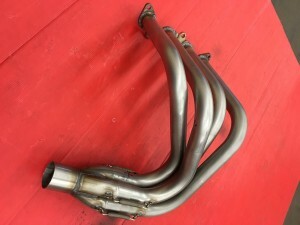 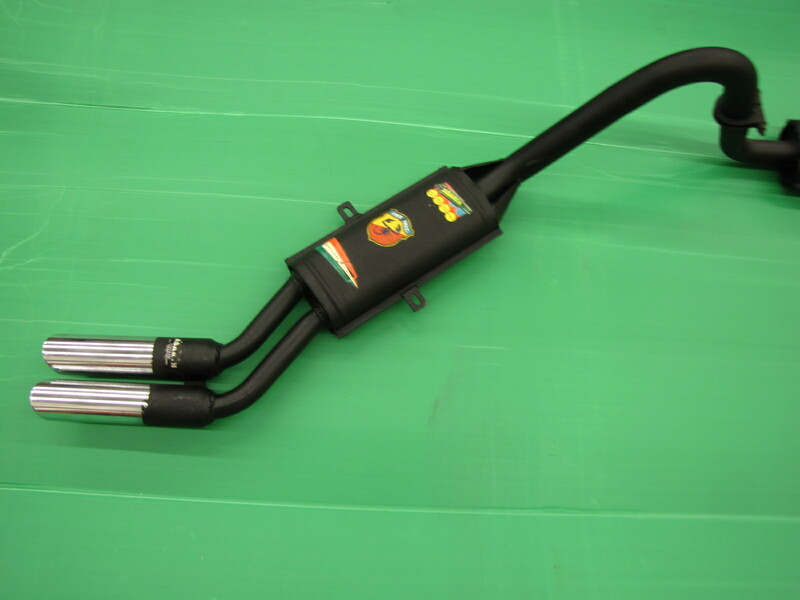 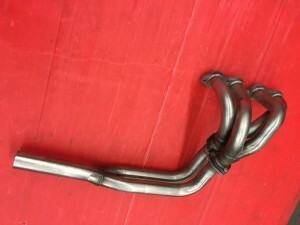 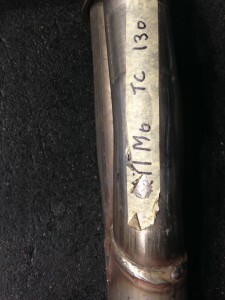 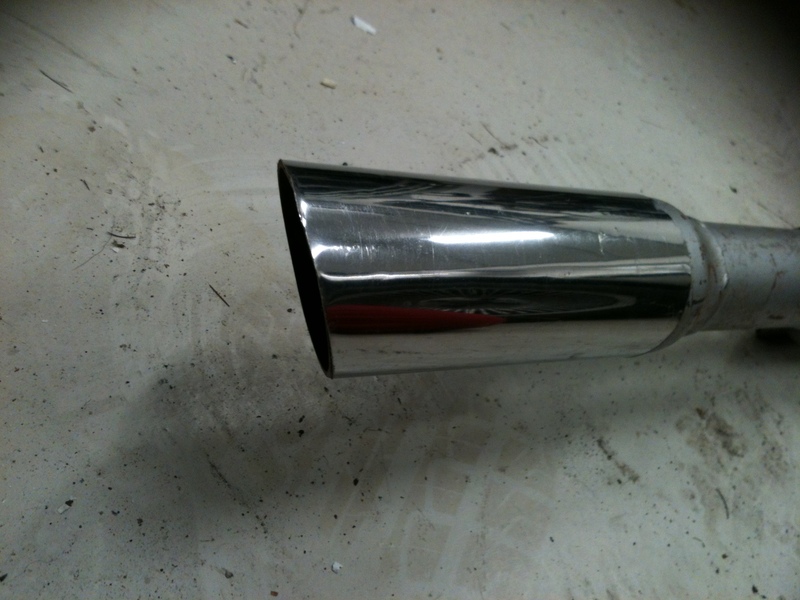 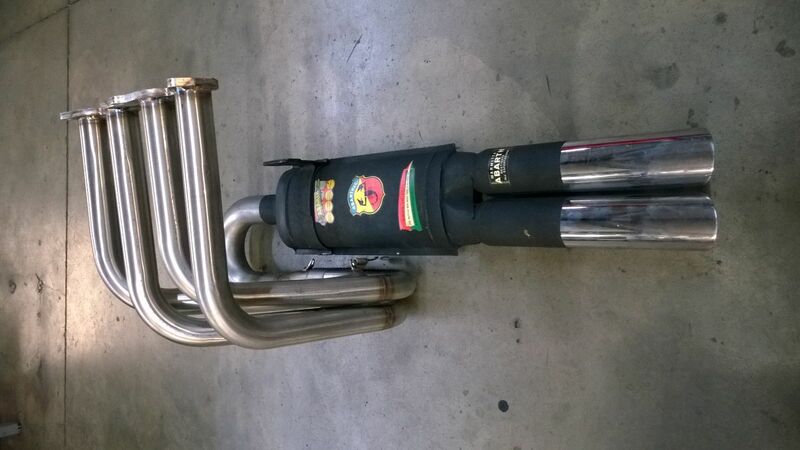 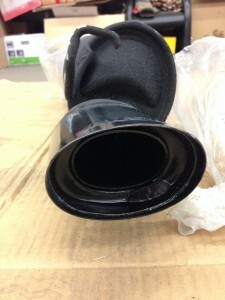 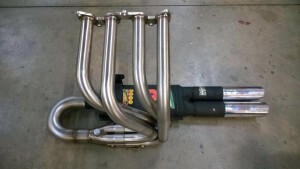 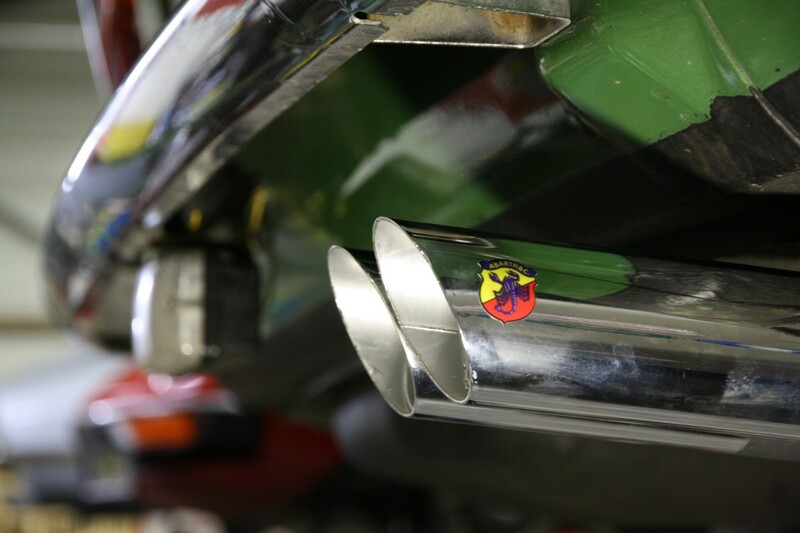 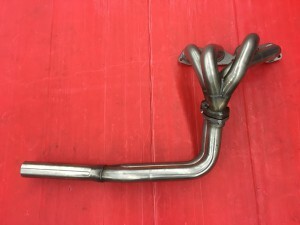 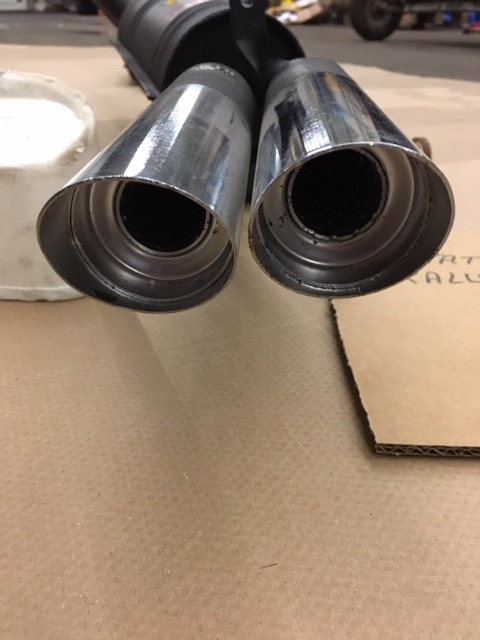 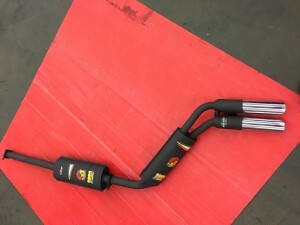 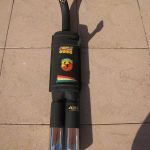 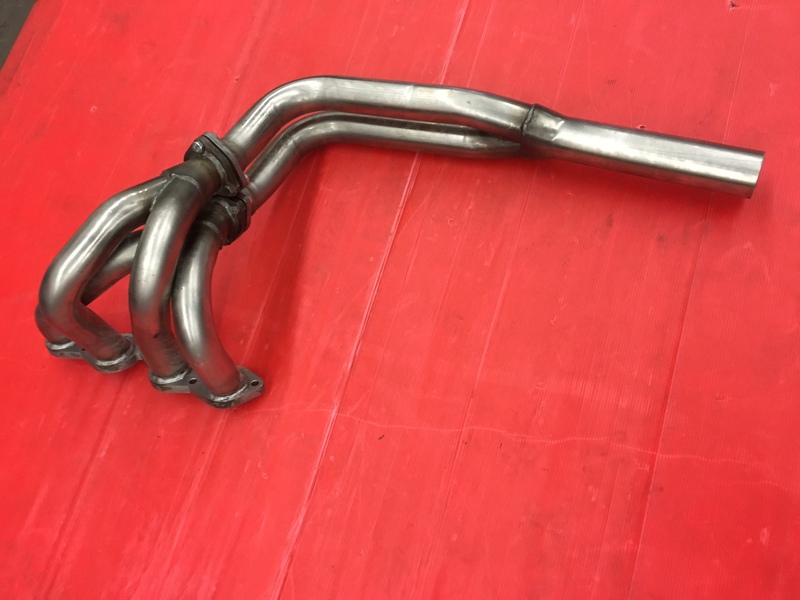 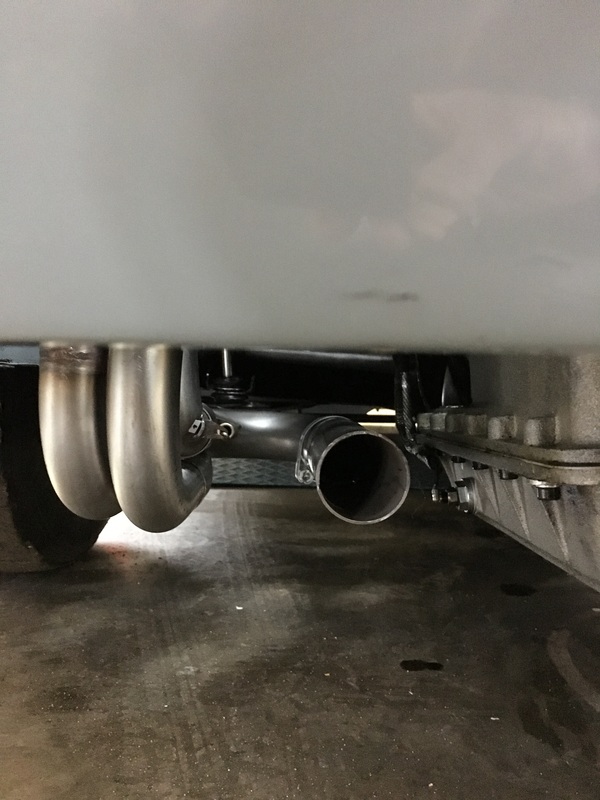 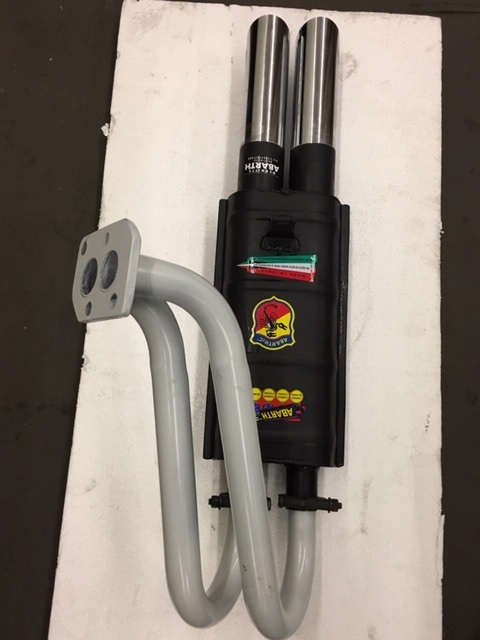 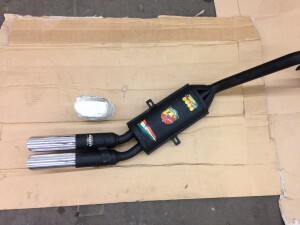 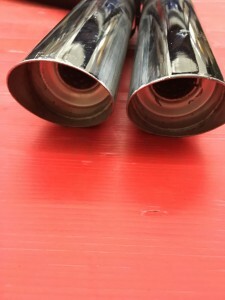 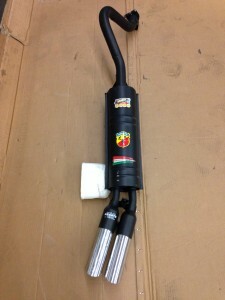 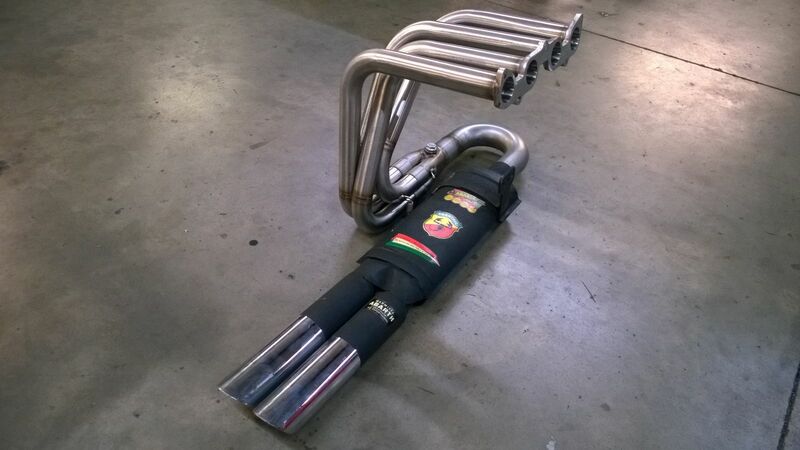 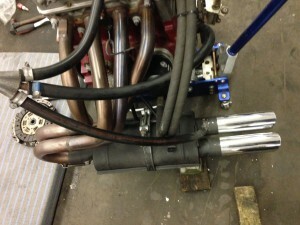 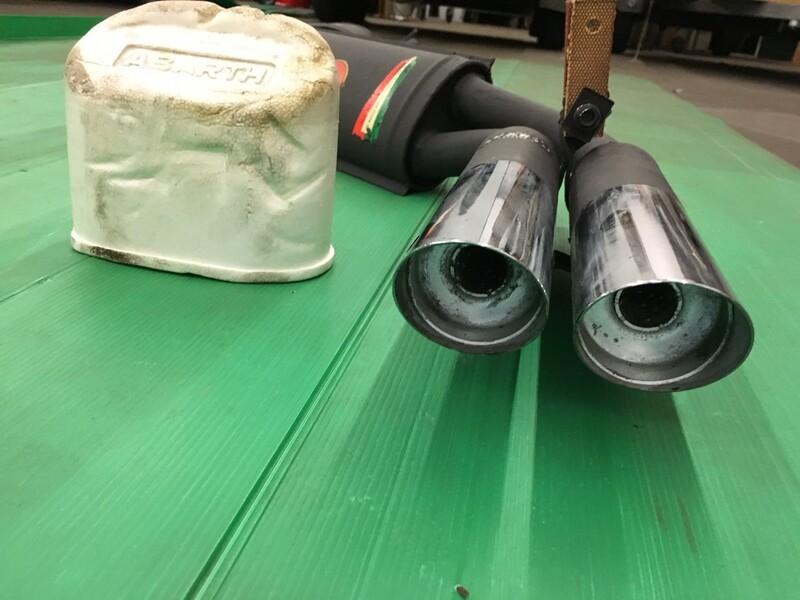 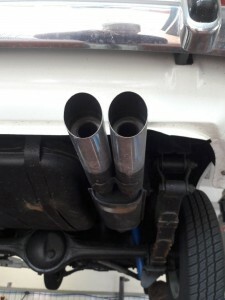 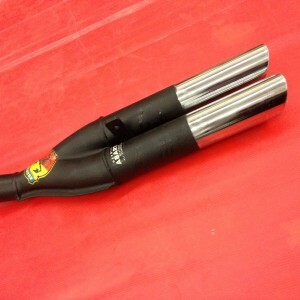 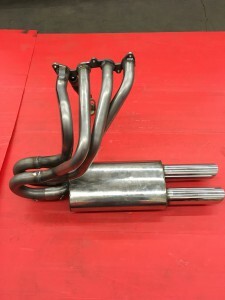 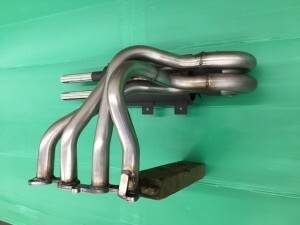 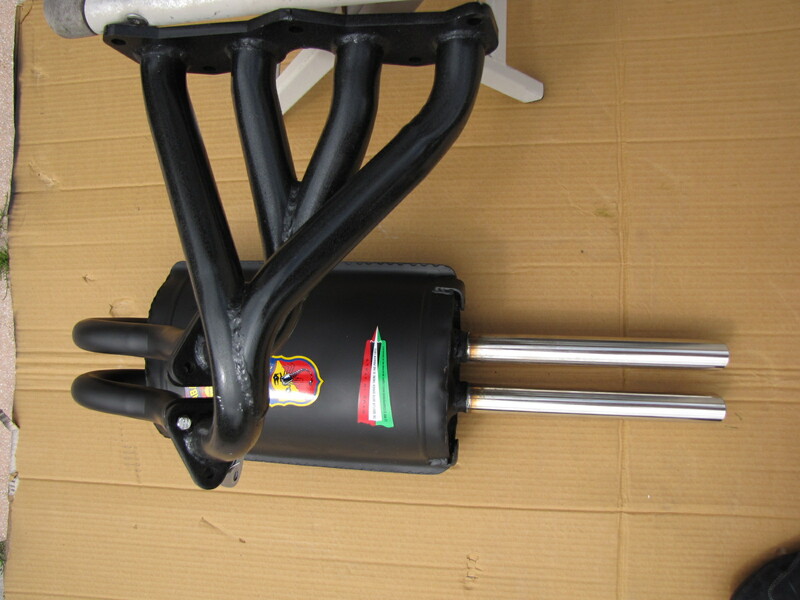 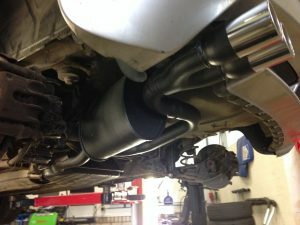 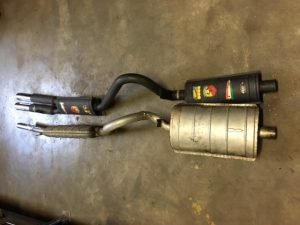 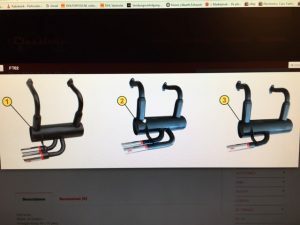 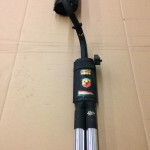 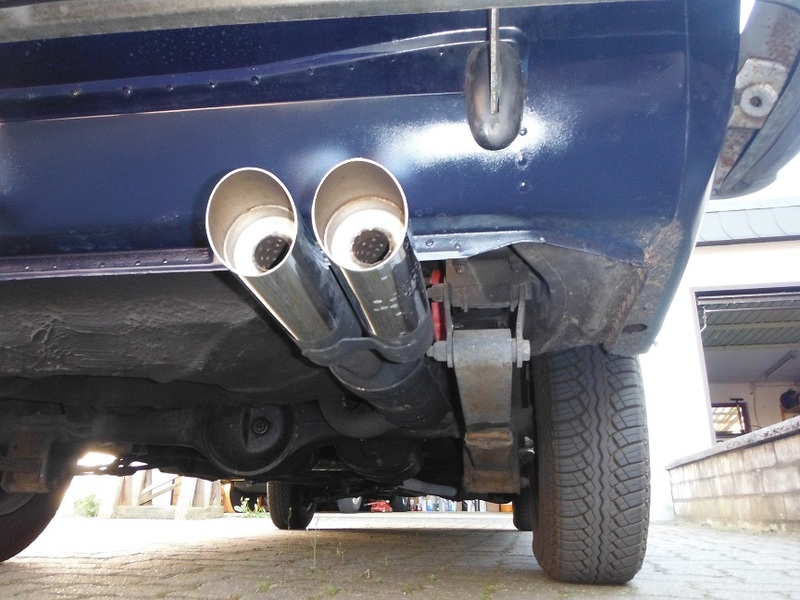 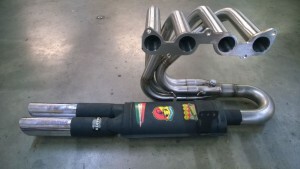 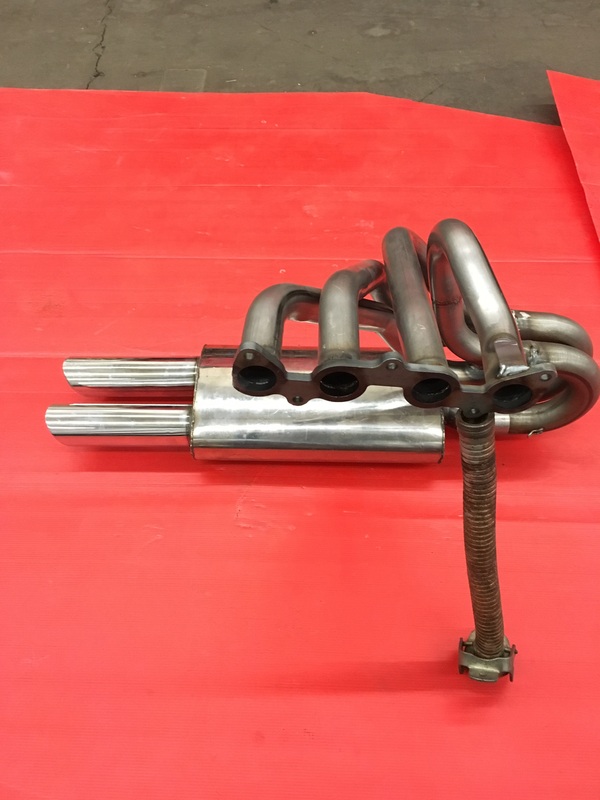 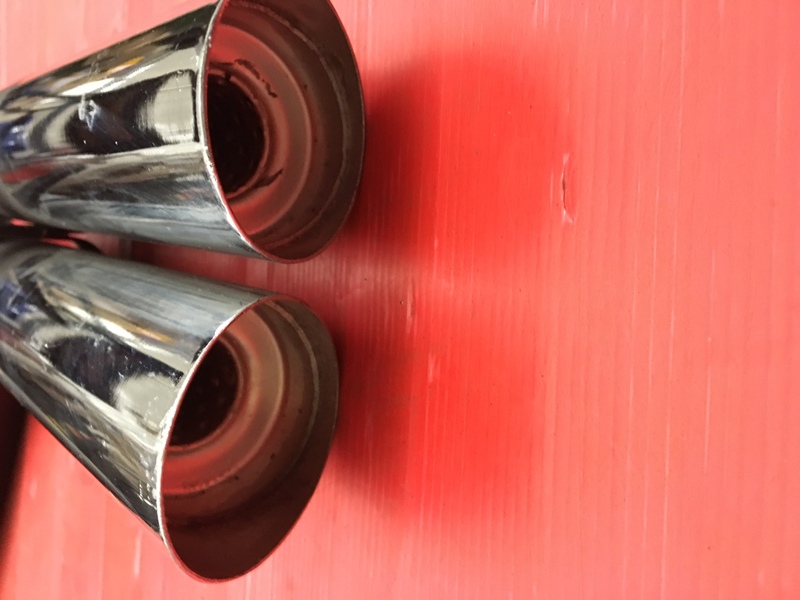 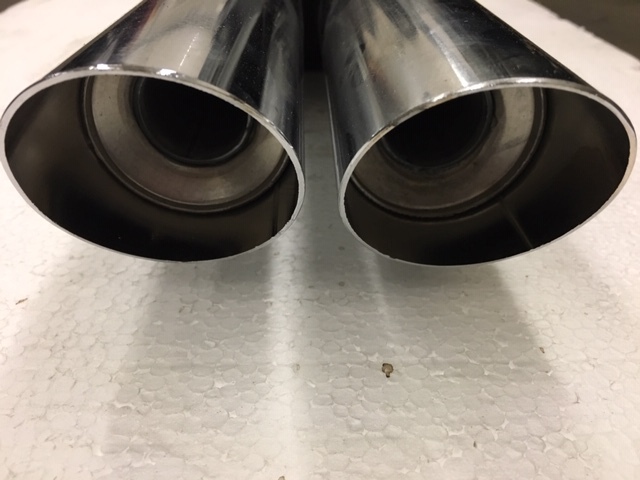 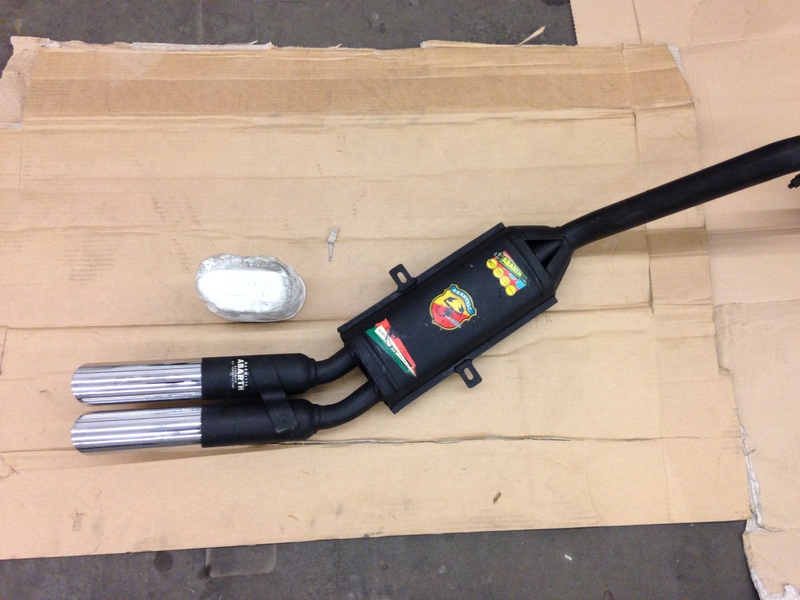 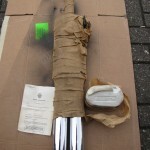 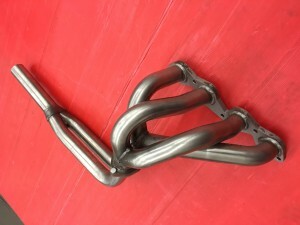 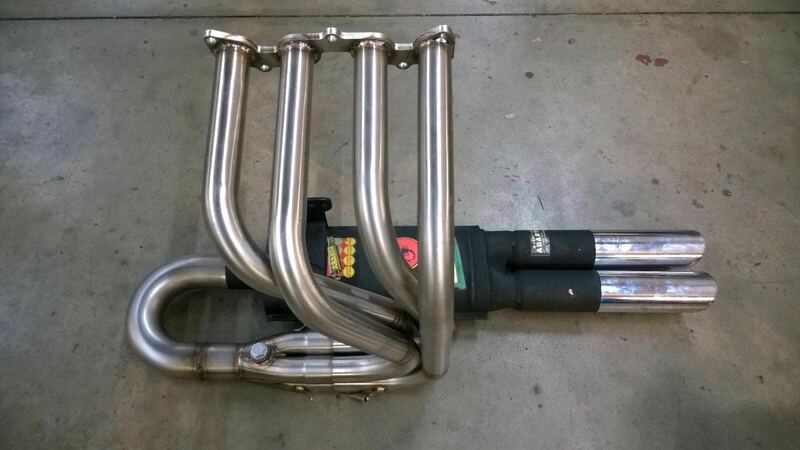 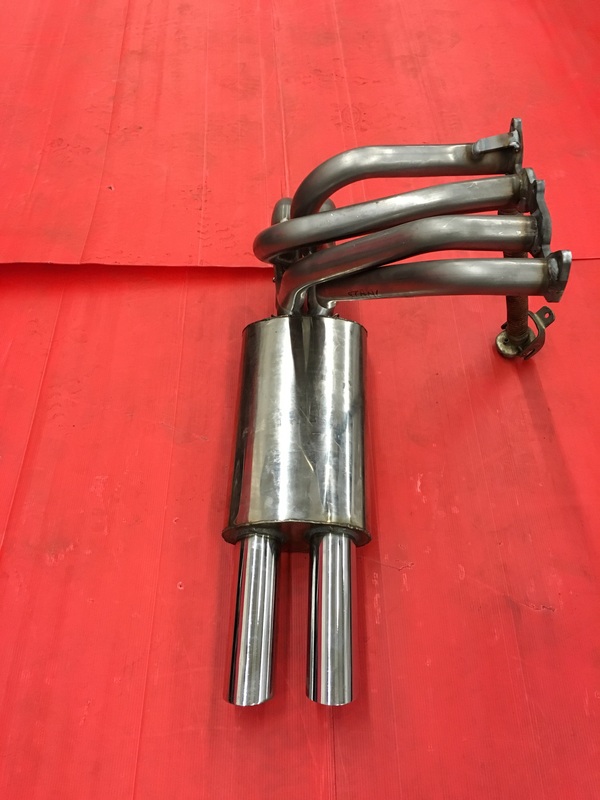 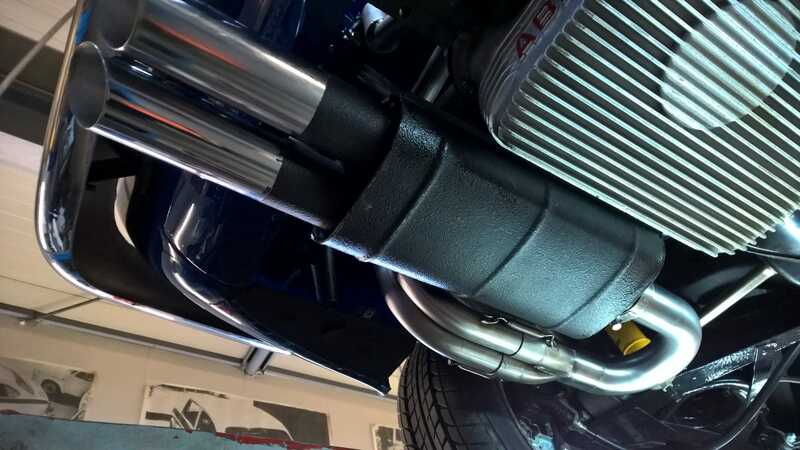 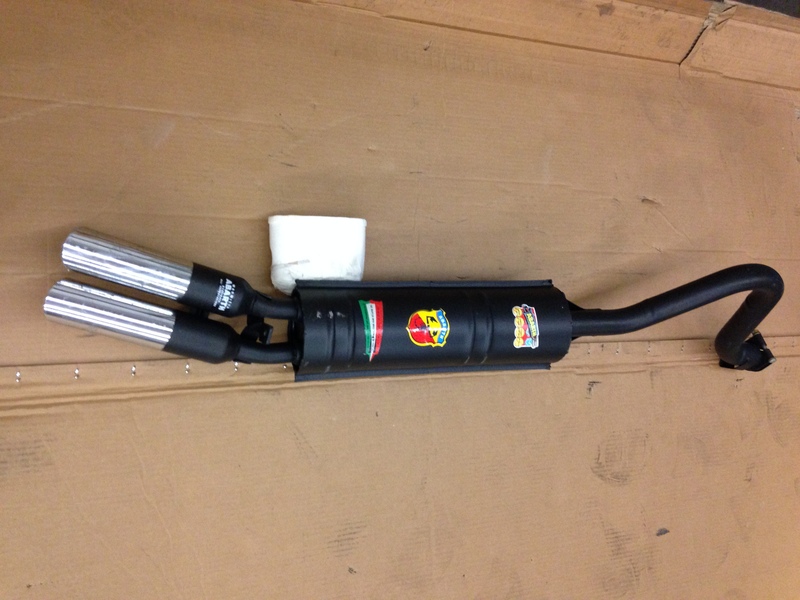 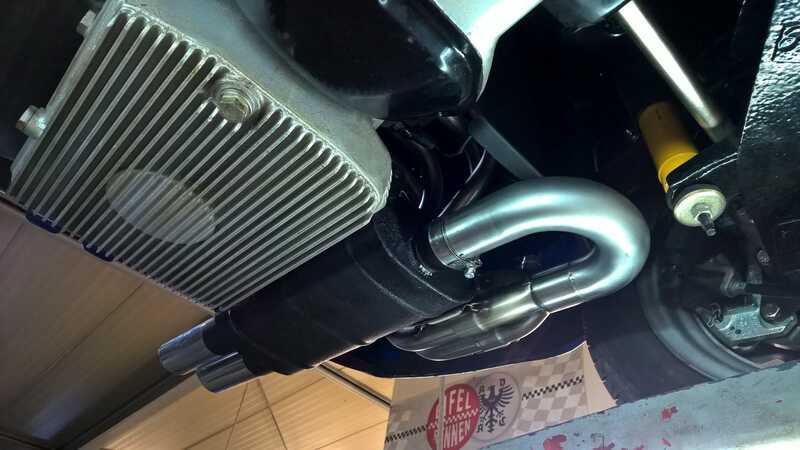 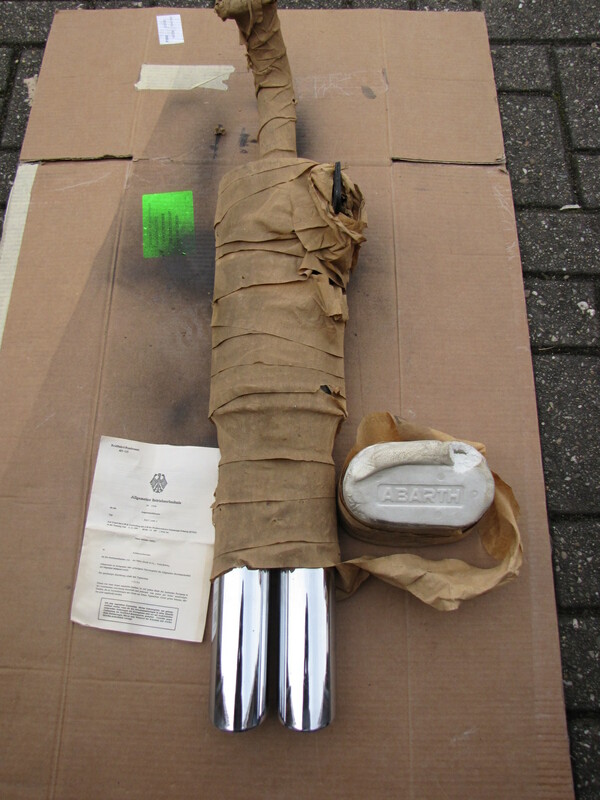 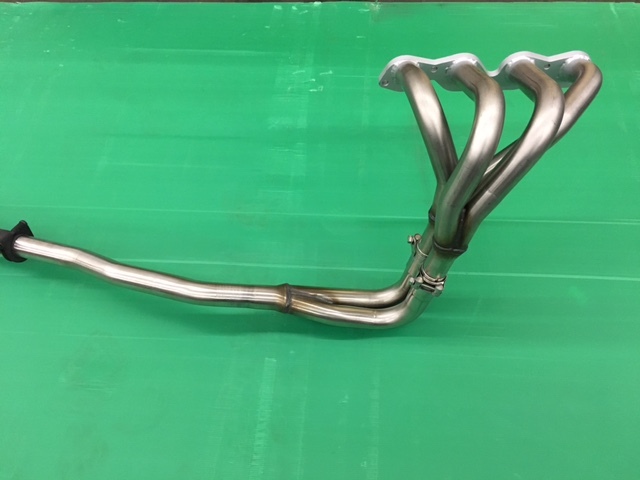 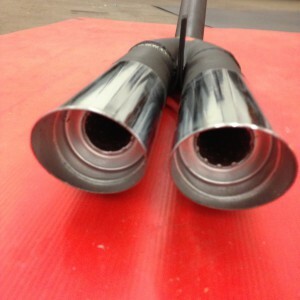 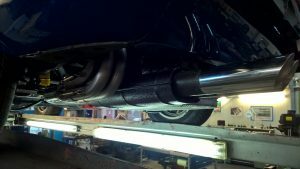 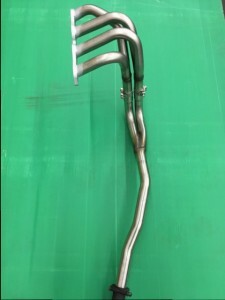 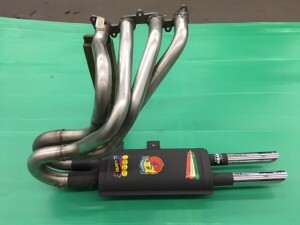 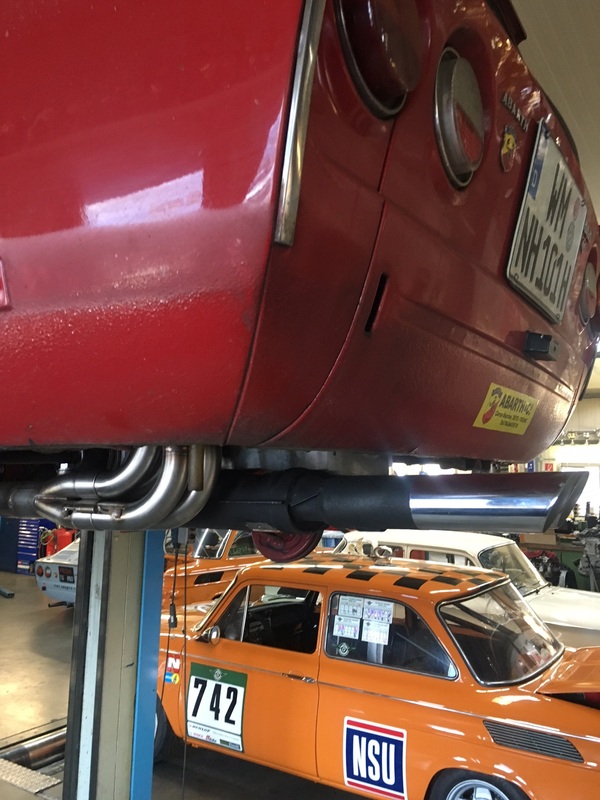 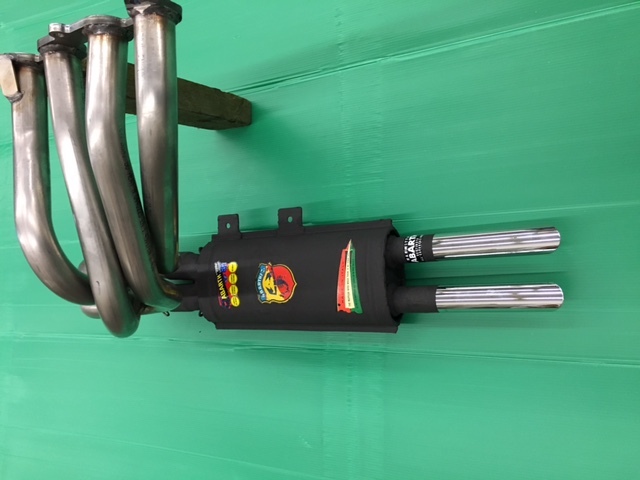 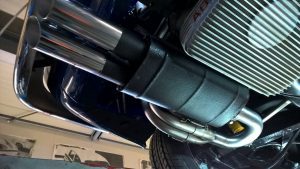 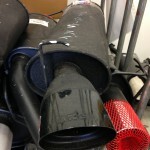 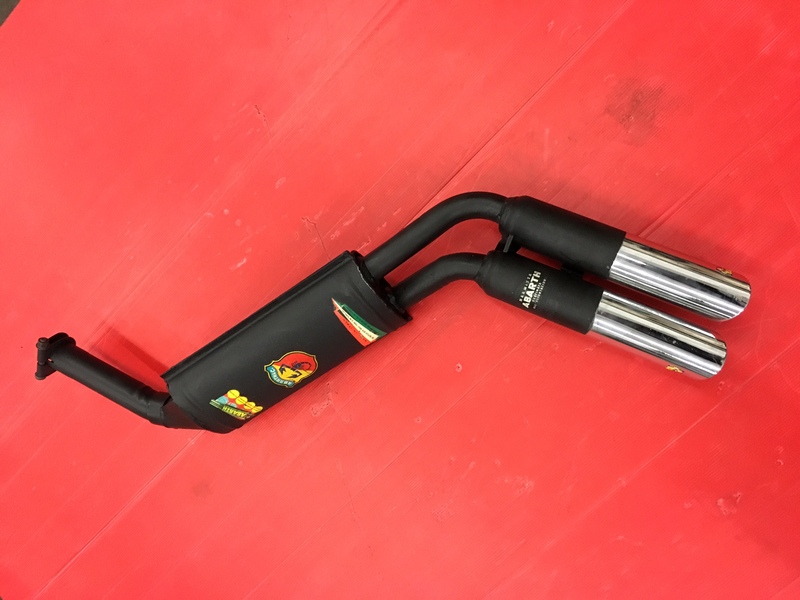 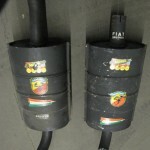 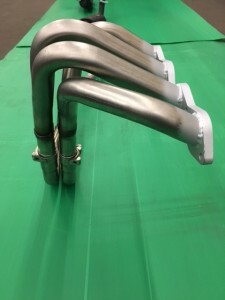 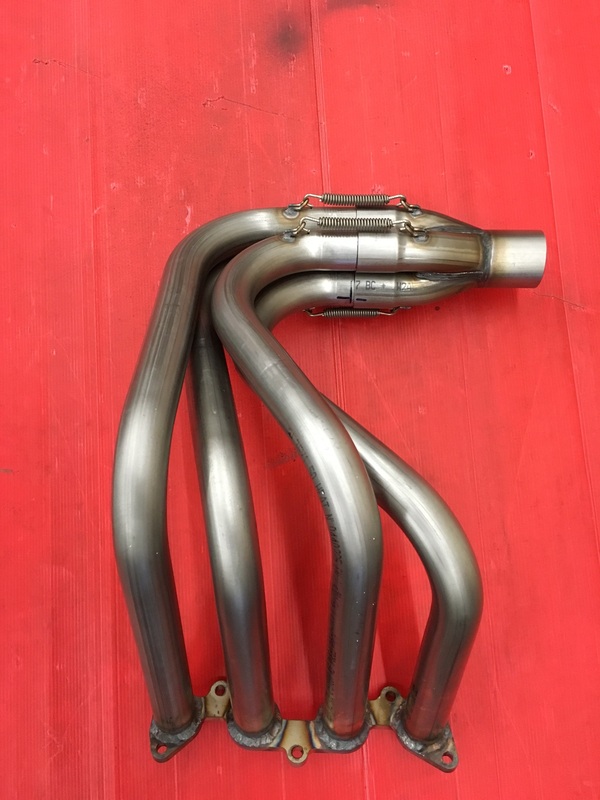 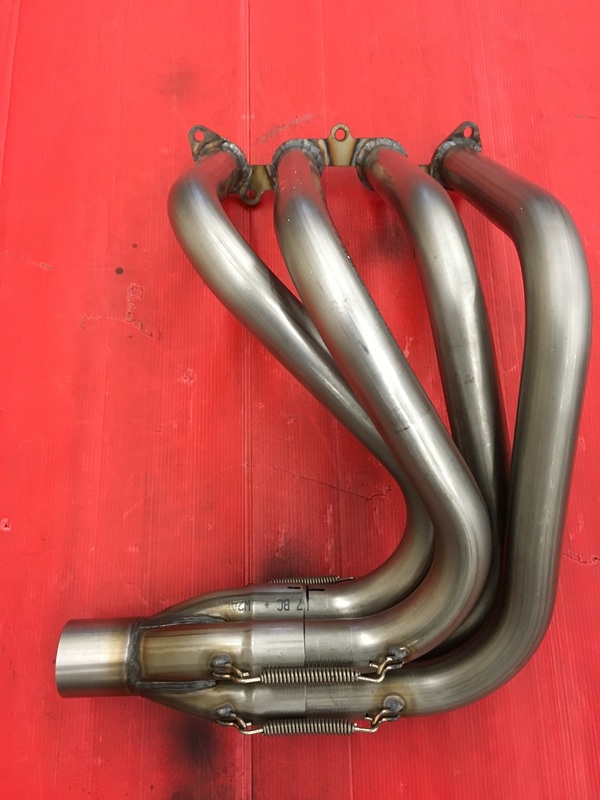 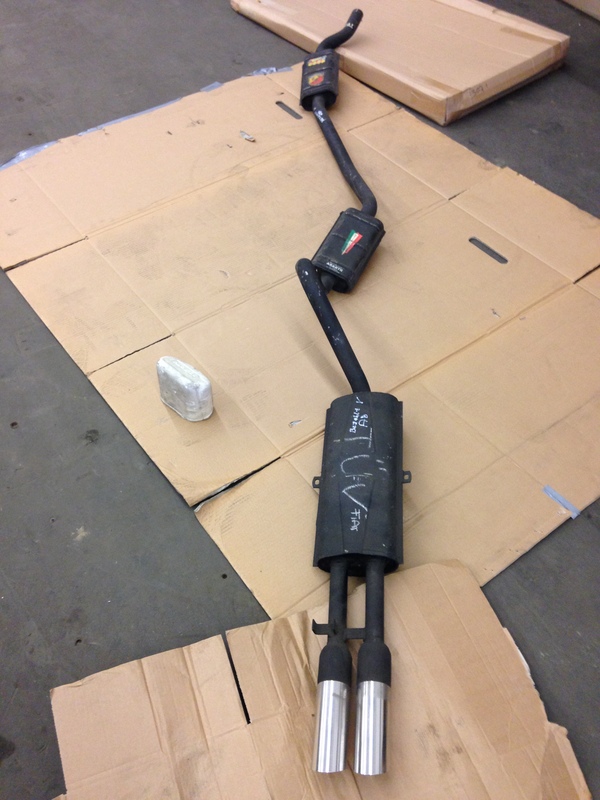 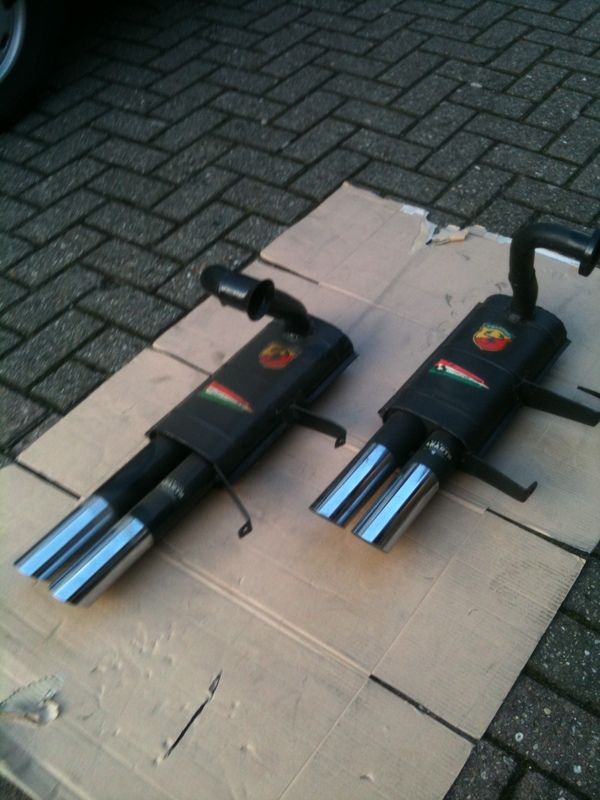 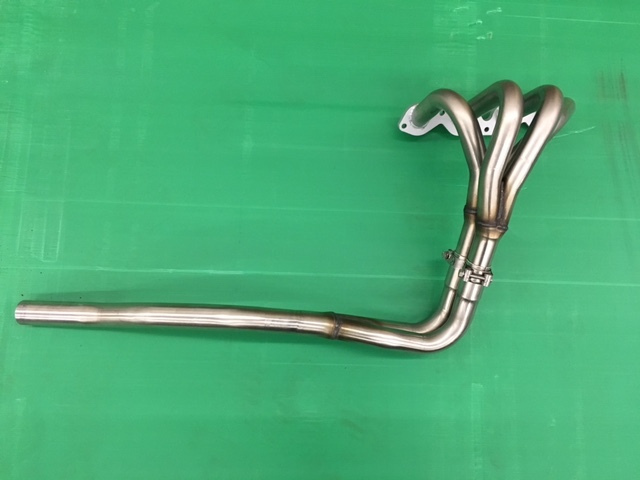 Big Barrel Competizione exhaust with 30 mm chromium endpipes, incl. 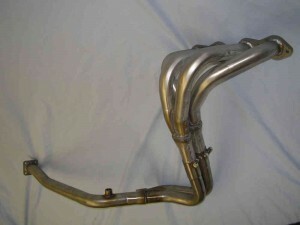 manifold. 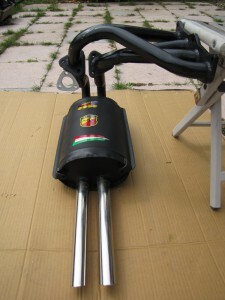 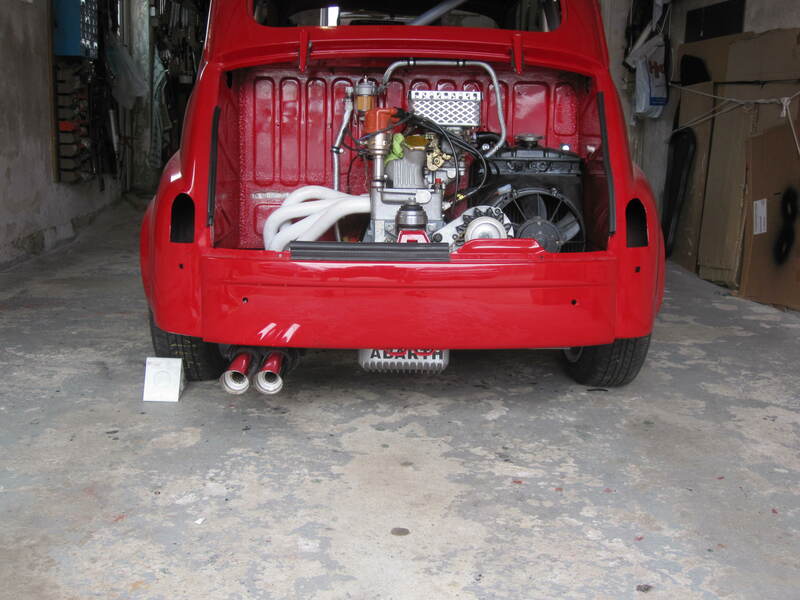 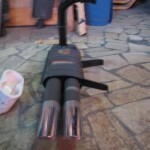 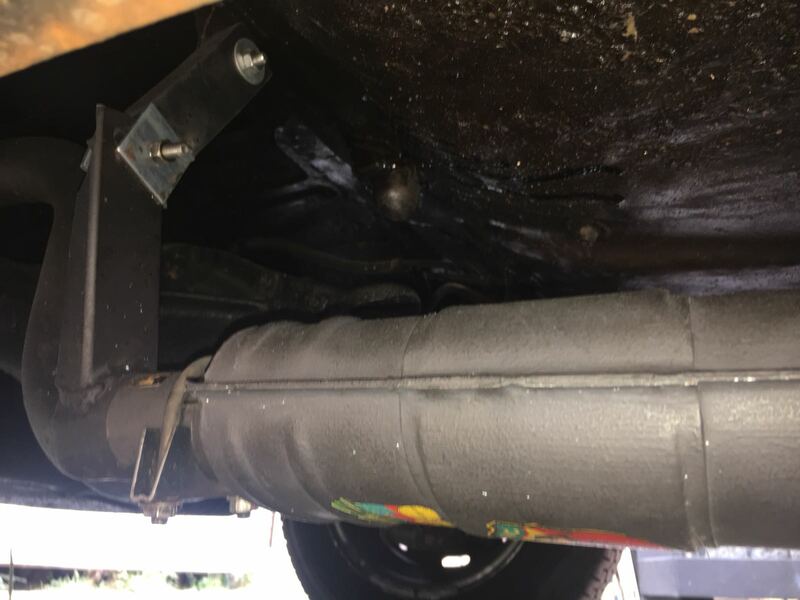 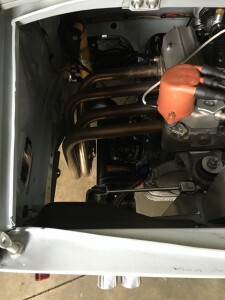 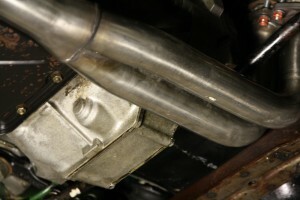 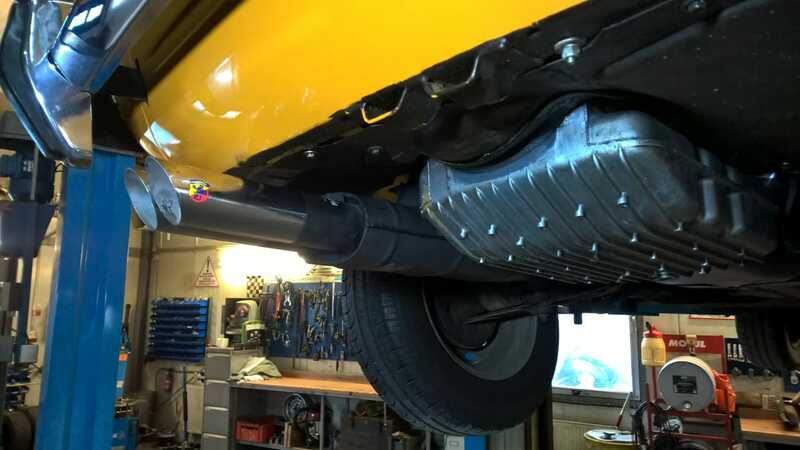 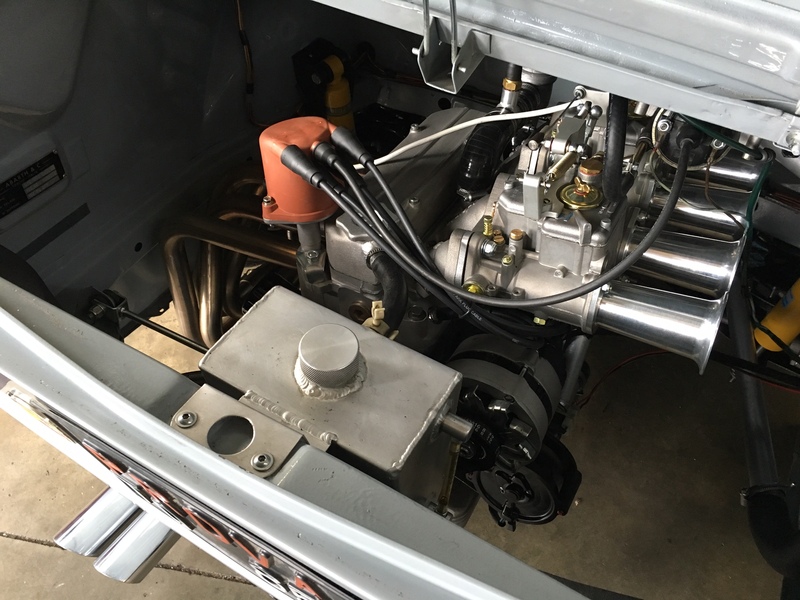 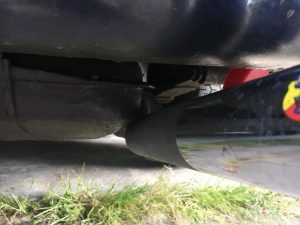 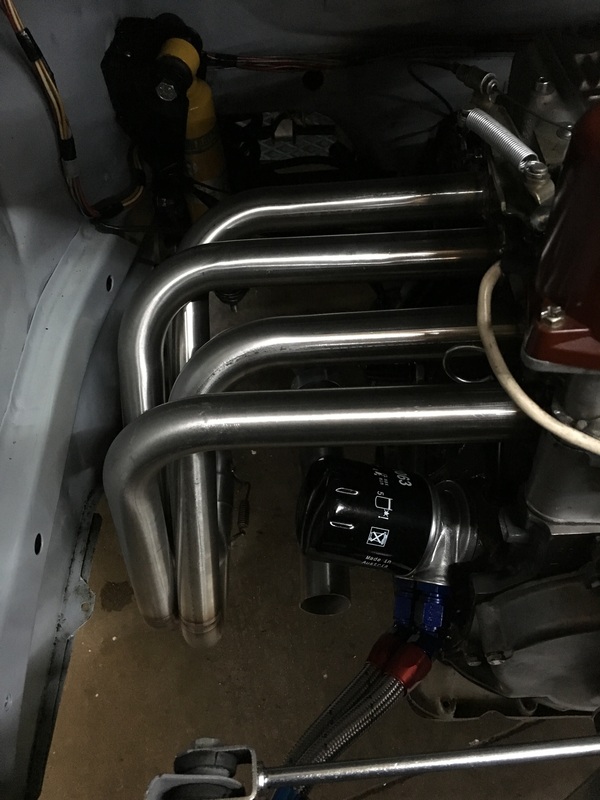 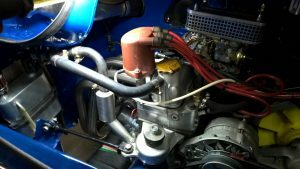 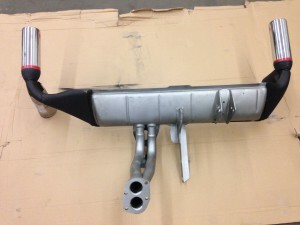 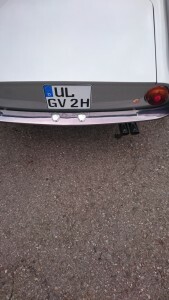 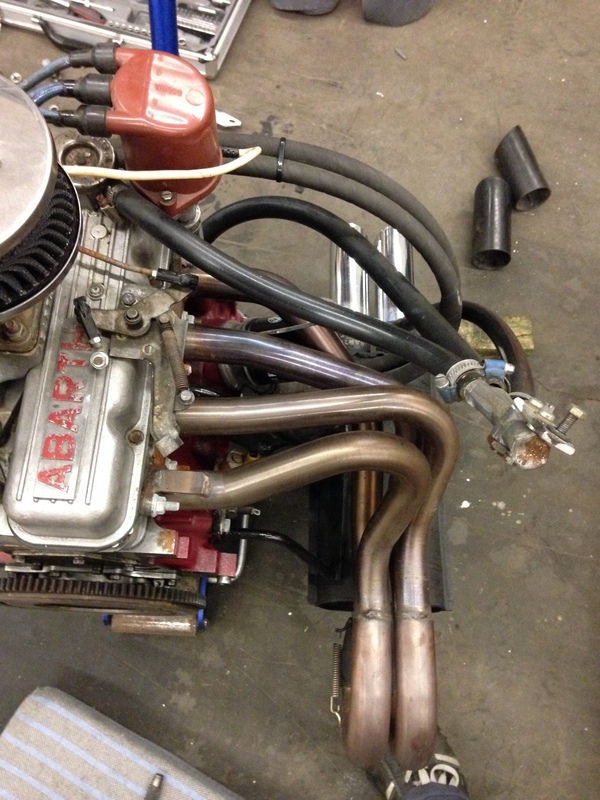 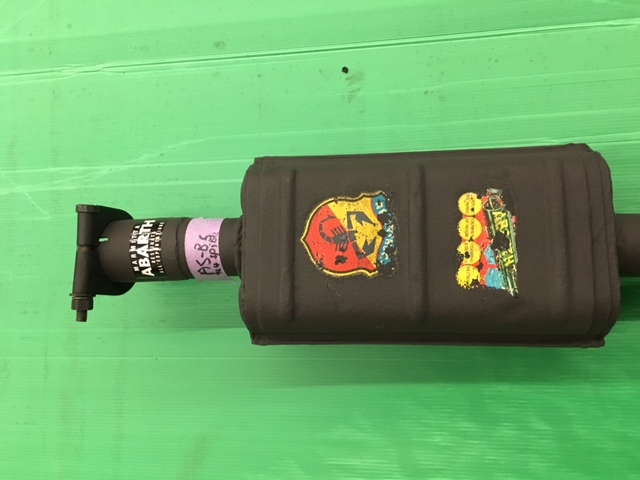 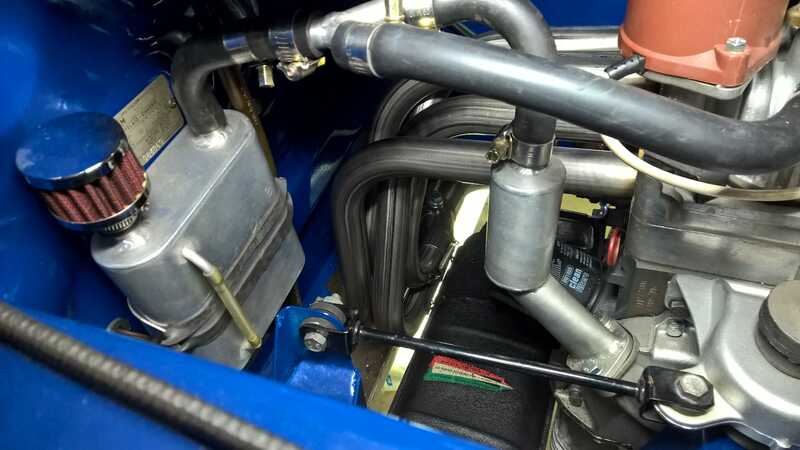 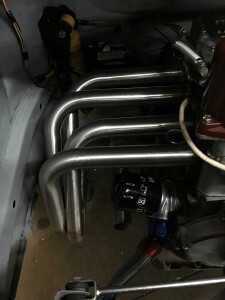 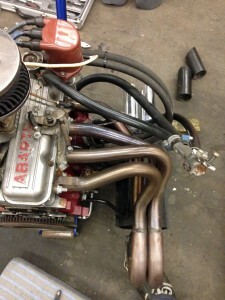 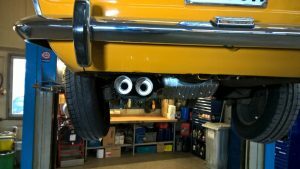 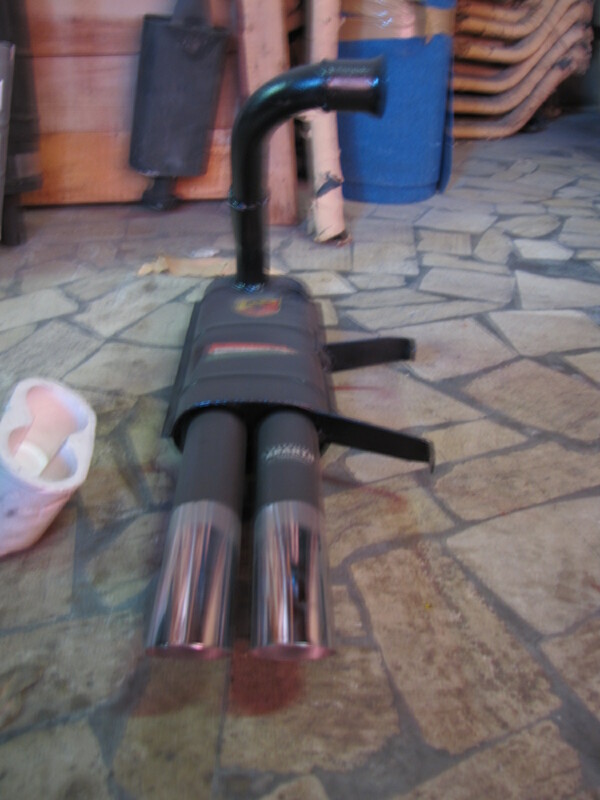 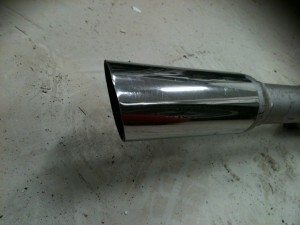 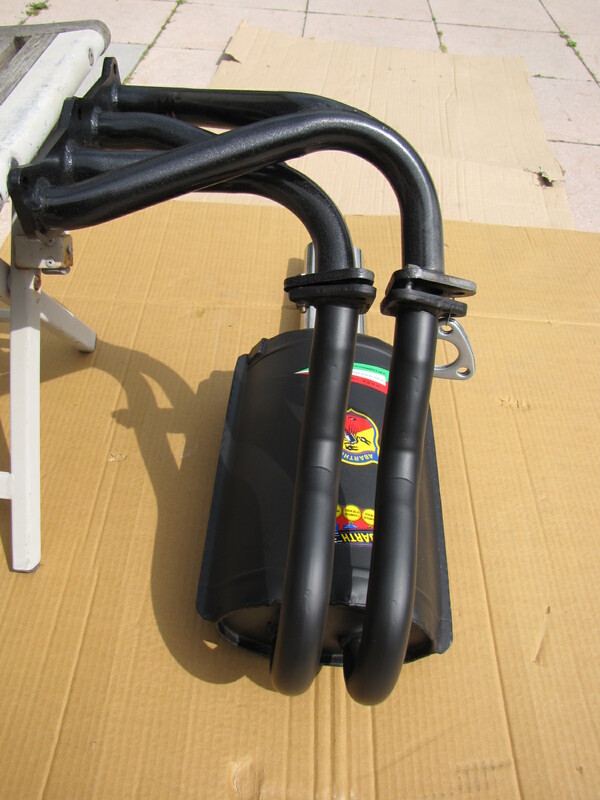 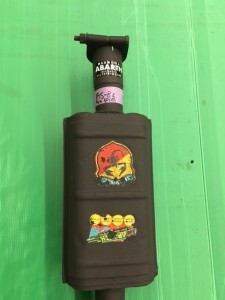 This is a replica build exhaust exact to the original form the begining of the sixties. 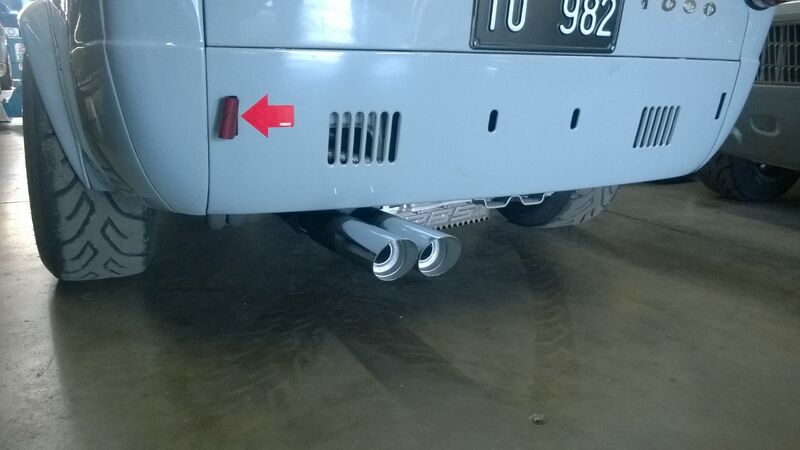 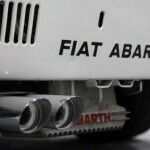 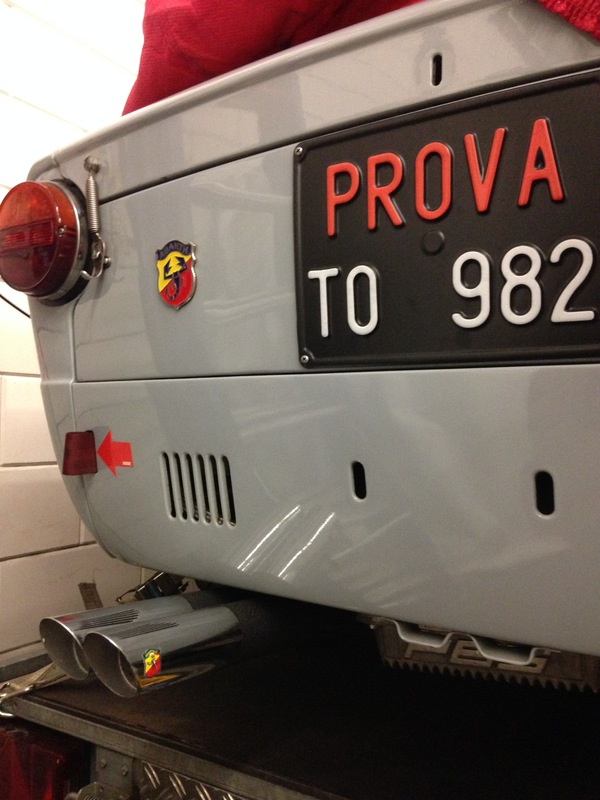 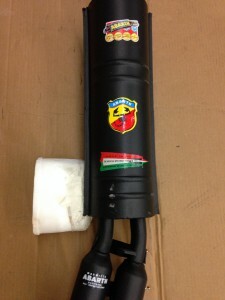 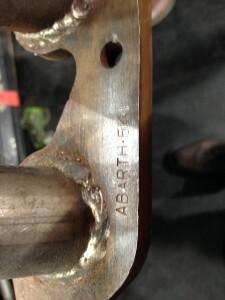 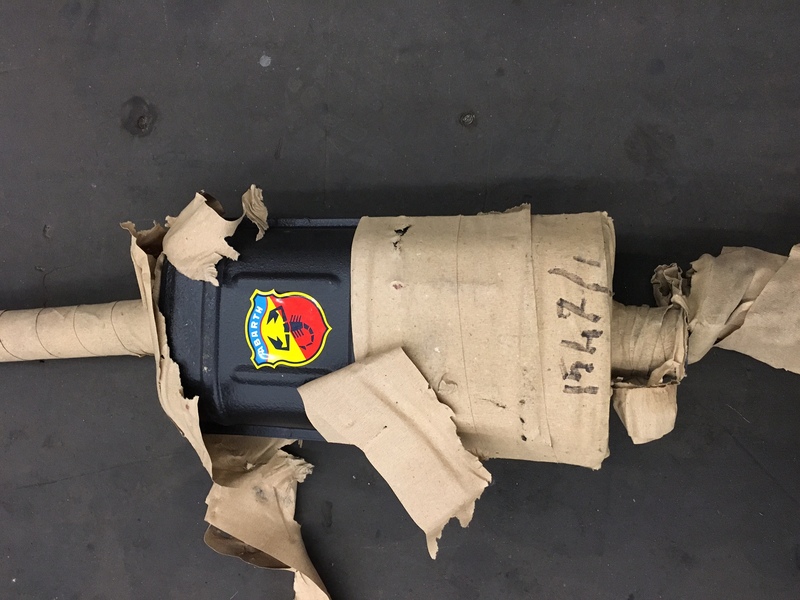 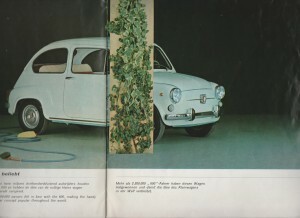 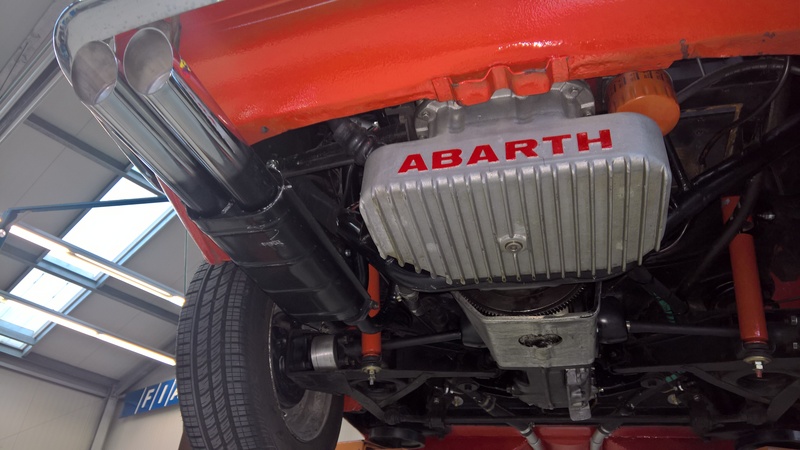 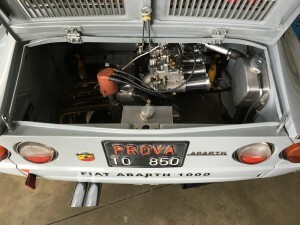 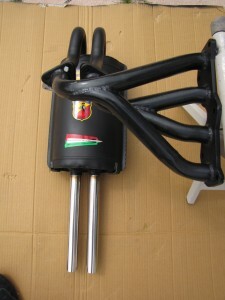 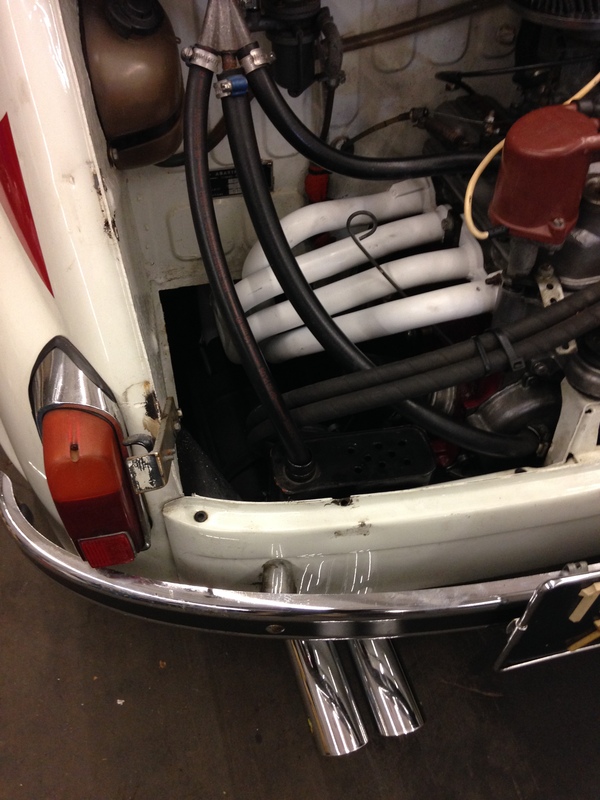 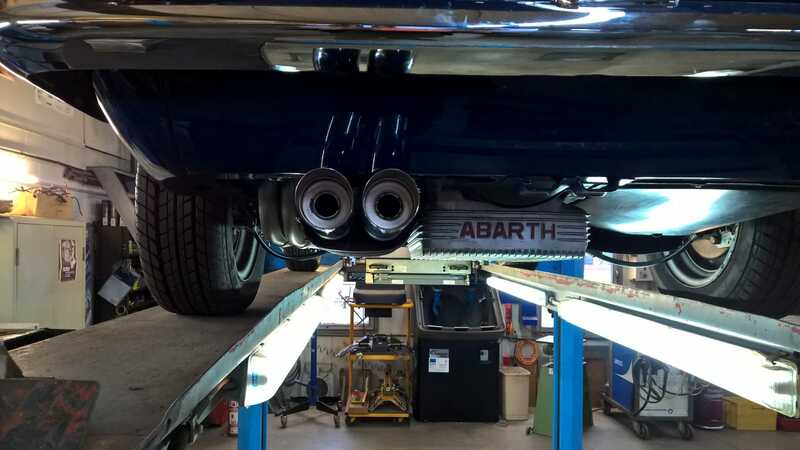 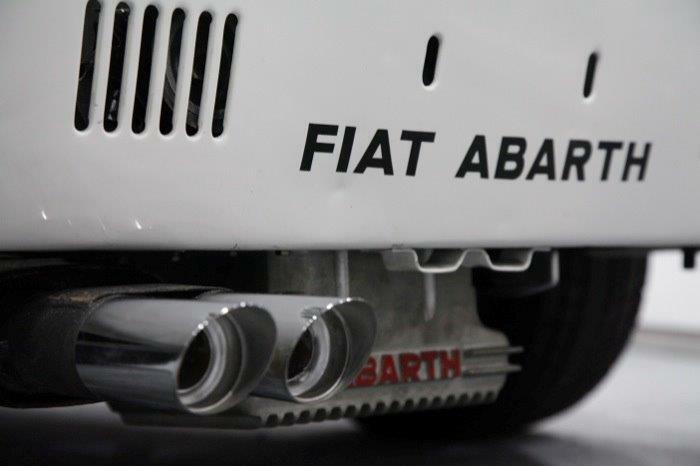 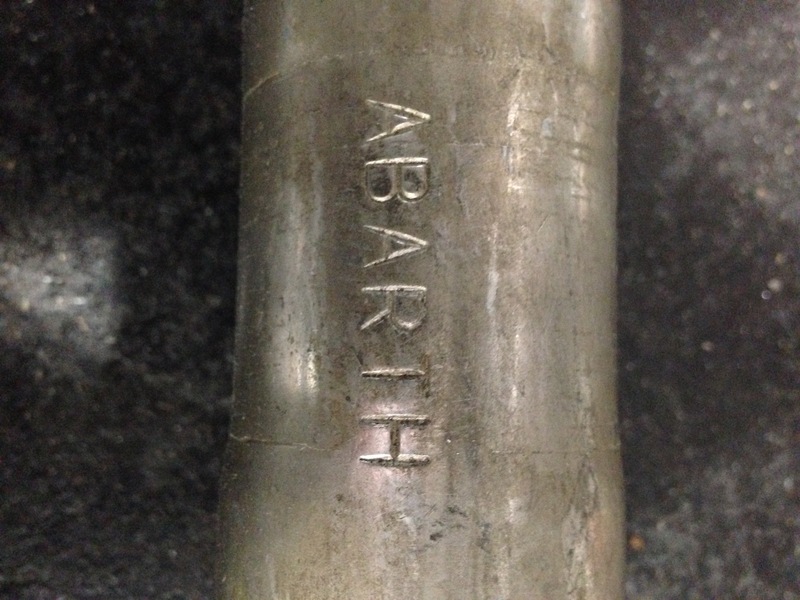 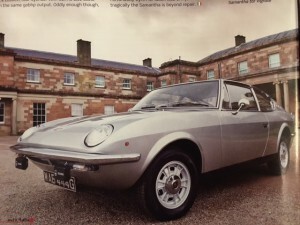 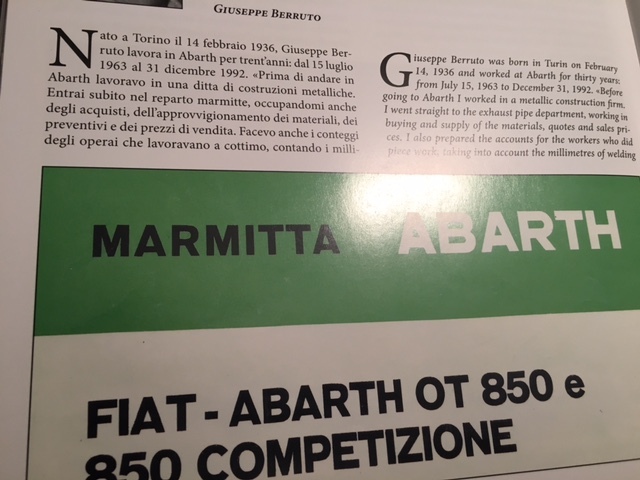 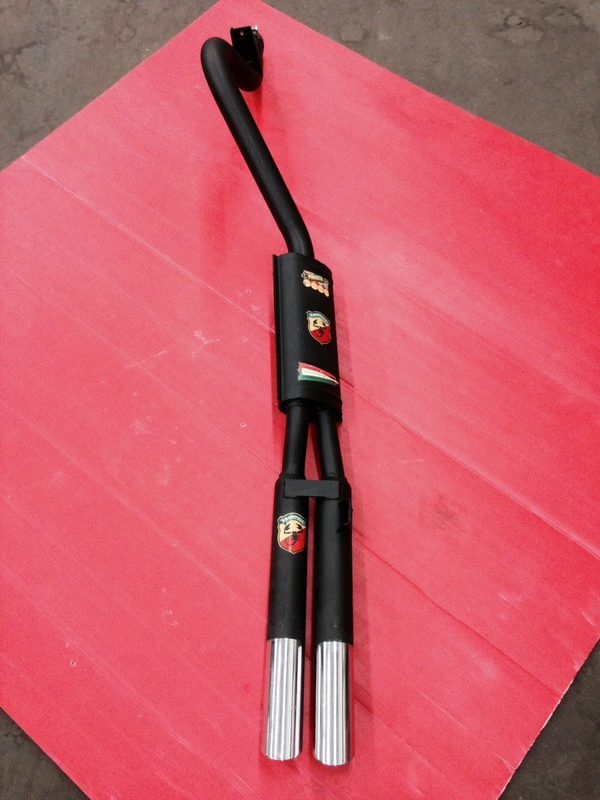 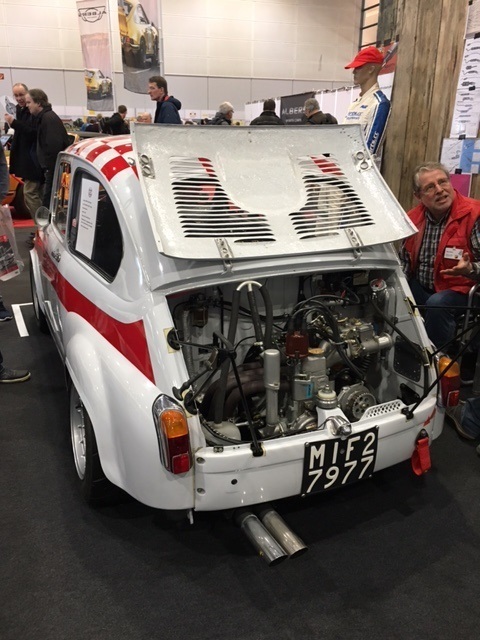 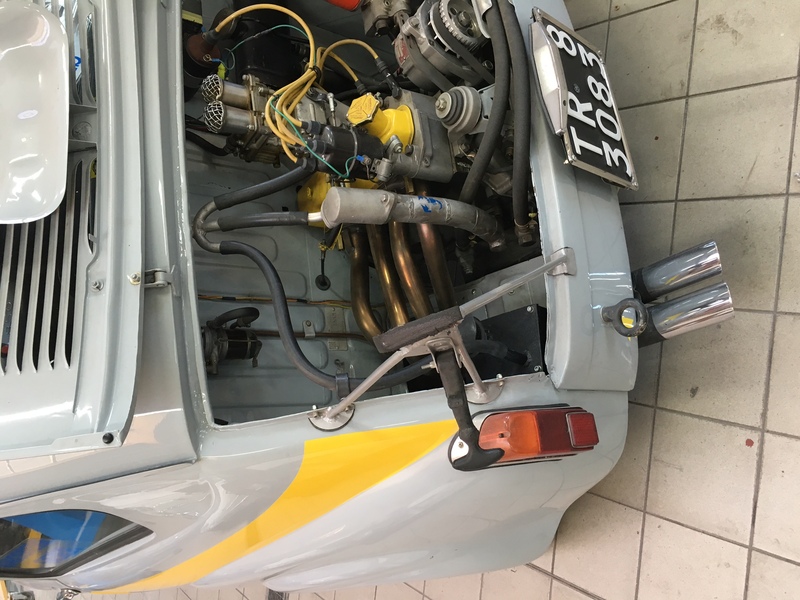 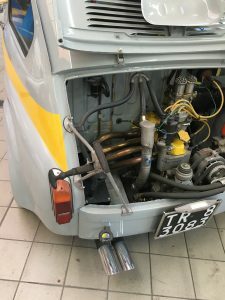 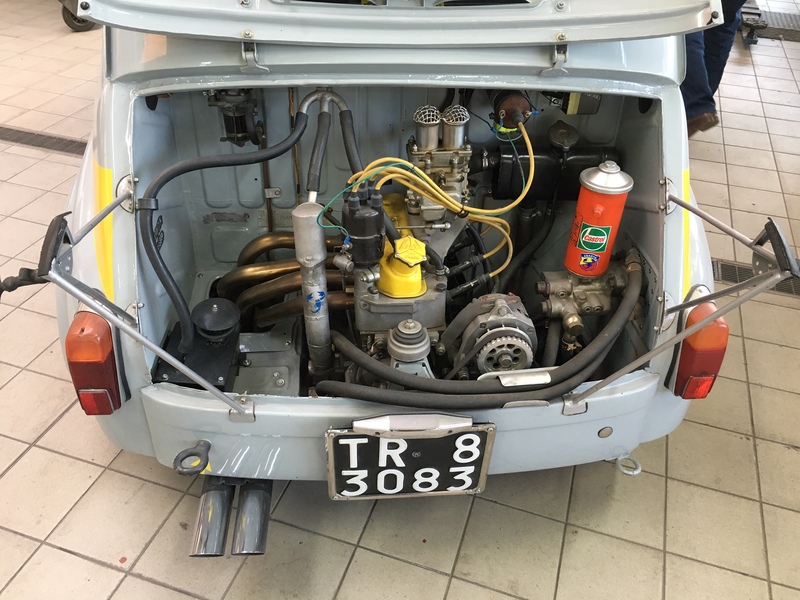 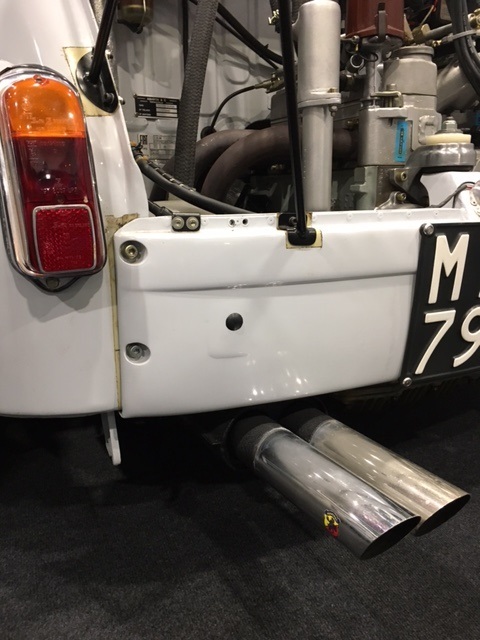 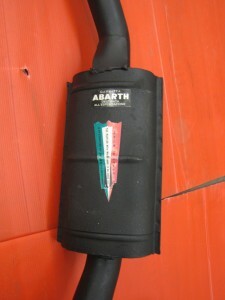 Original ABARTH endsilencer with big inner 35 mm resonators and twin entrance. 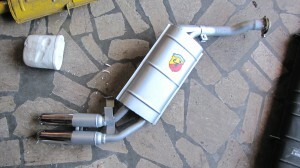 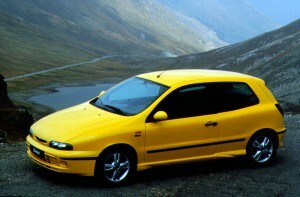 For up to 200 HP output. 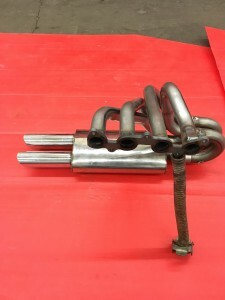 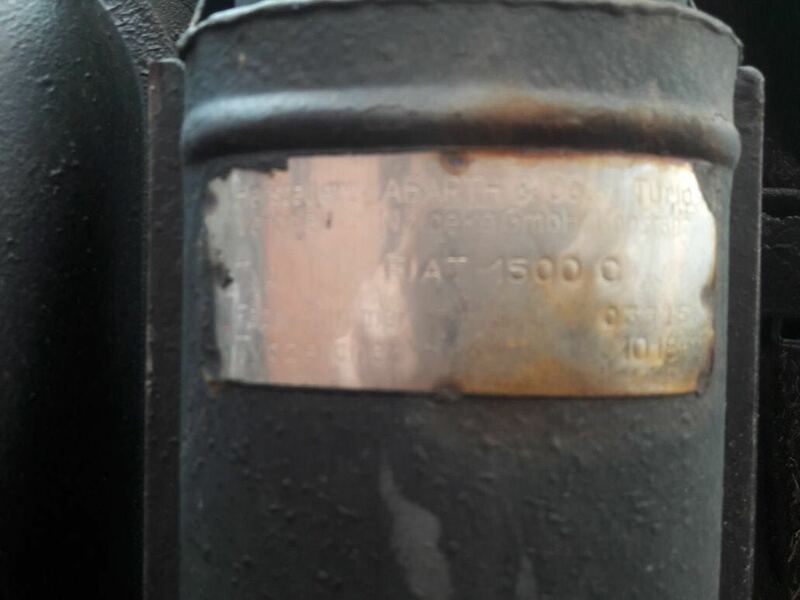 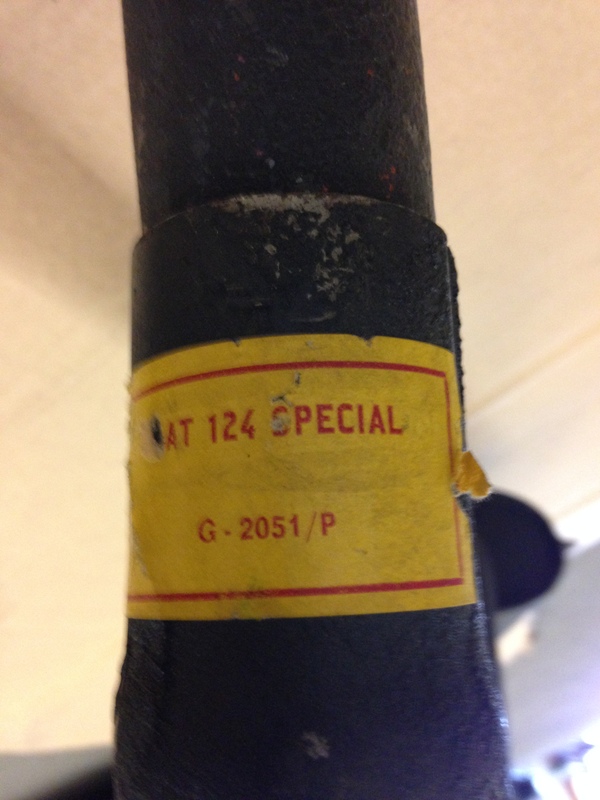 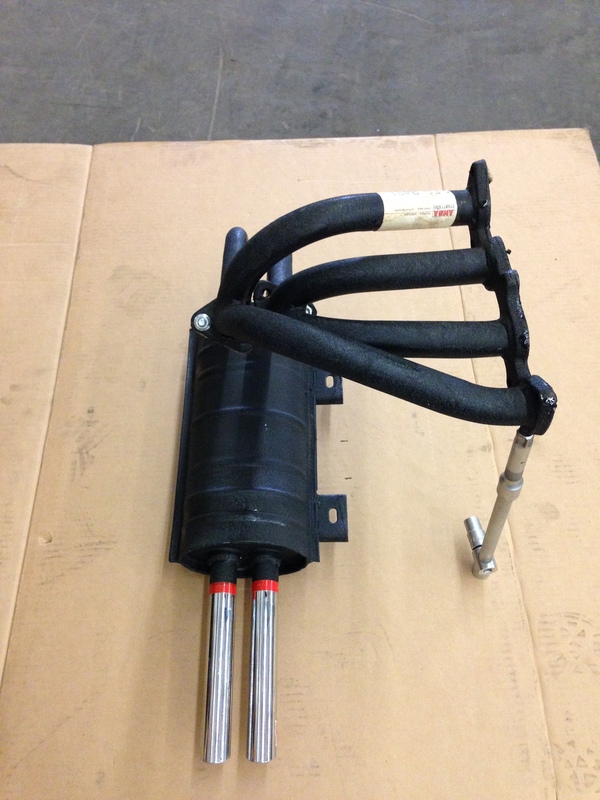 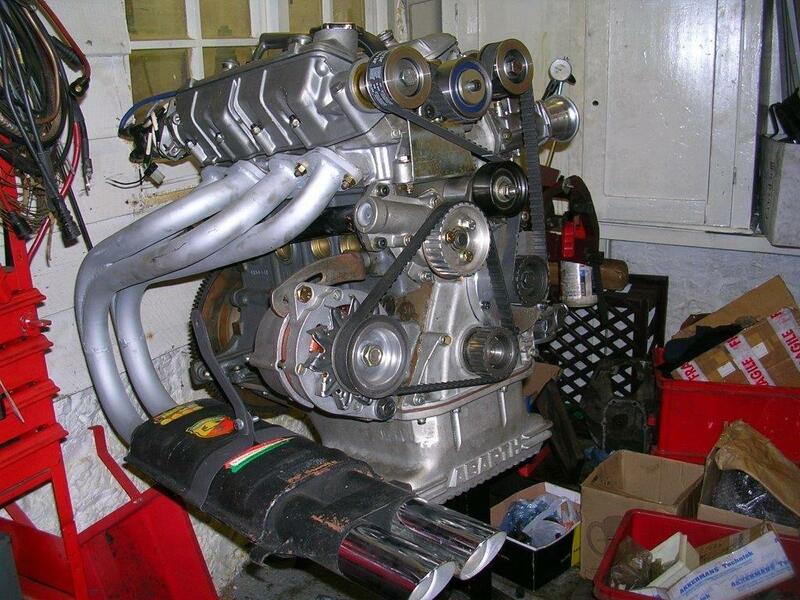 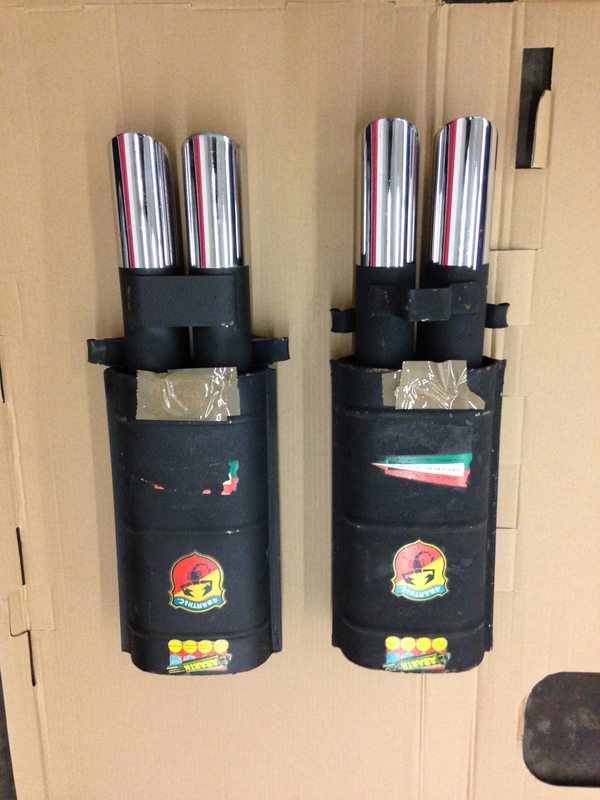 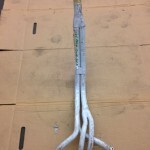 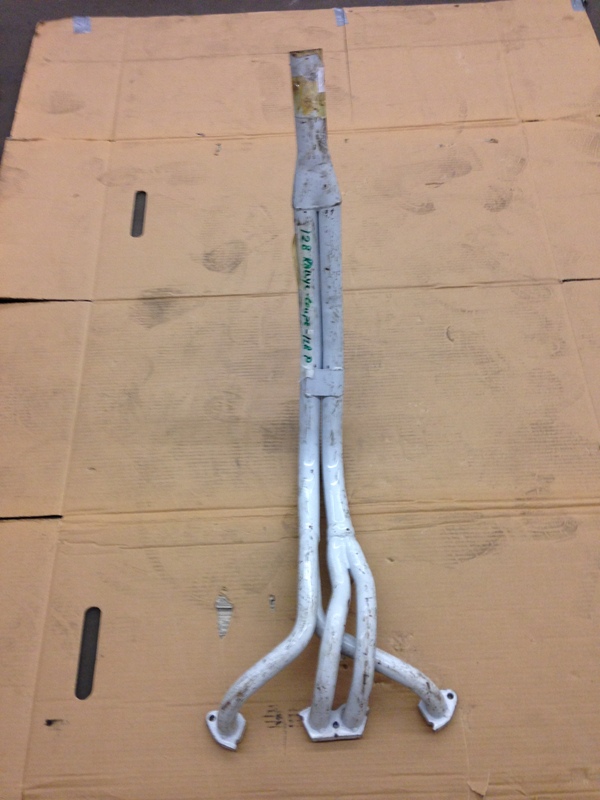 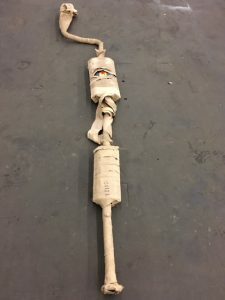 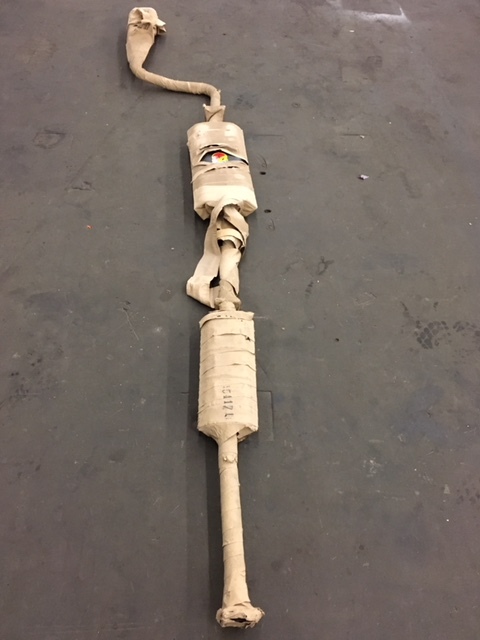 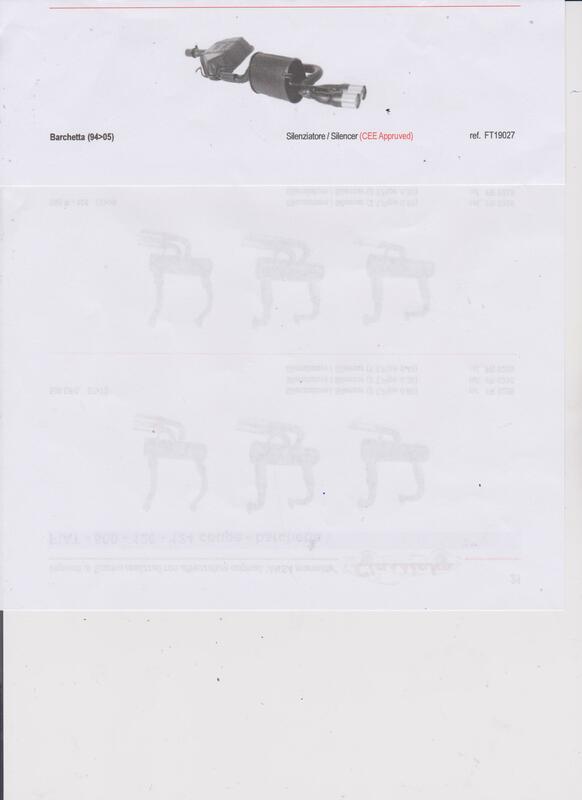 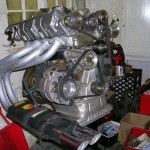 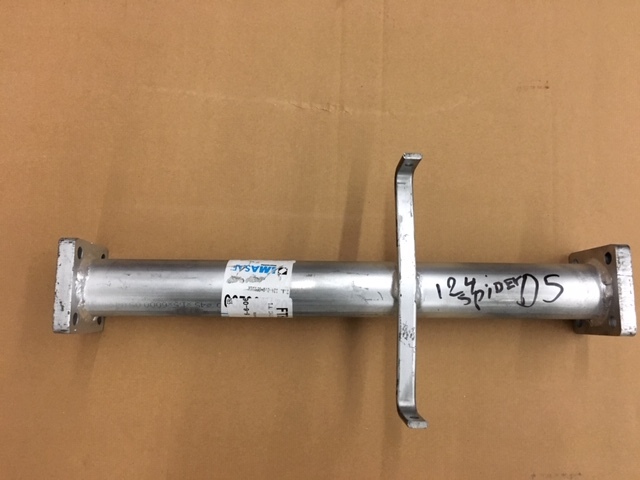 Steel 1600 OT spaghetti manifold; price and delivery on request! 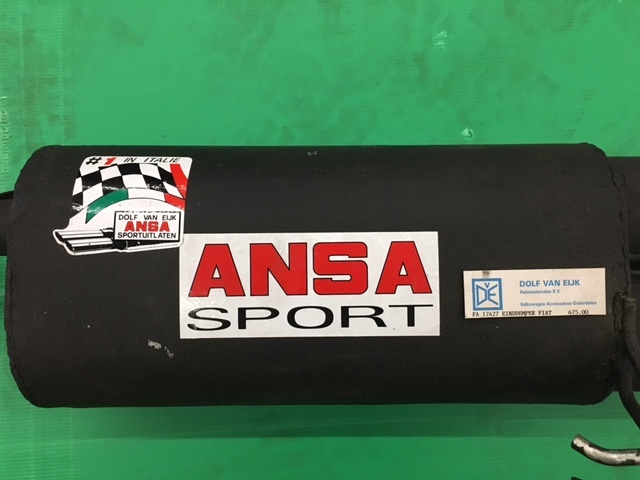 NOW available from ANSA Italy. 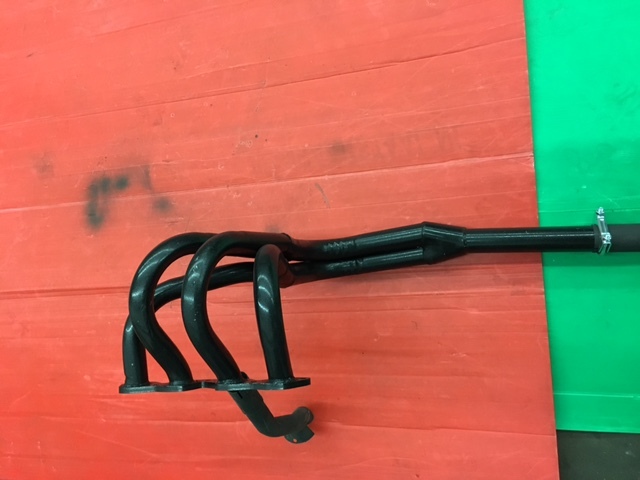 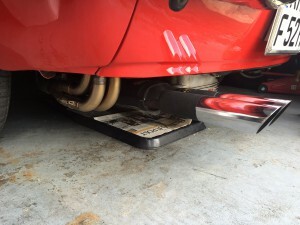 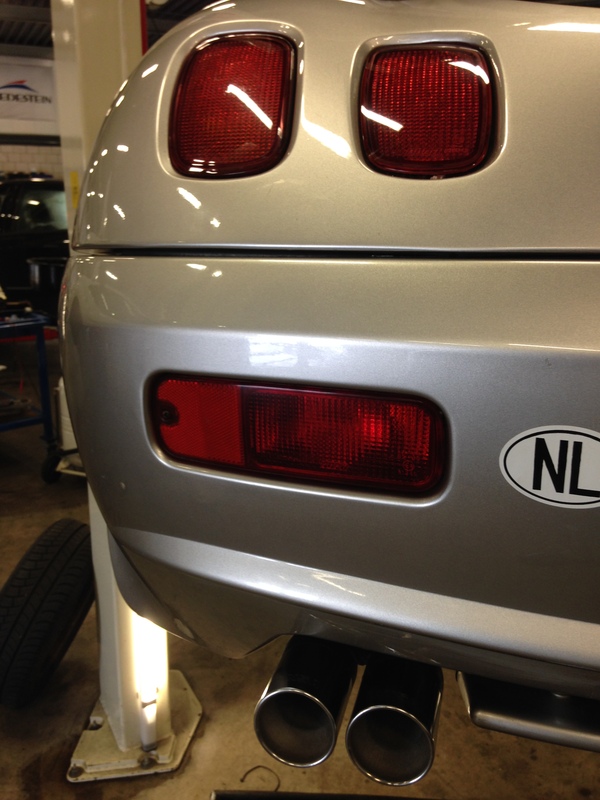 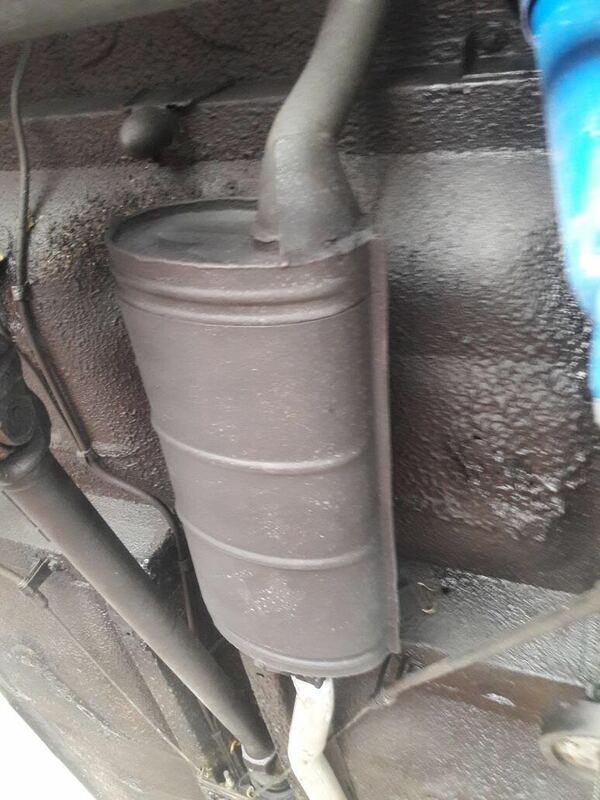 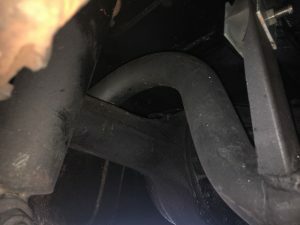 This exhaust is sold out!! 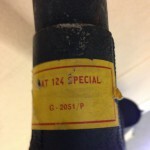 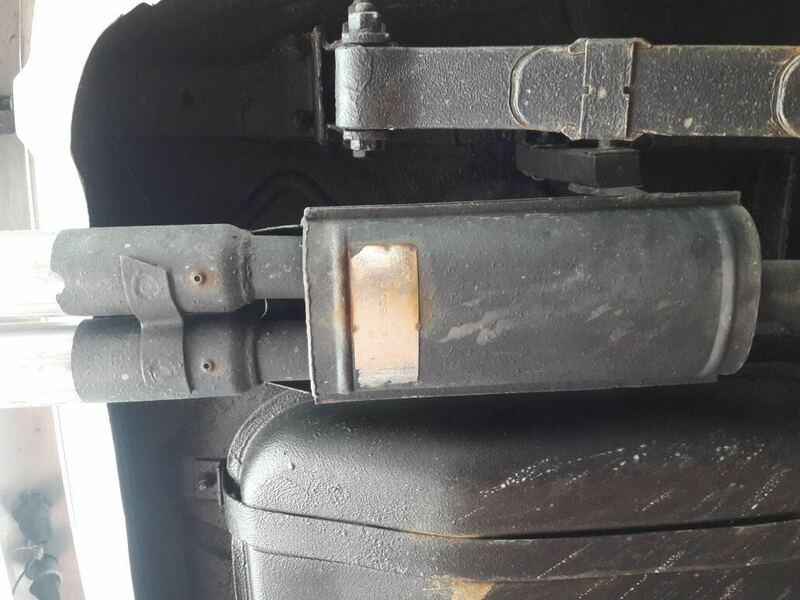 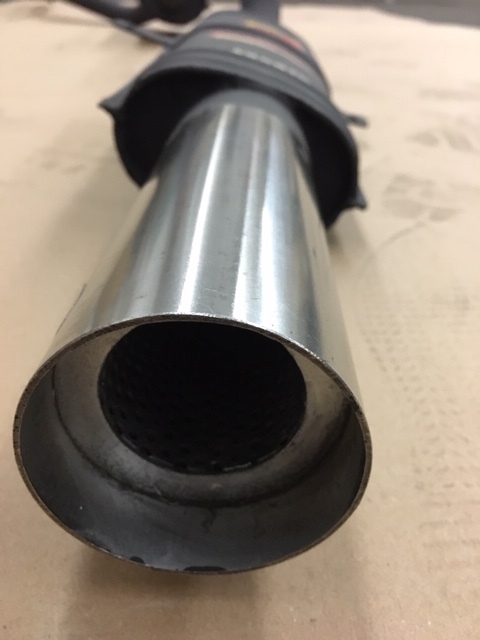 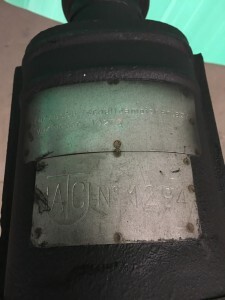 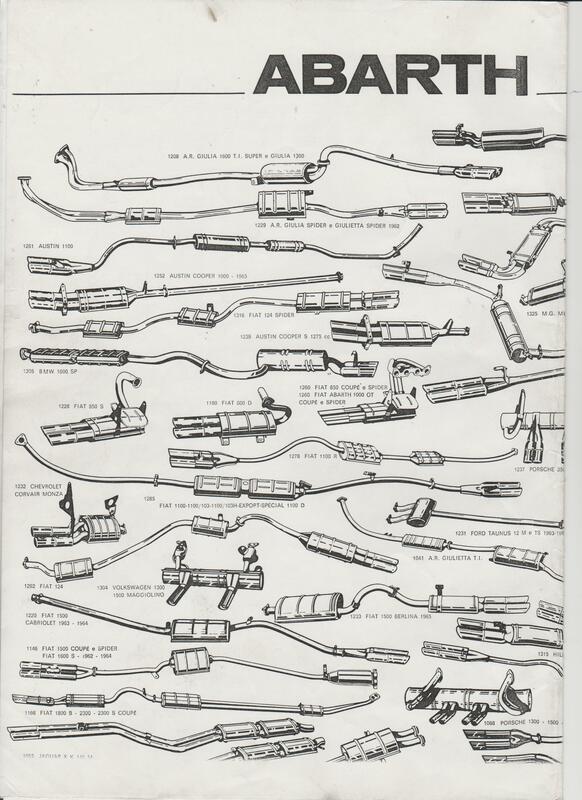 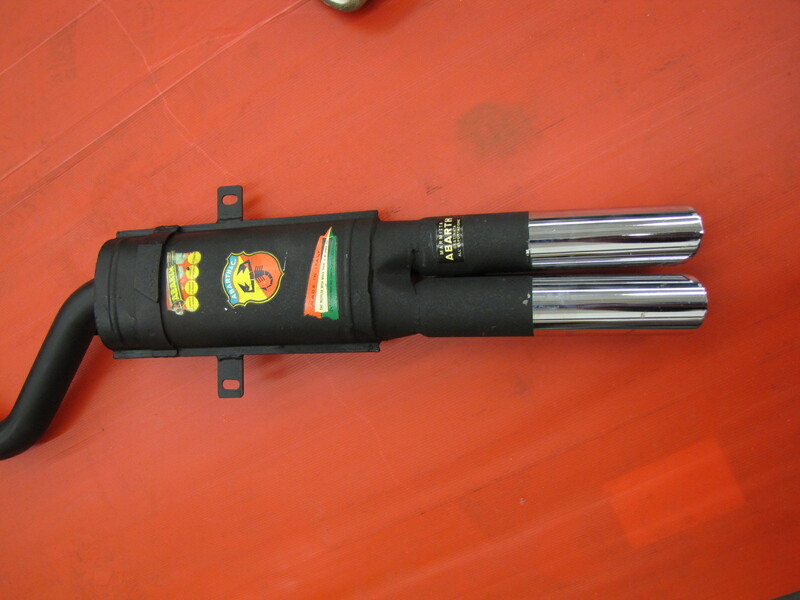 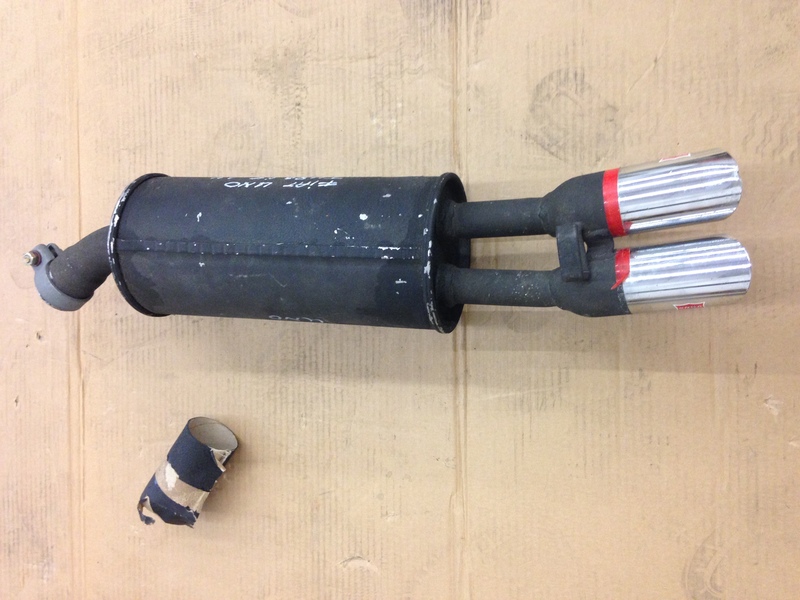 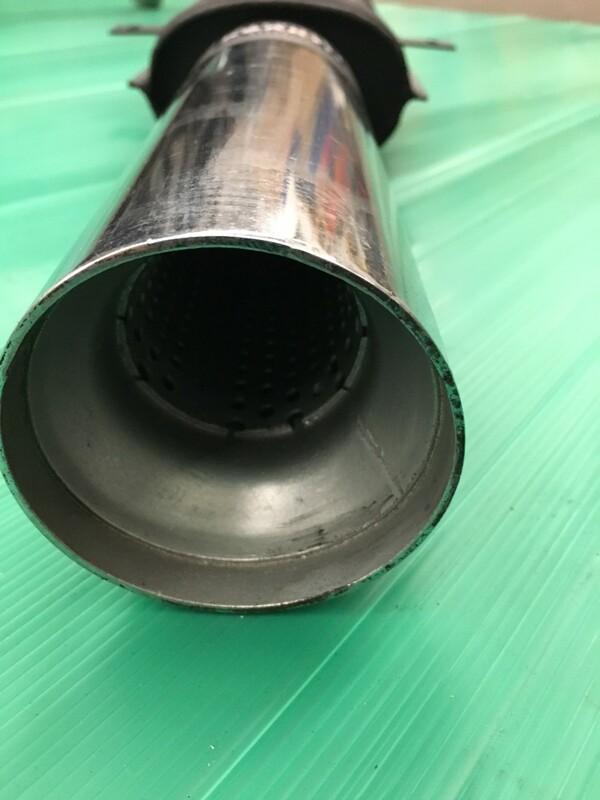 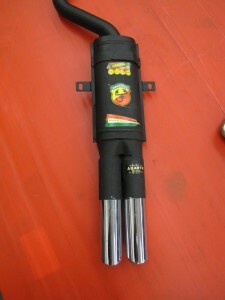 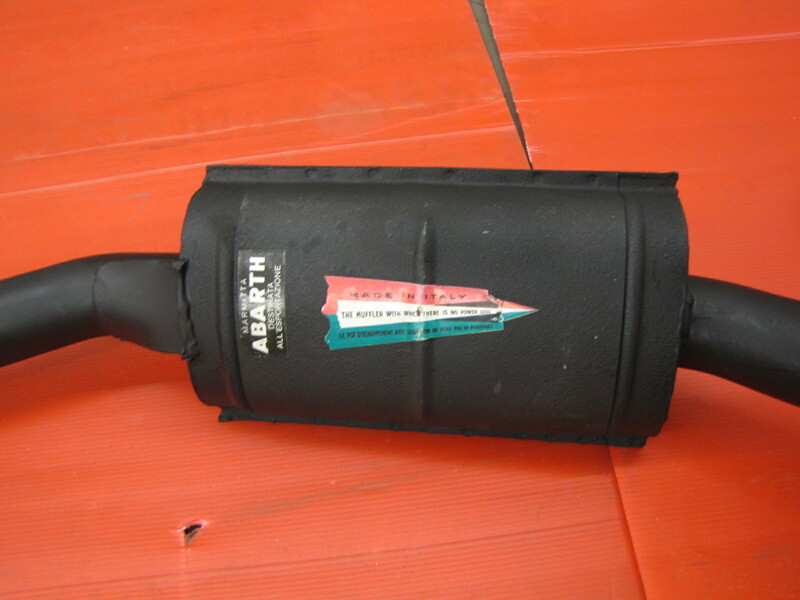 Please have a good look at your existing endsilencer, there could be some differences in type of muffler! 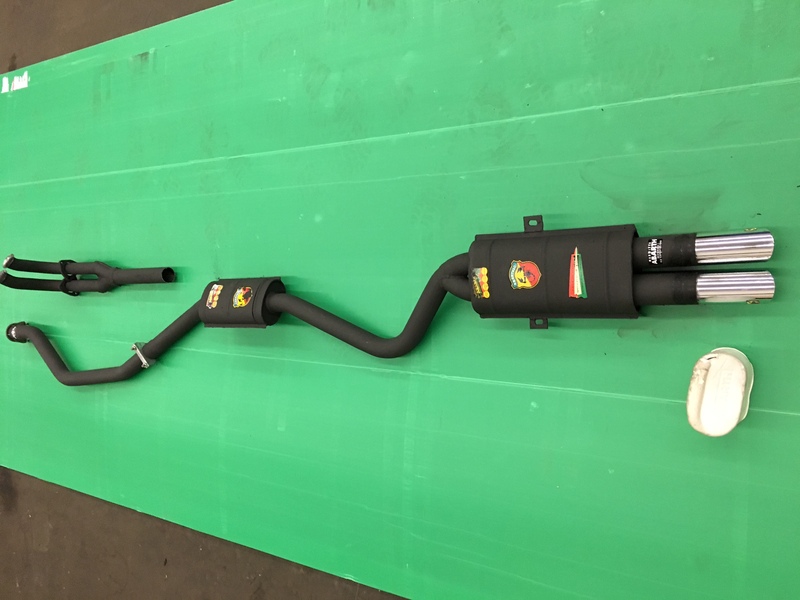 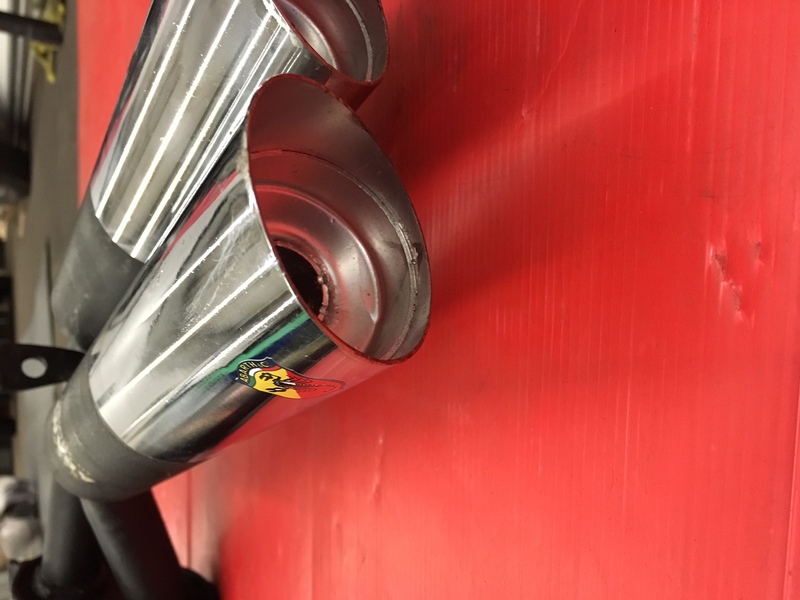 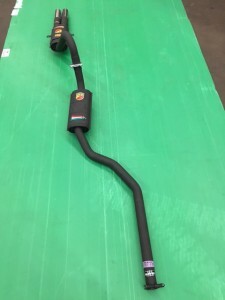 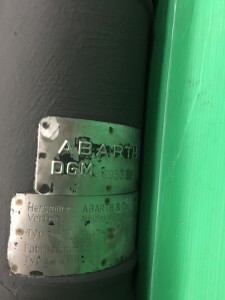 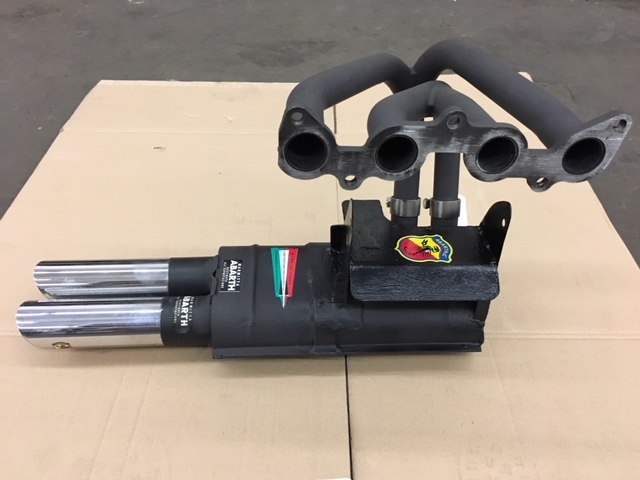 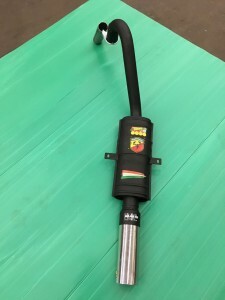 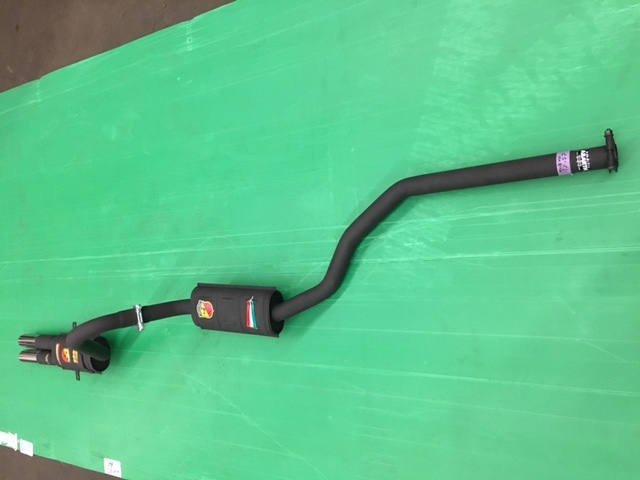 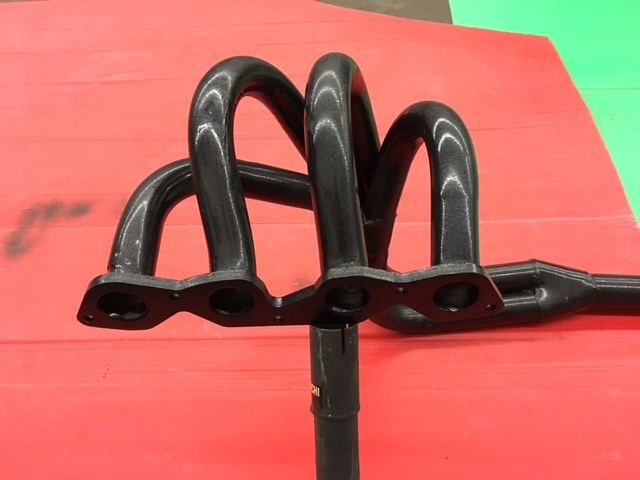 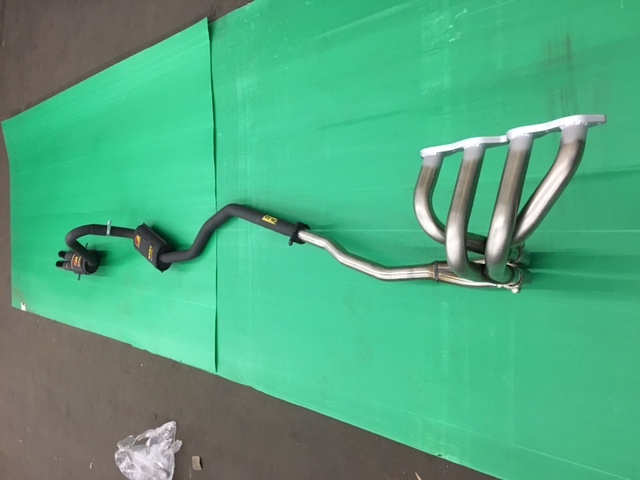 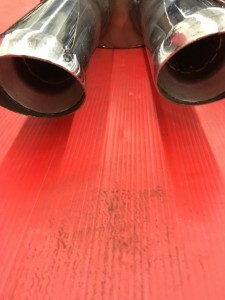 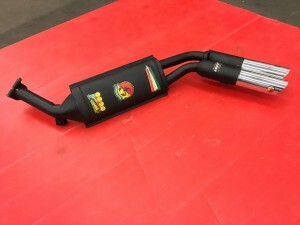 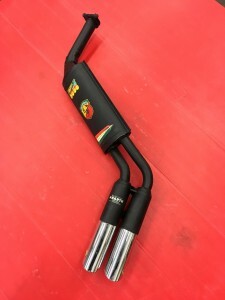 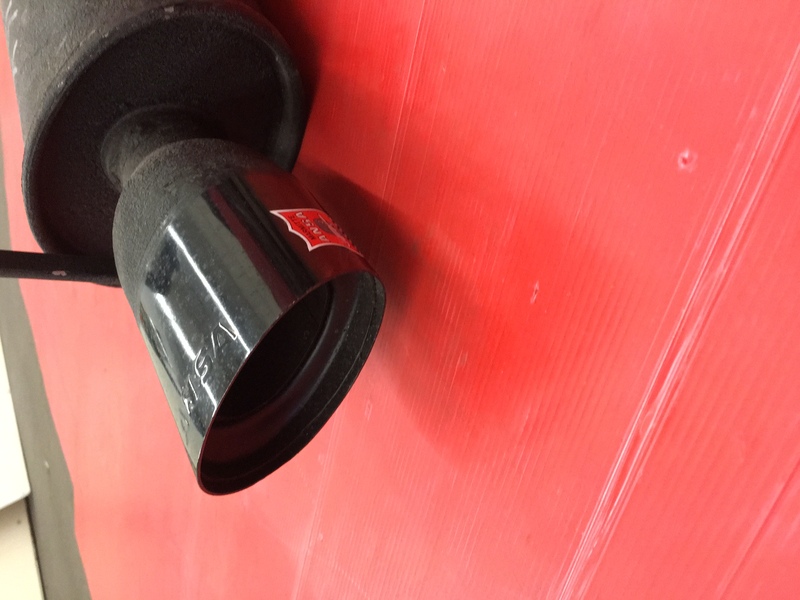 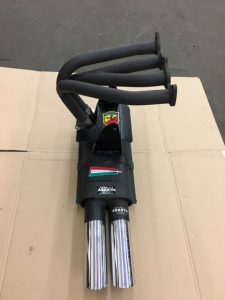 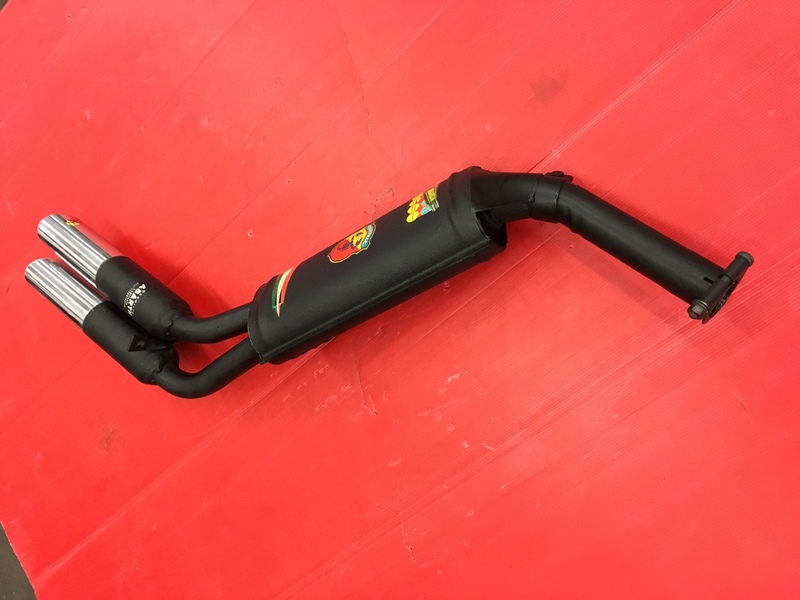 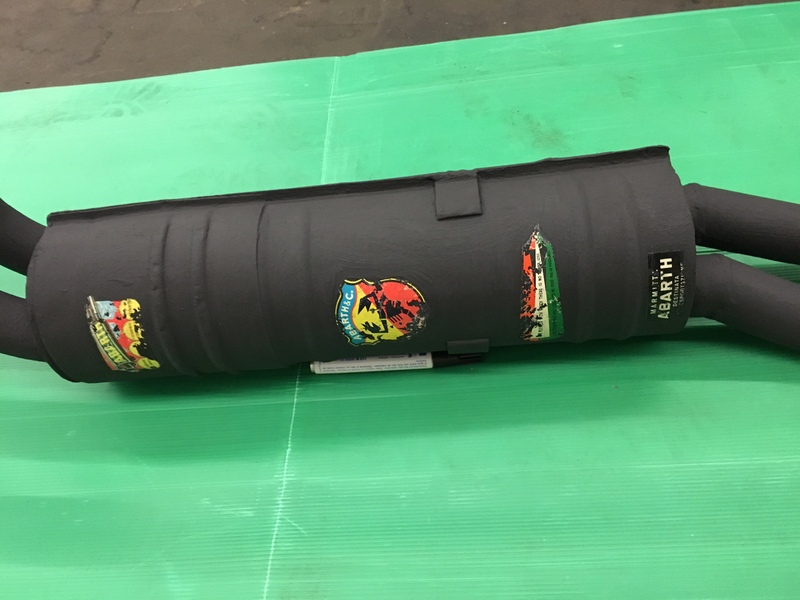 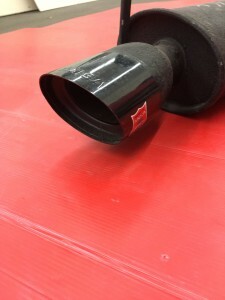 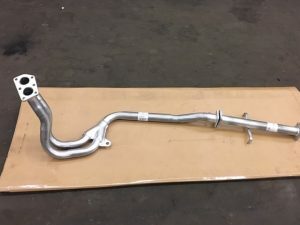 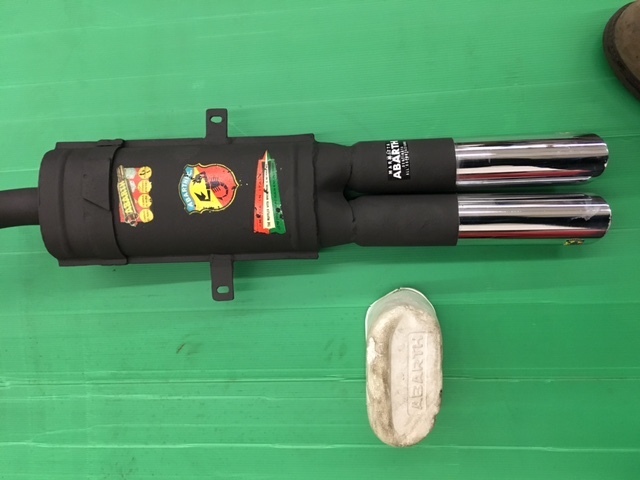 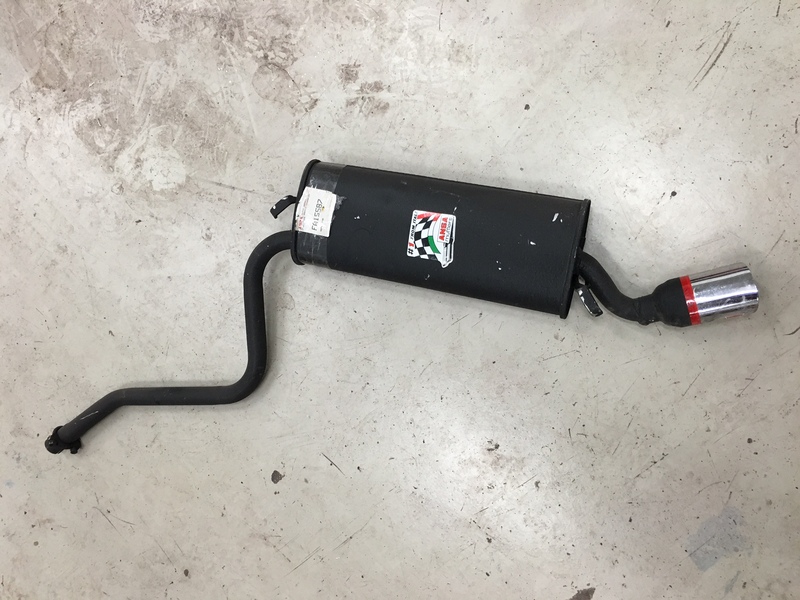 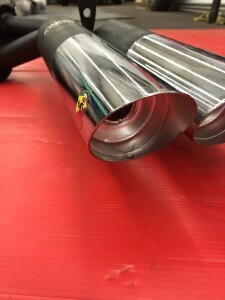 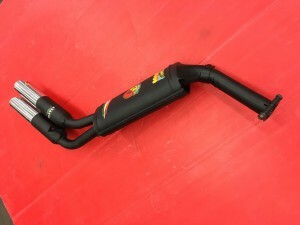 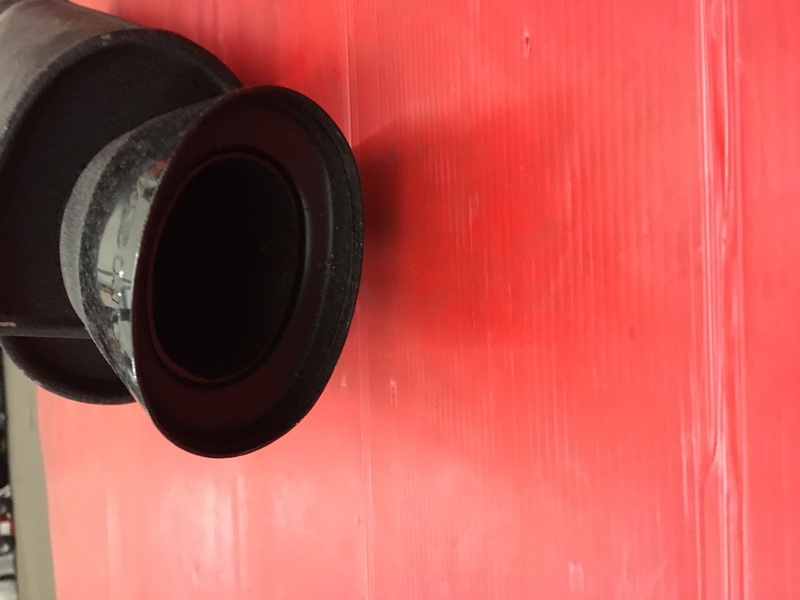 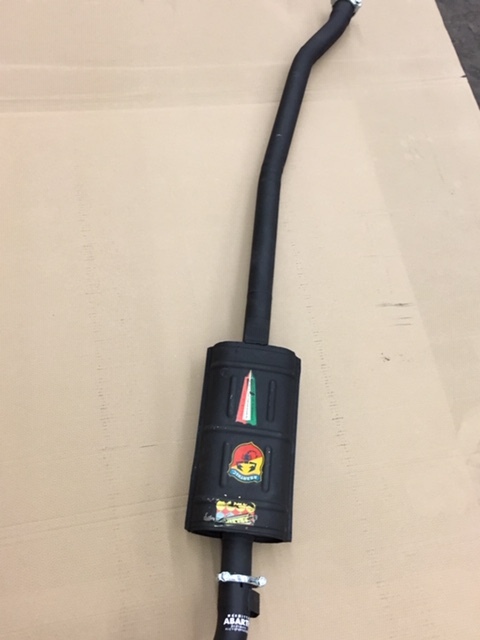 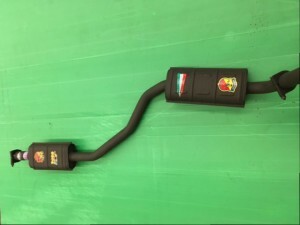 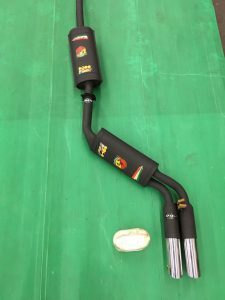 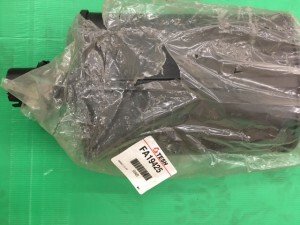 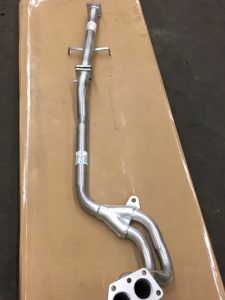 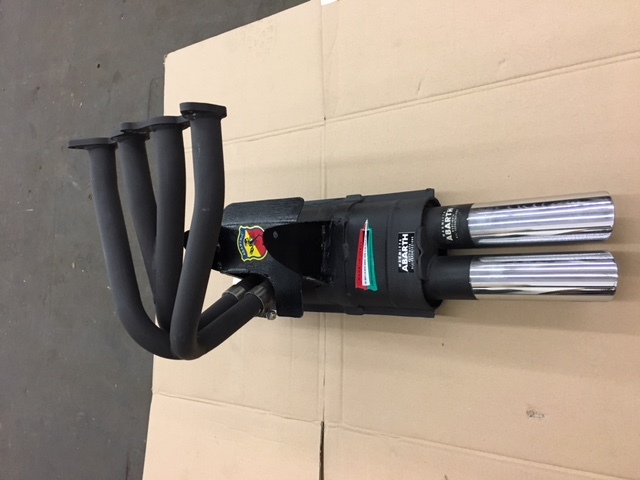 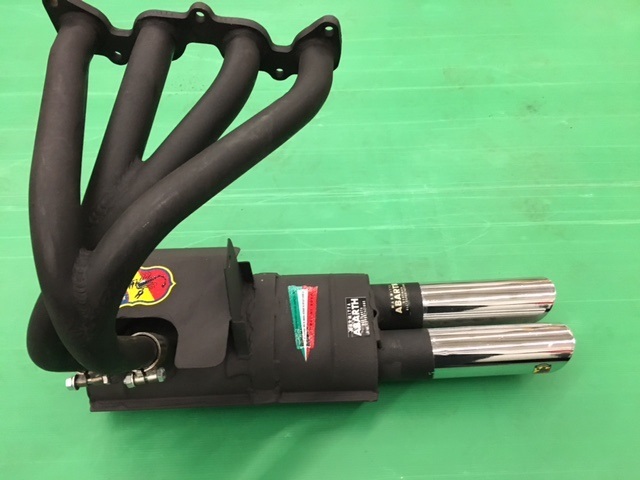 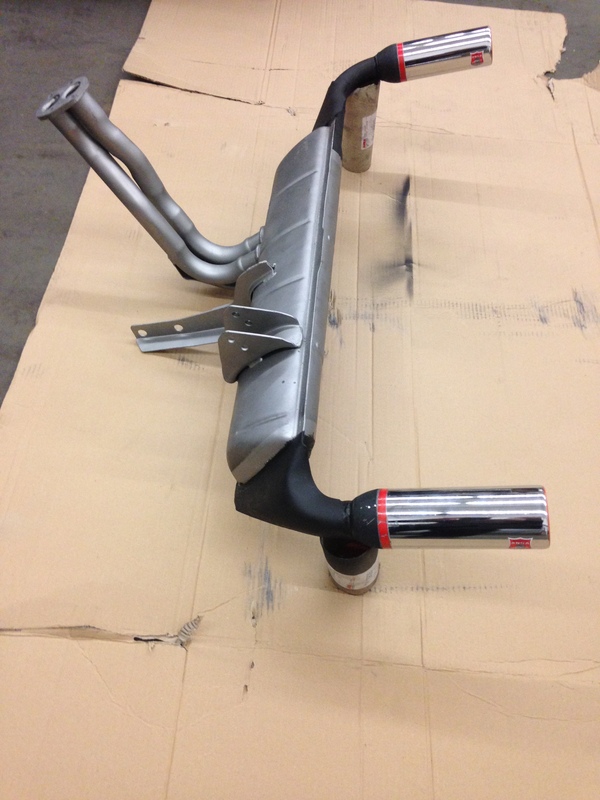 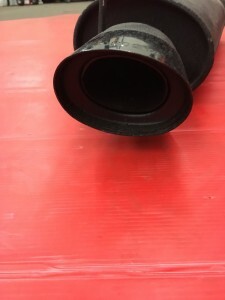 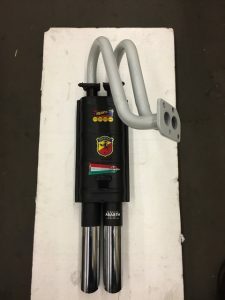 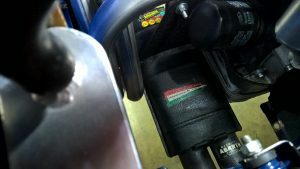 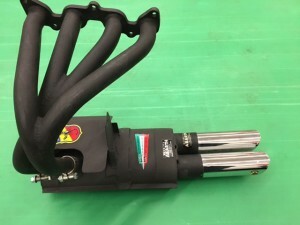 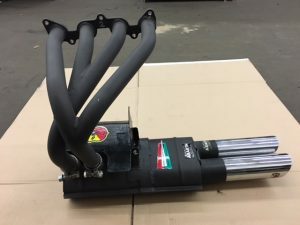 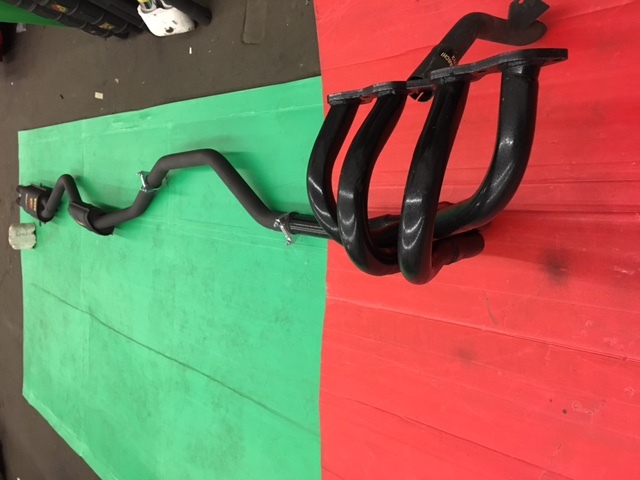 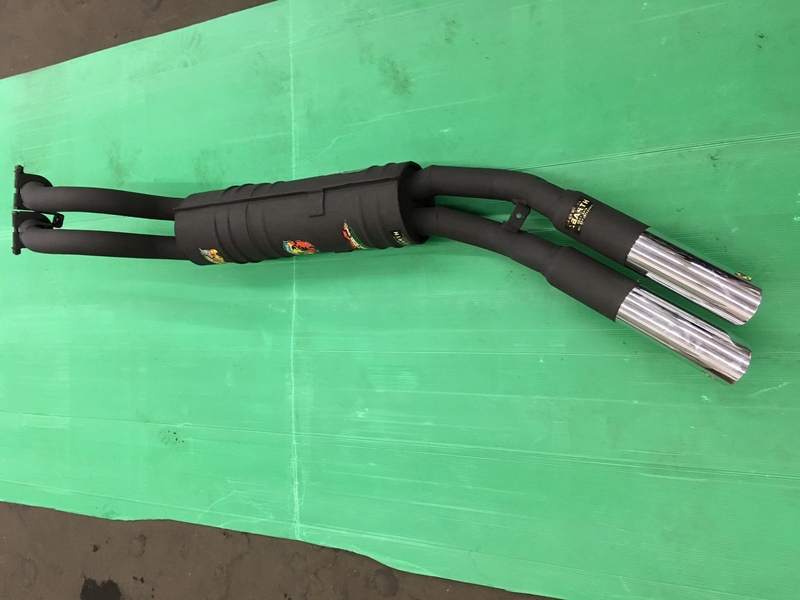 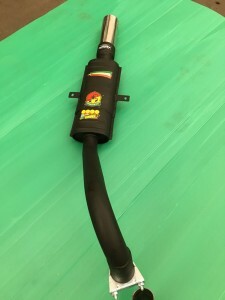 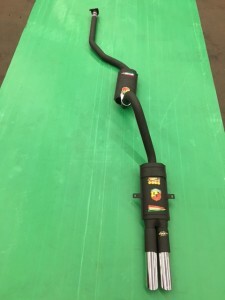 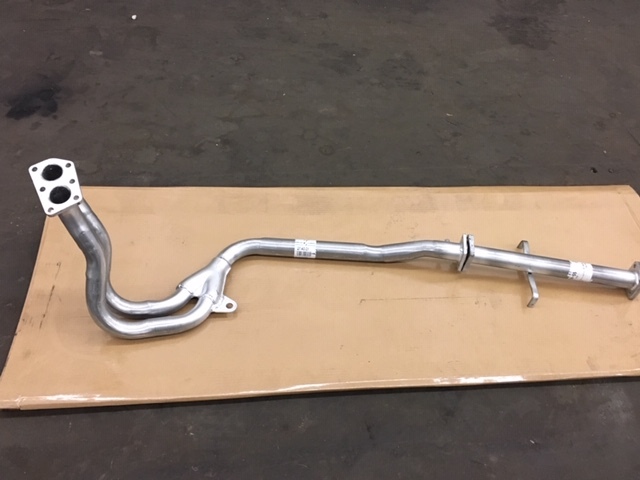 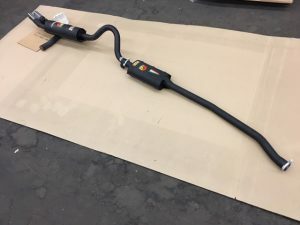 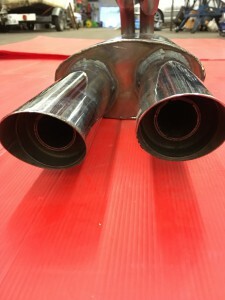 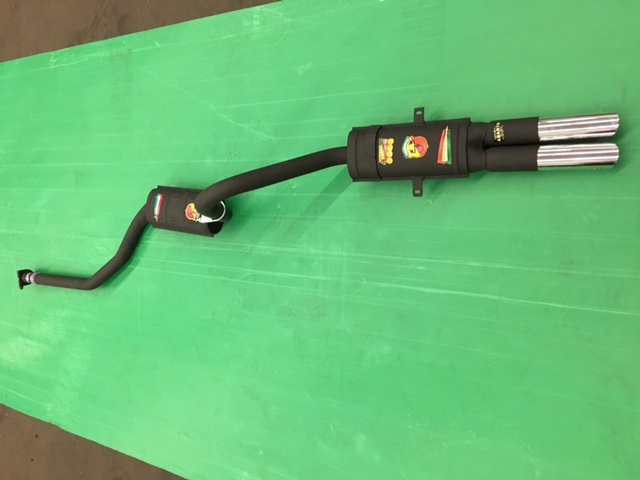 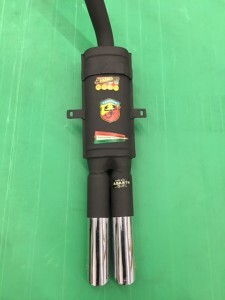 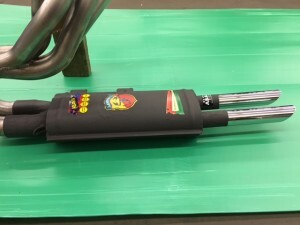 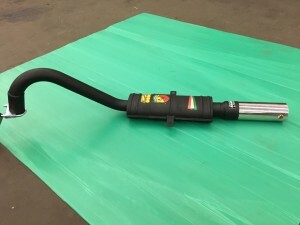 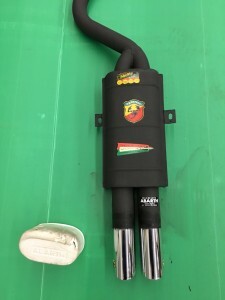 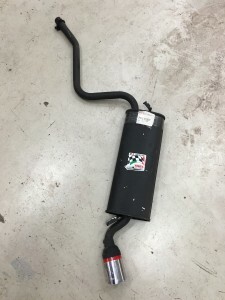 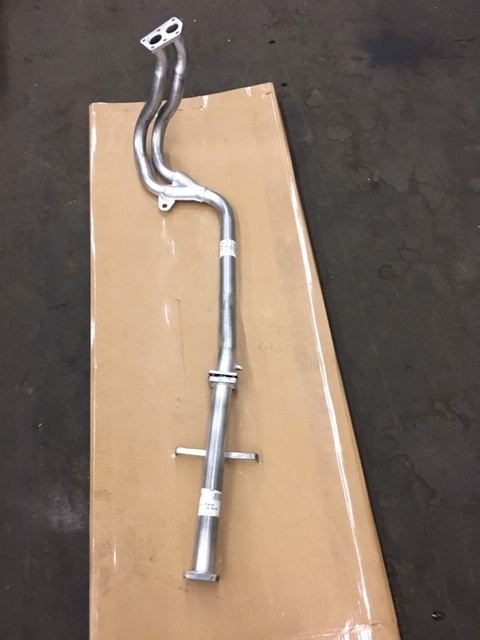 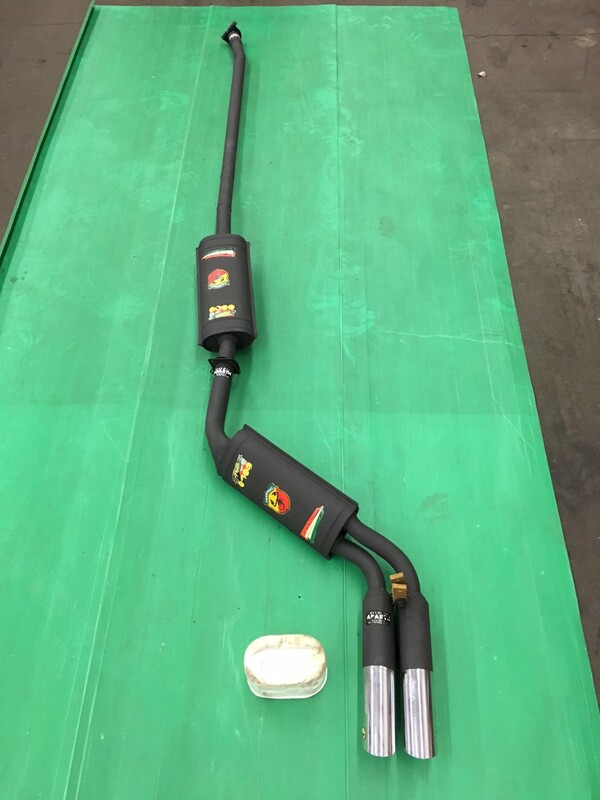 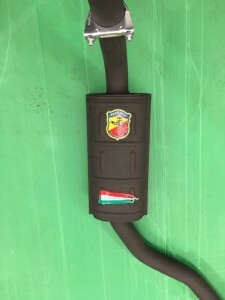 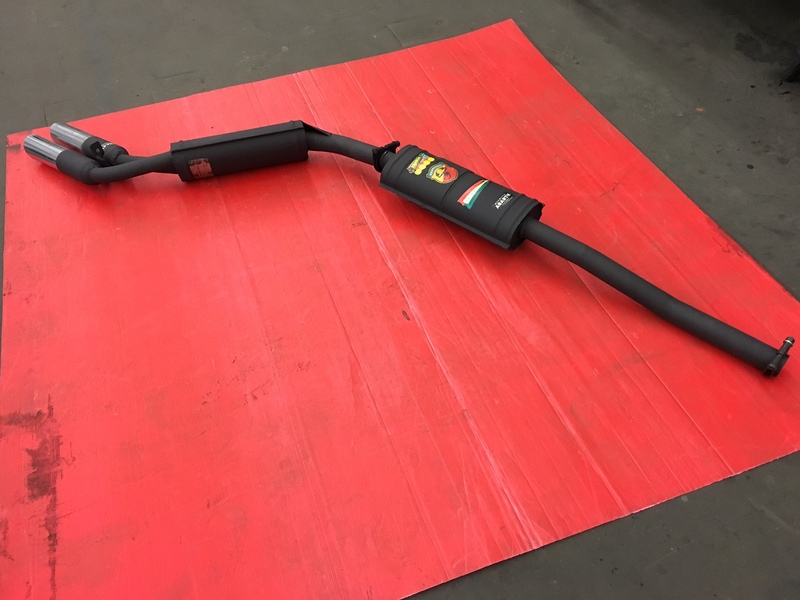 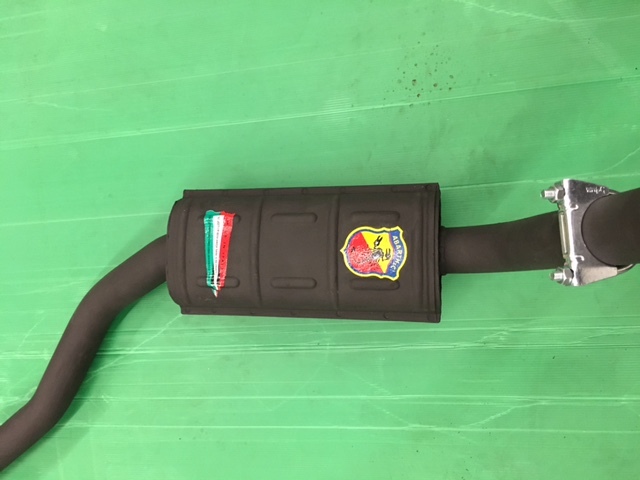 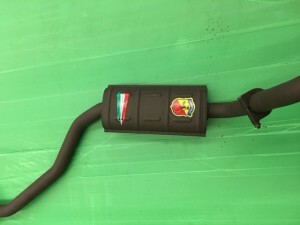 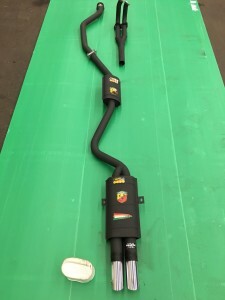 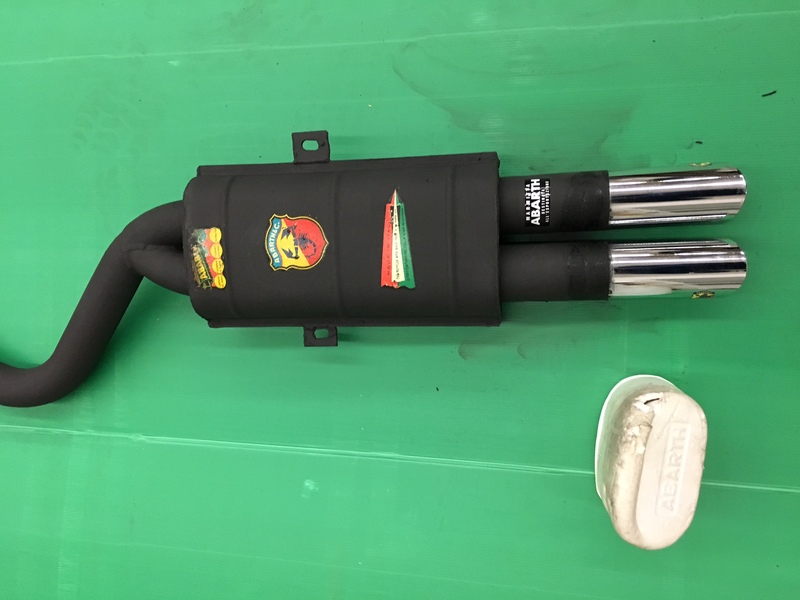 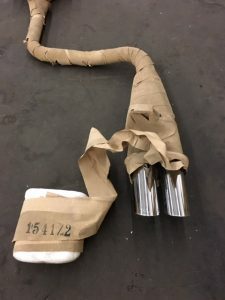 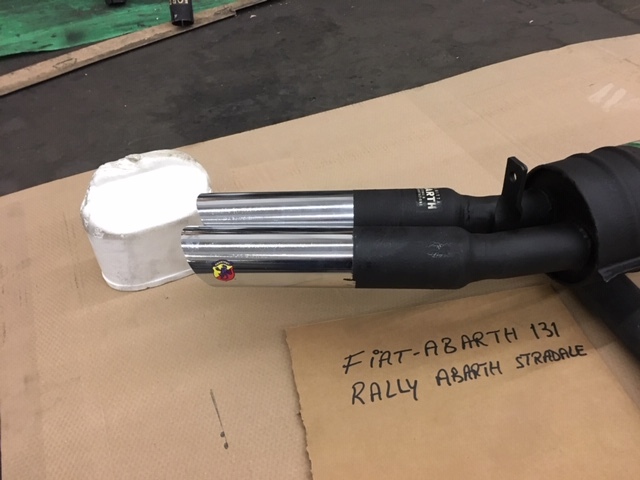 Including the Abarth 2300 S Abarth middlemuffler, which will fit between the 50 mm OD single pipe and 2300 S Abarth endsilencer. 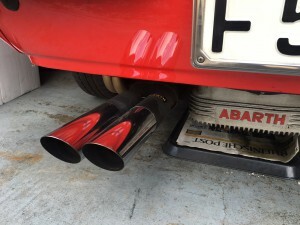 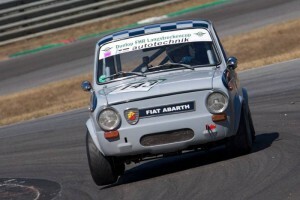 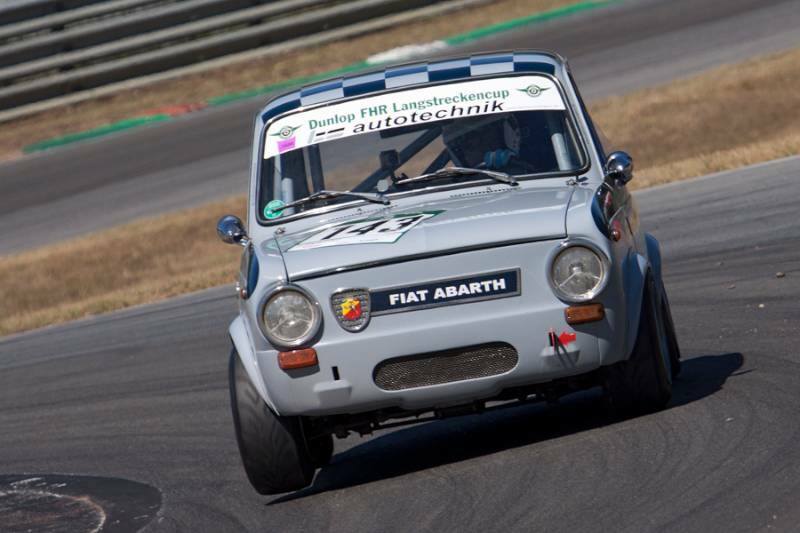 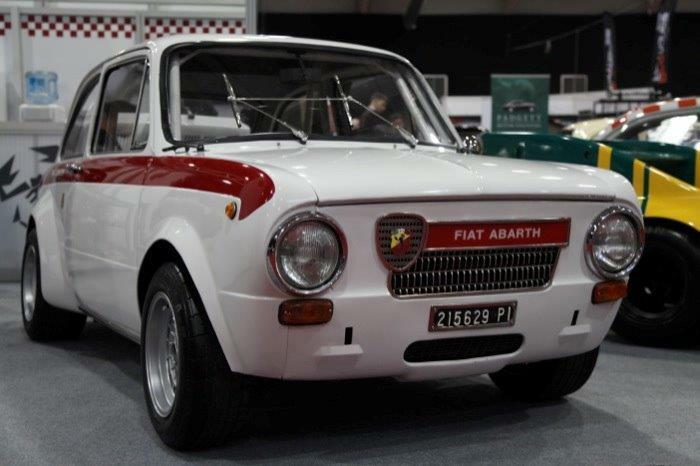 Wonderfull Abarth sound, impressive showing! 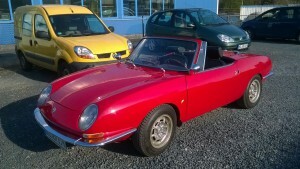 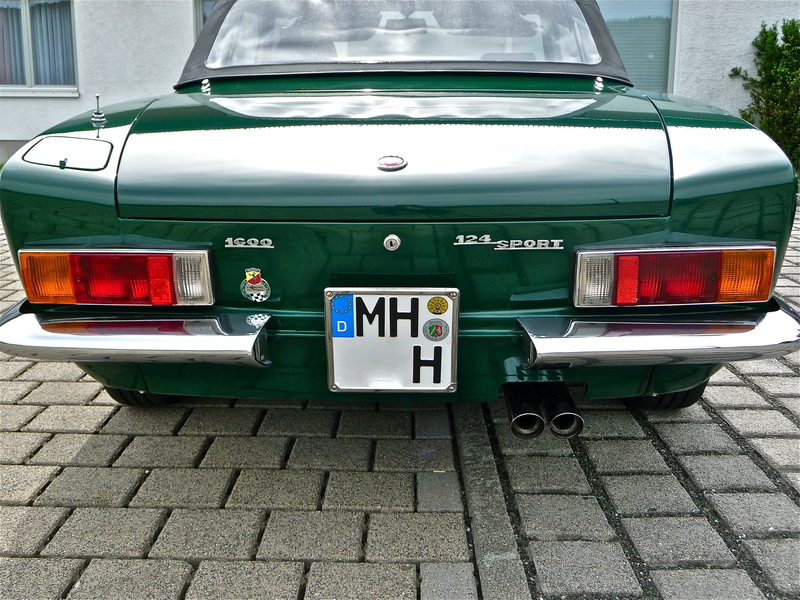 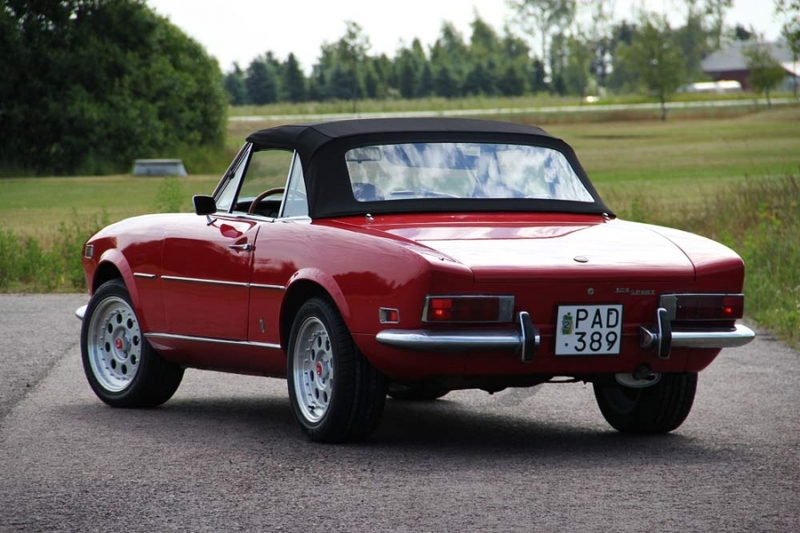 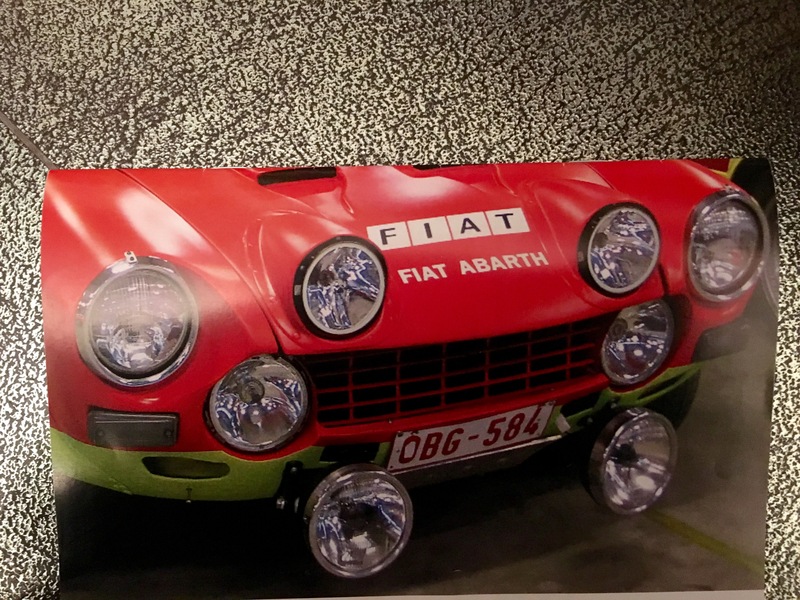 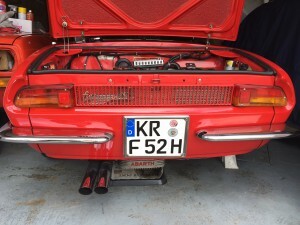 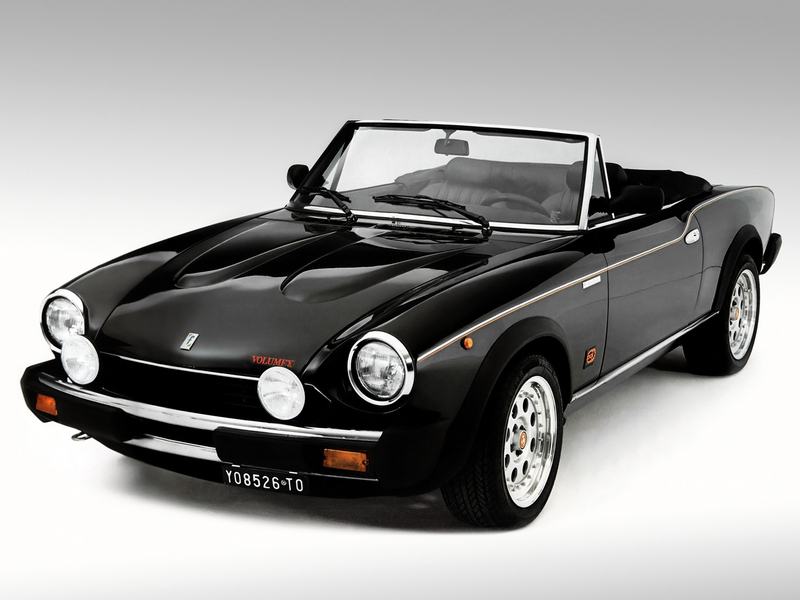 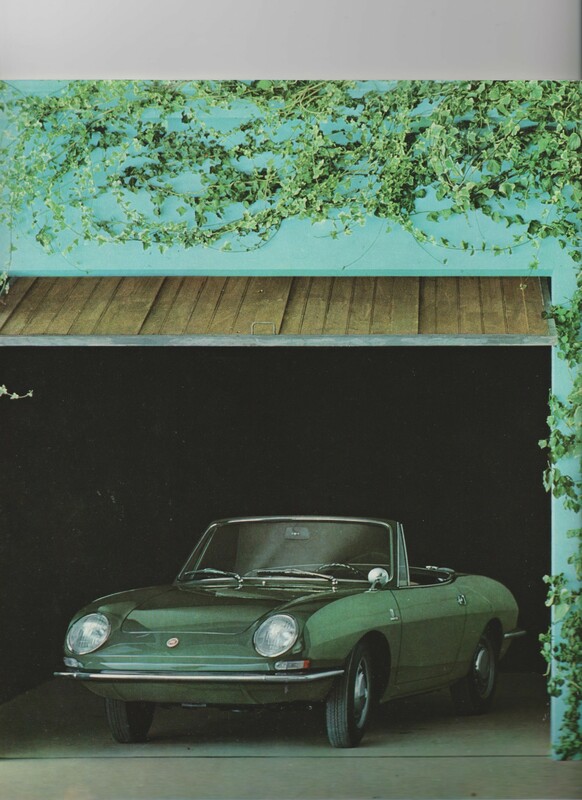 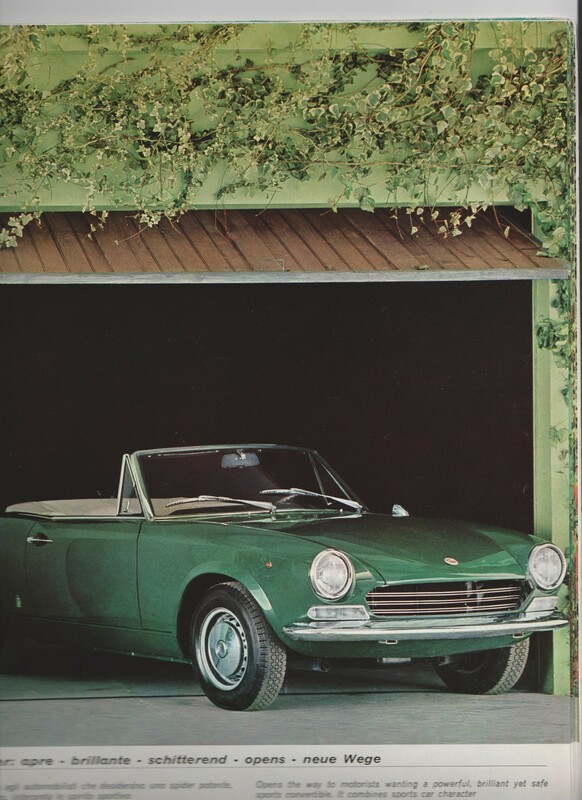 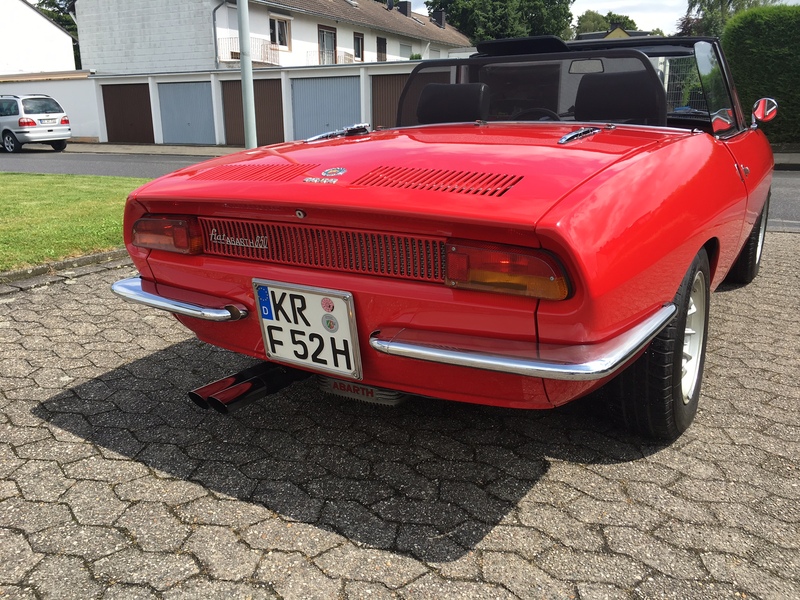 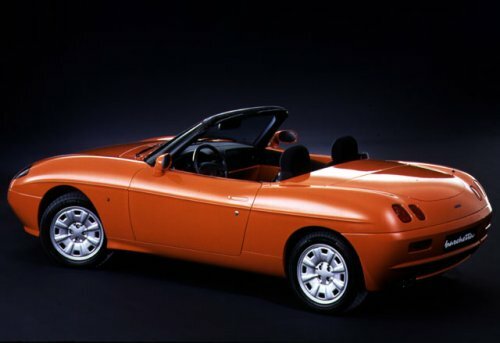 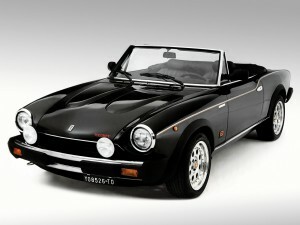 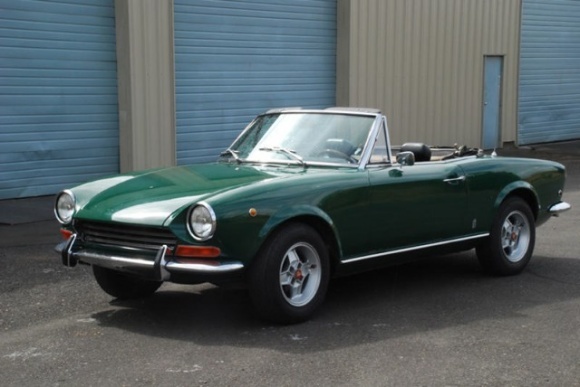 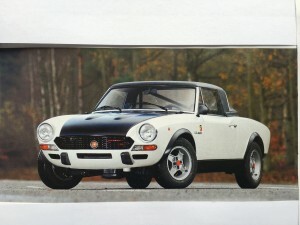 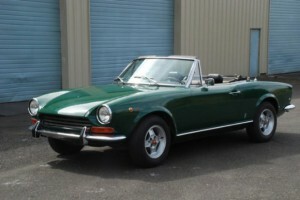 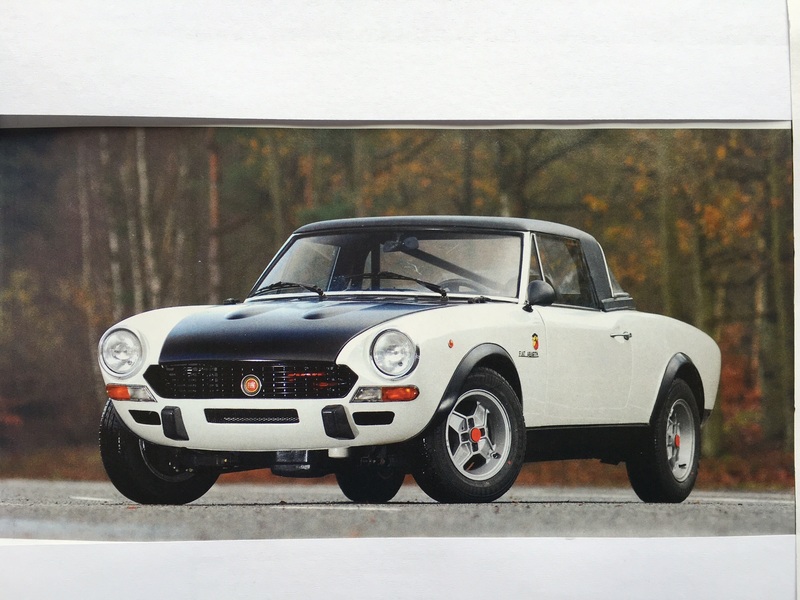 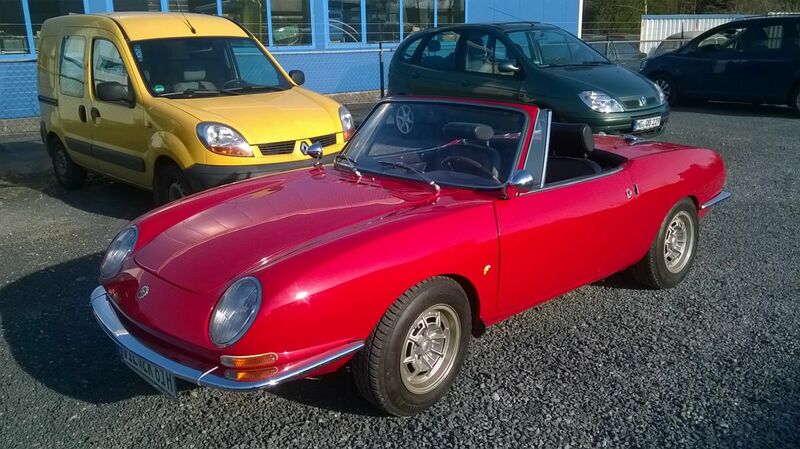 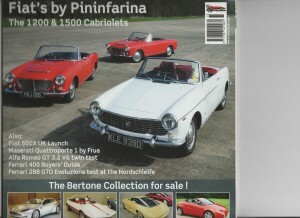 FIAT 124 Spider AS-BS-BS1 1400/1600 series, Abarth nr. 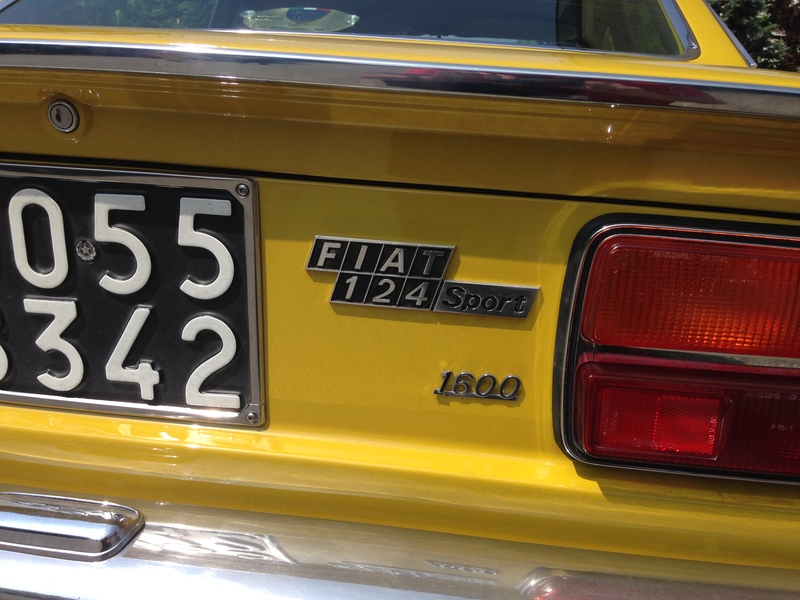 1403, incl. 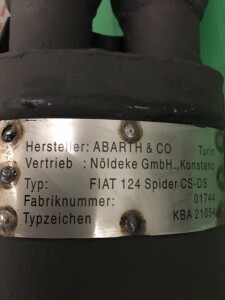 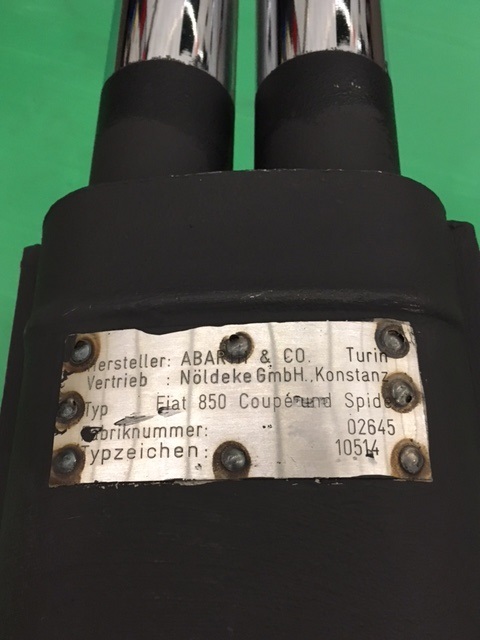 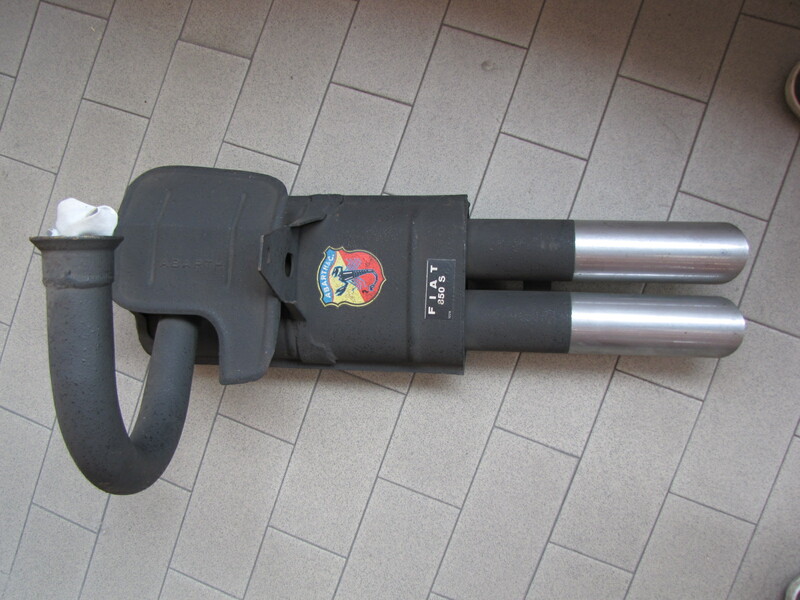 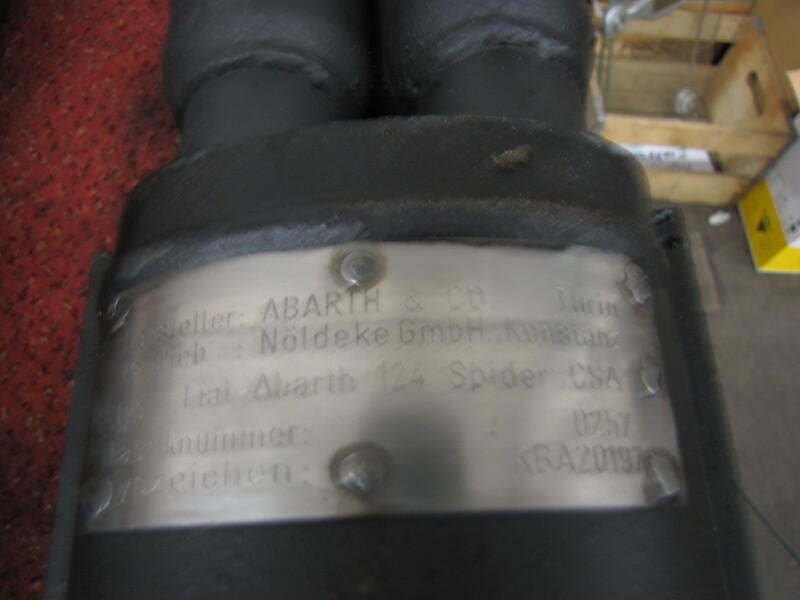 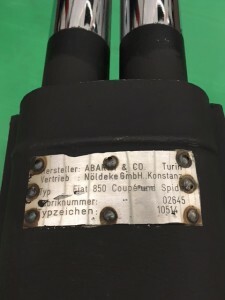 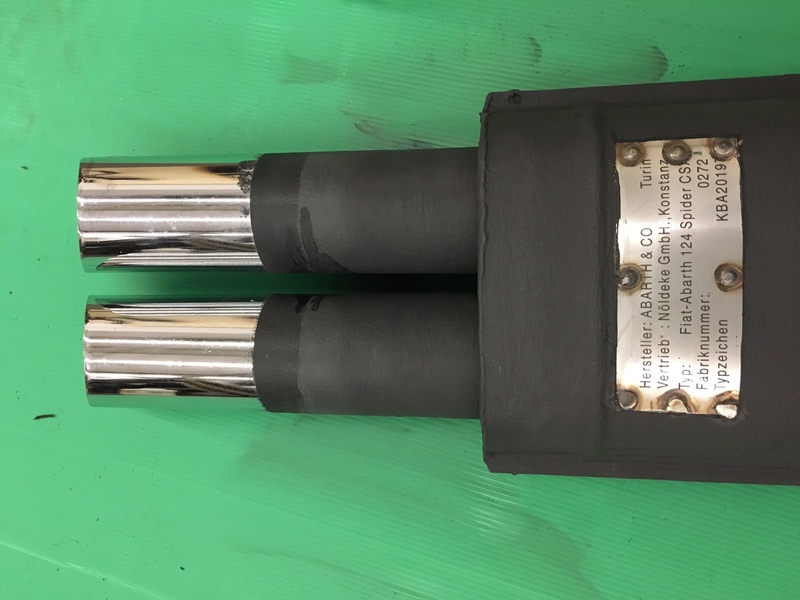 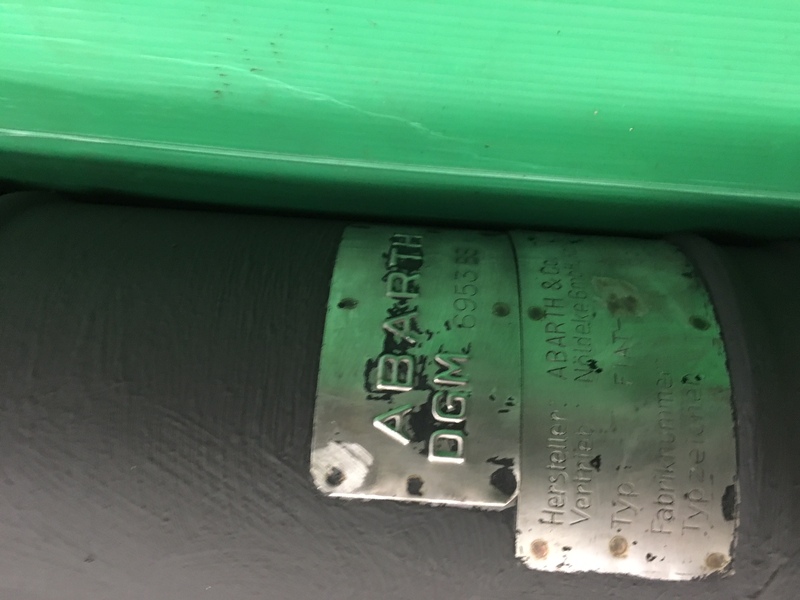 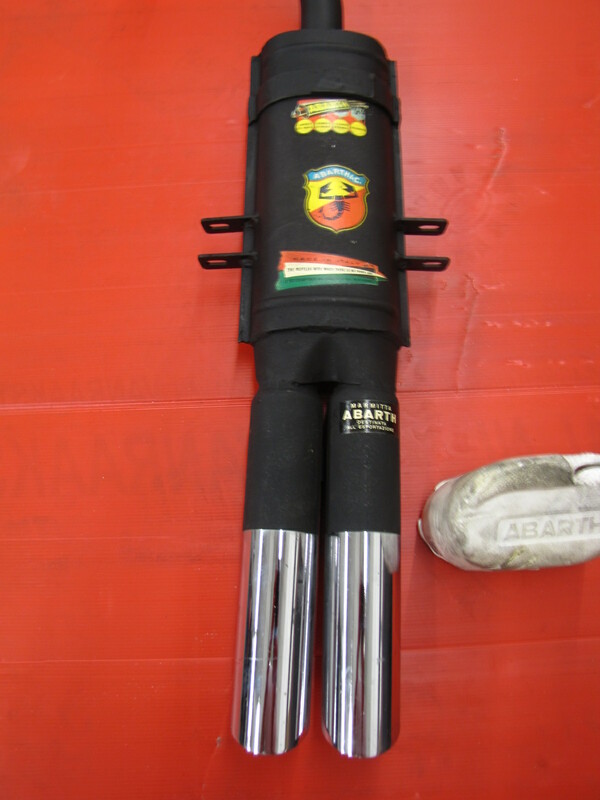 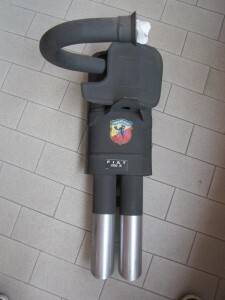 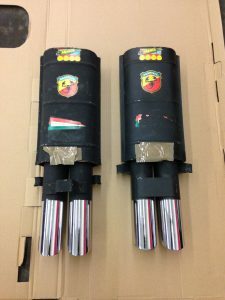 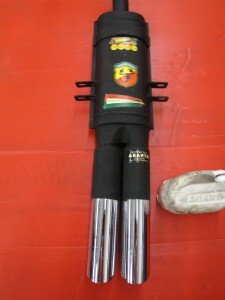 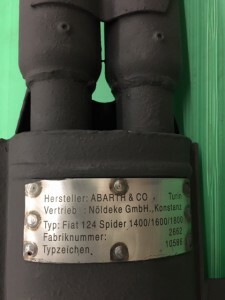 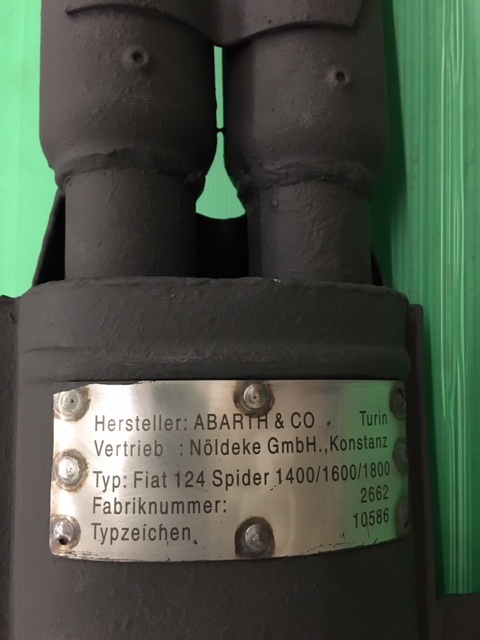 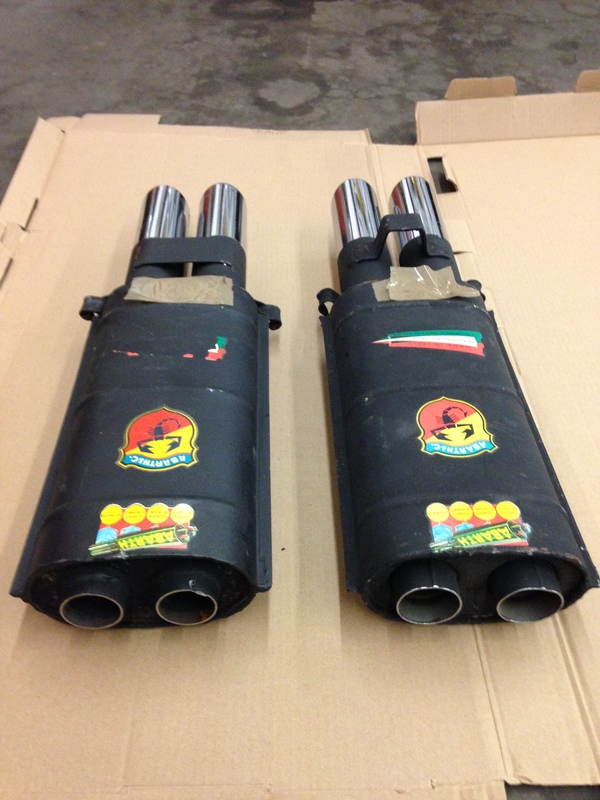 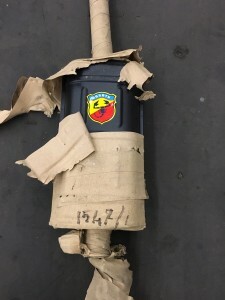 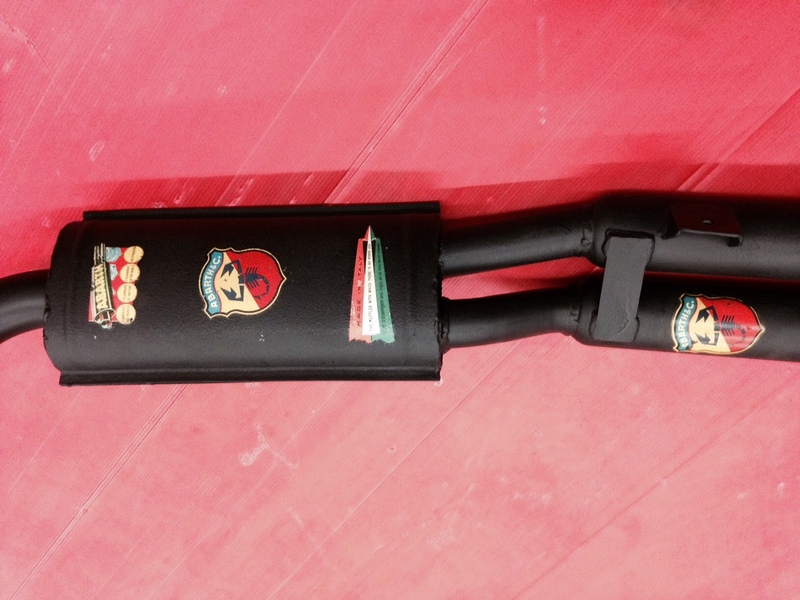 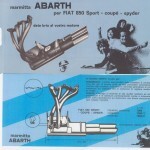 German ABE, 45 mm mian pipe diameter, including Abarth endsilencer with twin 60 mm diameter endresonators. 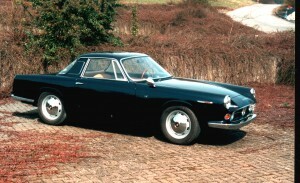 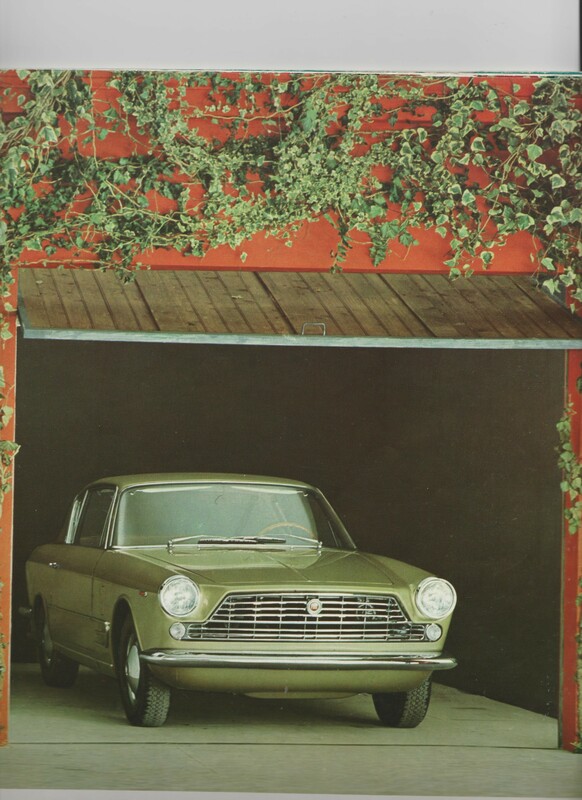 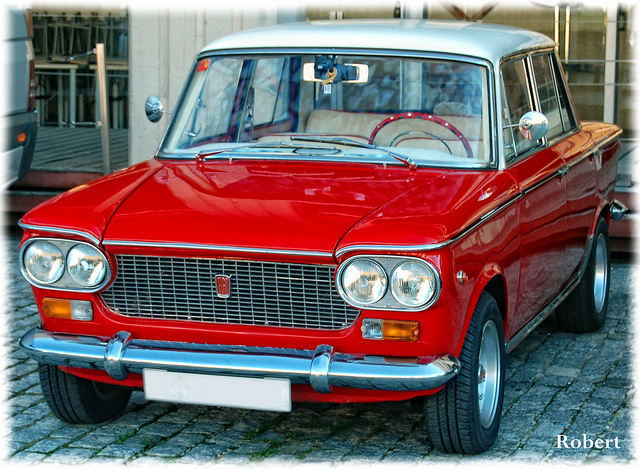 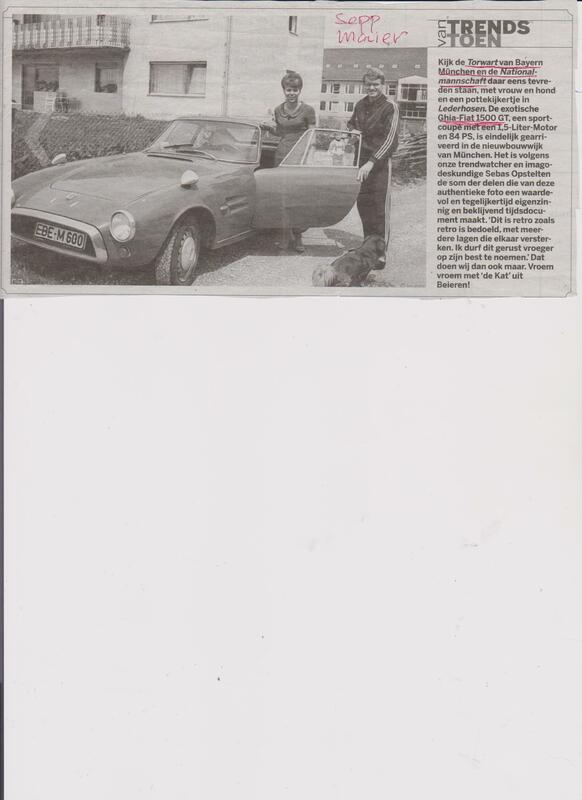 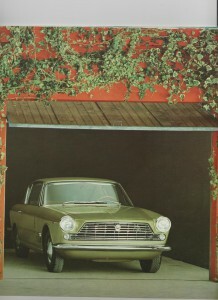 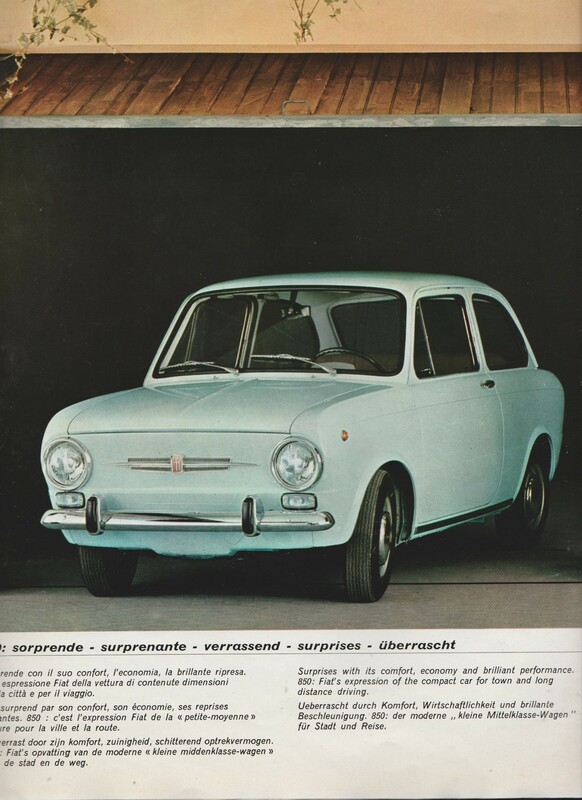 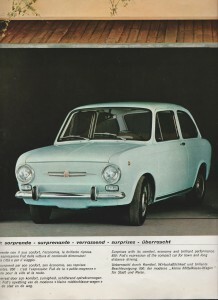 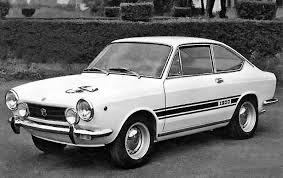 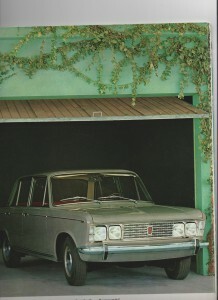 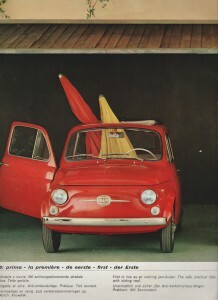 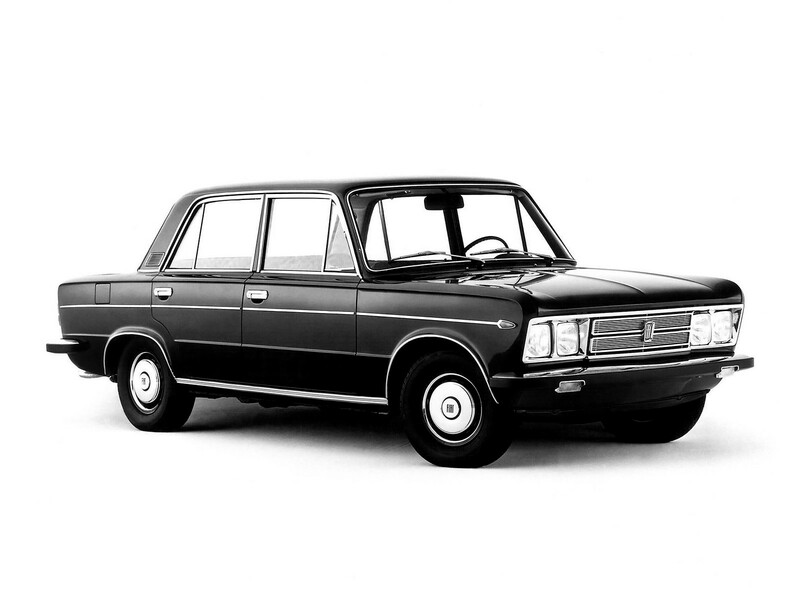 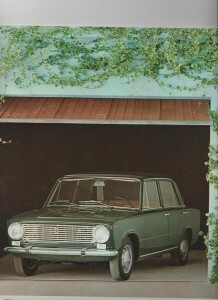 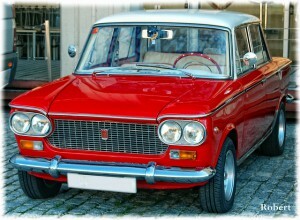 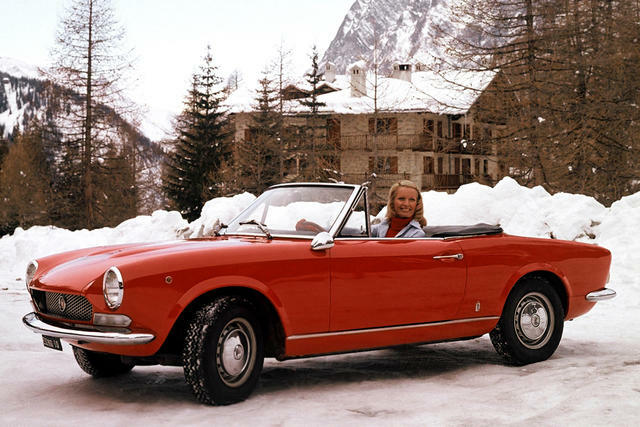 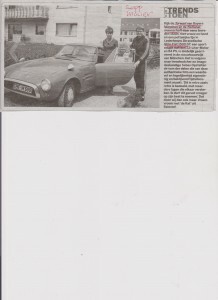 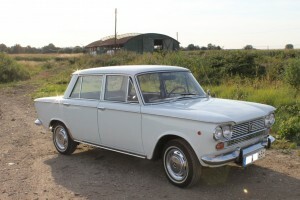 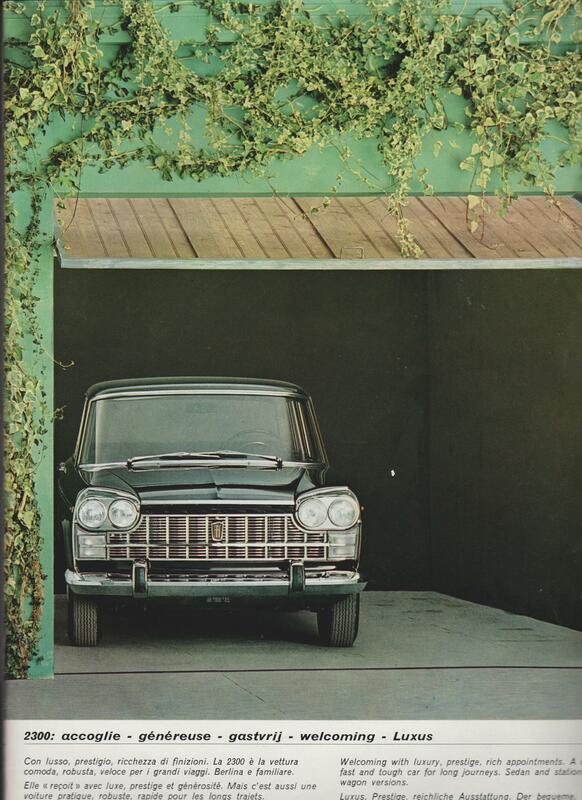 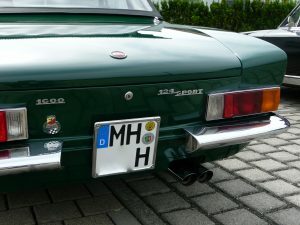 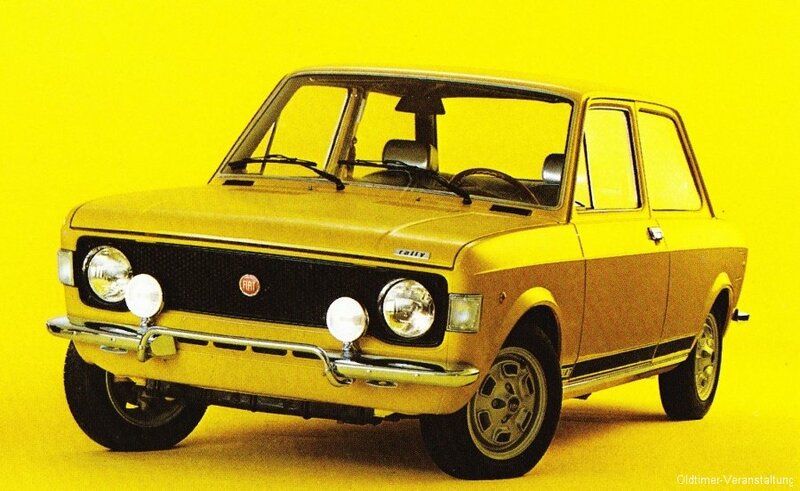 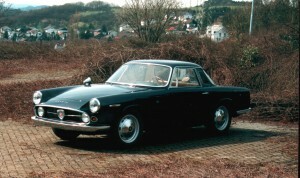 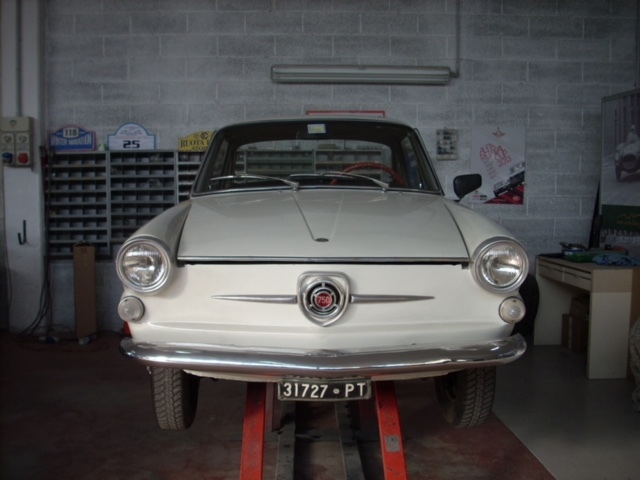 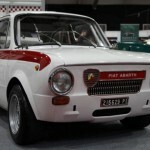 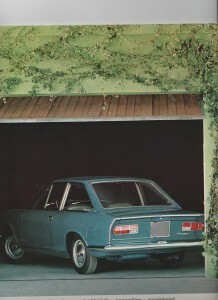 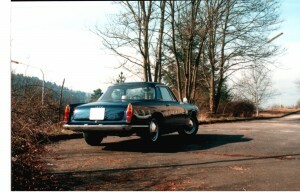 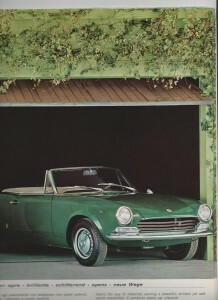 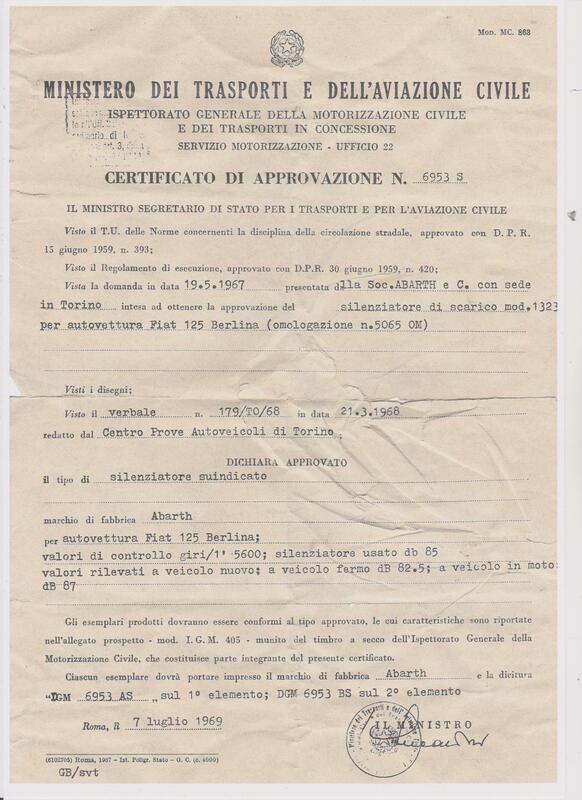 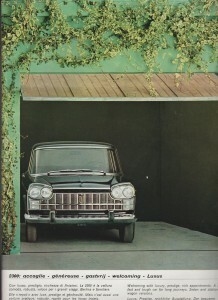 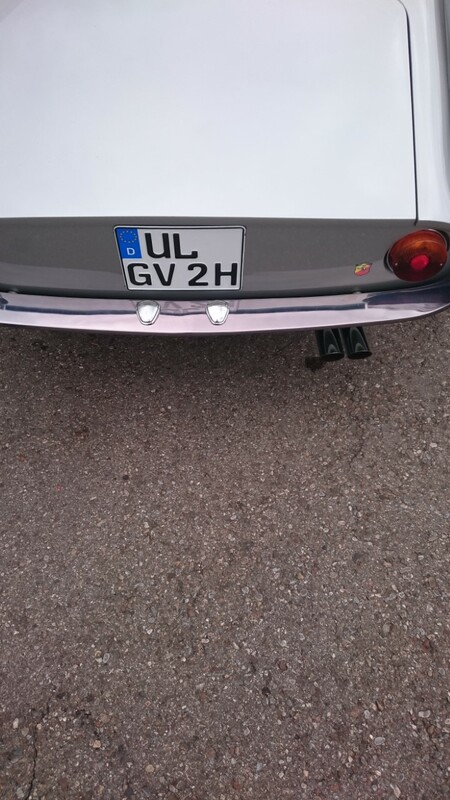 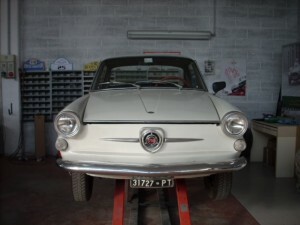 FIAT 125 S-Special 100 HP, cpl. 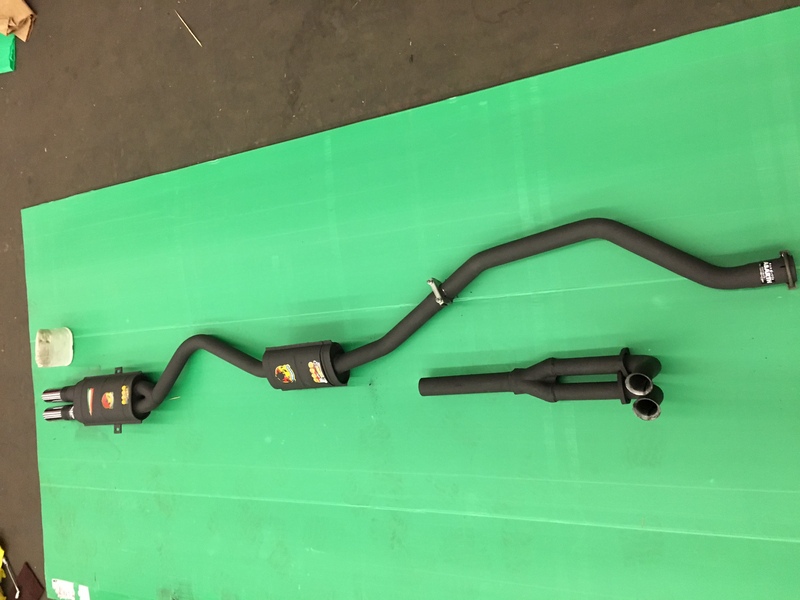 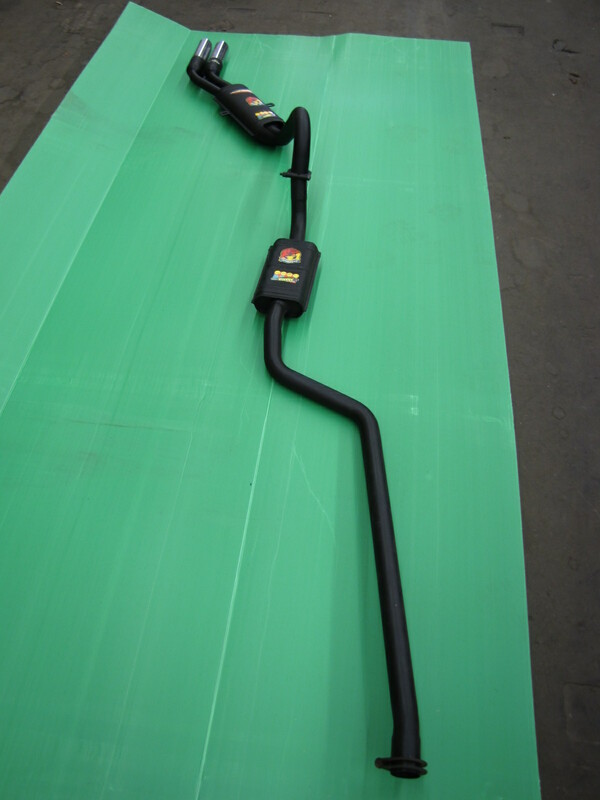 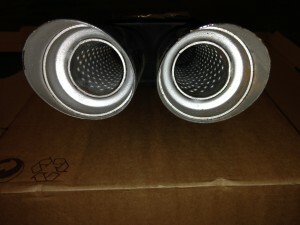 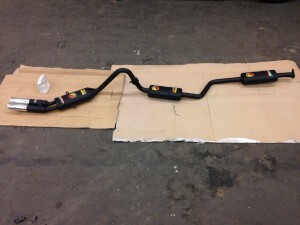 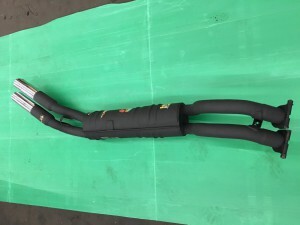 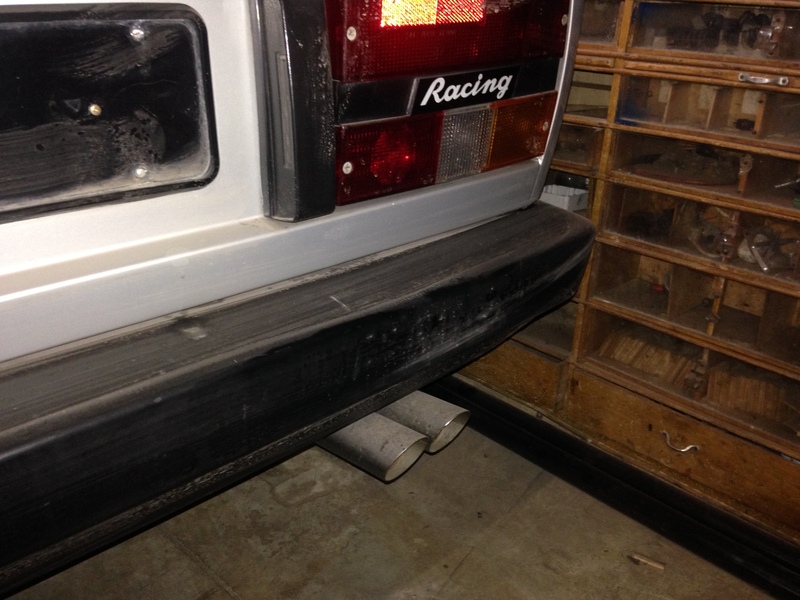 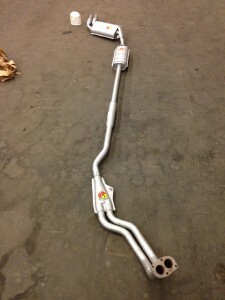 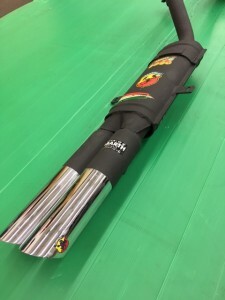 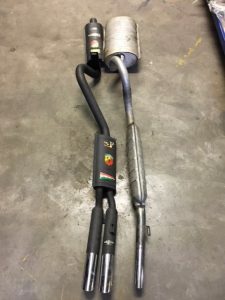 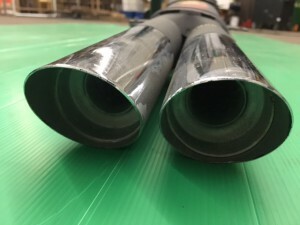 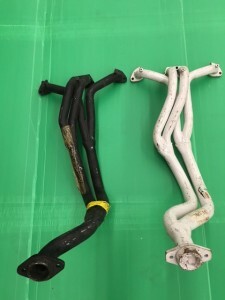 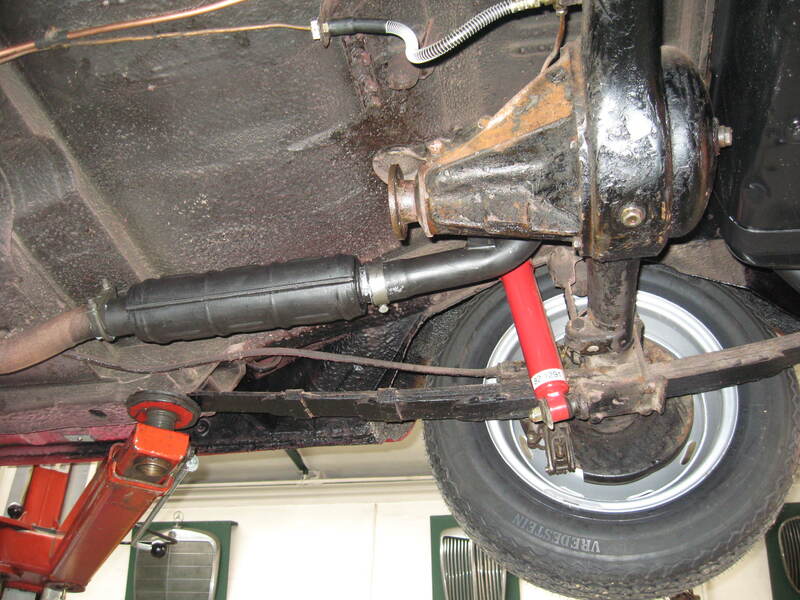 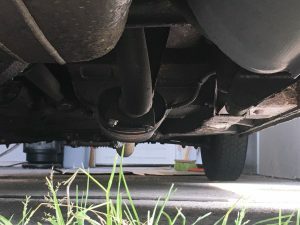 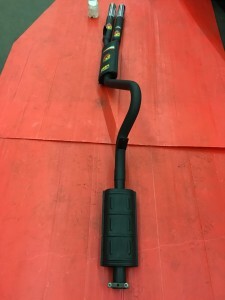 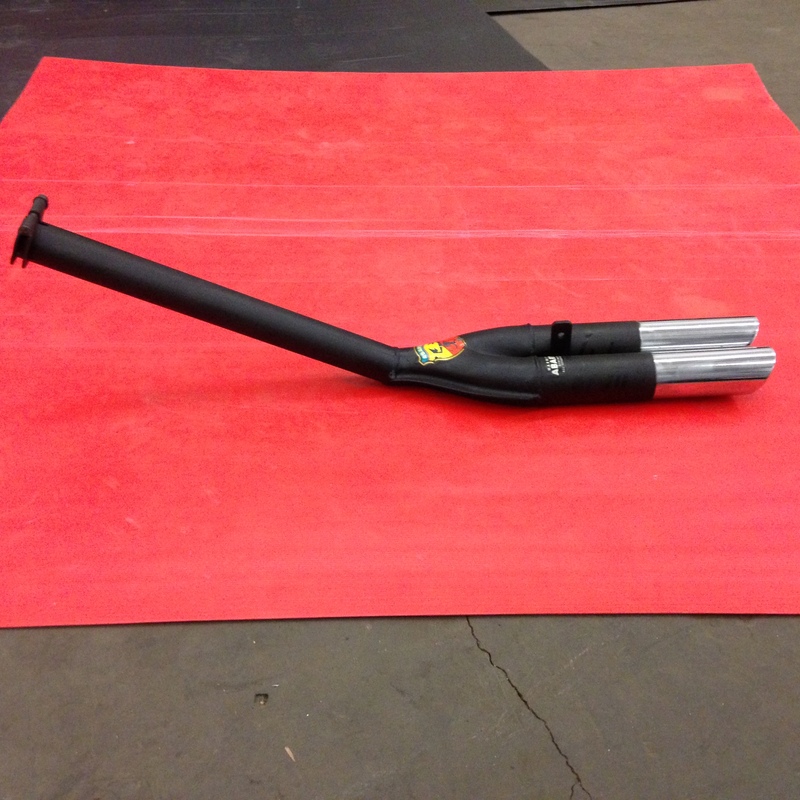 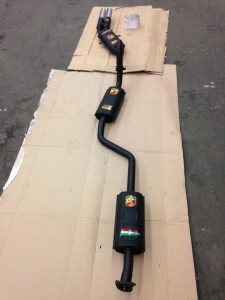 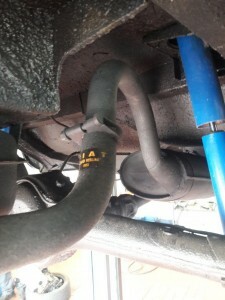 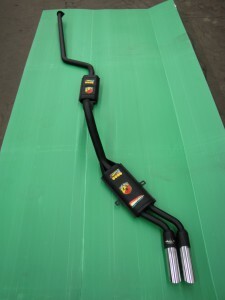 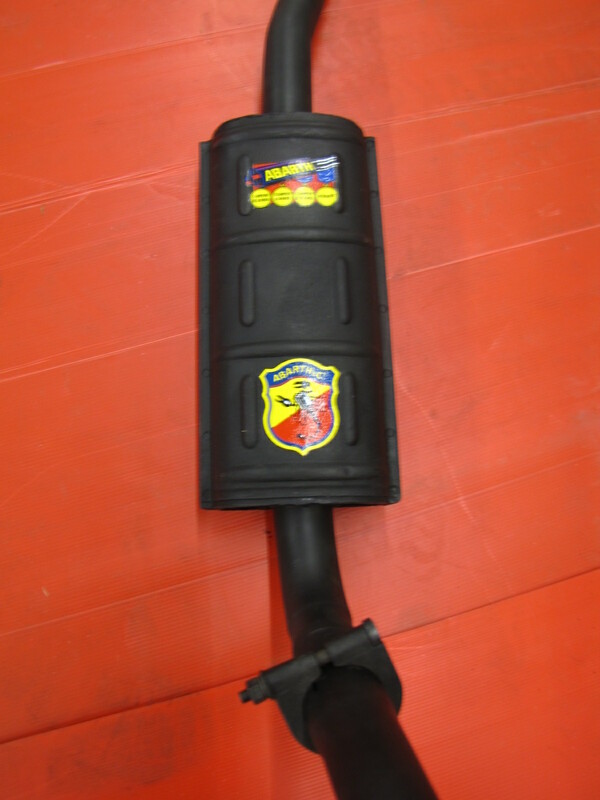 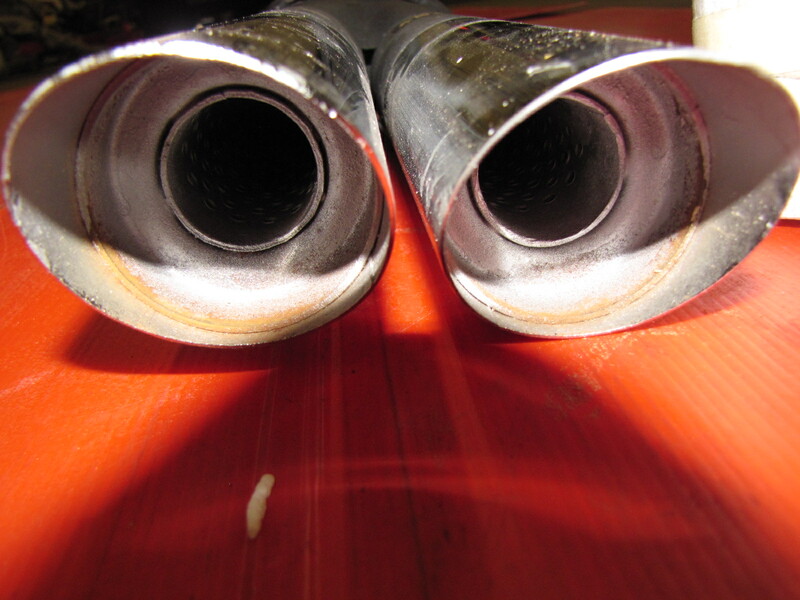 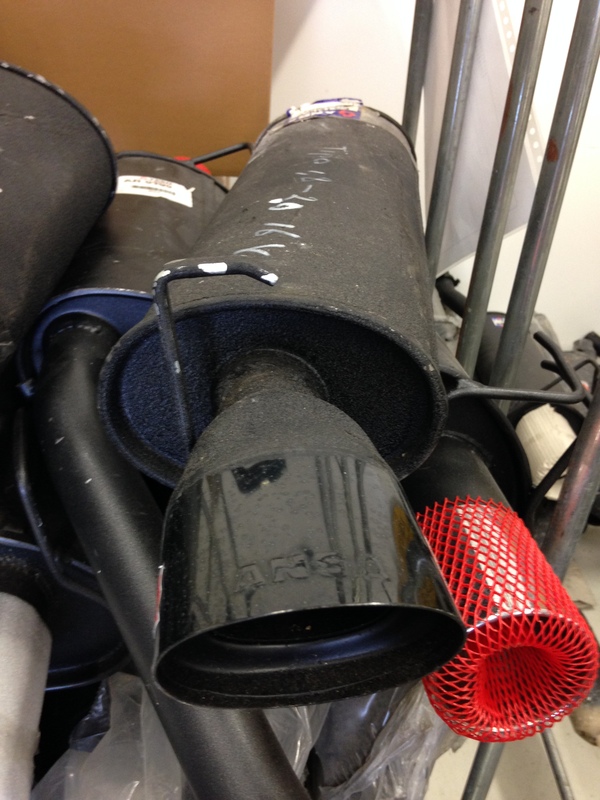 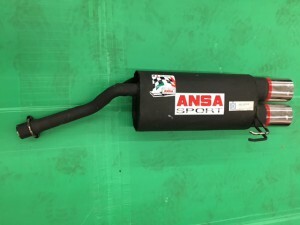 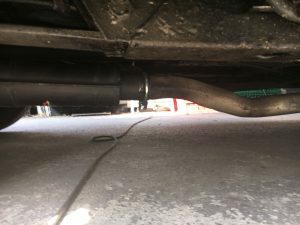 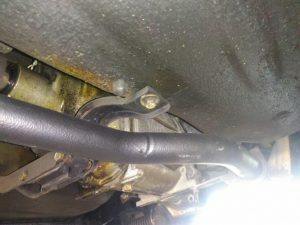 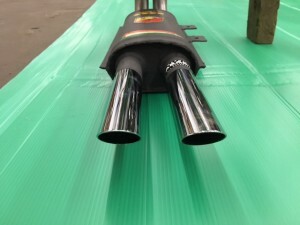 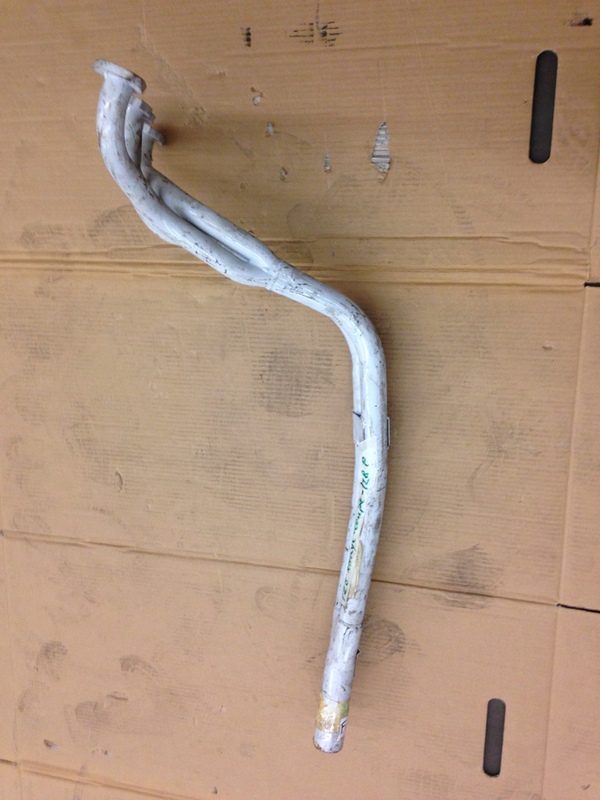 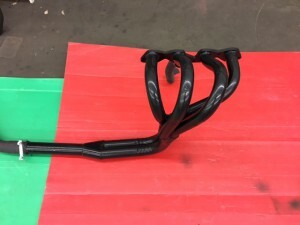 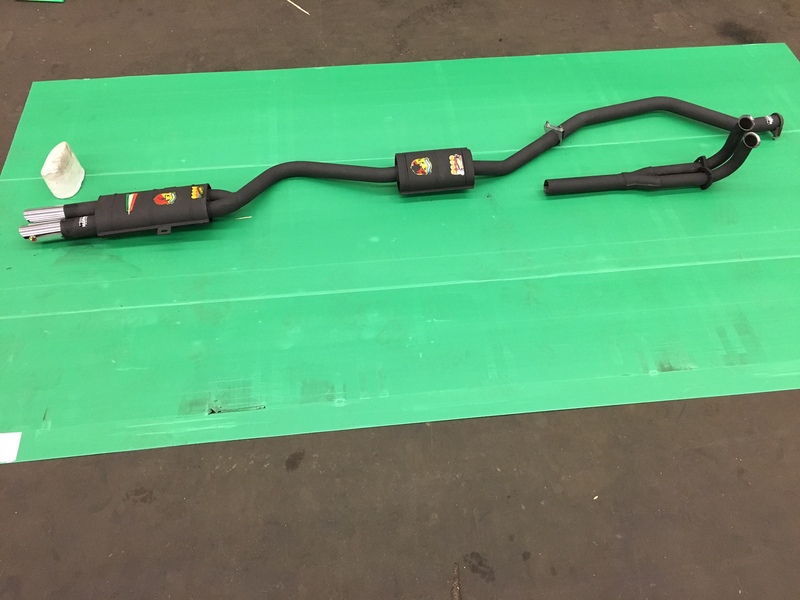 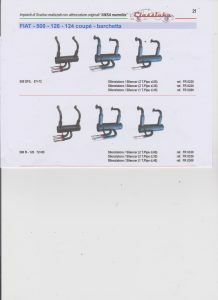 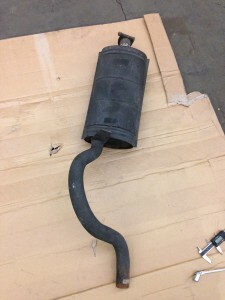 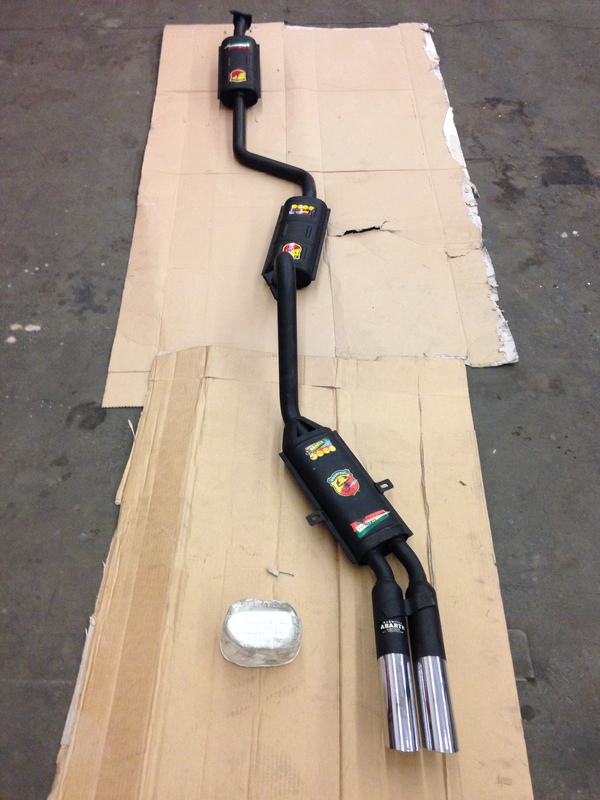 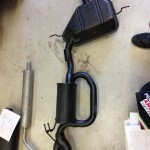 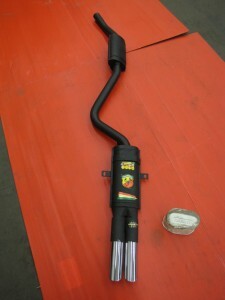 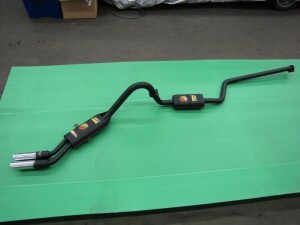 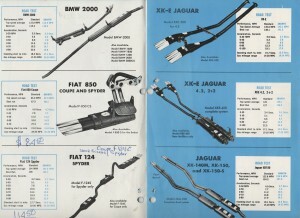 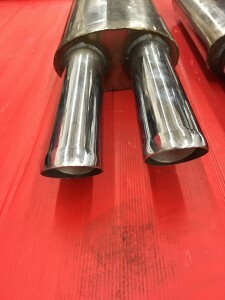 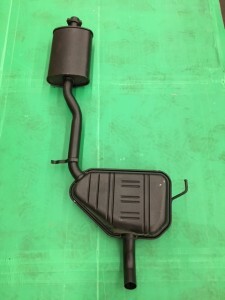 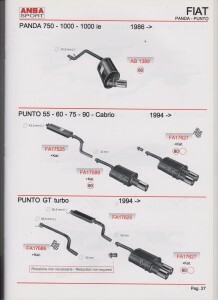 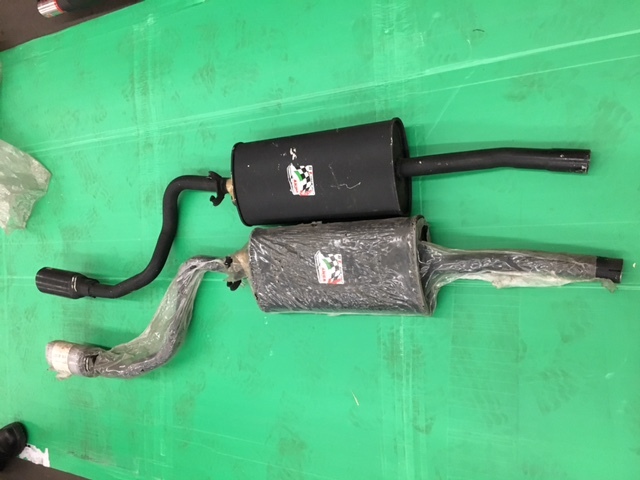 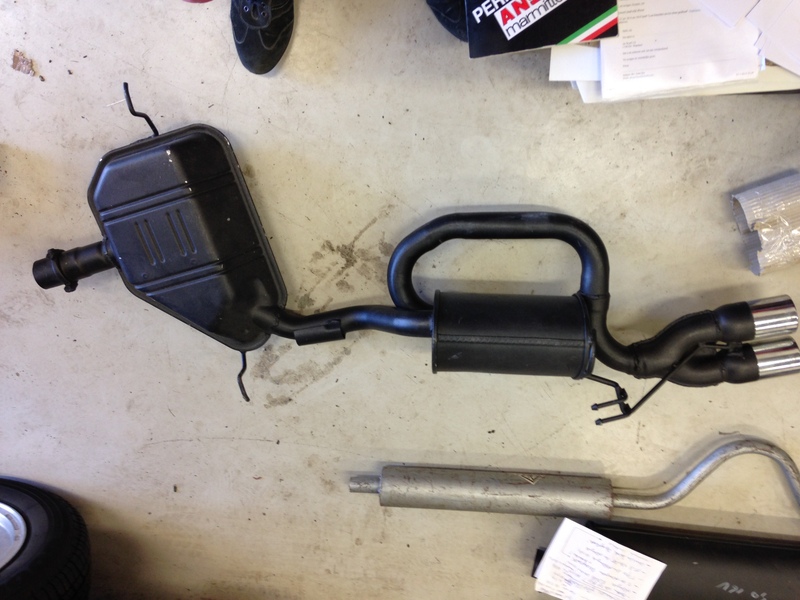 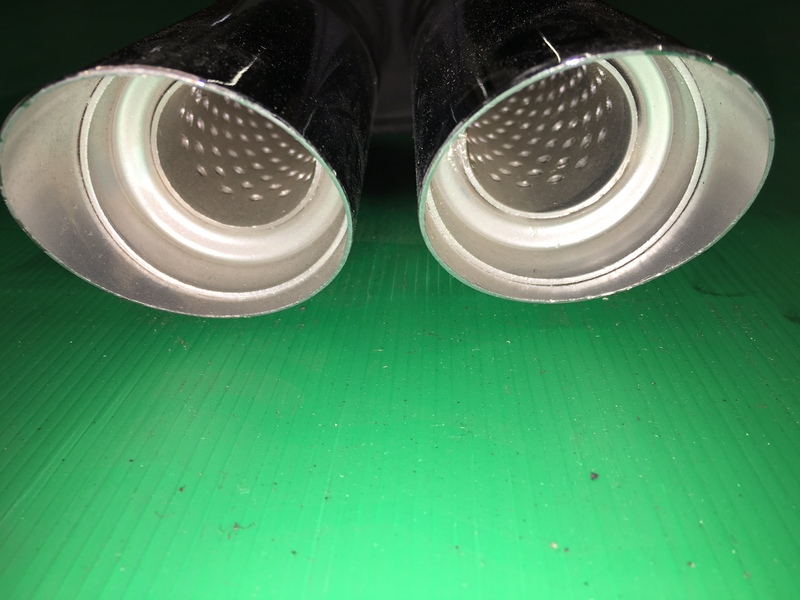 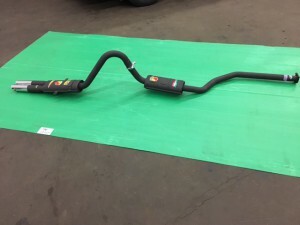 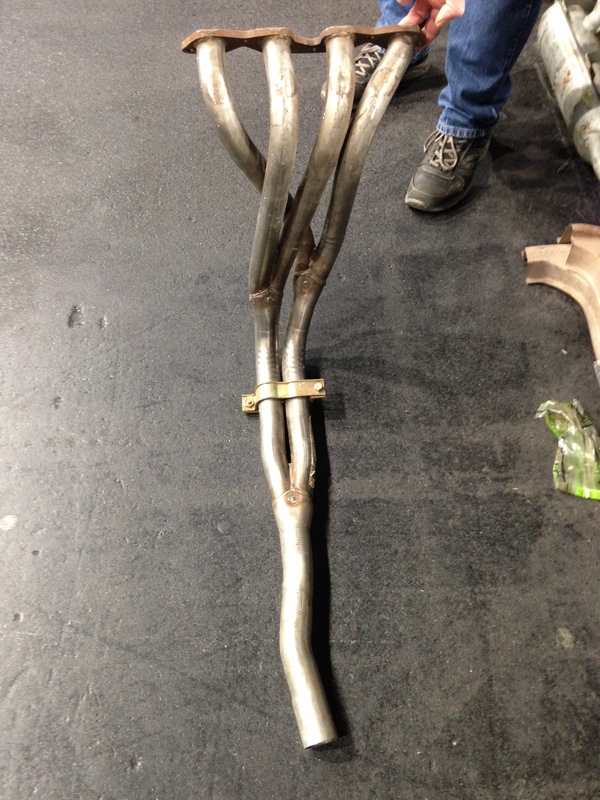 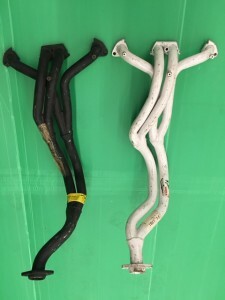 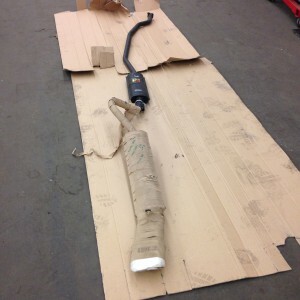 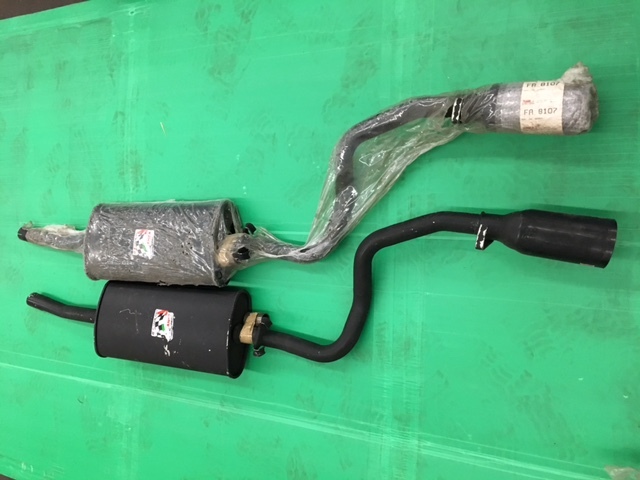 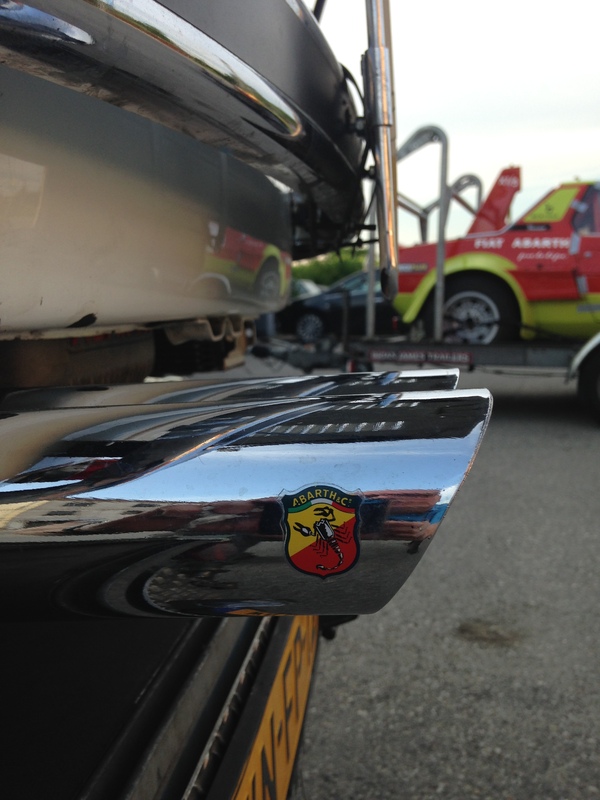 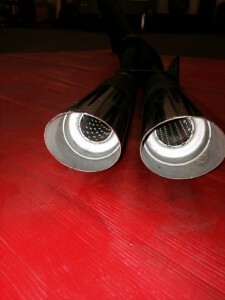 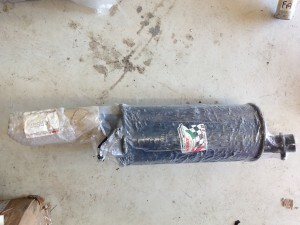 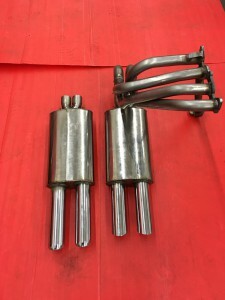 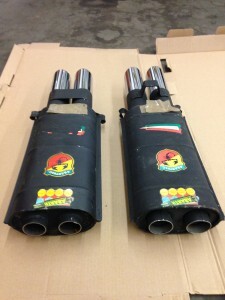 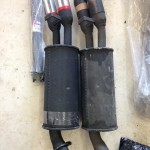 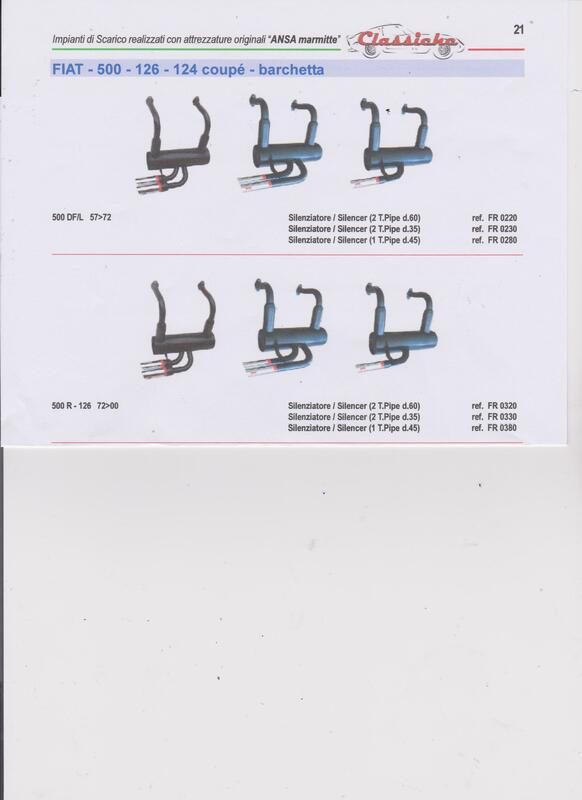 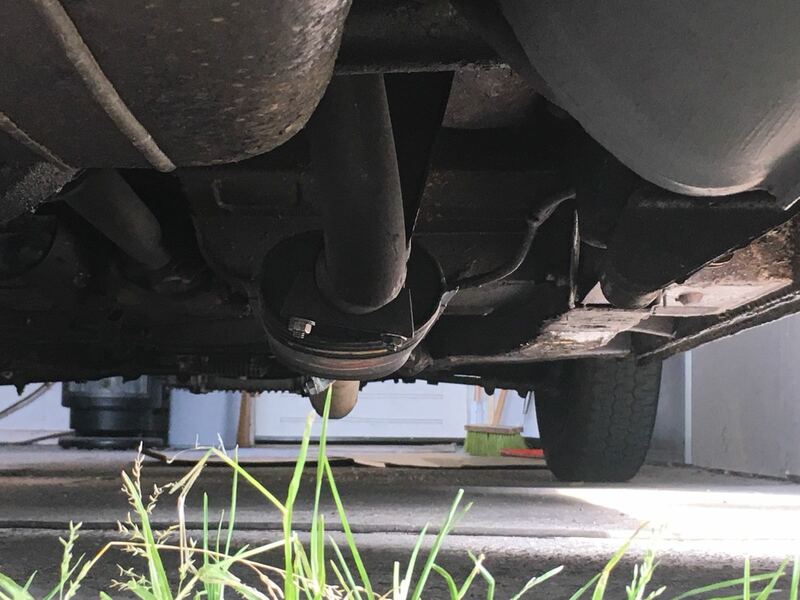 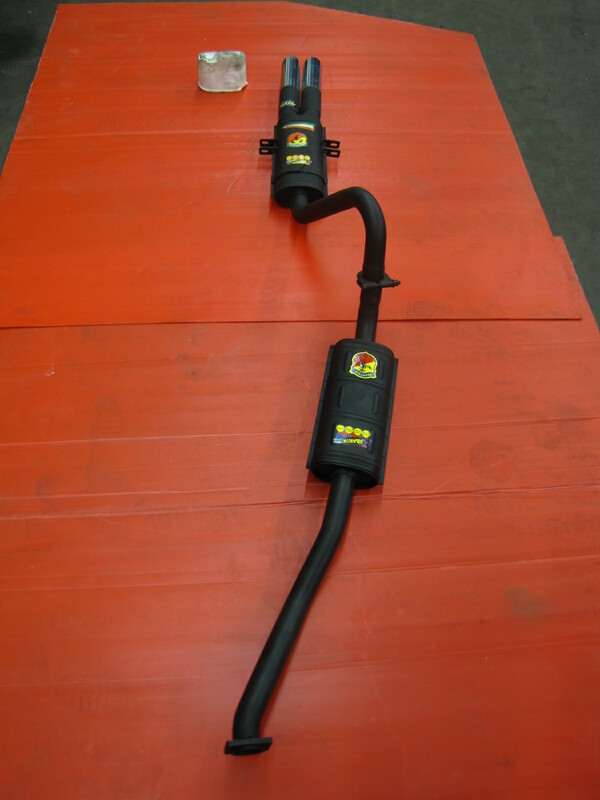 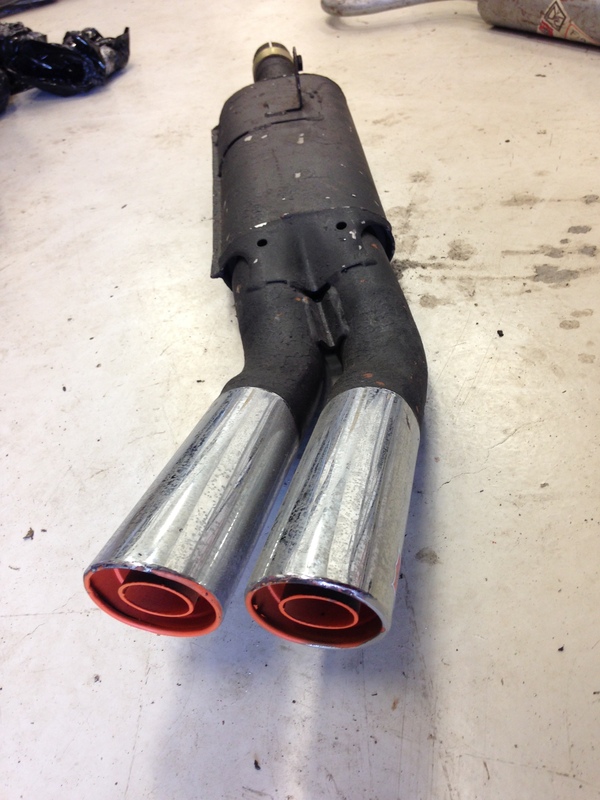 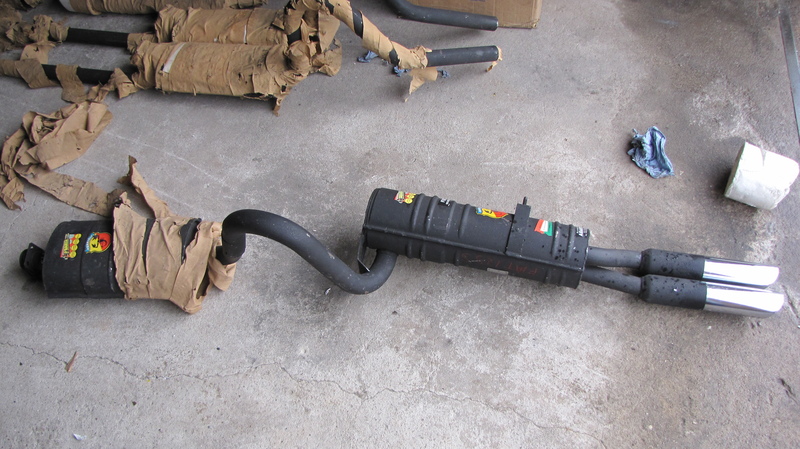 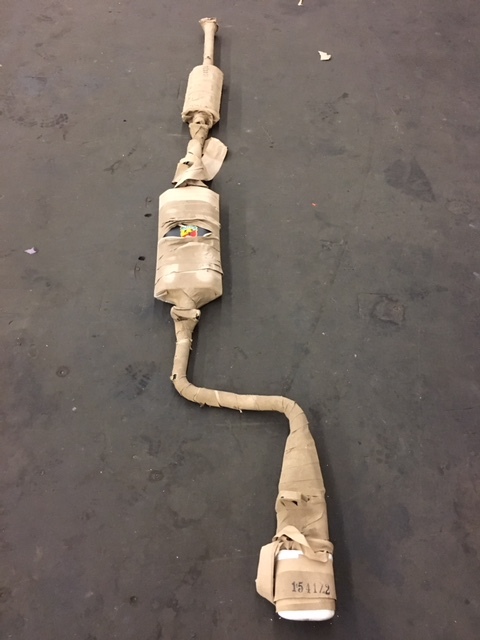 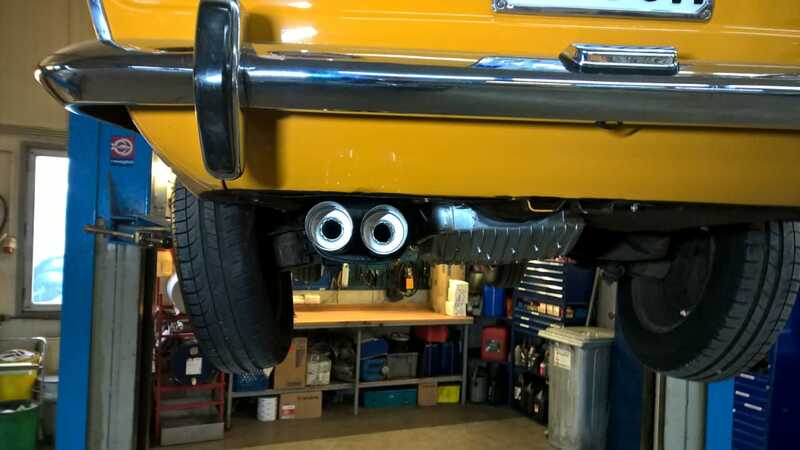 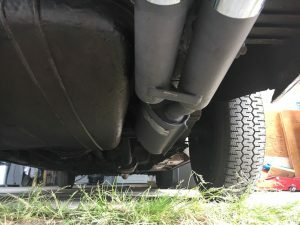 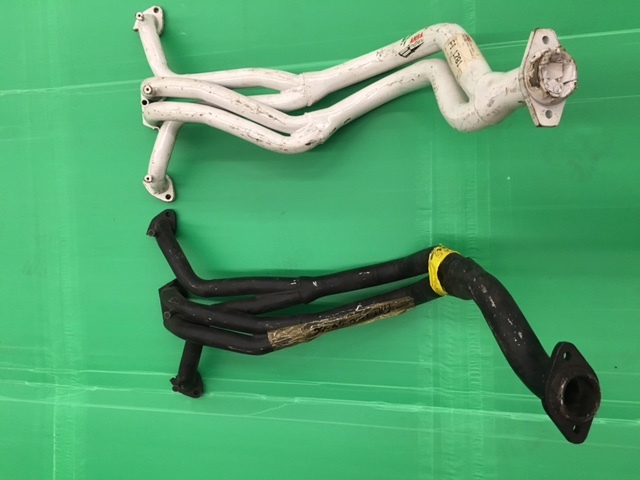 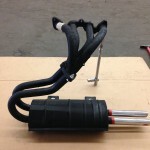 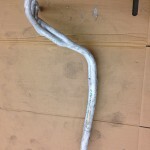 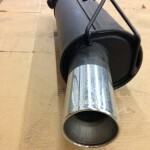 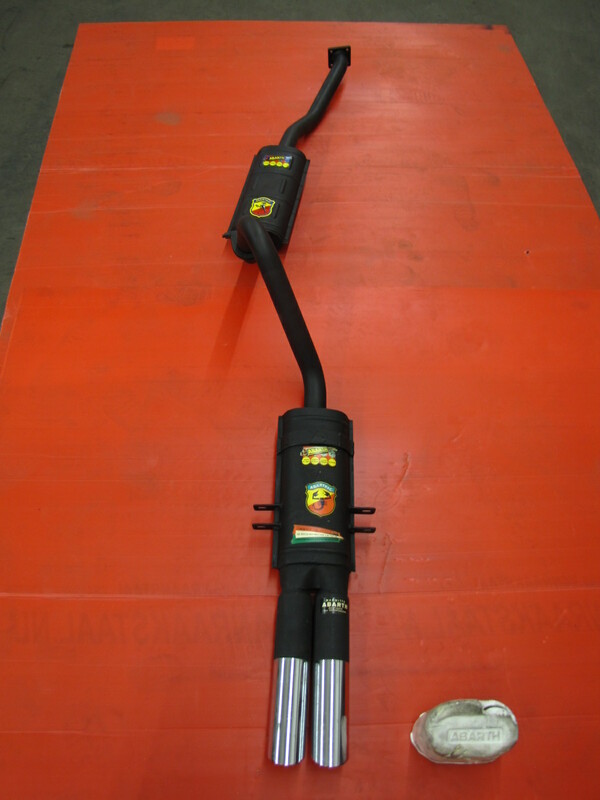 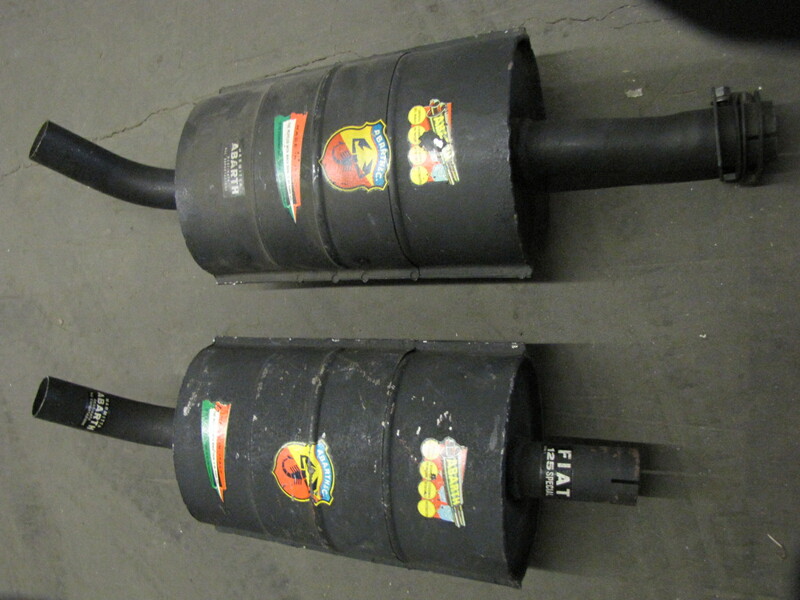 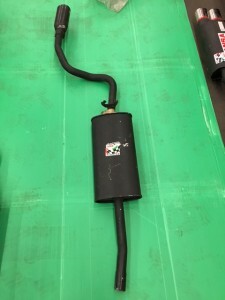 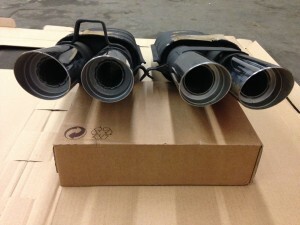 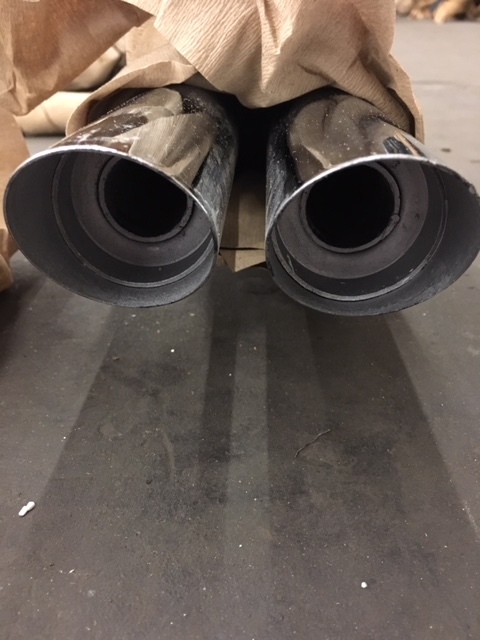 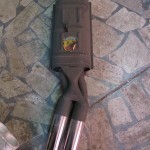 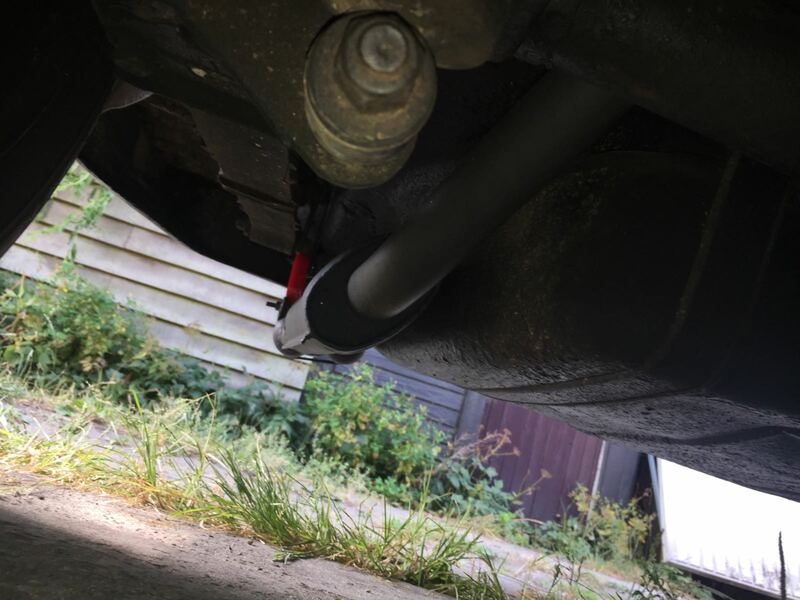 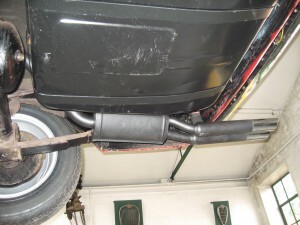 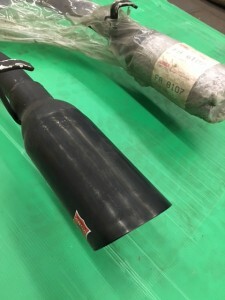 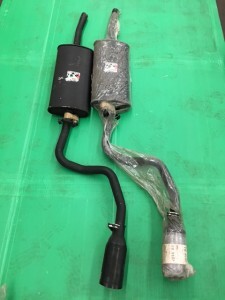 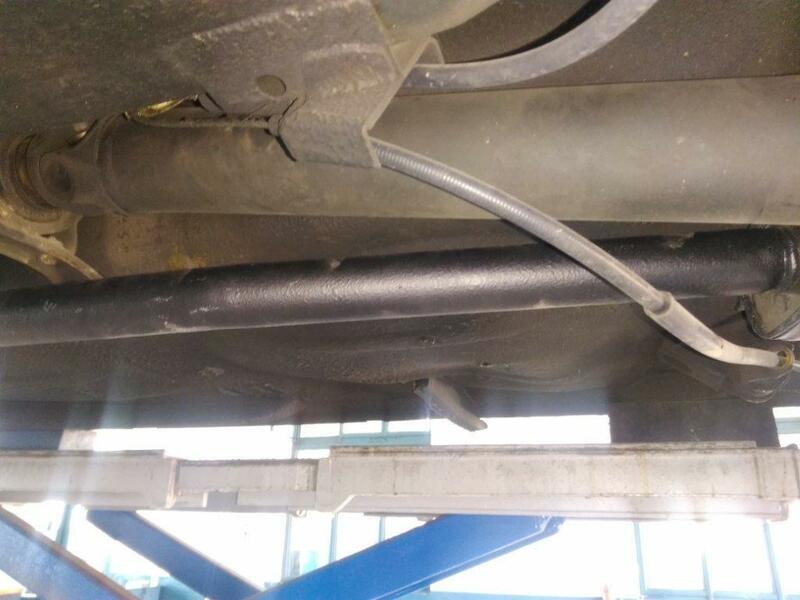 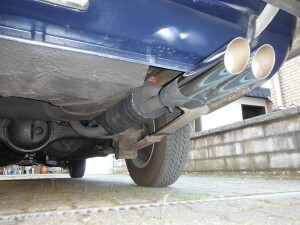 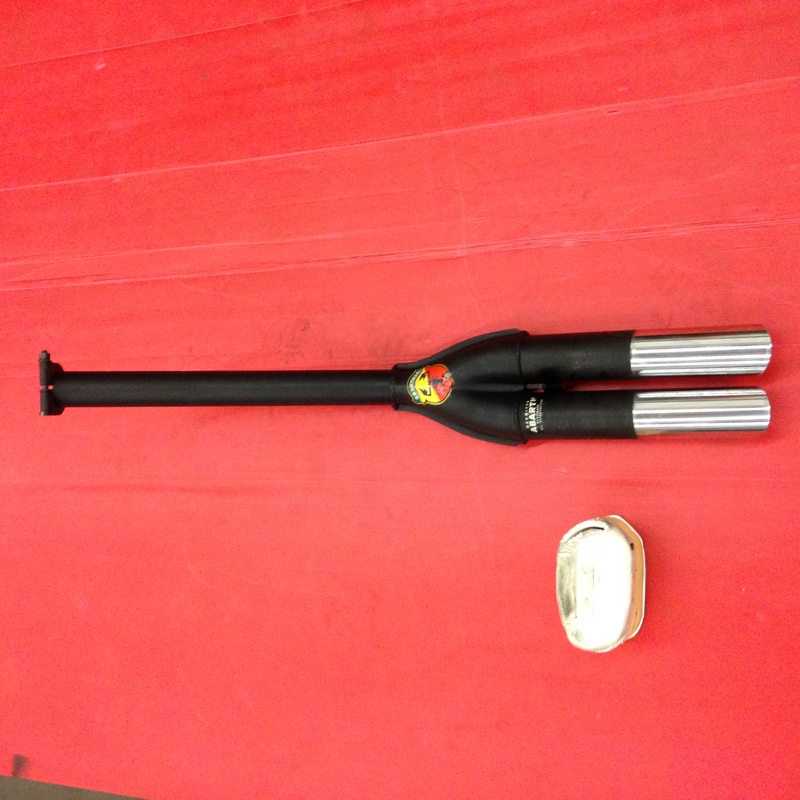 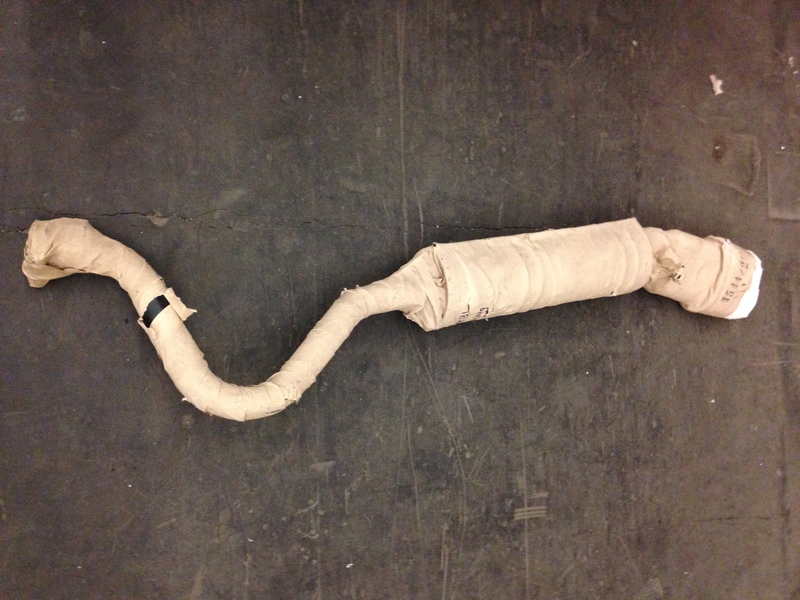 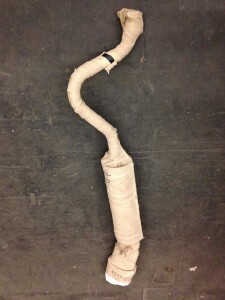 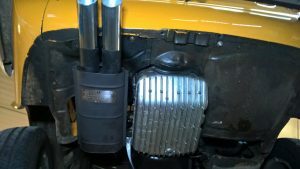 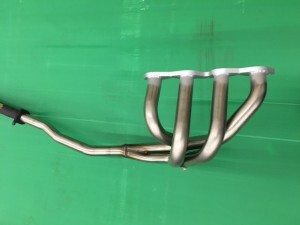 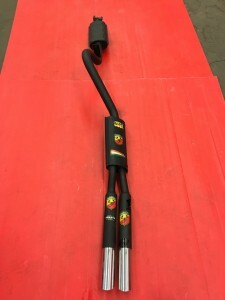 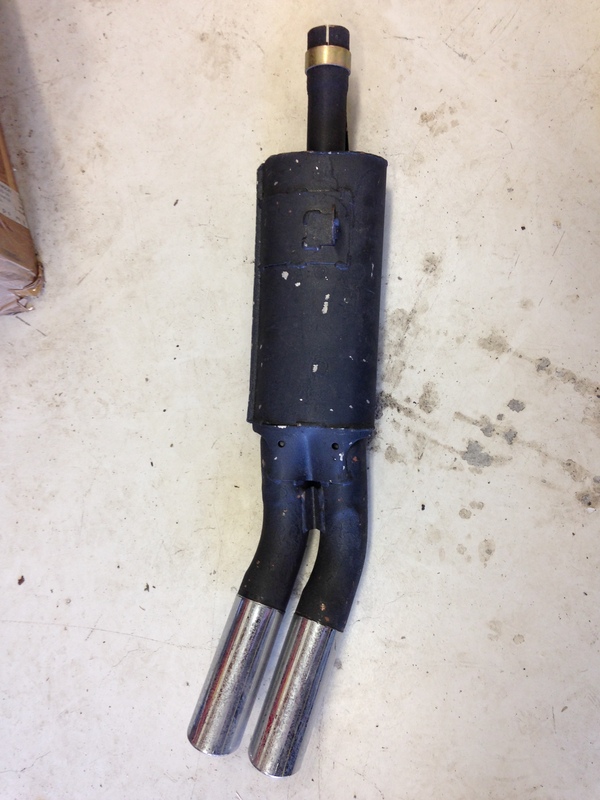 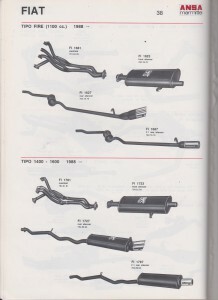 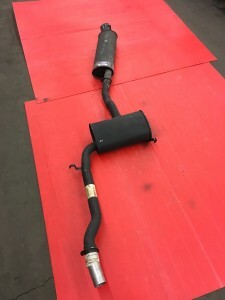 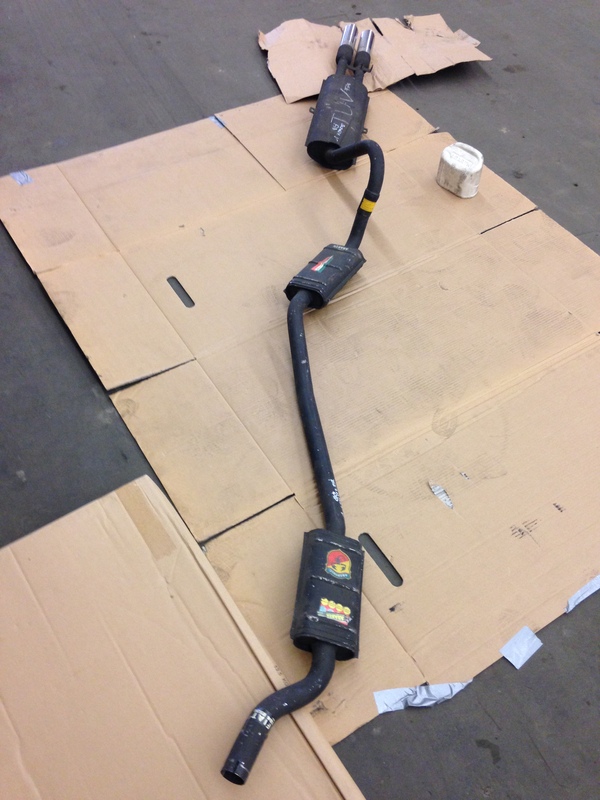 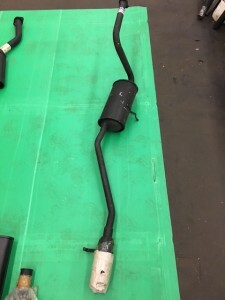 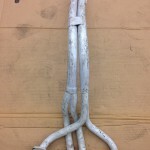 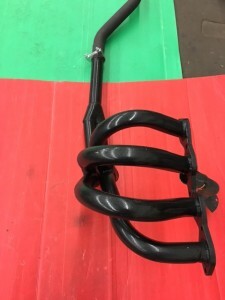 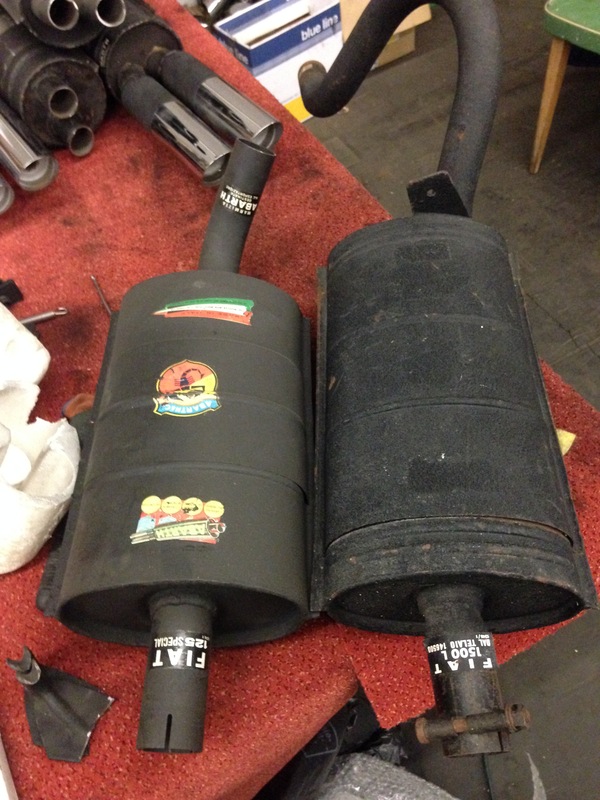 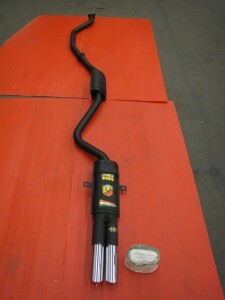 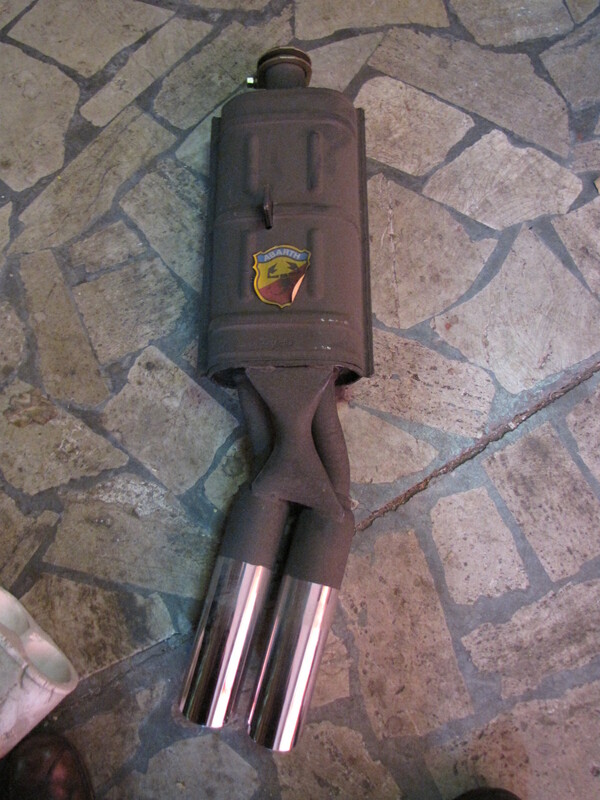 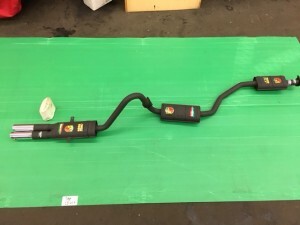 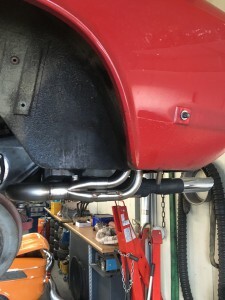 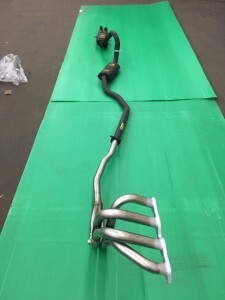 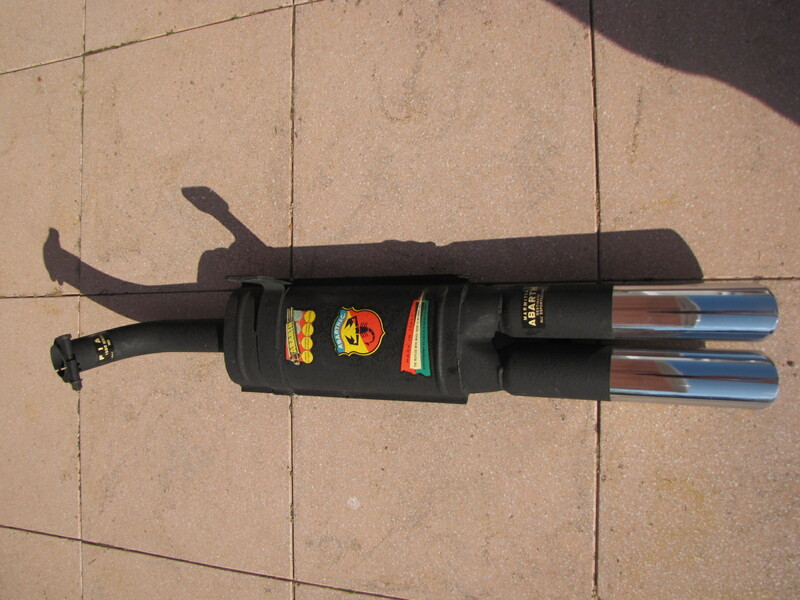 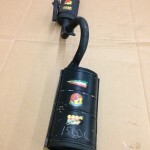 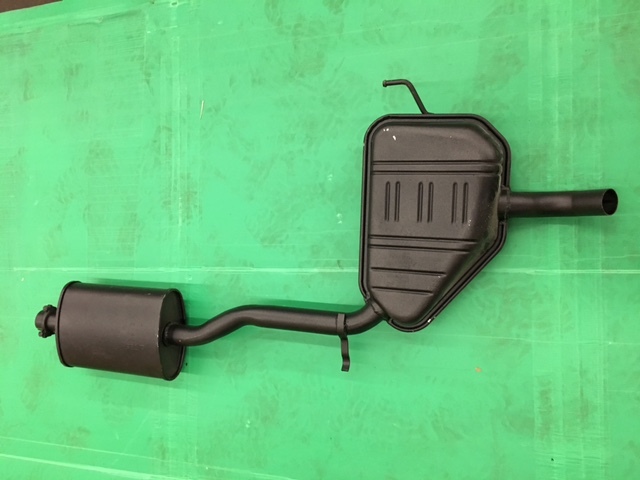 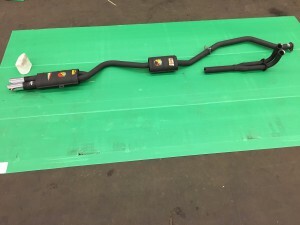 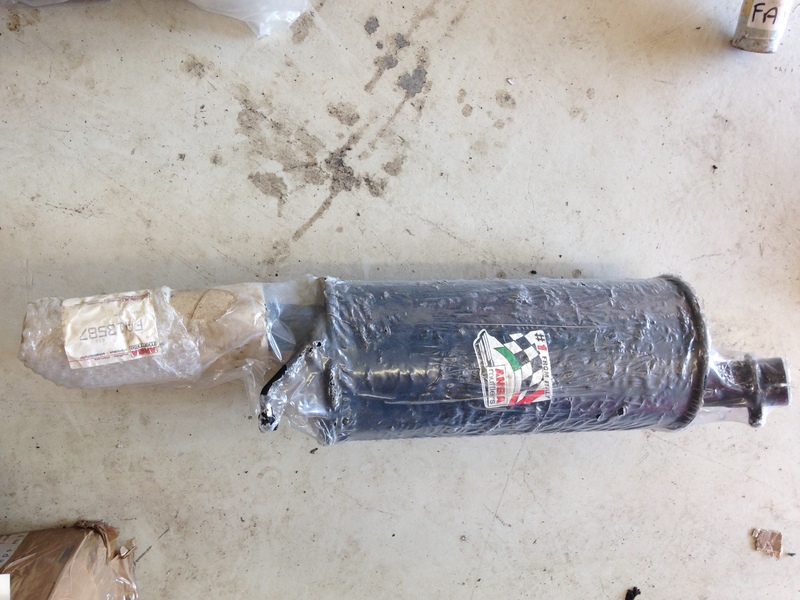 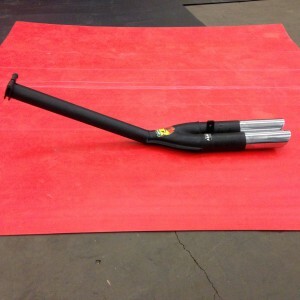 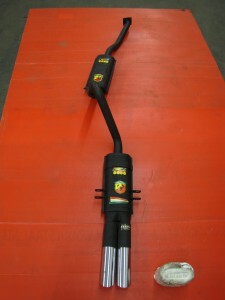 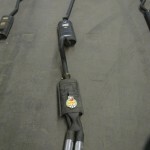 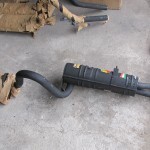 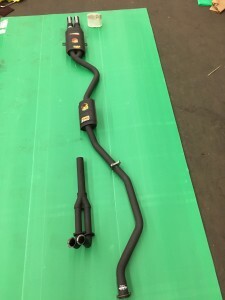 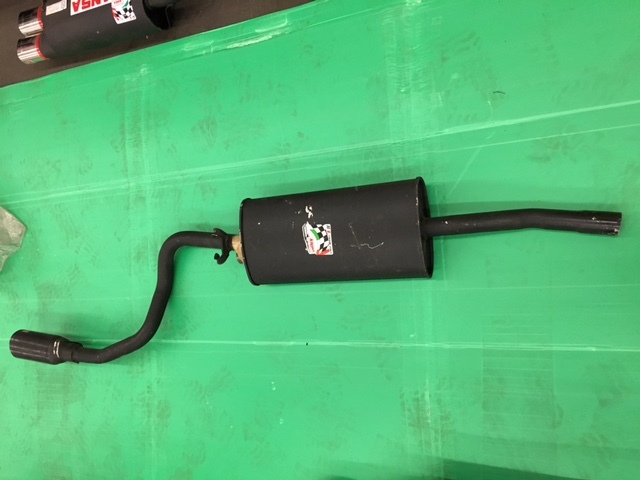 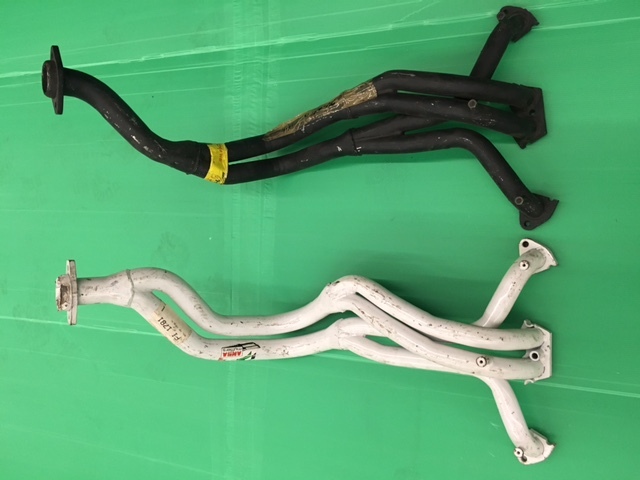 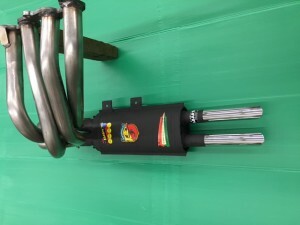 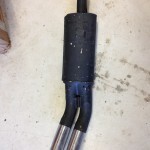 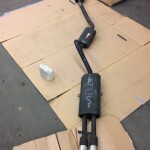 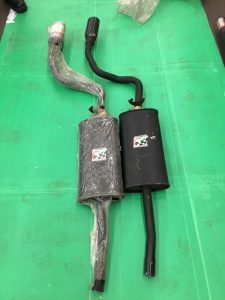 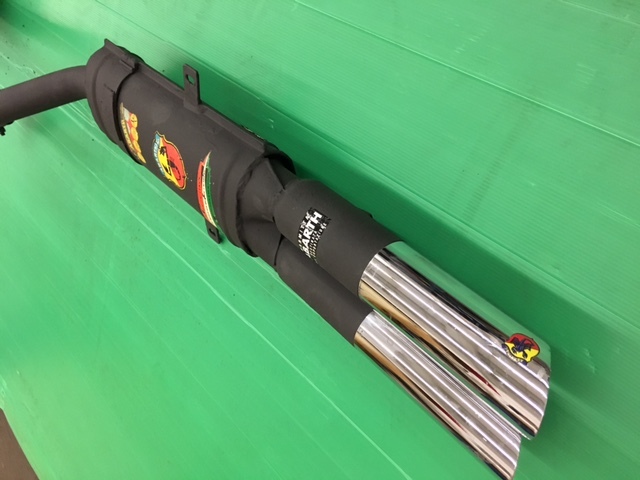 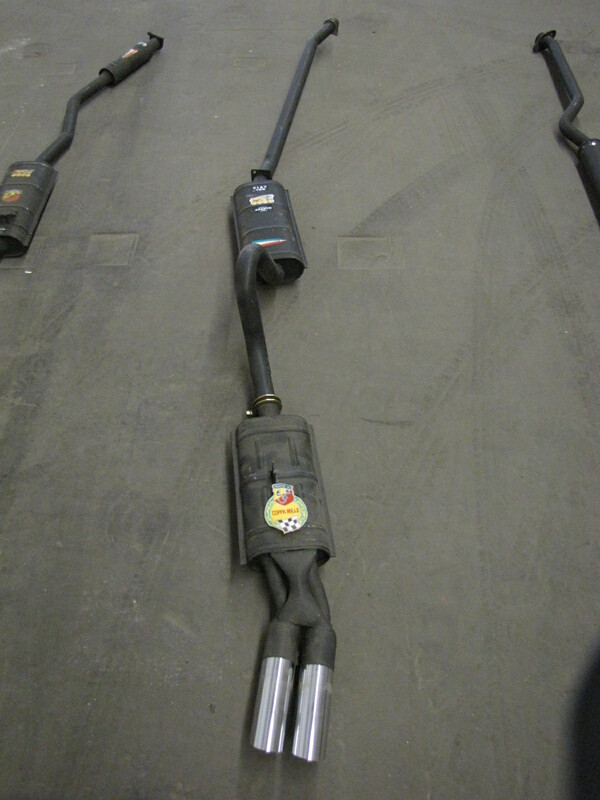 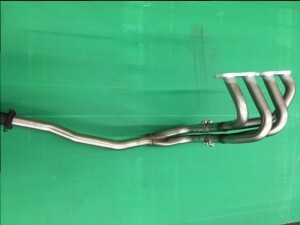 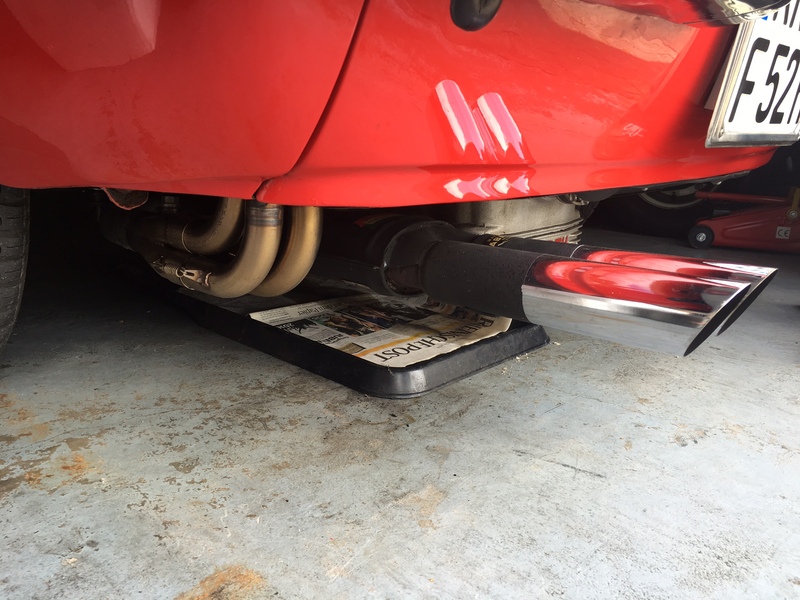 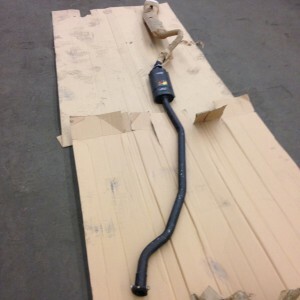 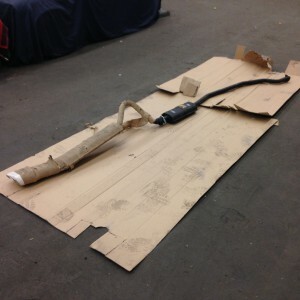 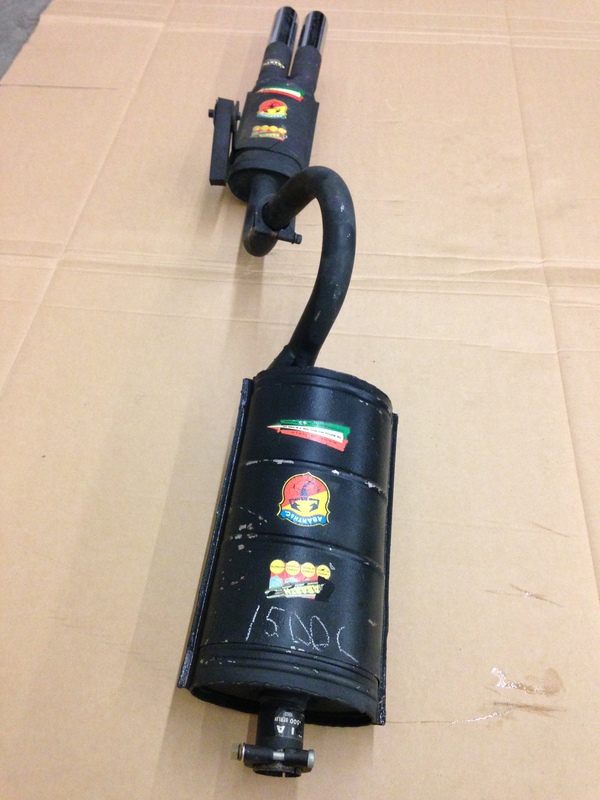 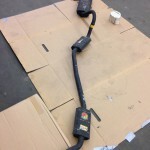 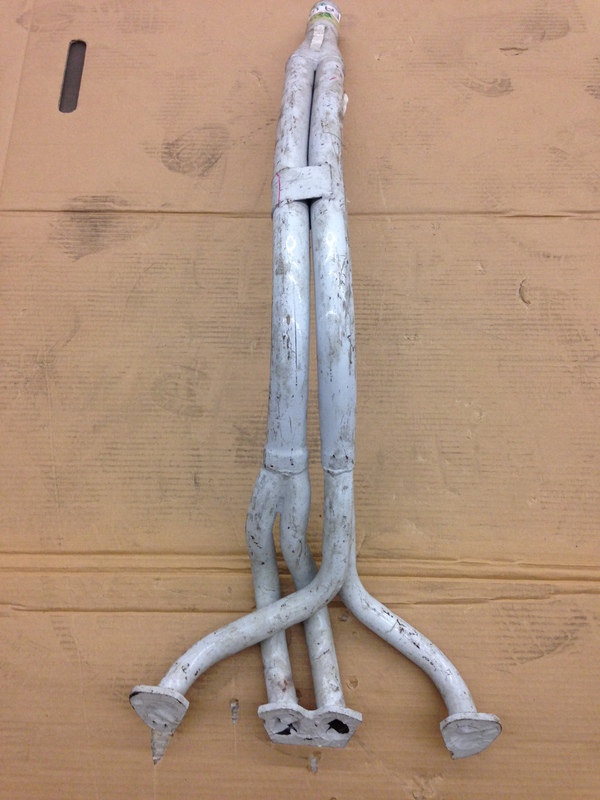 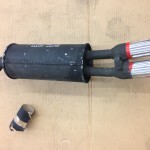 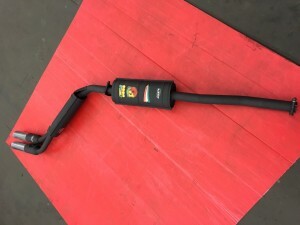 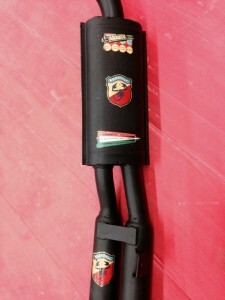 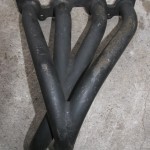 2-piece system, 2 versions depending on ch.nr., difference is the total length of the middlemuffler. 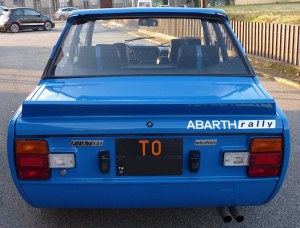 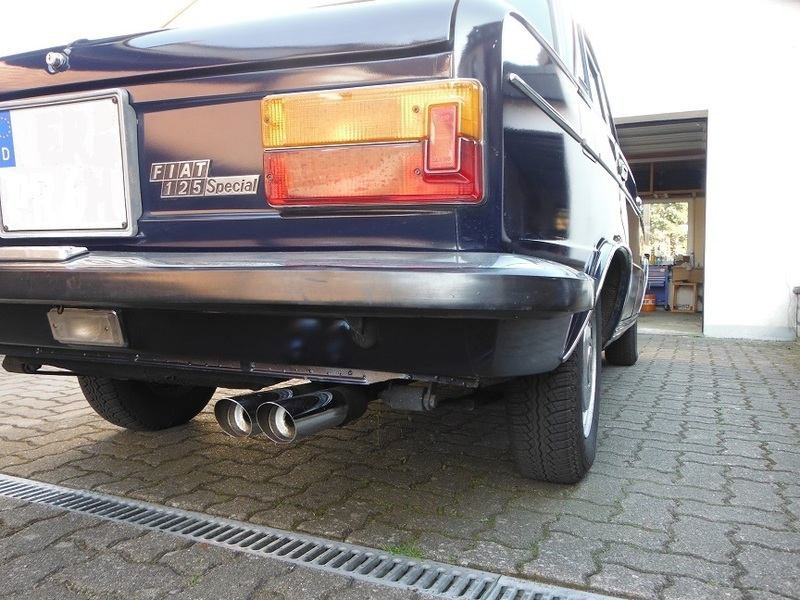 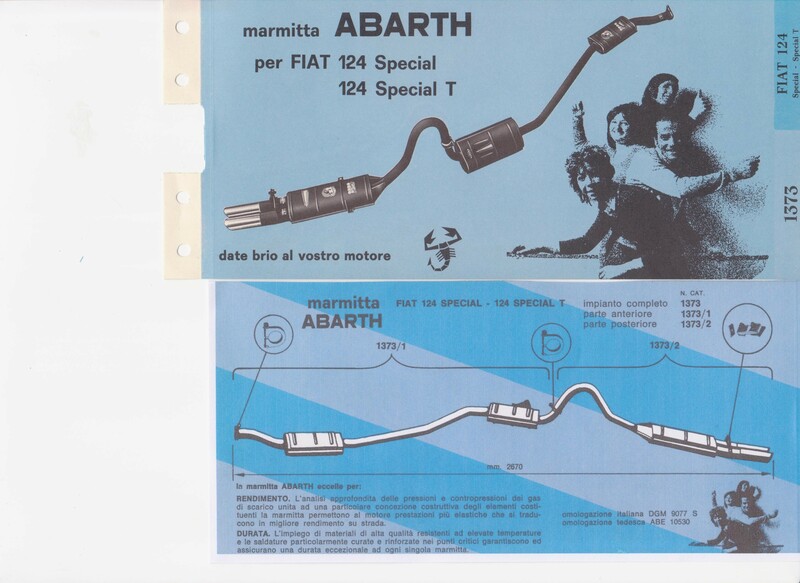 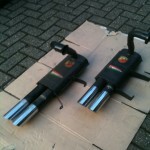 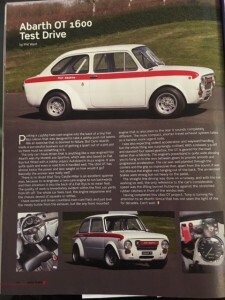 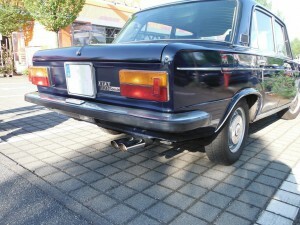 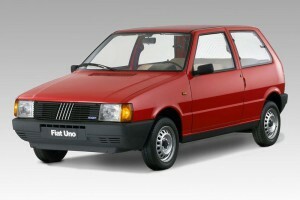 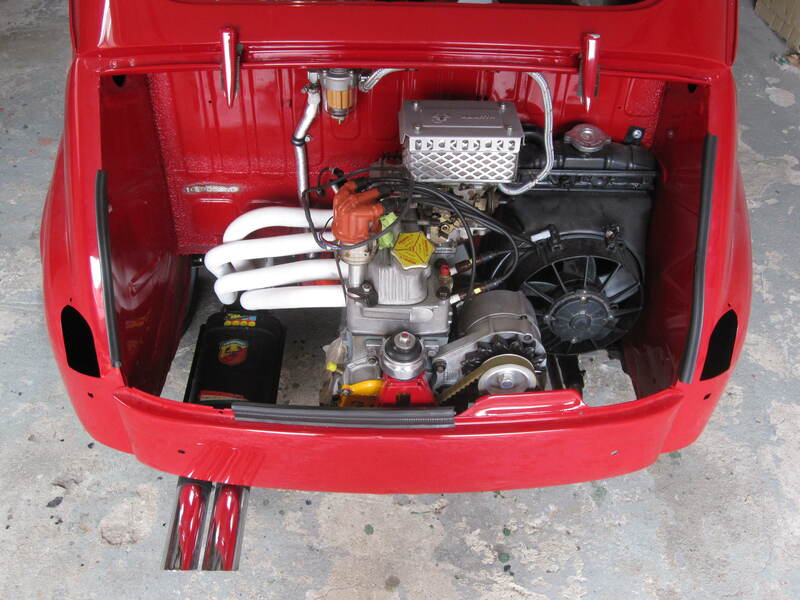 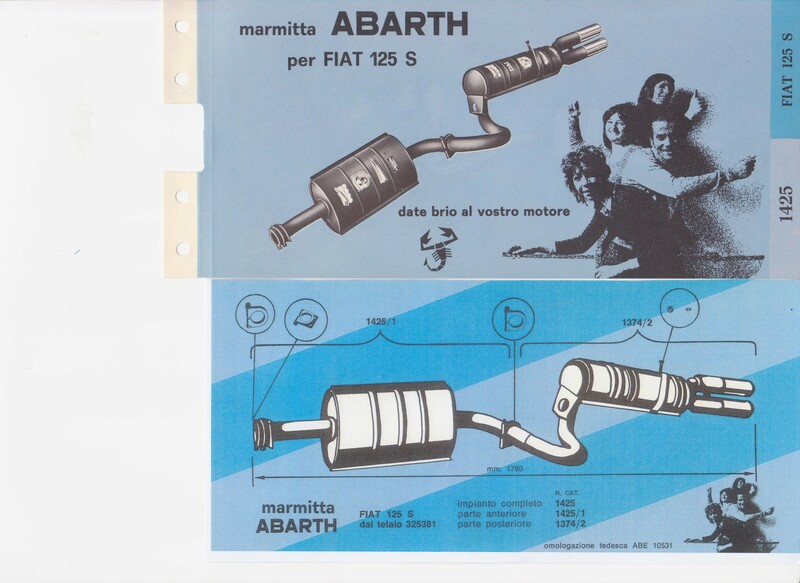 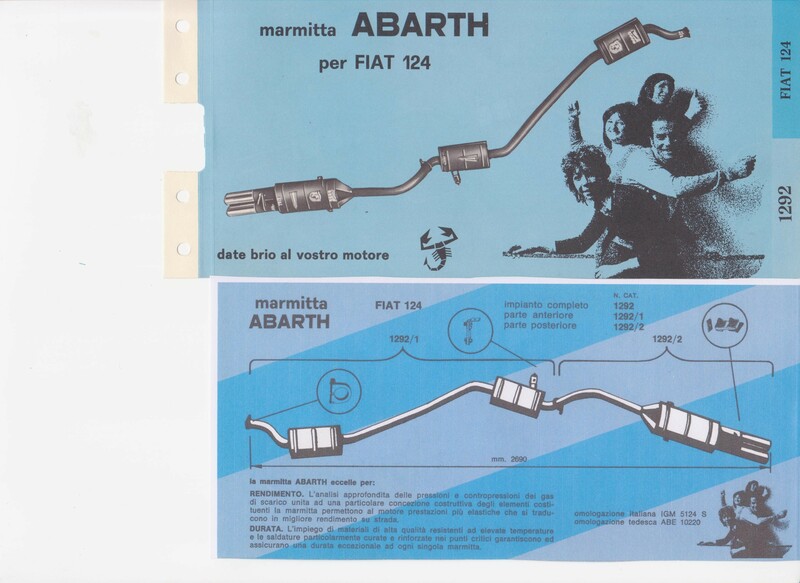 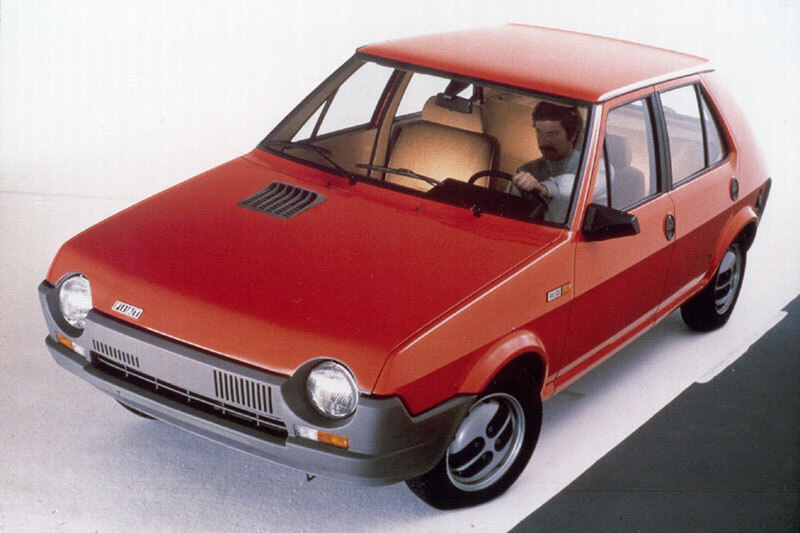 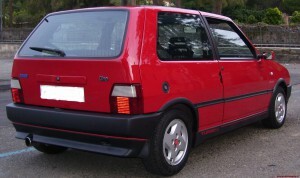 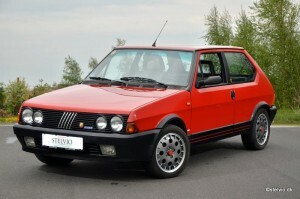 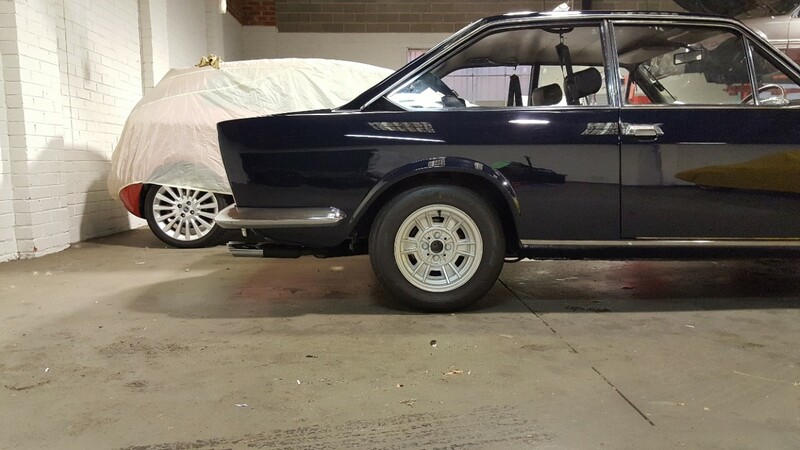 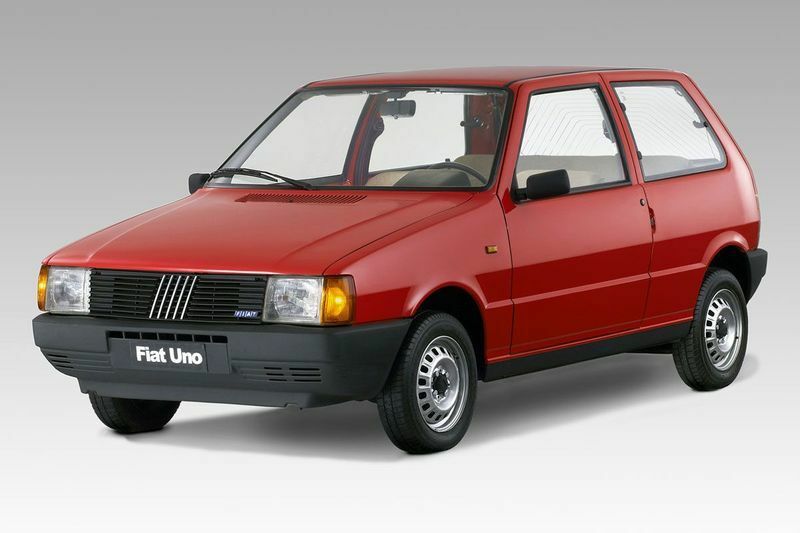 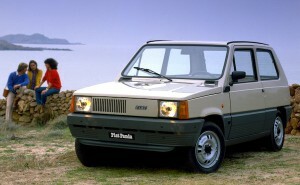 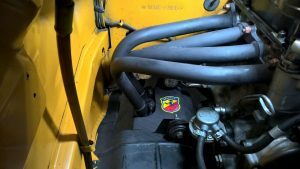 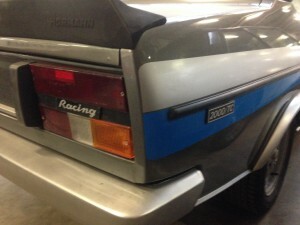 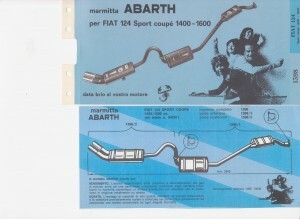 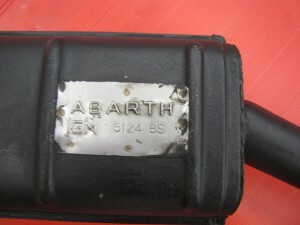 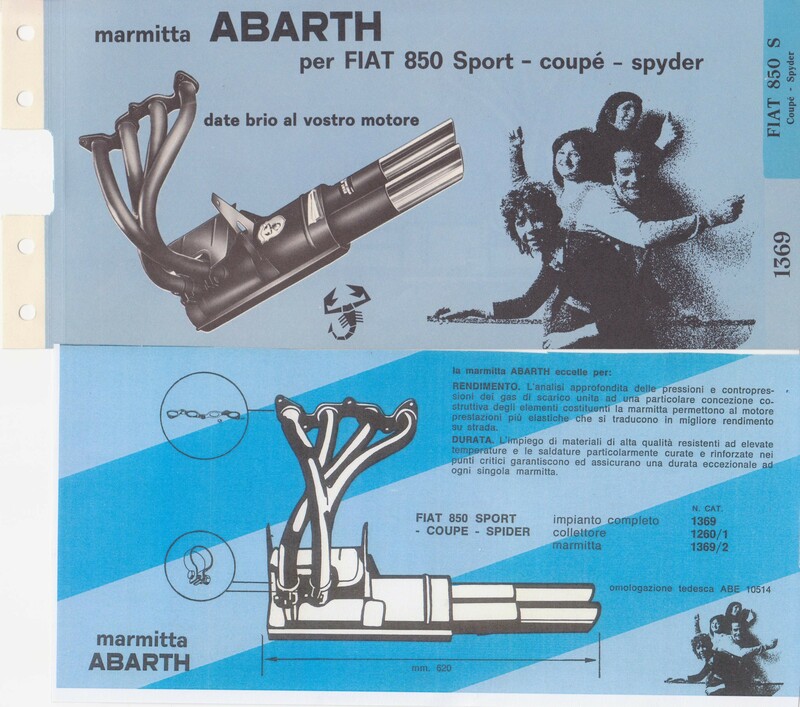 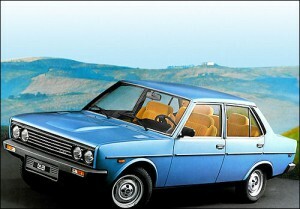 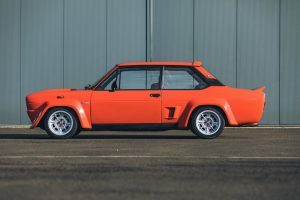 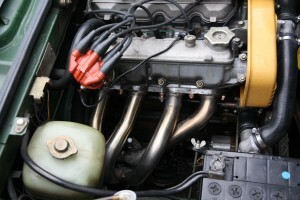 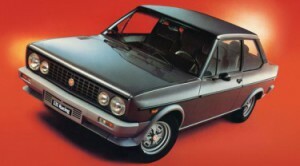 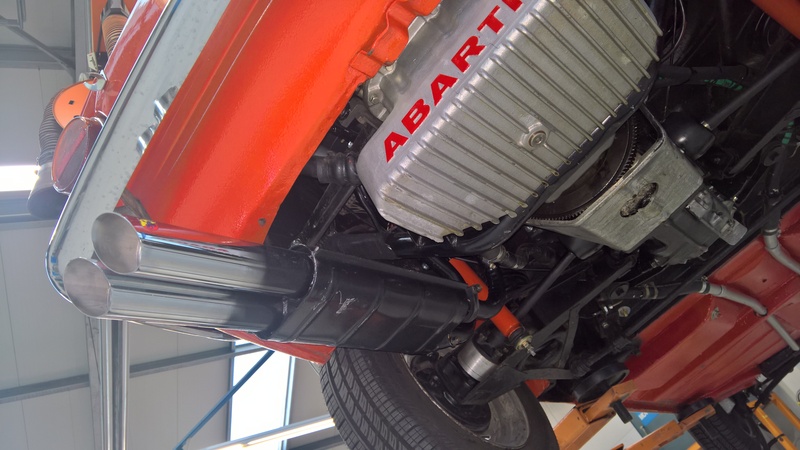 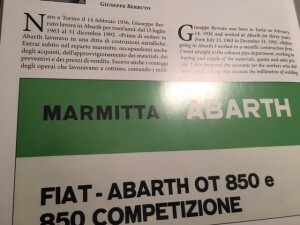 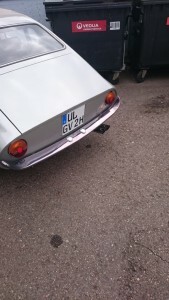 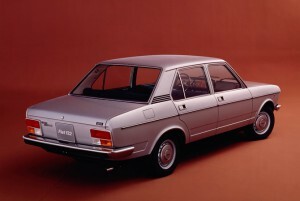 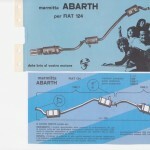 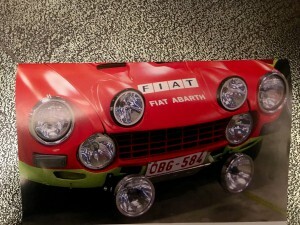 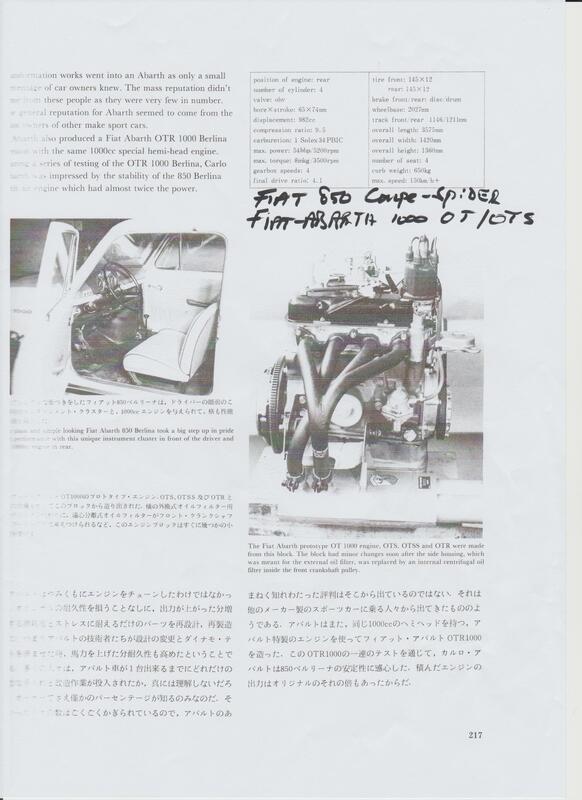 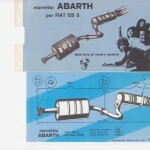 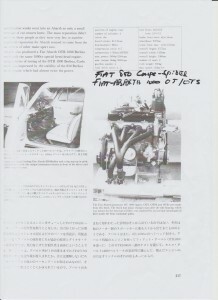 Fiat 127 Sport 1300 75 HP, ’81-’83, Abarth exhaust system as above; only on request! 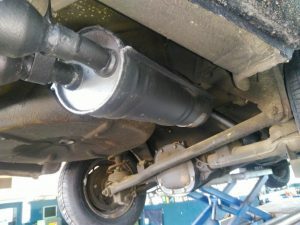 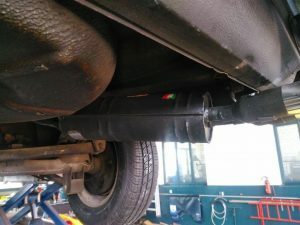 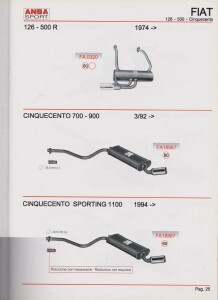 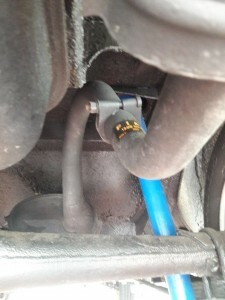 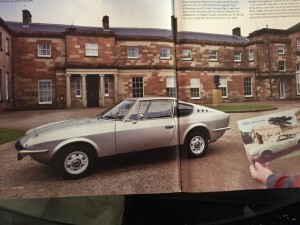 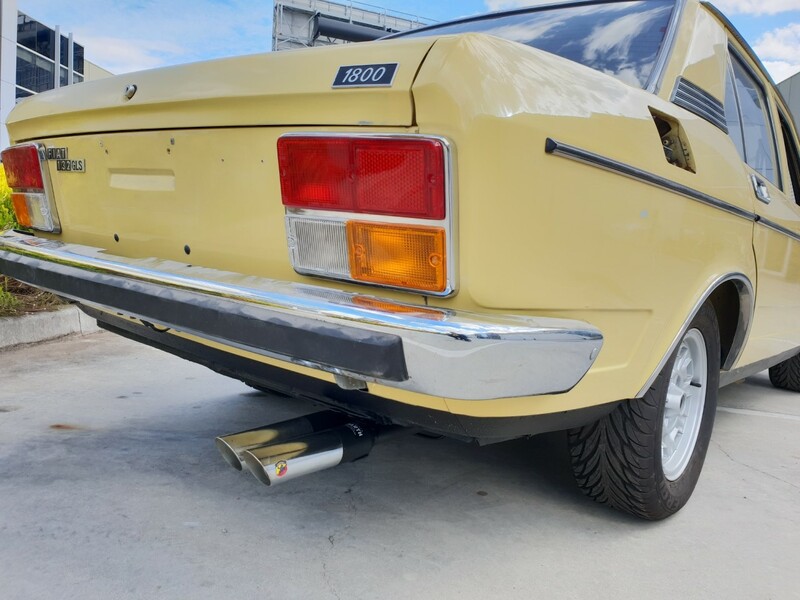 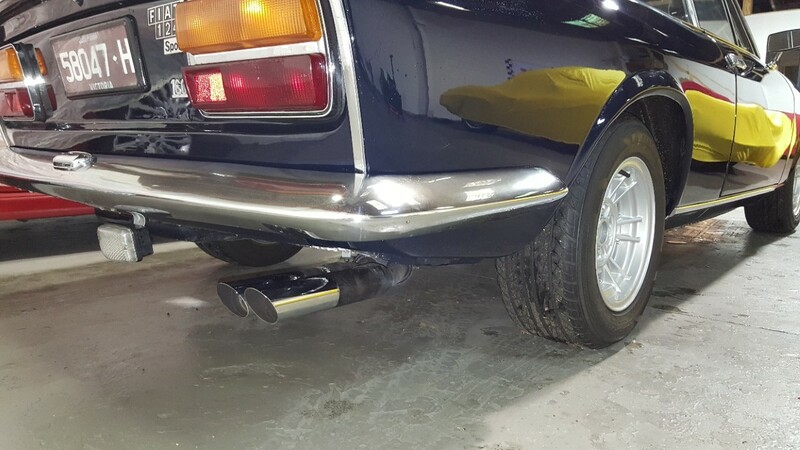 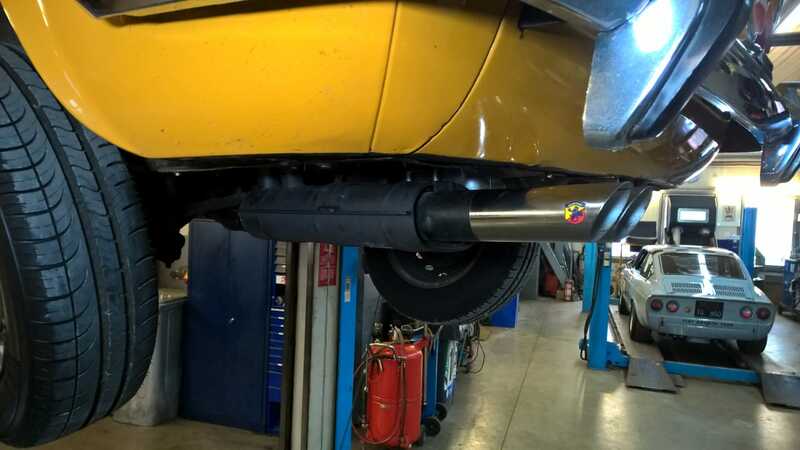 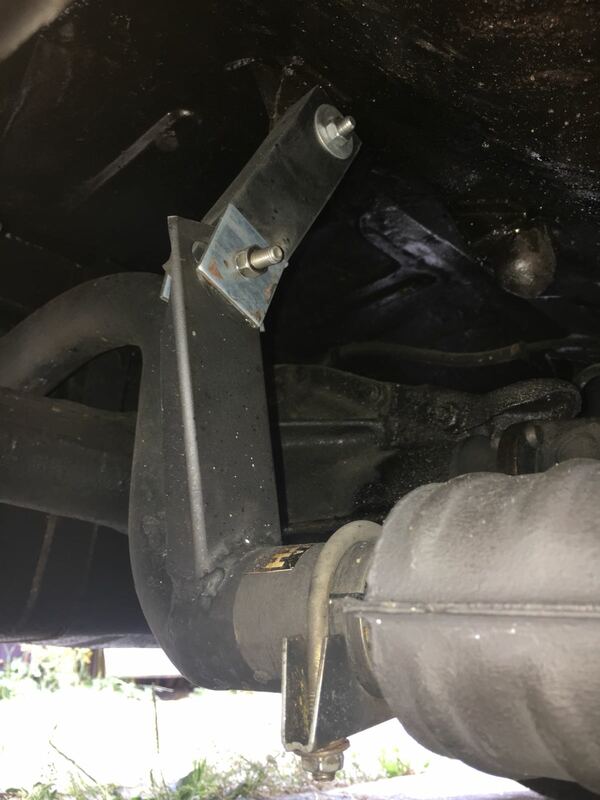 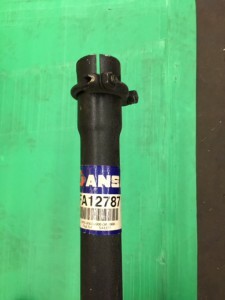 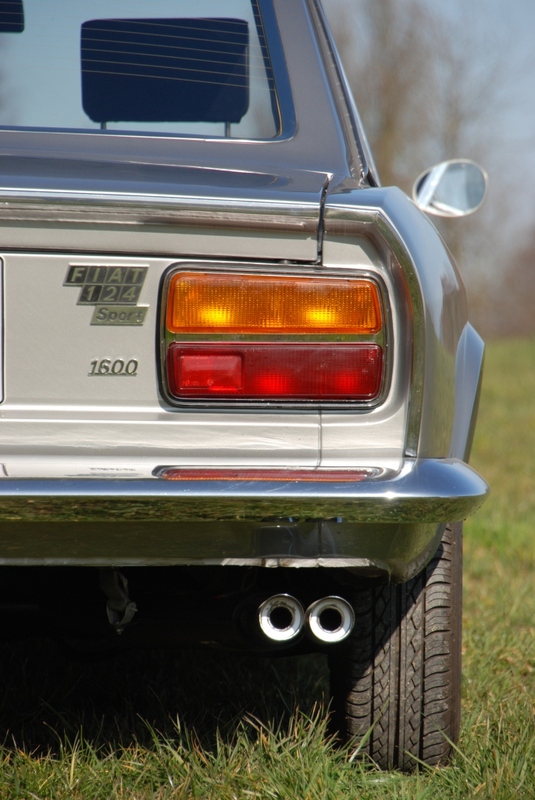 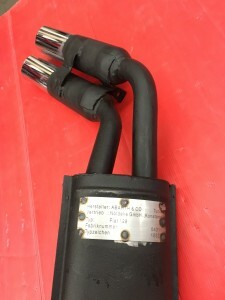 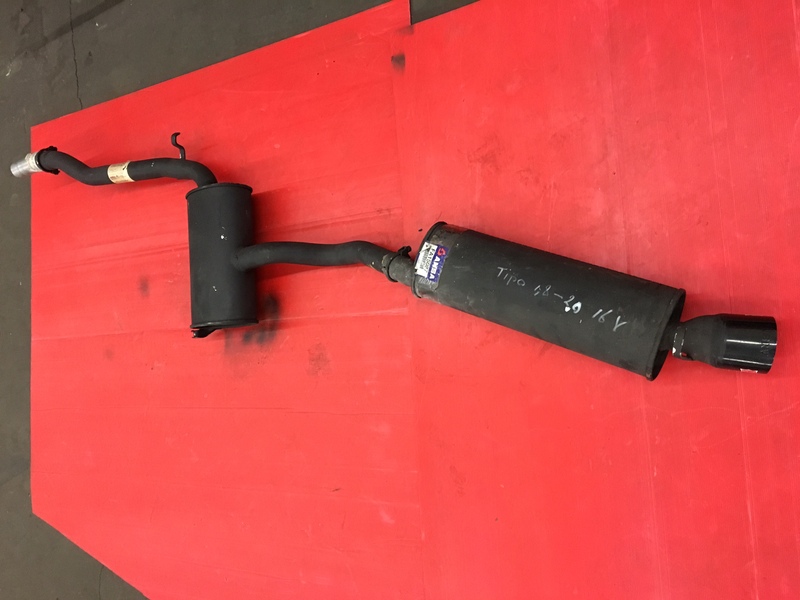 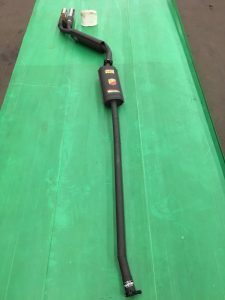 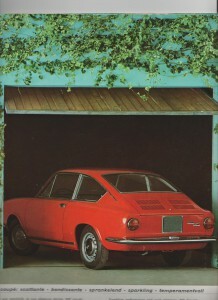 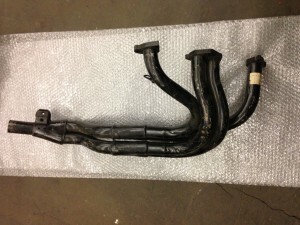 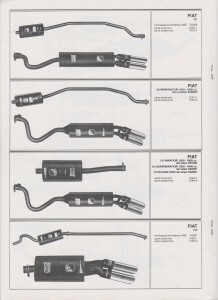 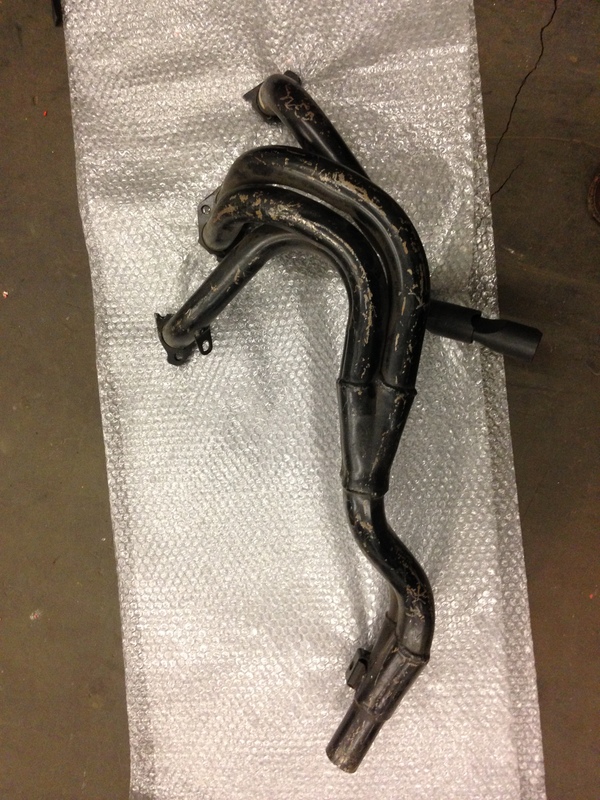 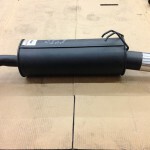 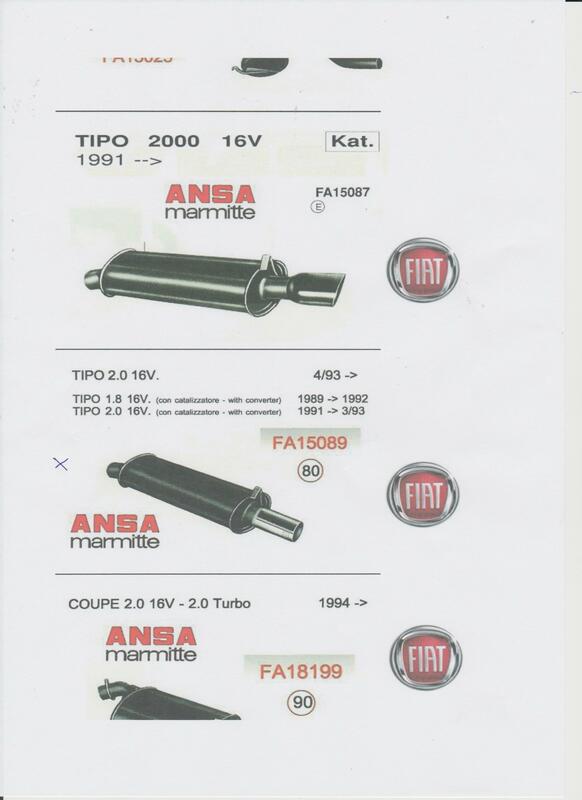 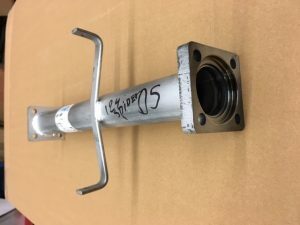 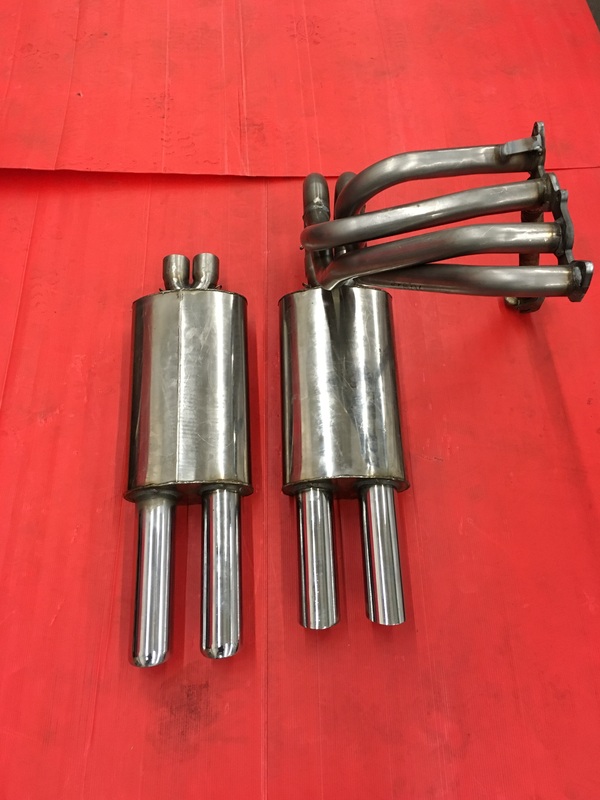 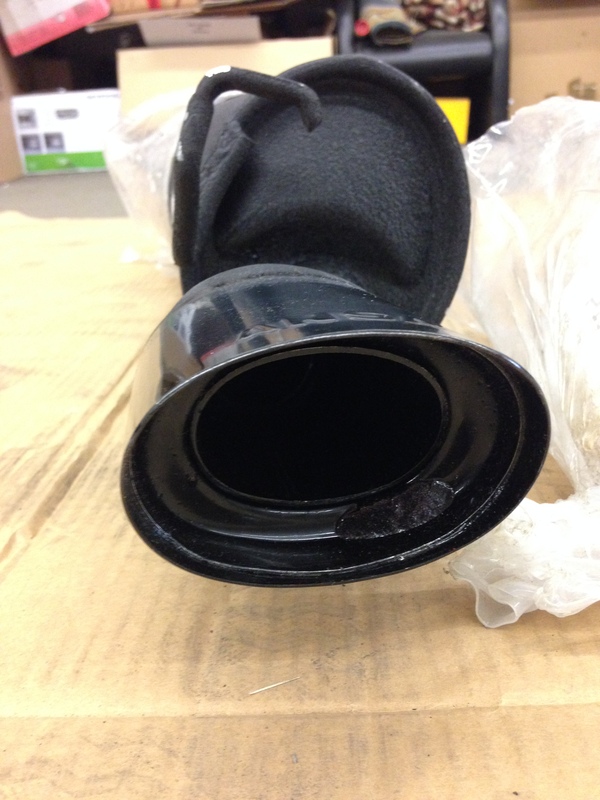 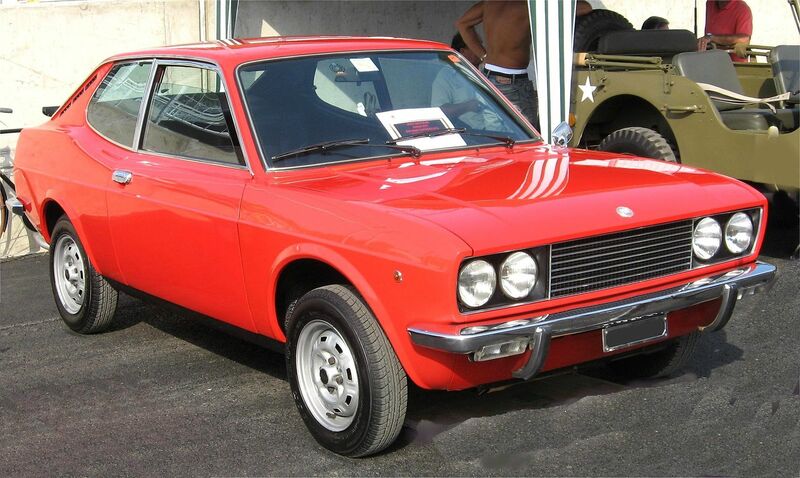 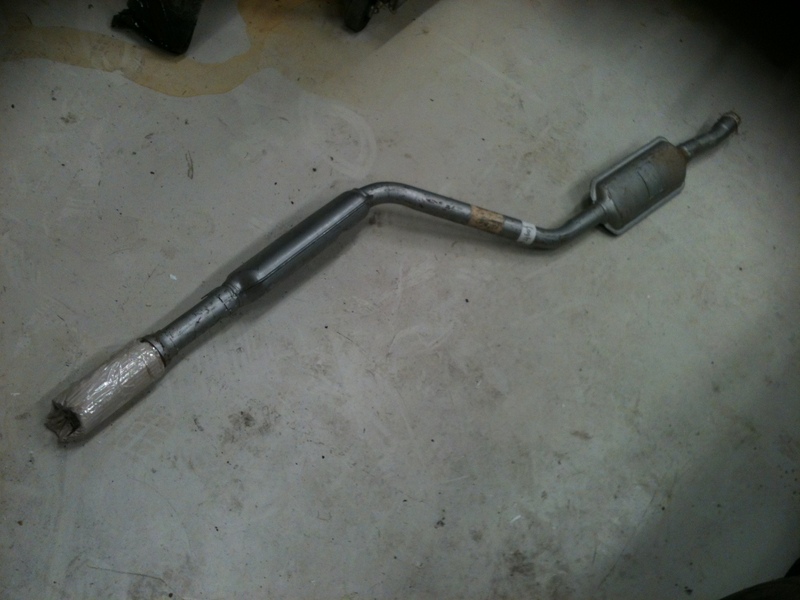 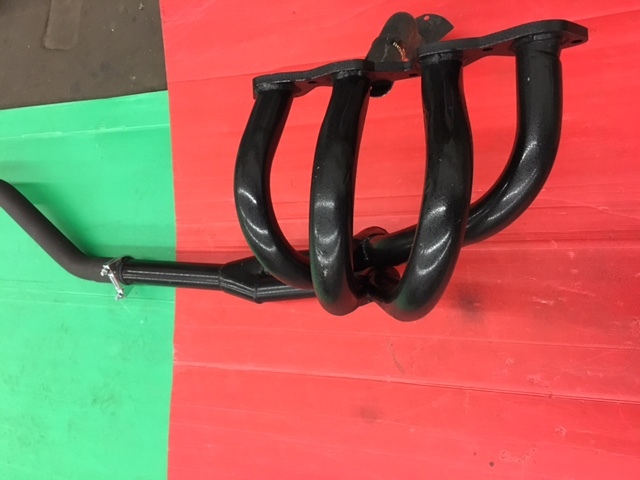 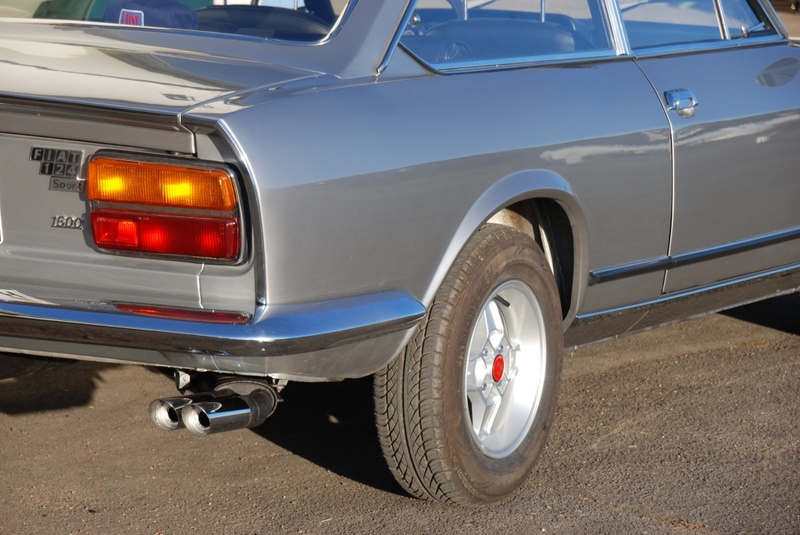 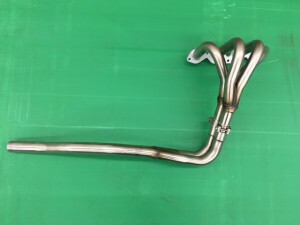 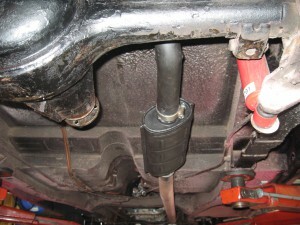 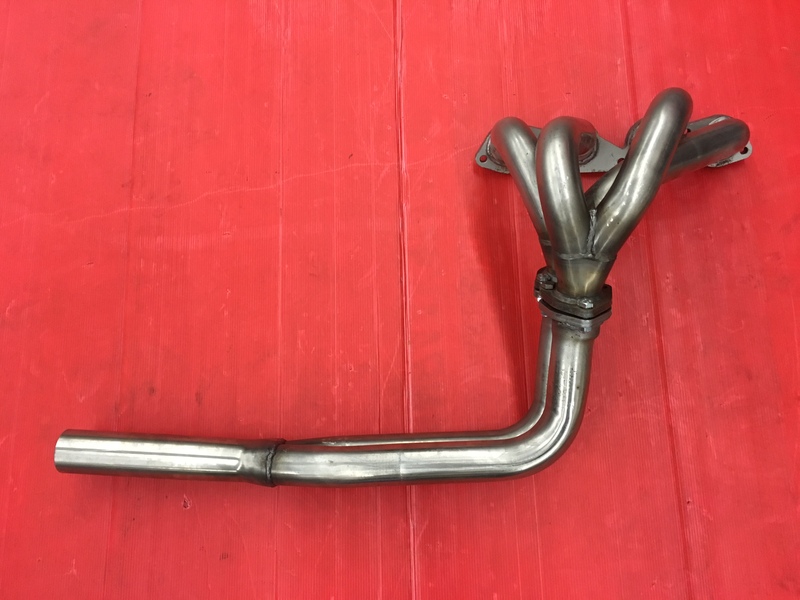 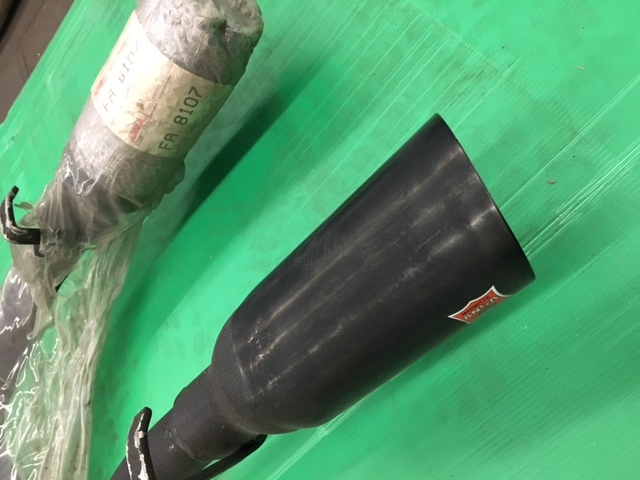 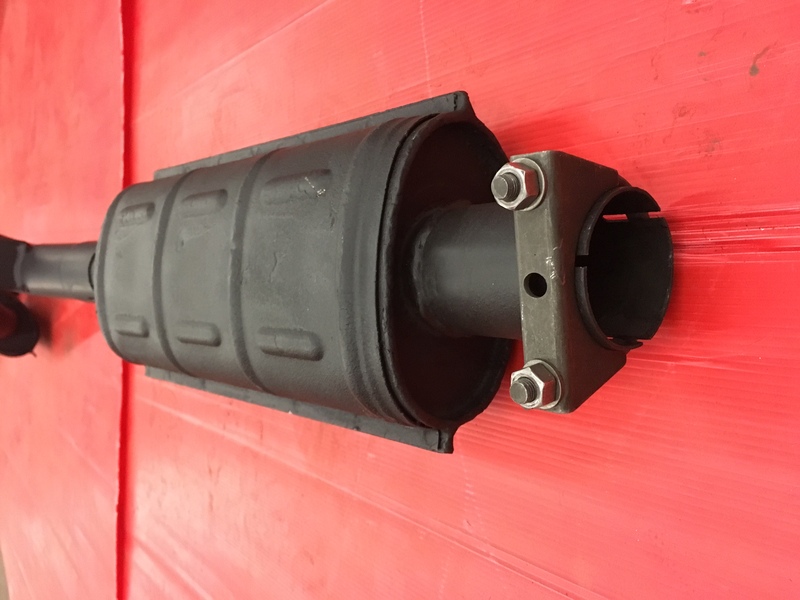 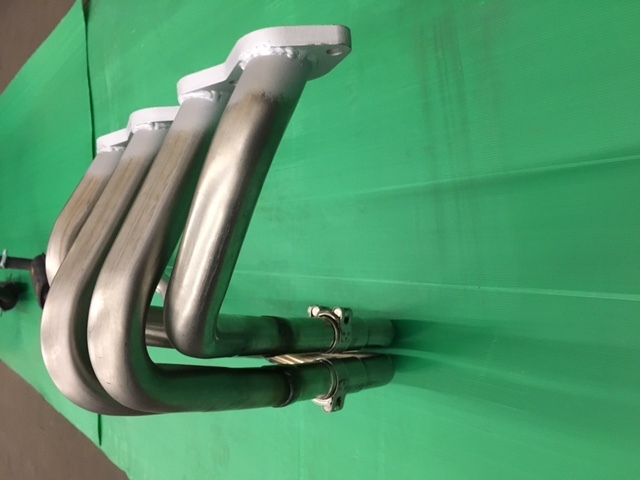 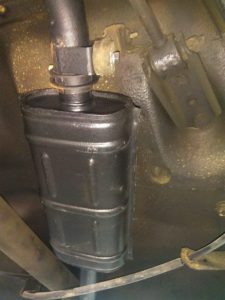 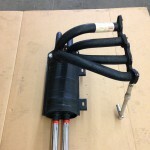 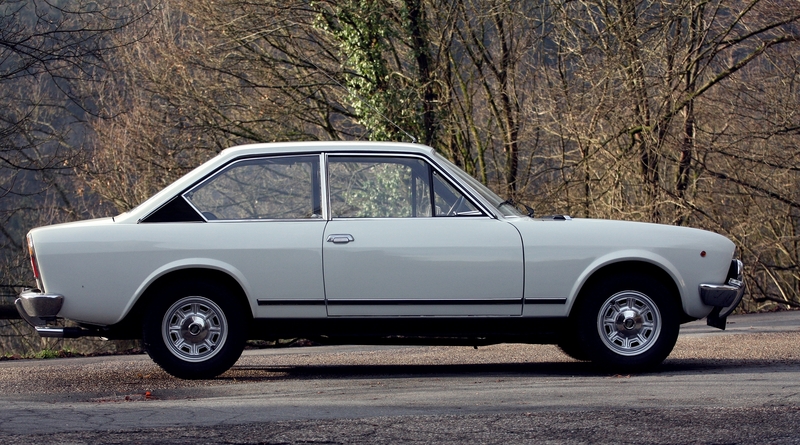 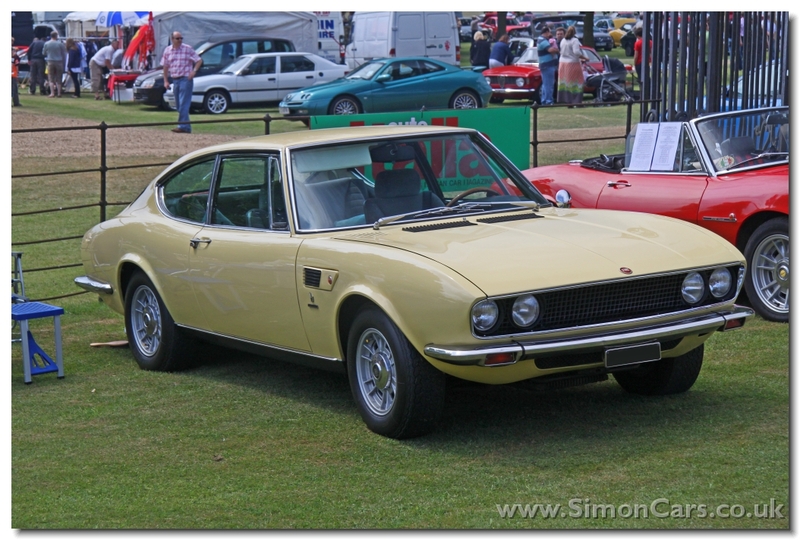 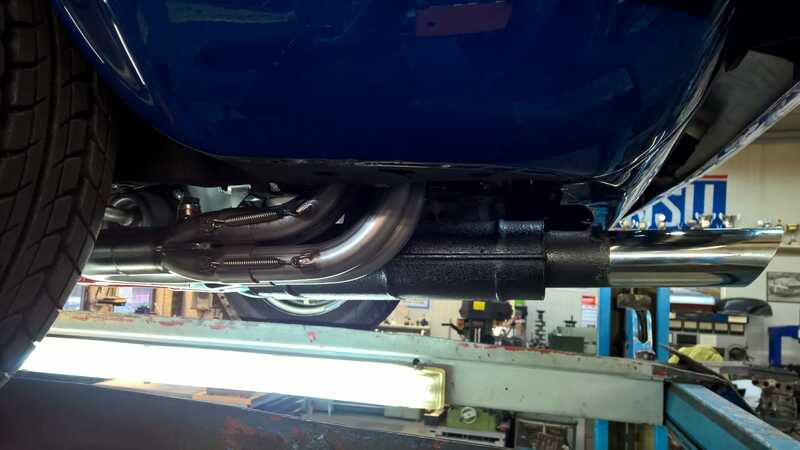 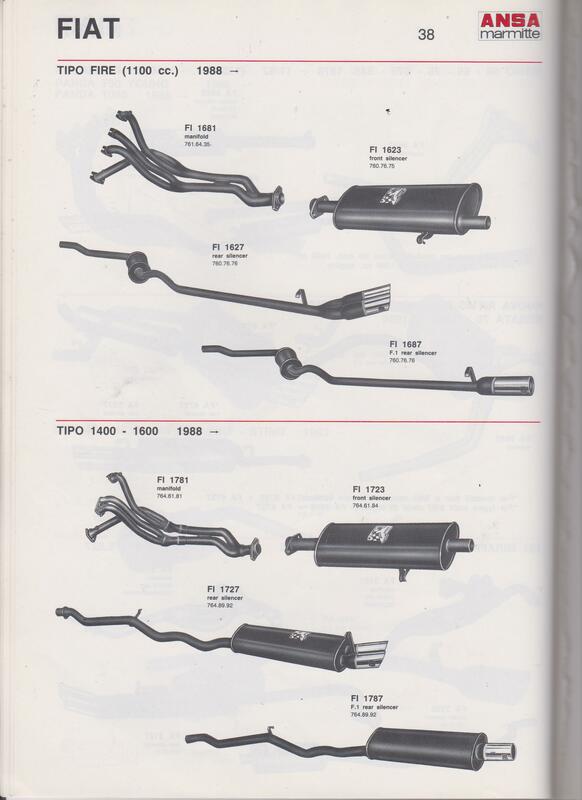 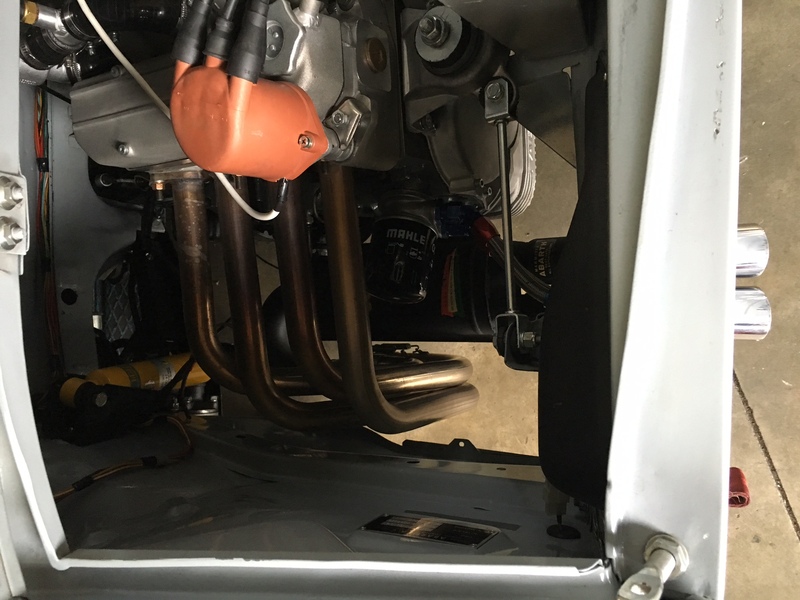 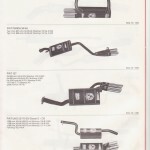 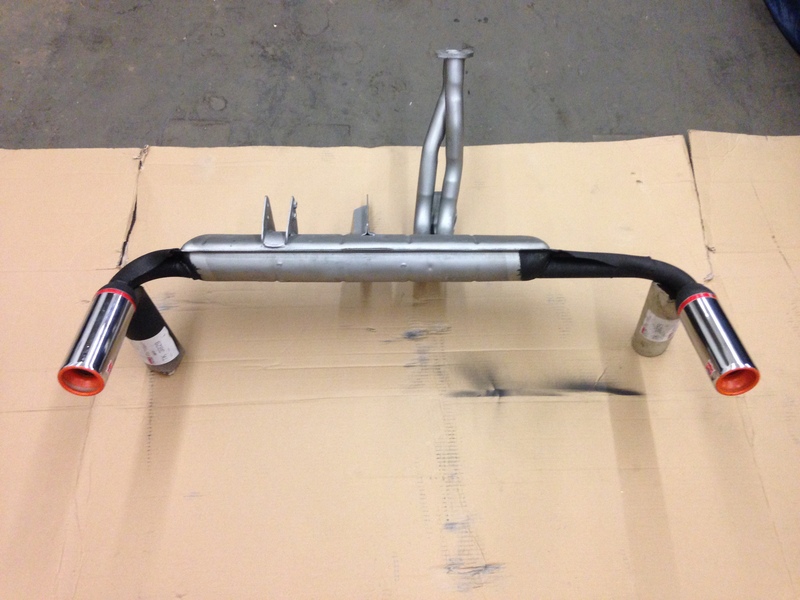 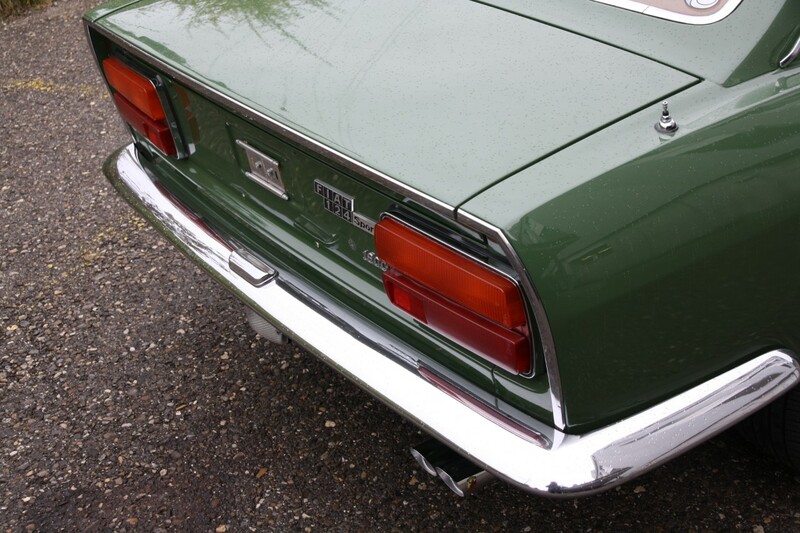 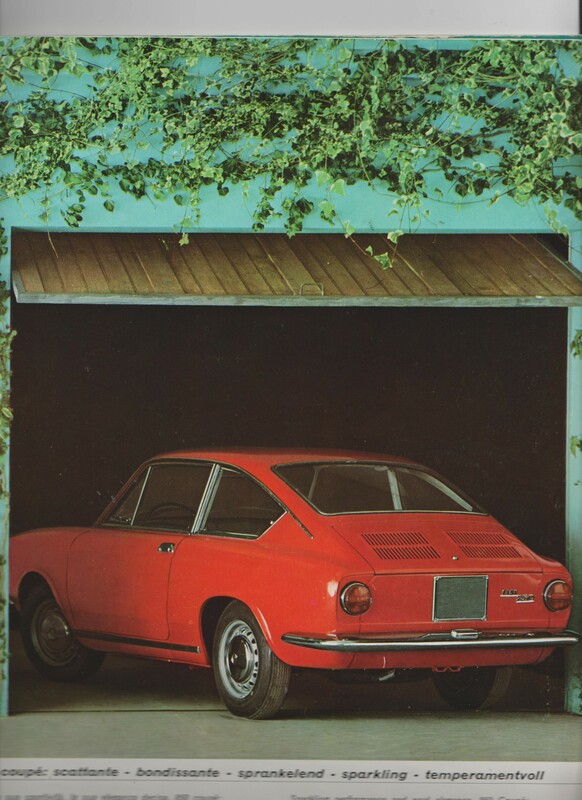 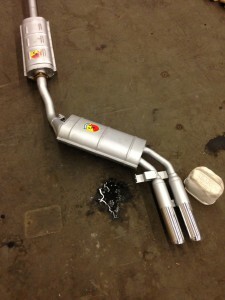 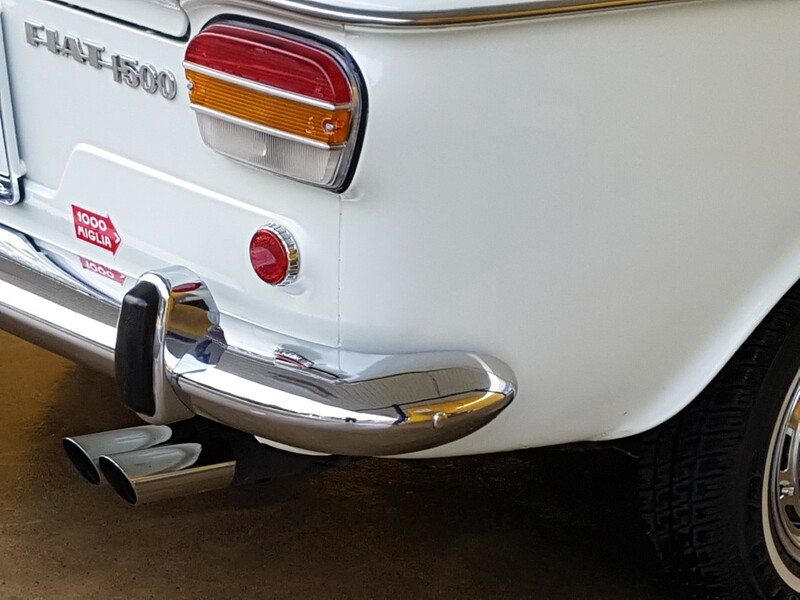 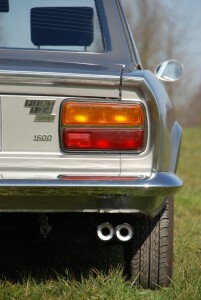 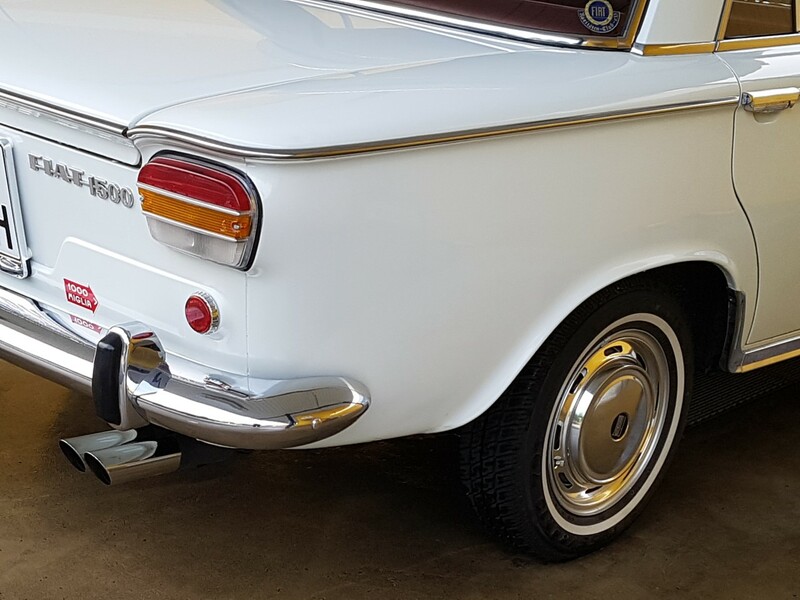 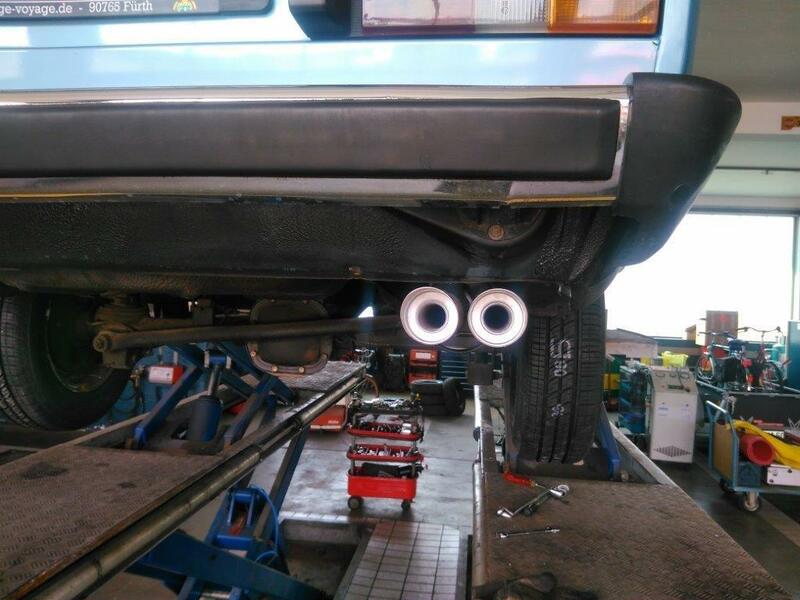 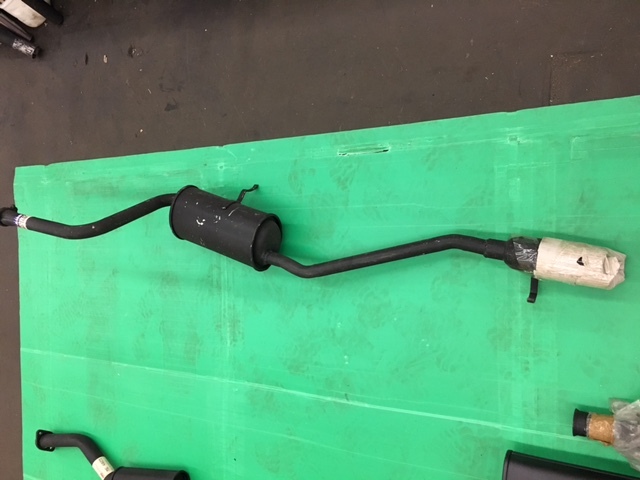 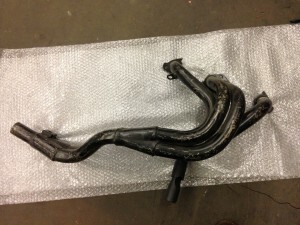 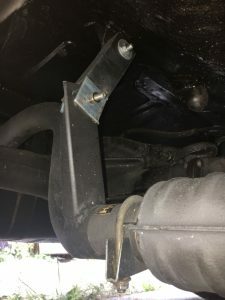 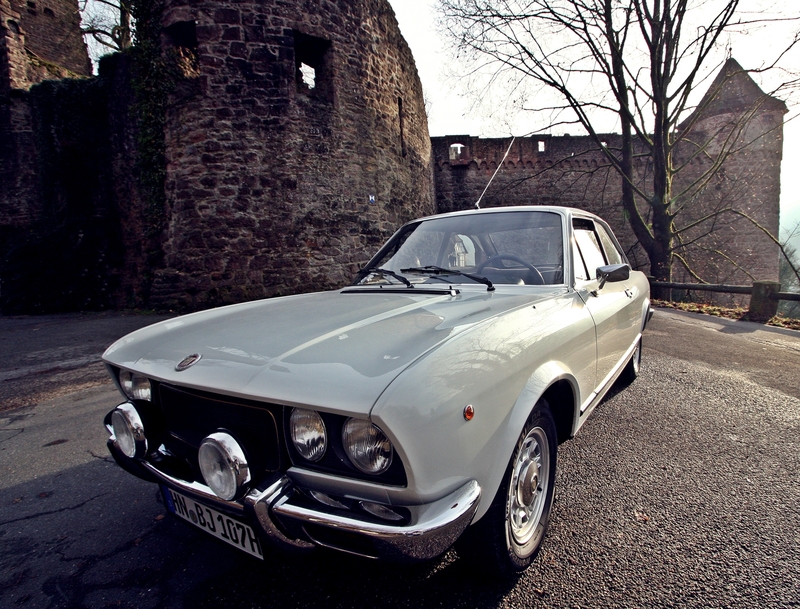 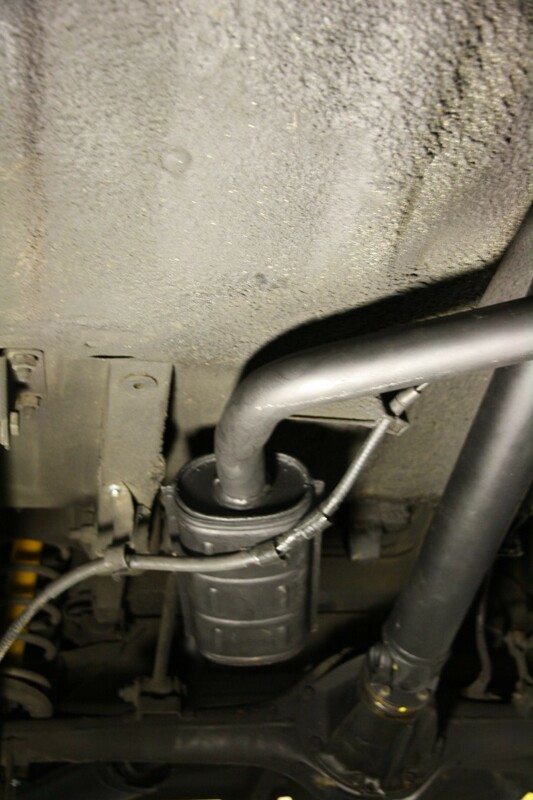 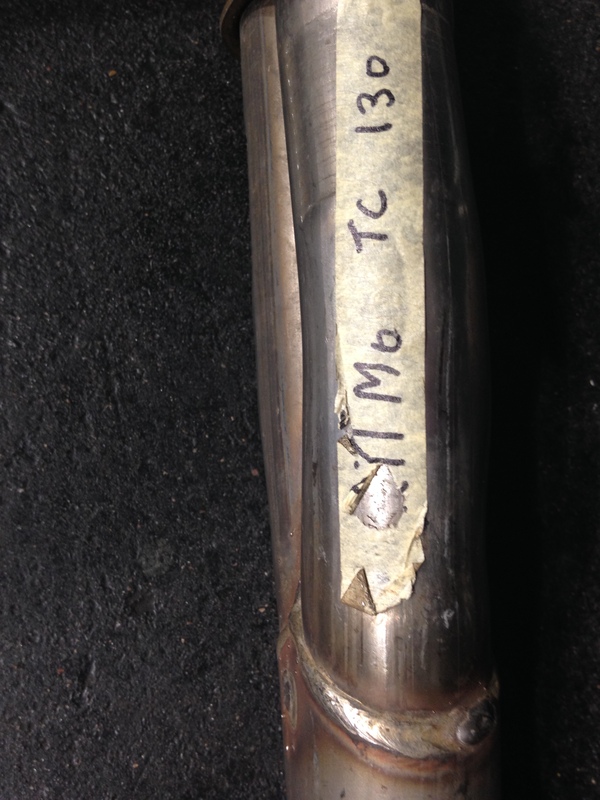 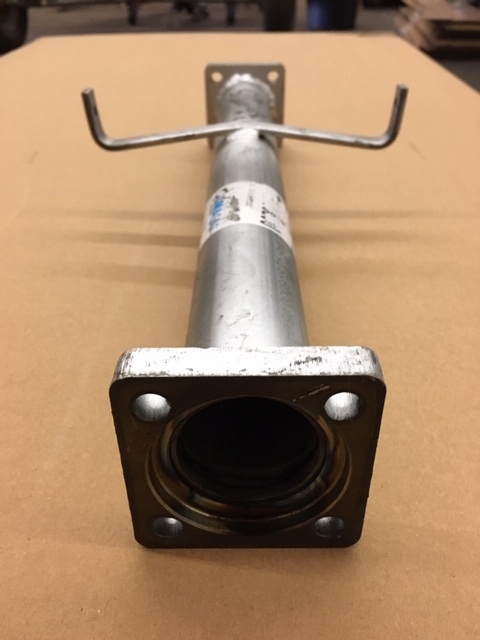 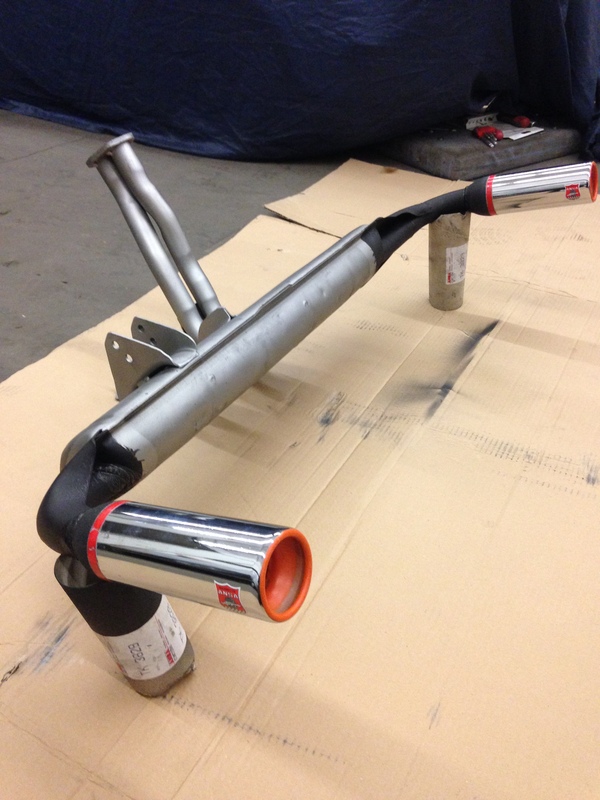 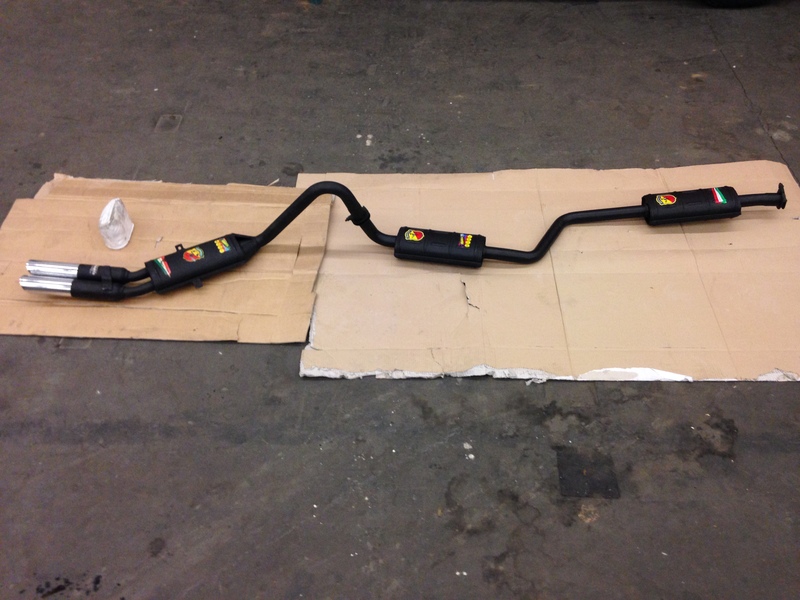 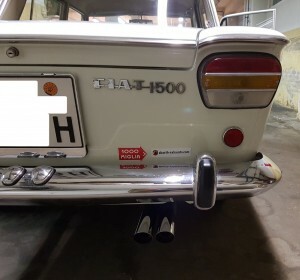 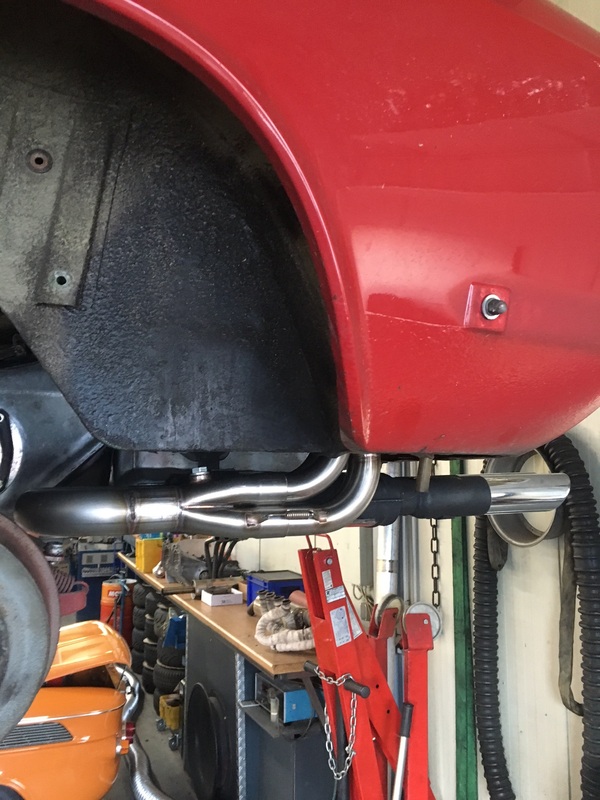 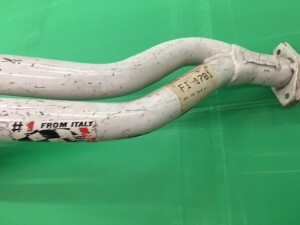 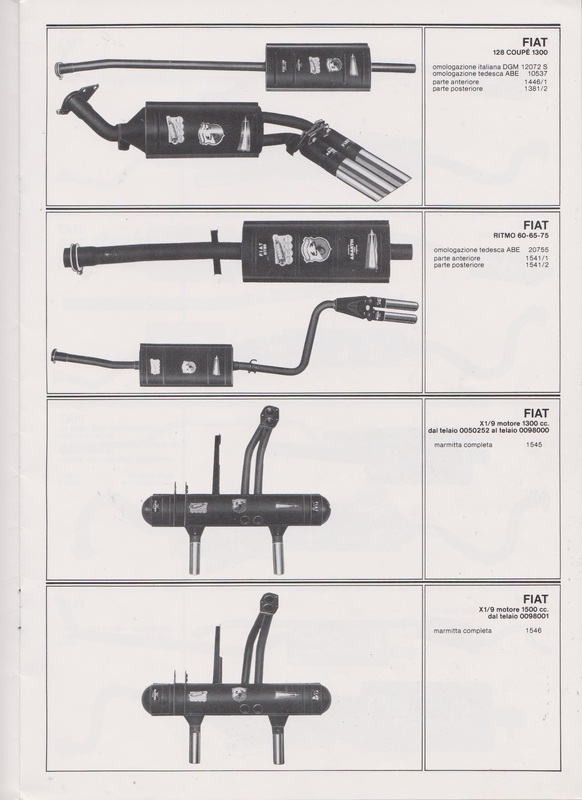 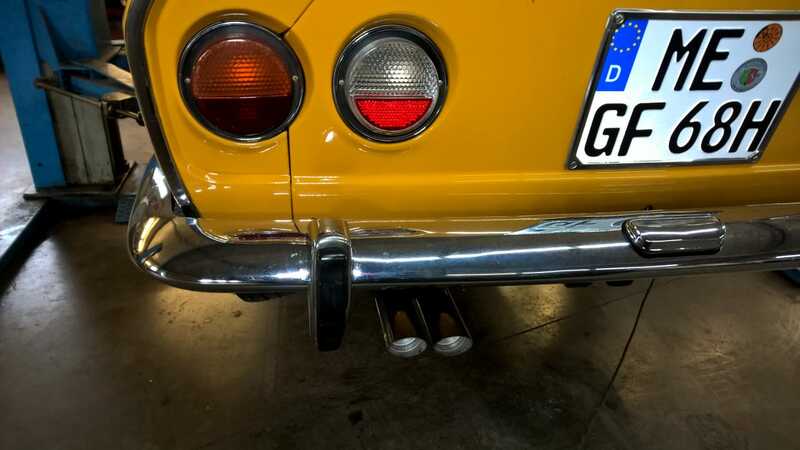 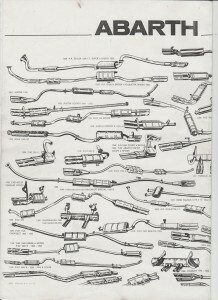 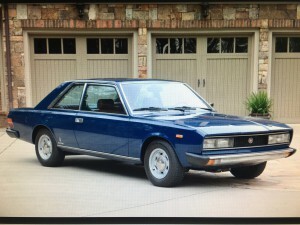 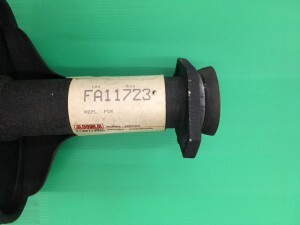 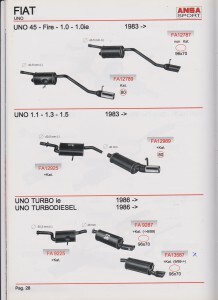 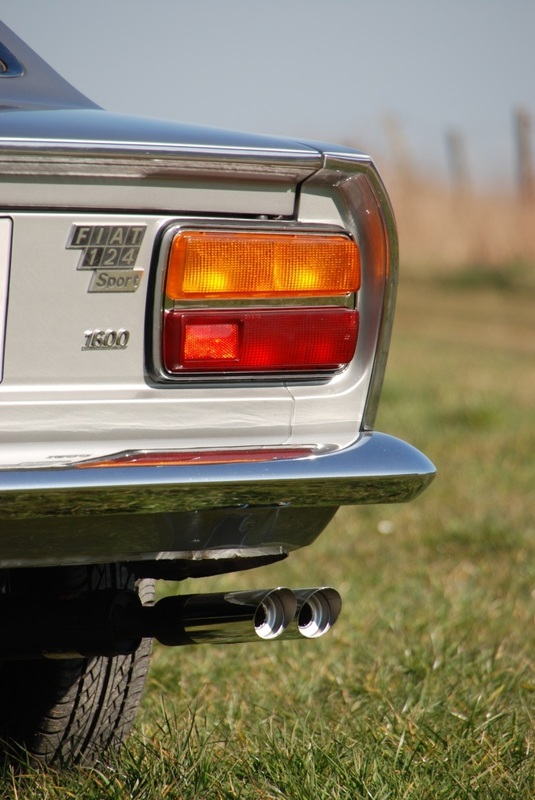 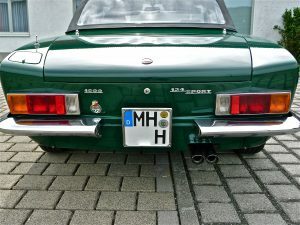 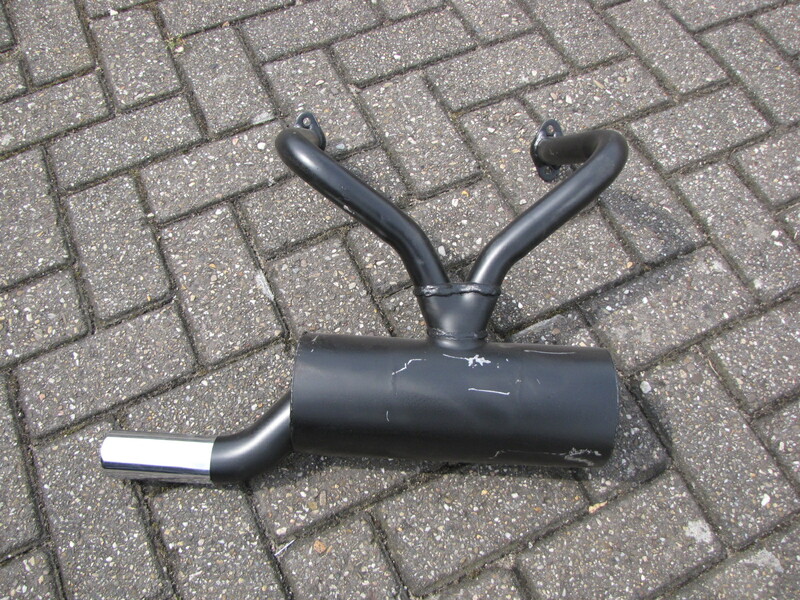 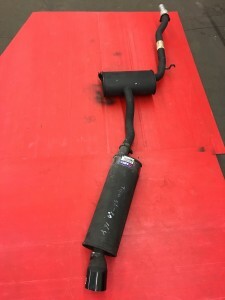 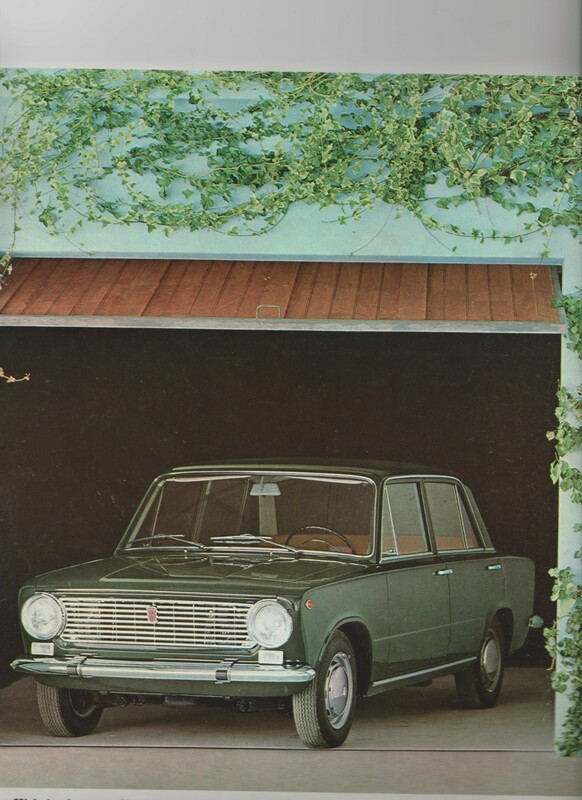 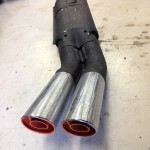 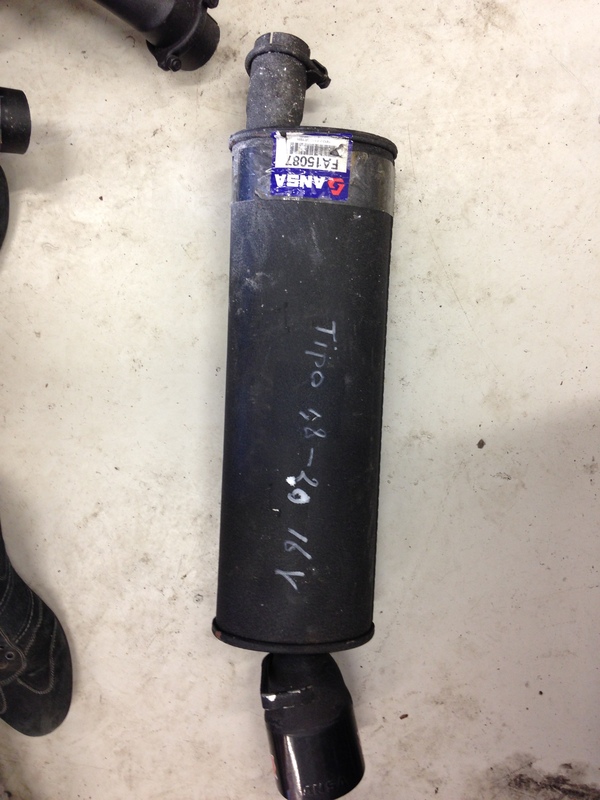 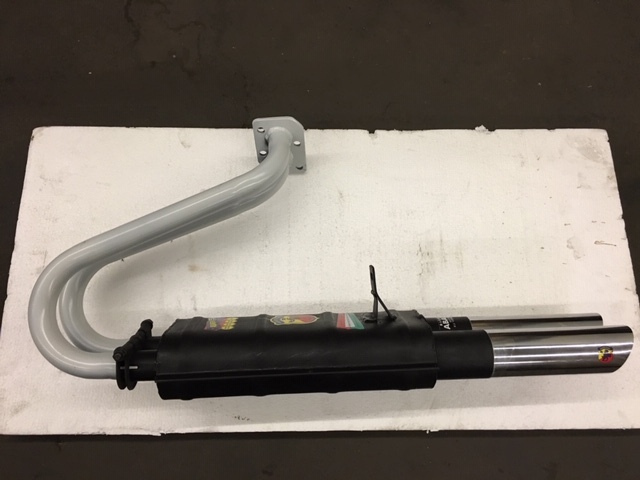 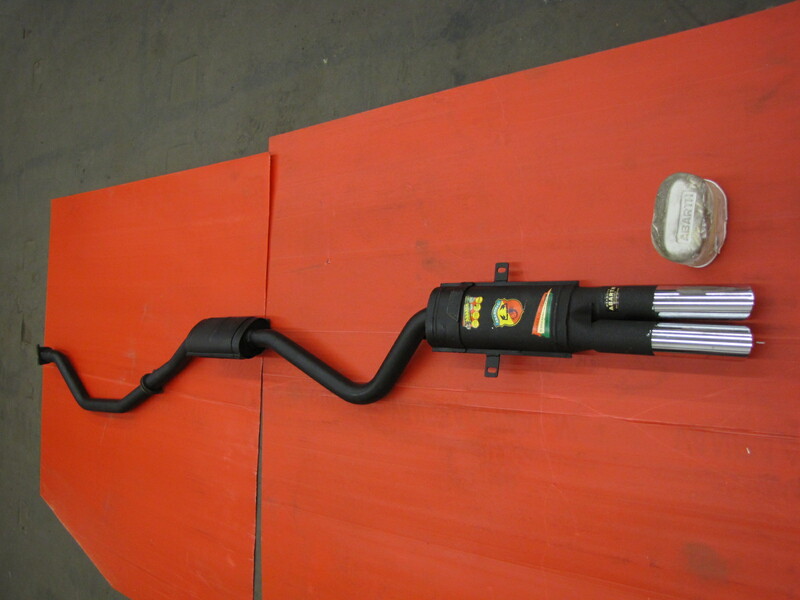 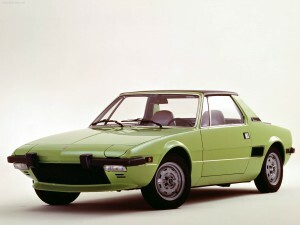 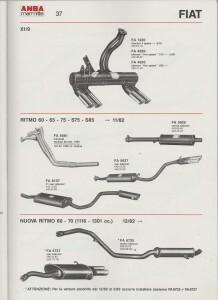 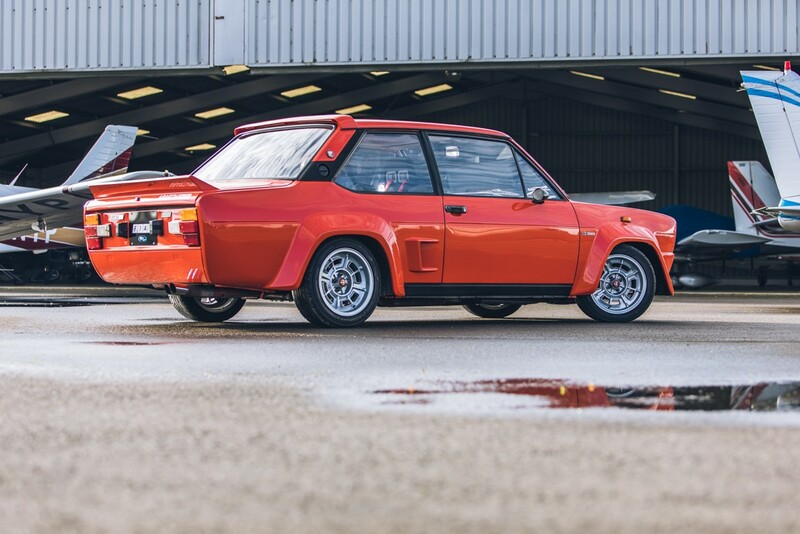 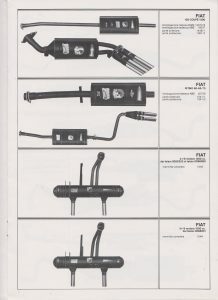 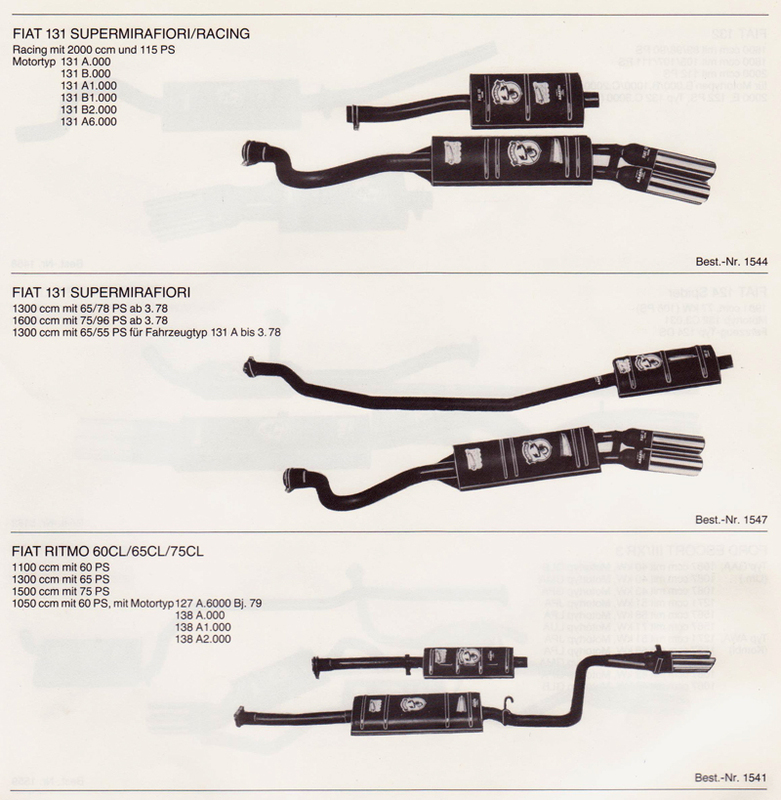 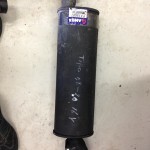 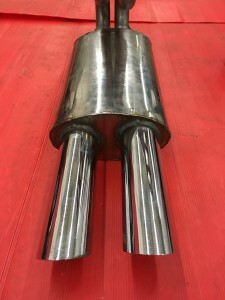 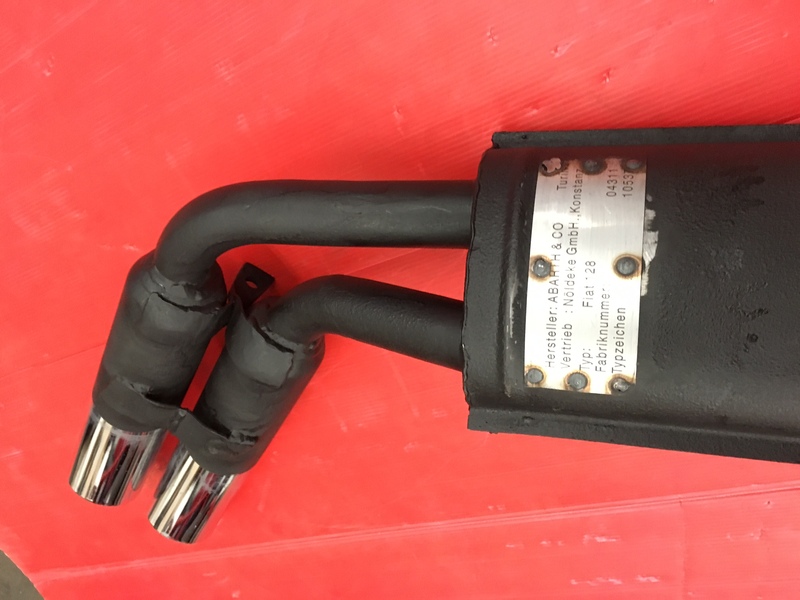 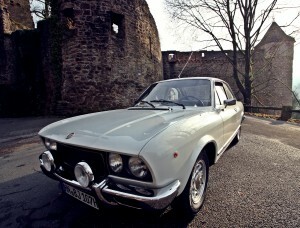 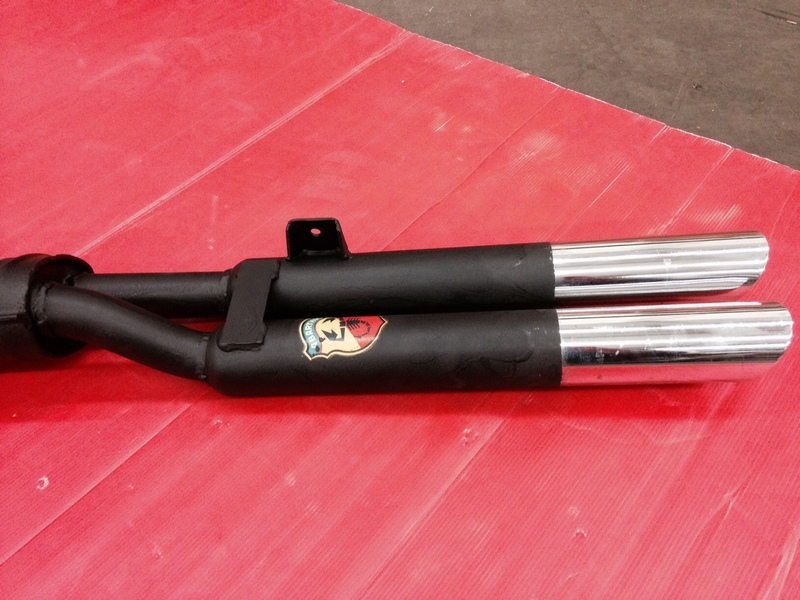 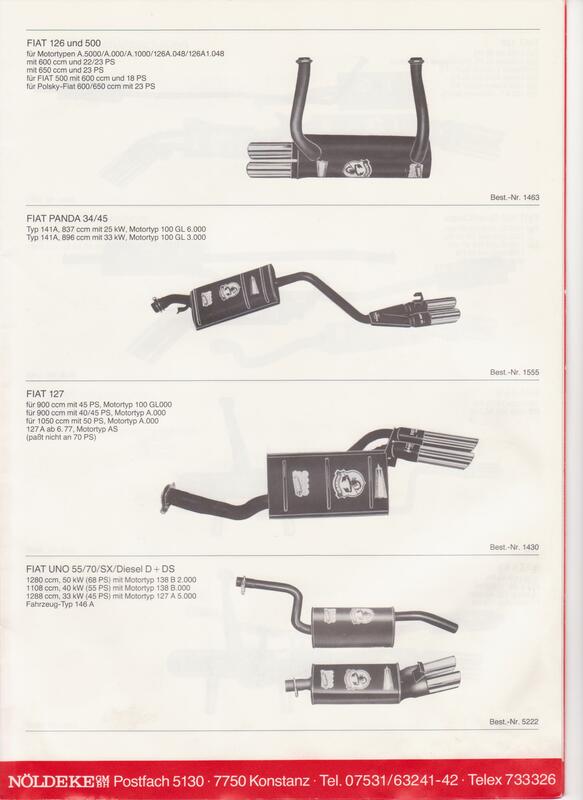 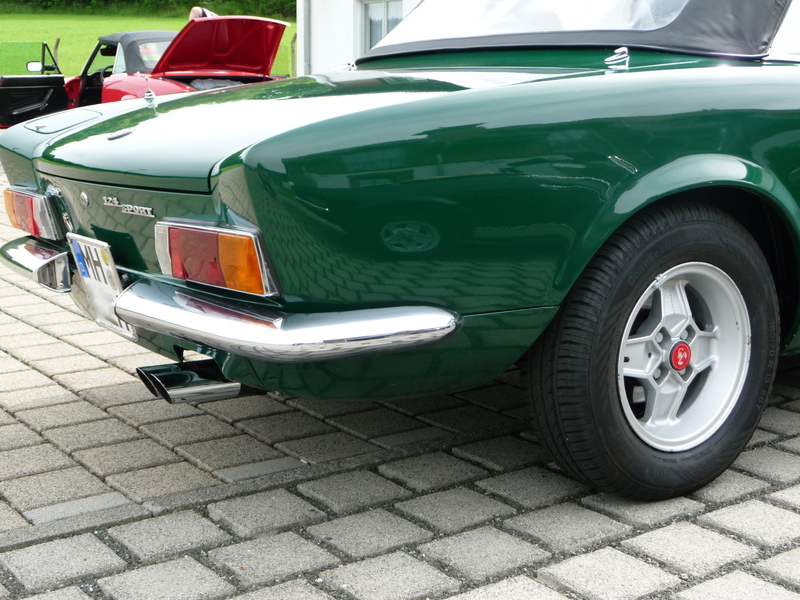 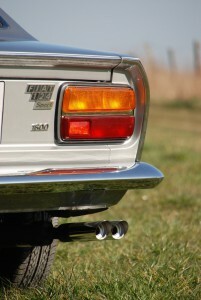 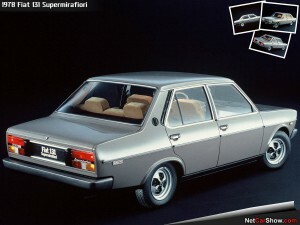 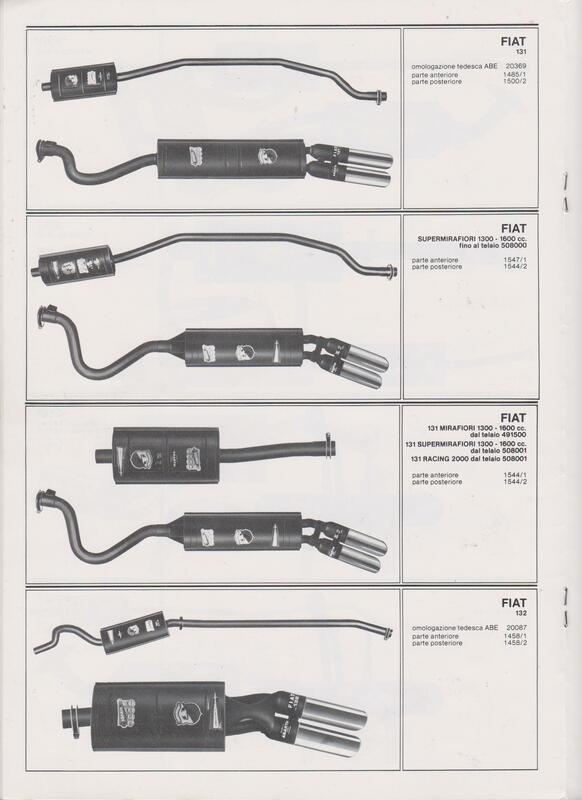 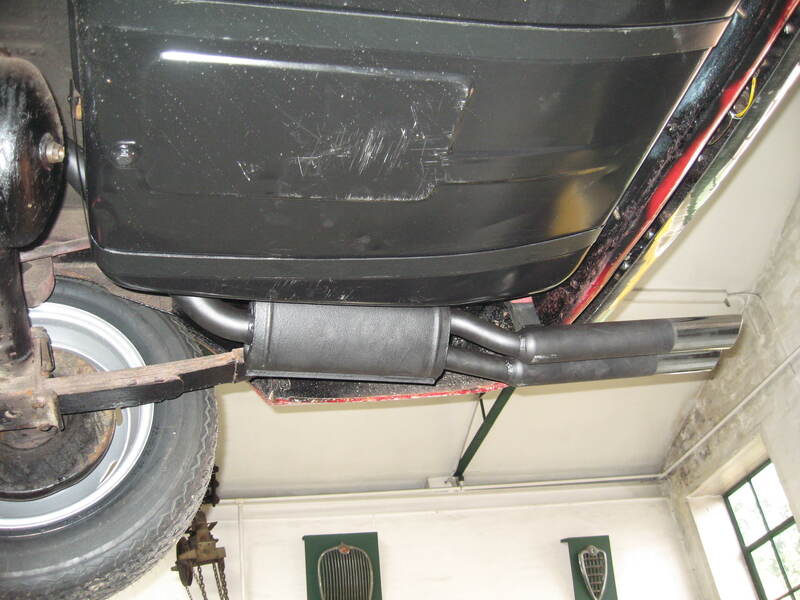 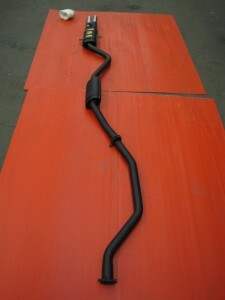 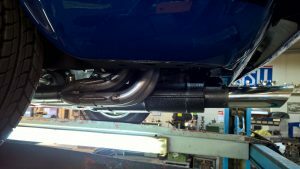 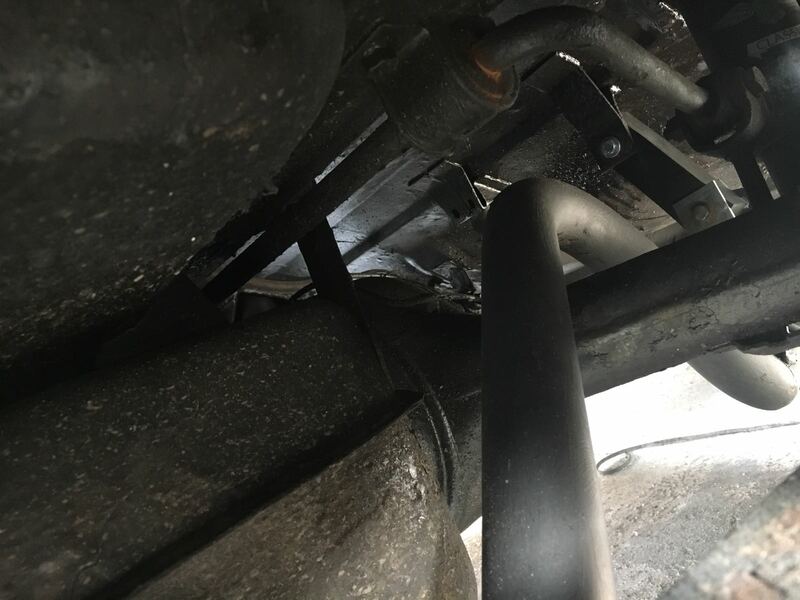 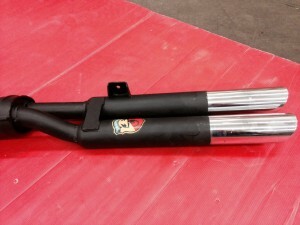 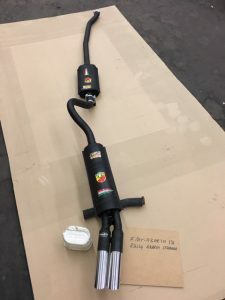 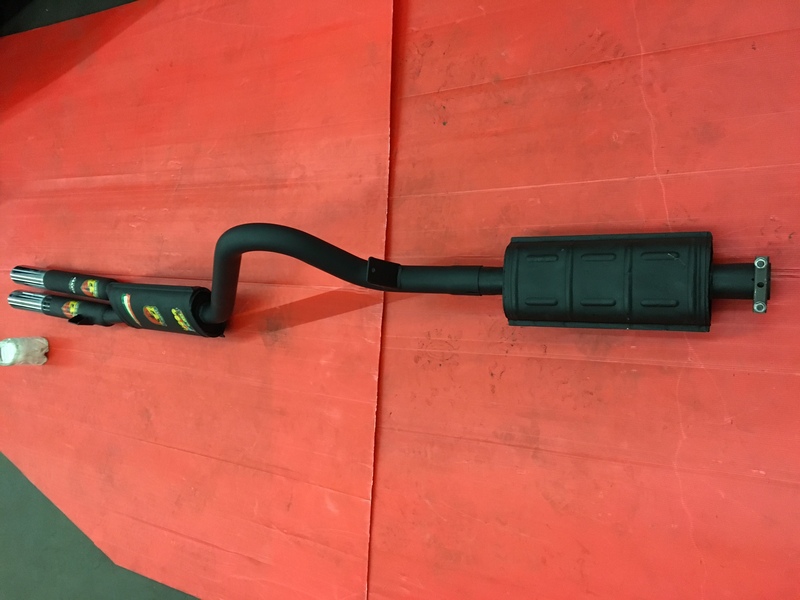 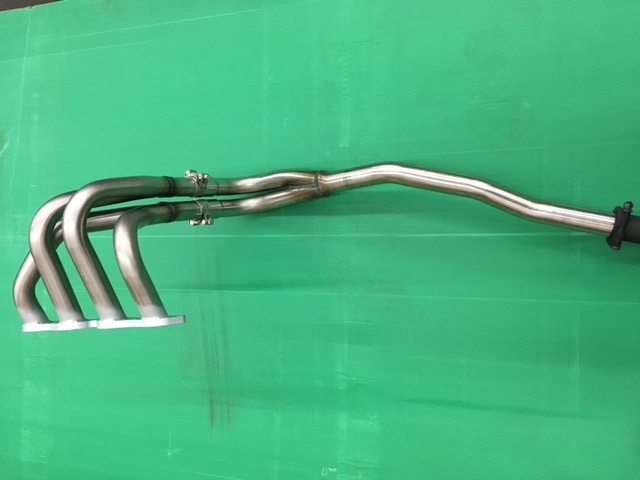 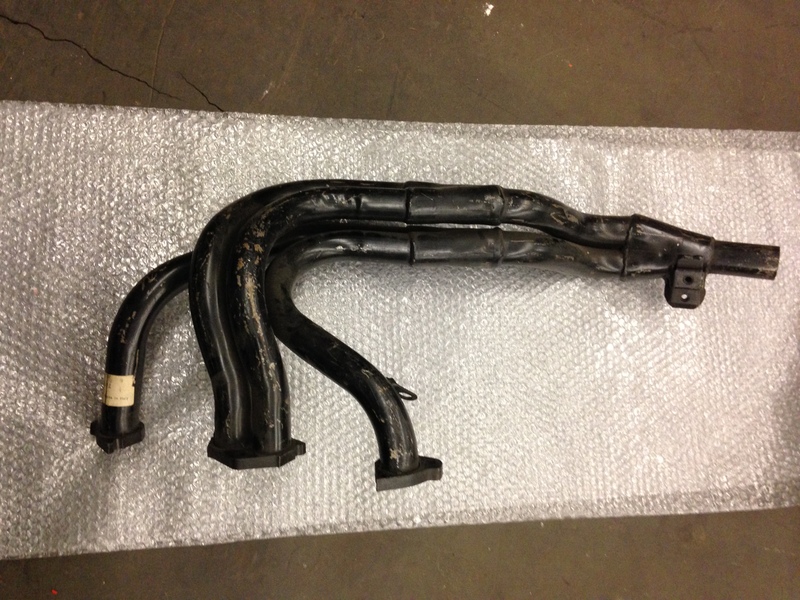 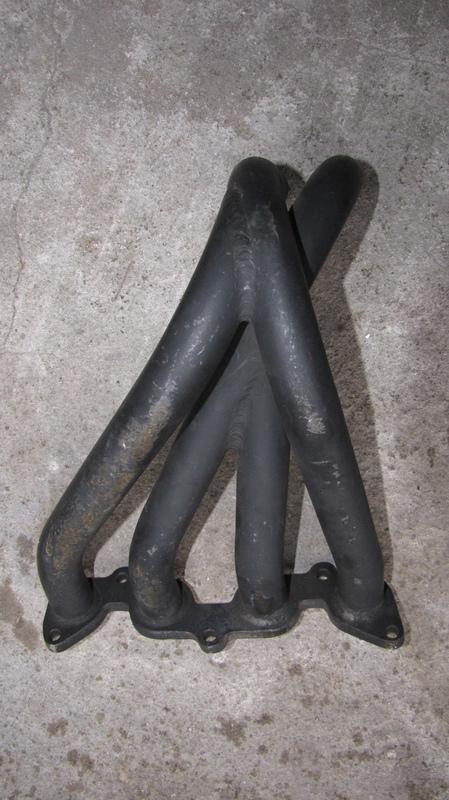 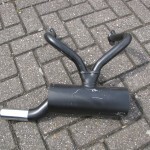 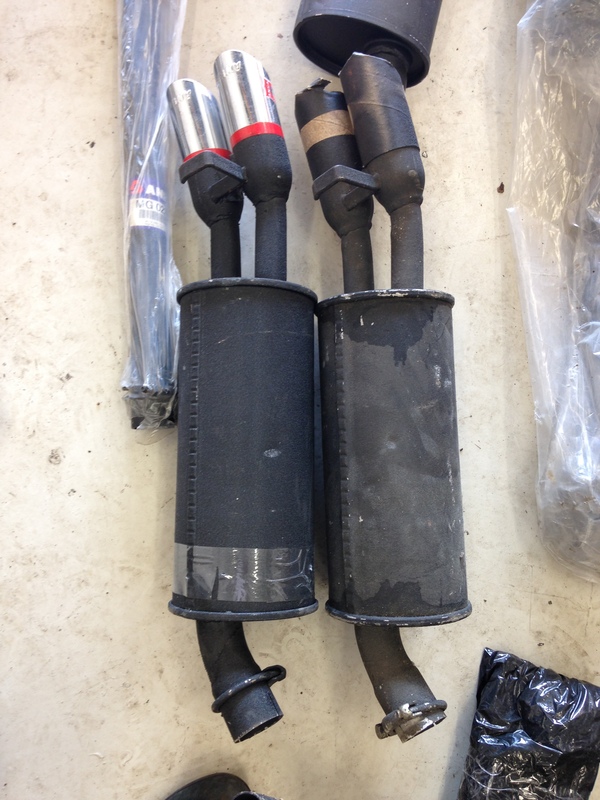 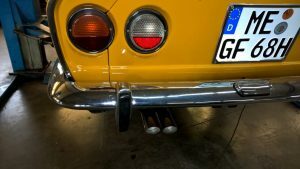 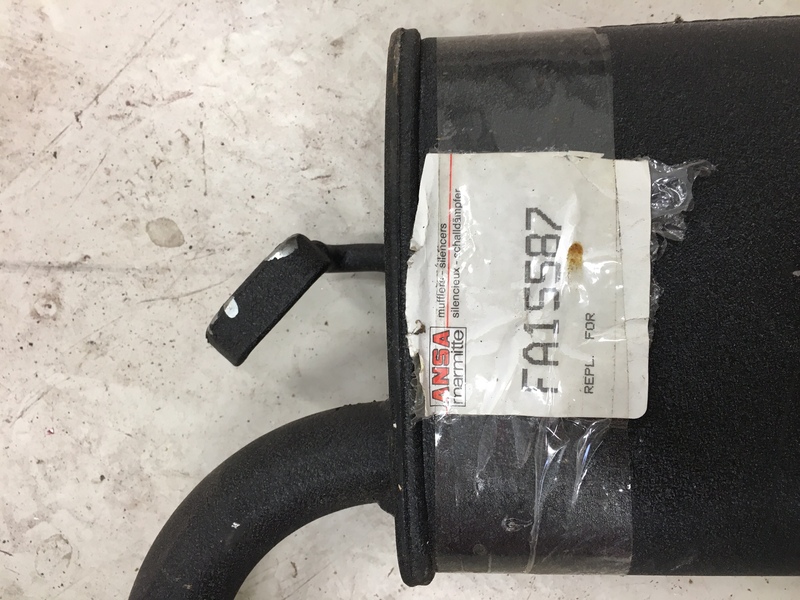 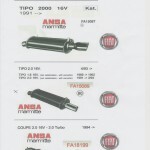 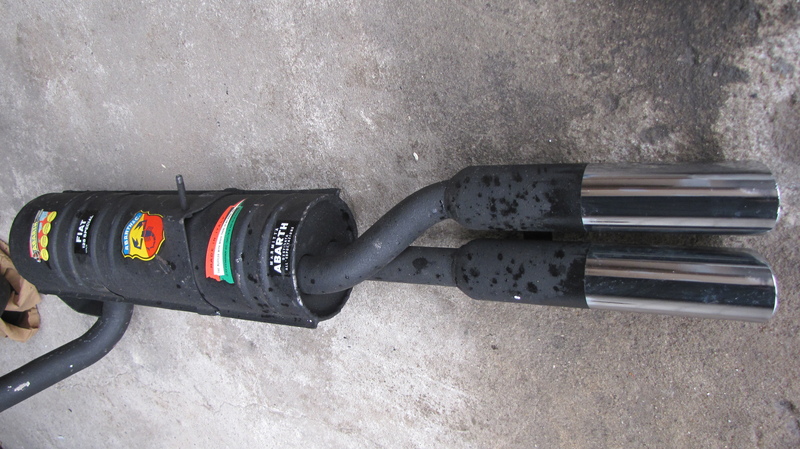 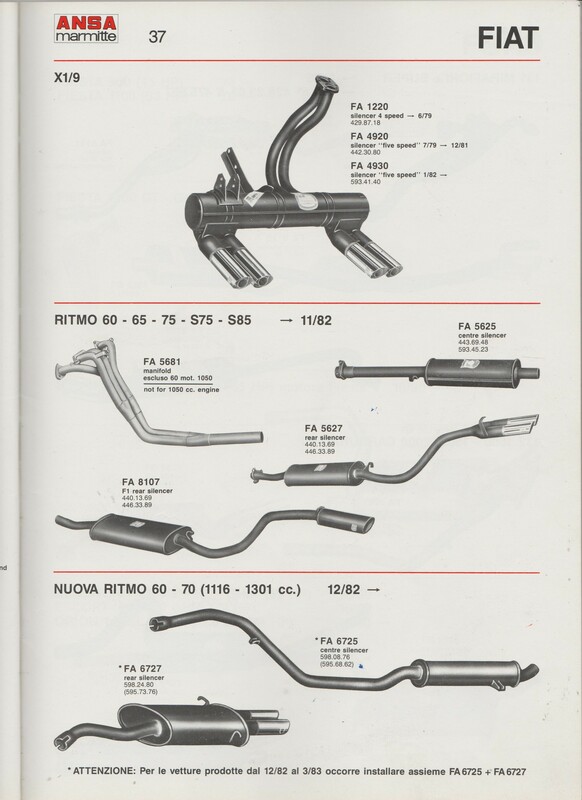 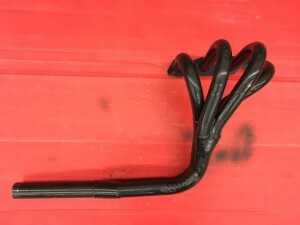 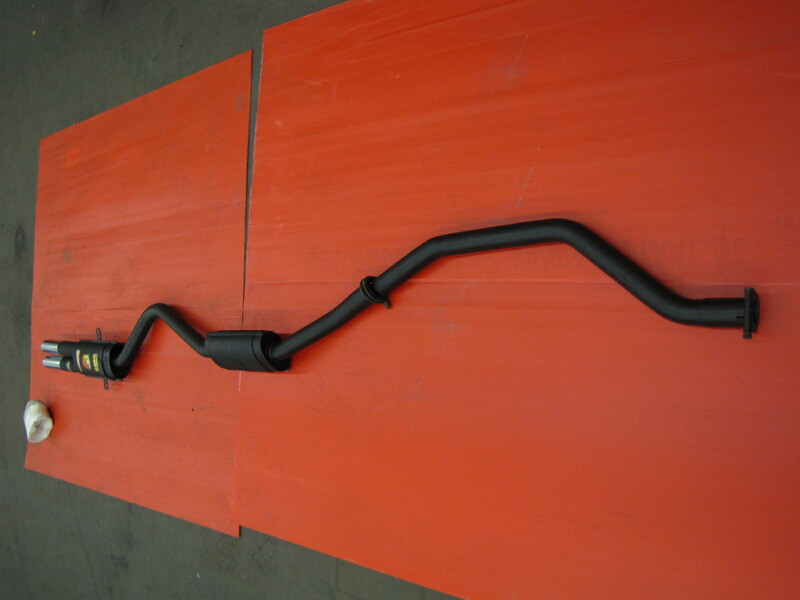 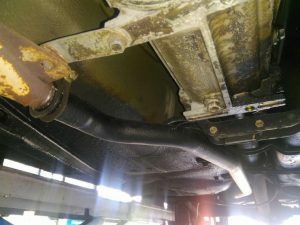 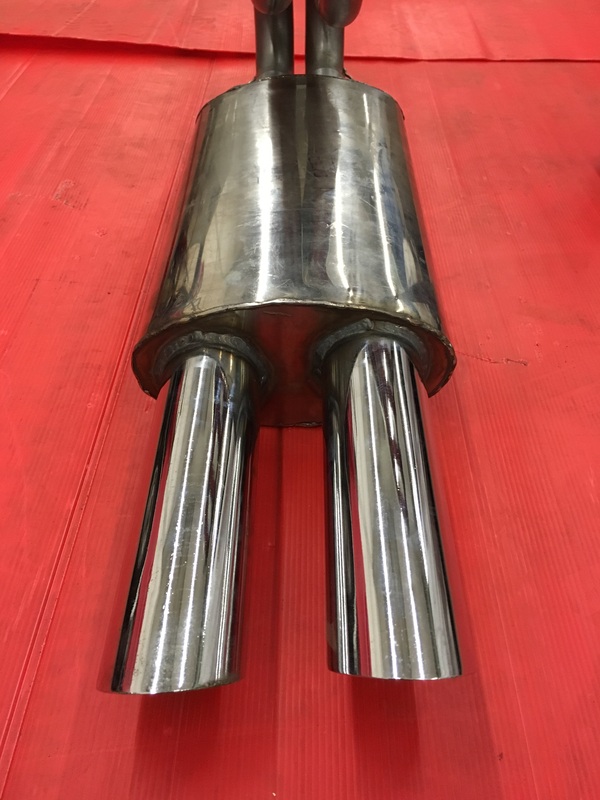 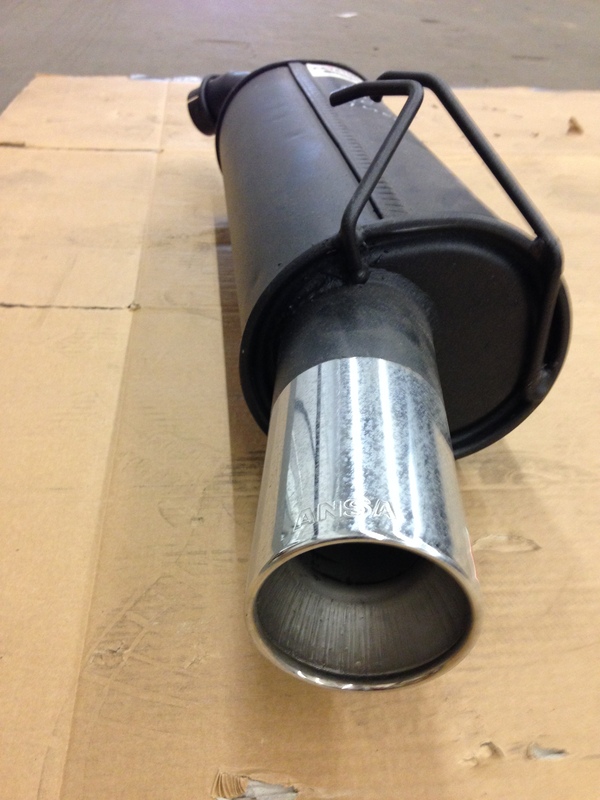 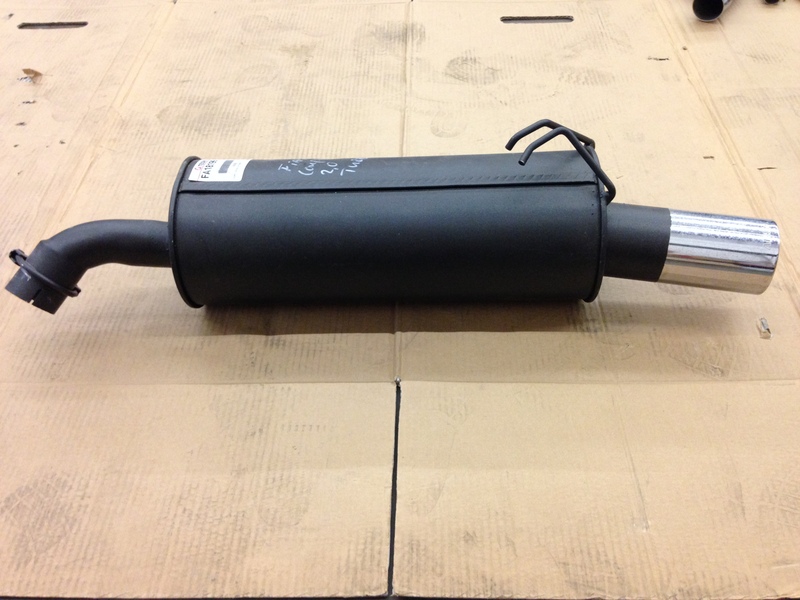 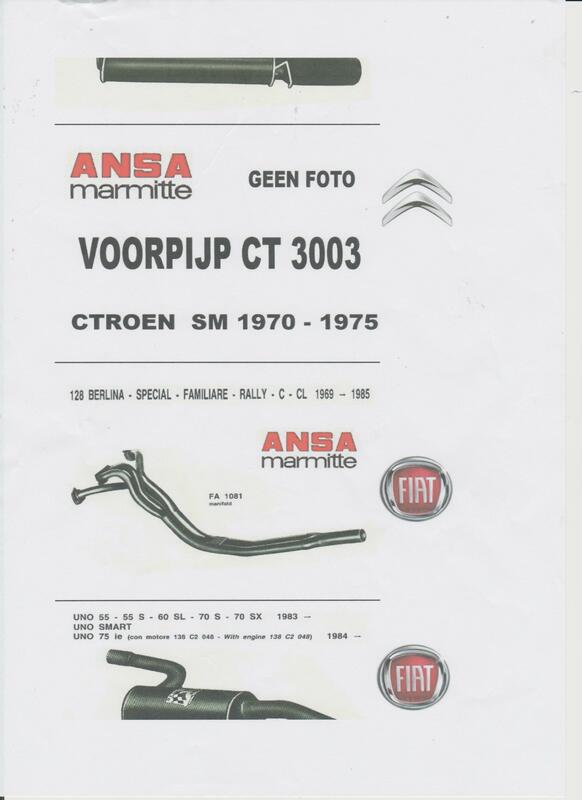 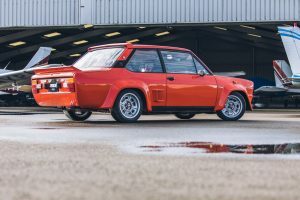 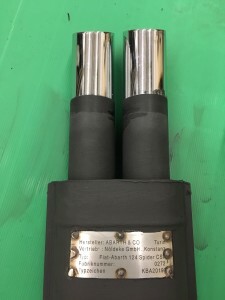 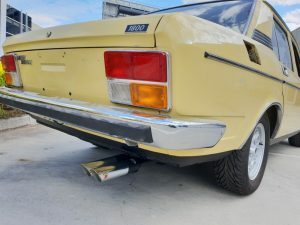 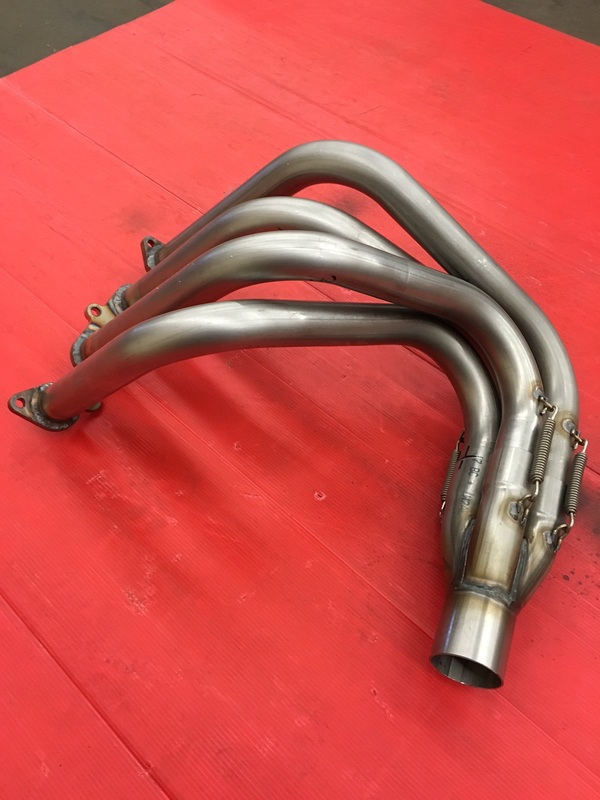 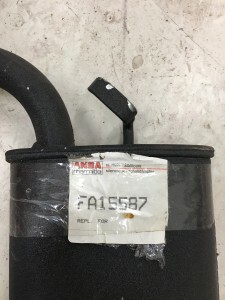 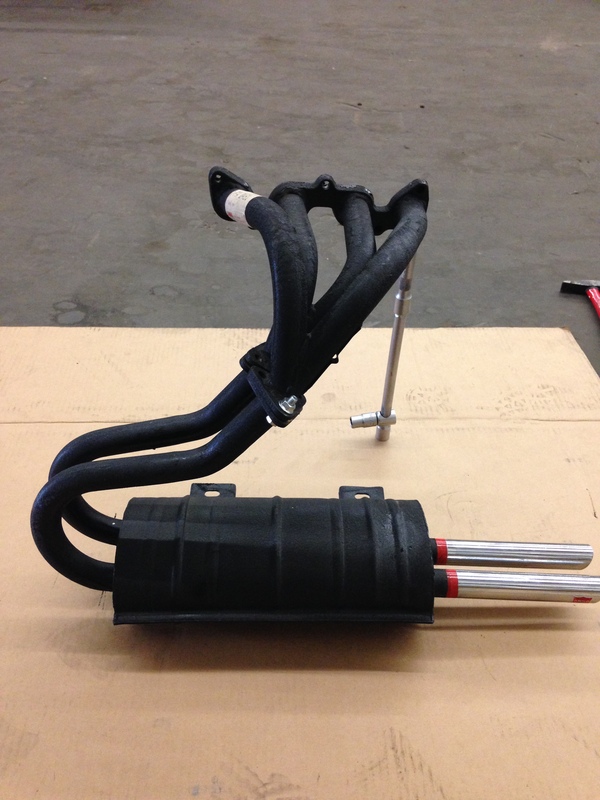 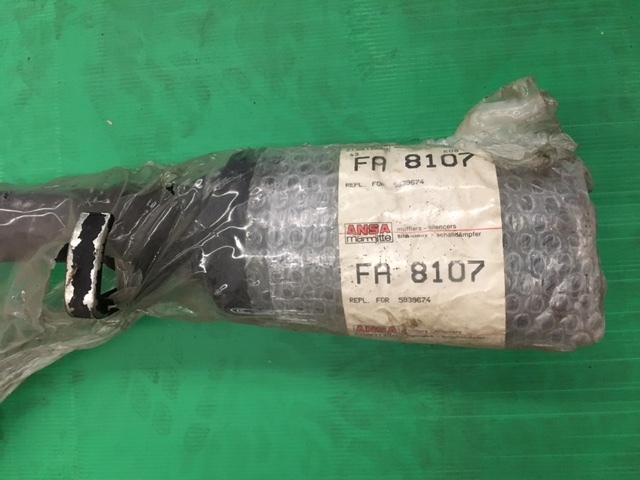 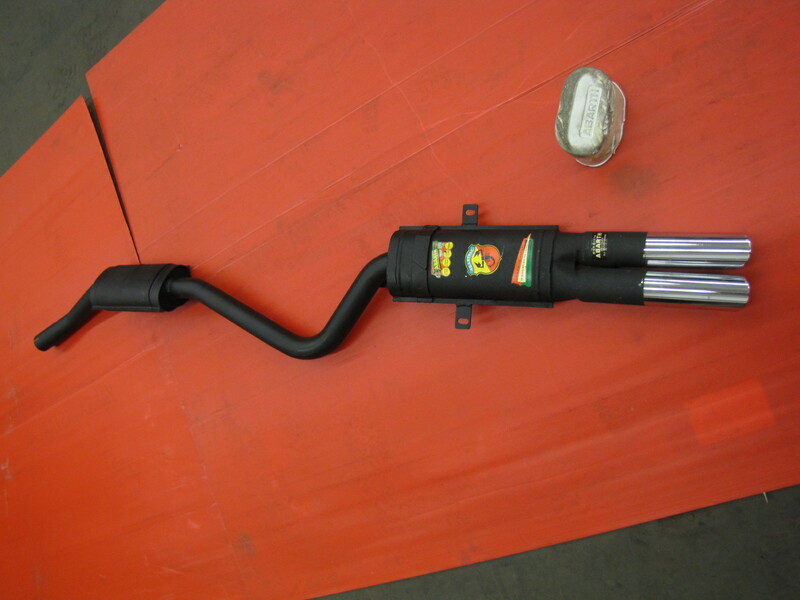 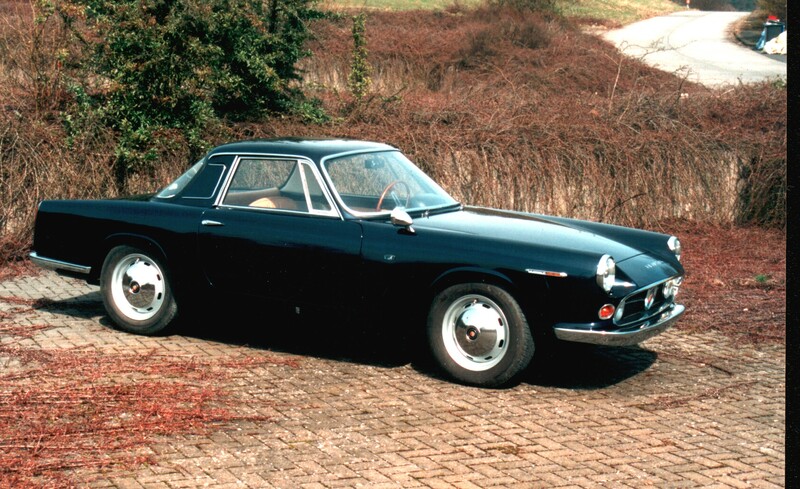 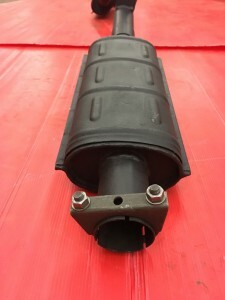 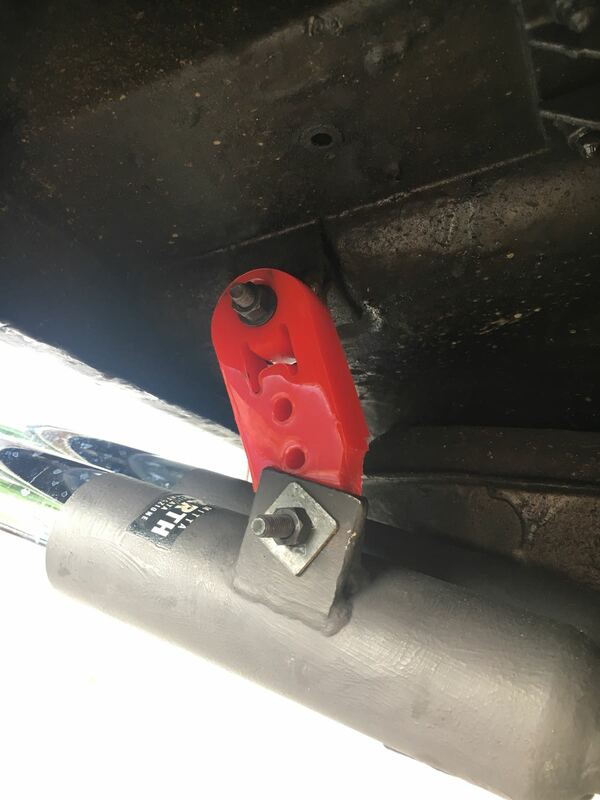 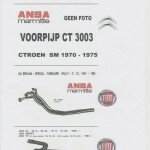 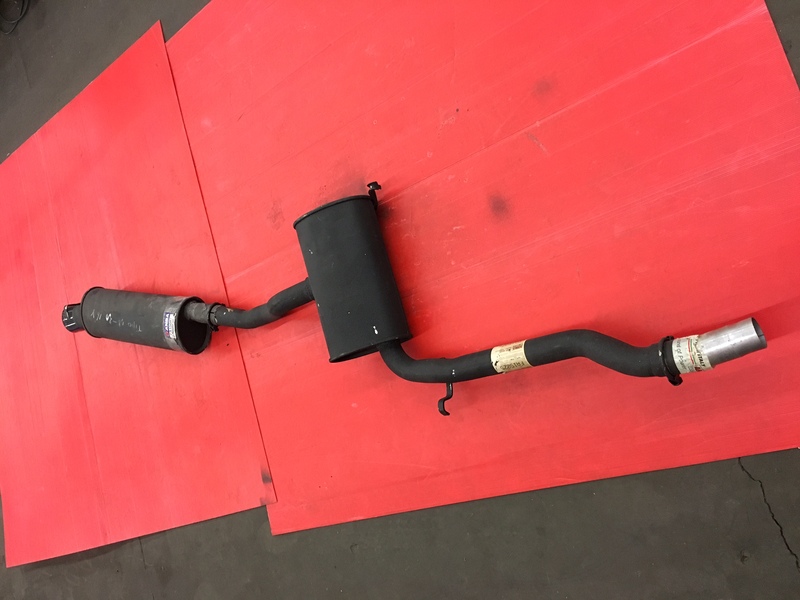 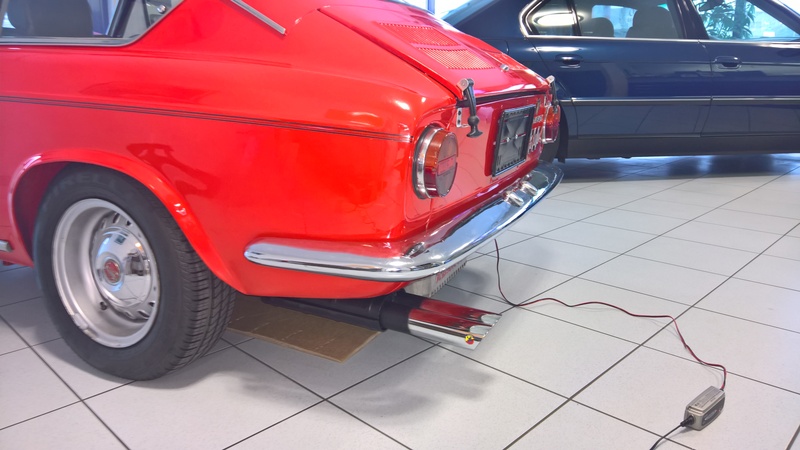 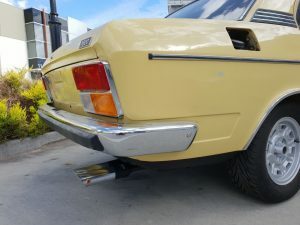 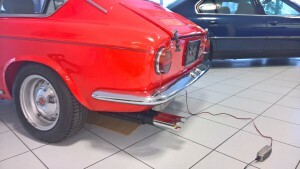 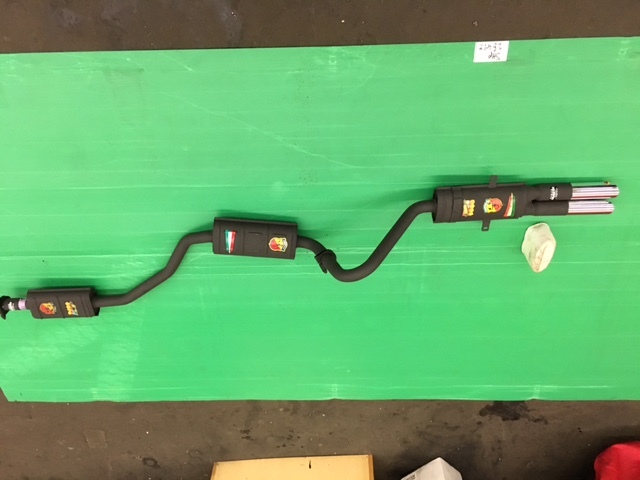 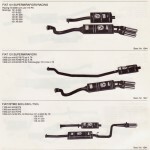 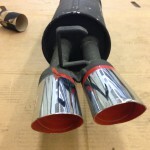 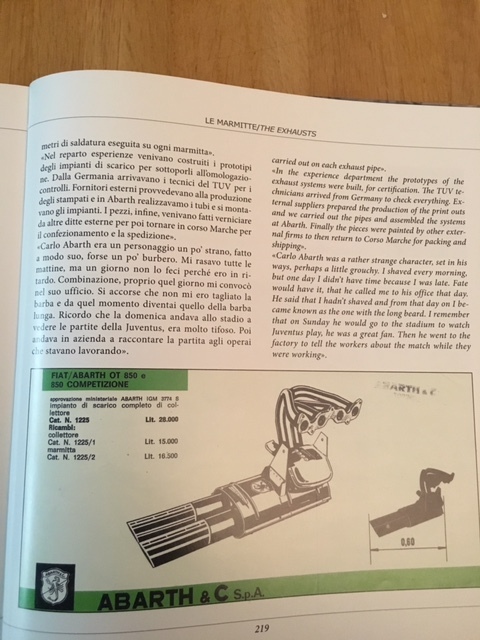 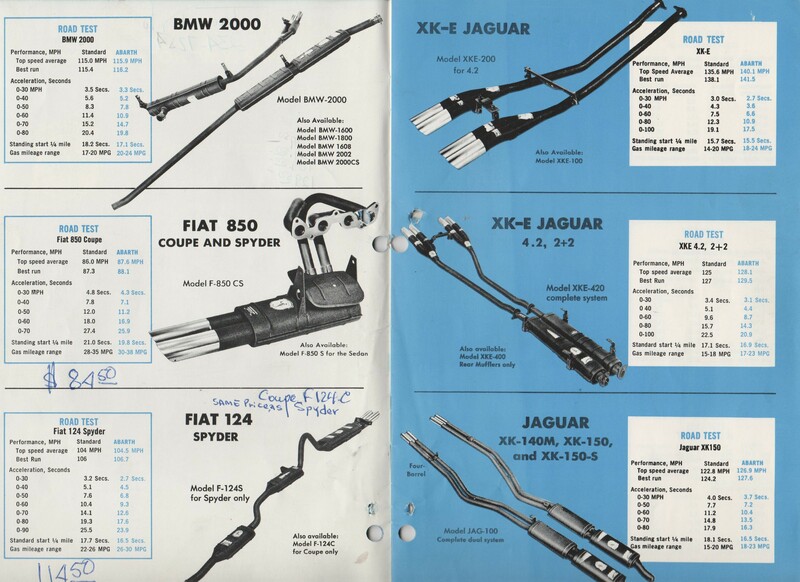 We can also supply the standard IMASAF middlesilencers + pipes for the Fiat 130 Coupe and Berlina, please ask for a quote! 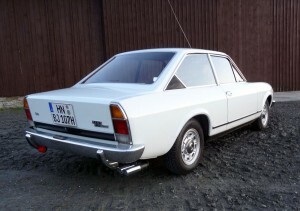 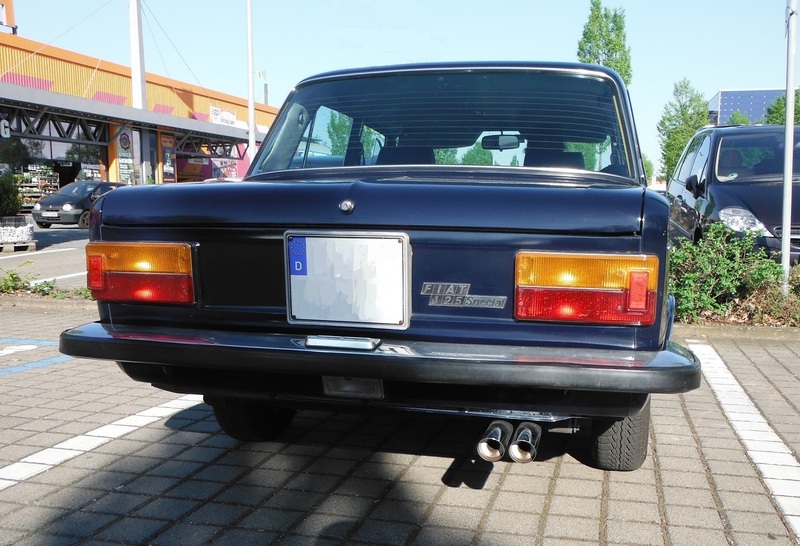 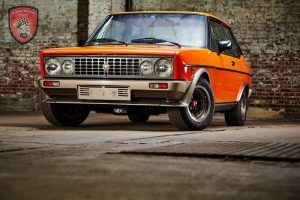 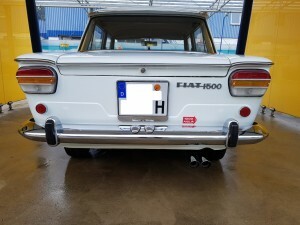 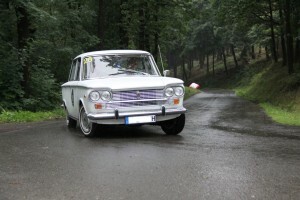 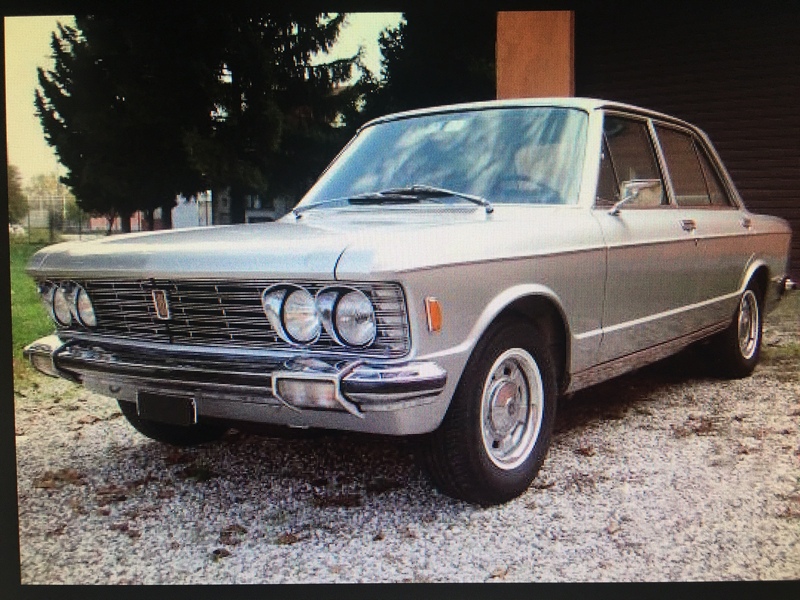 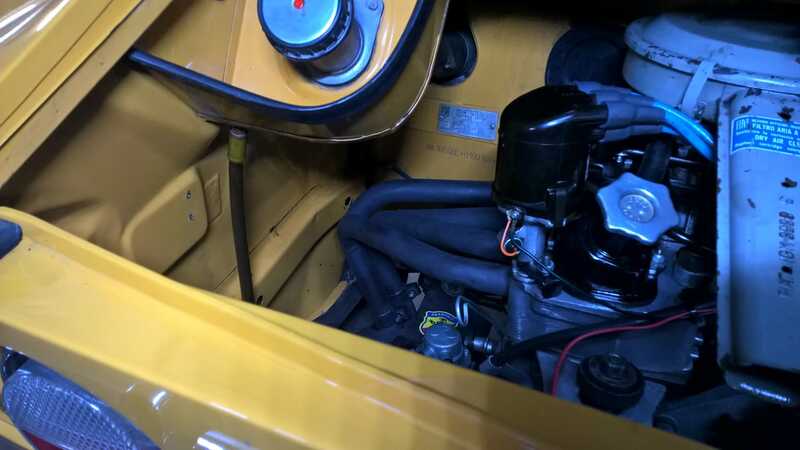 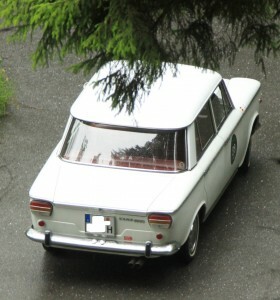 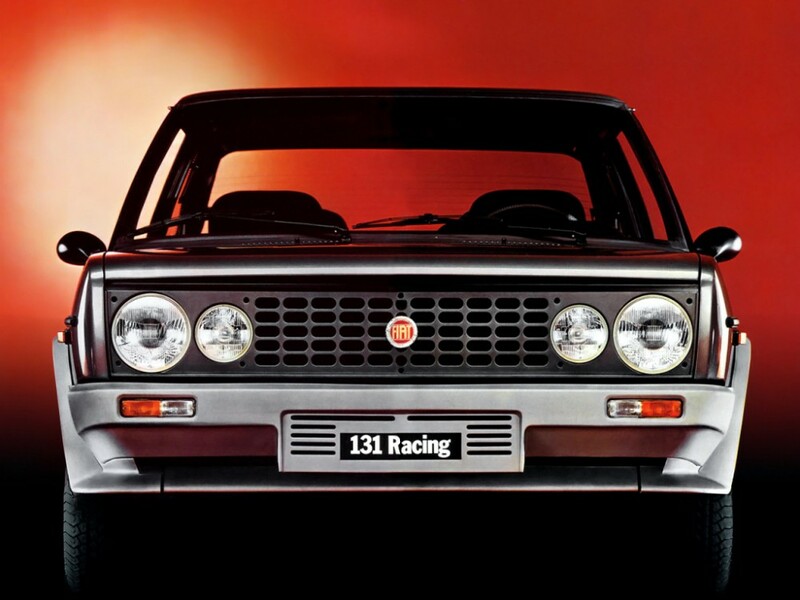 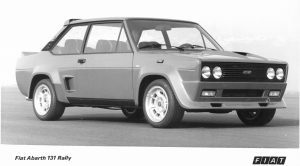 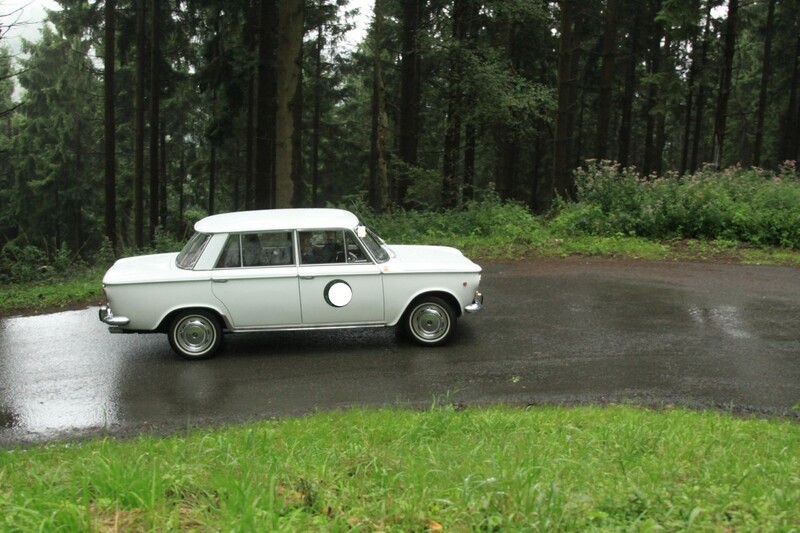 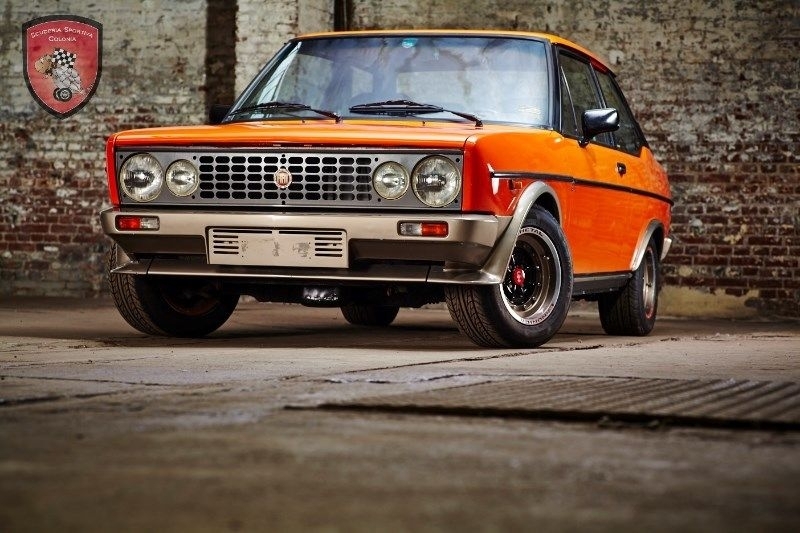 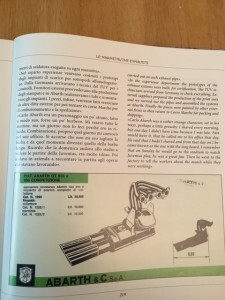 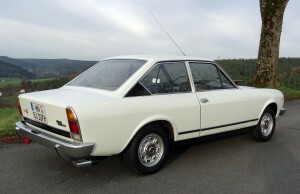 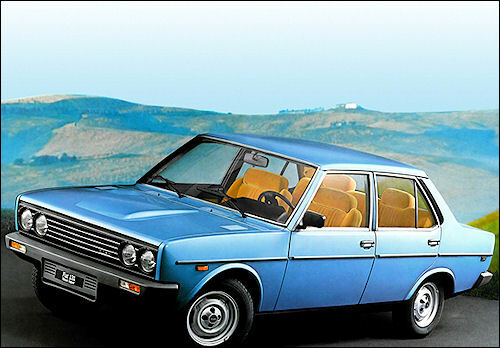 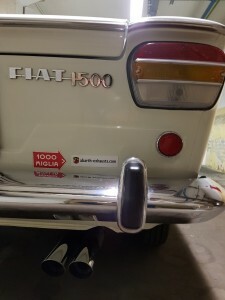 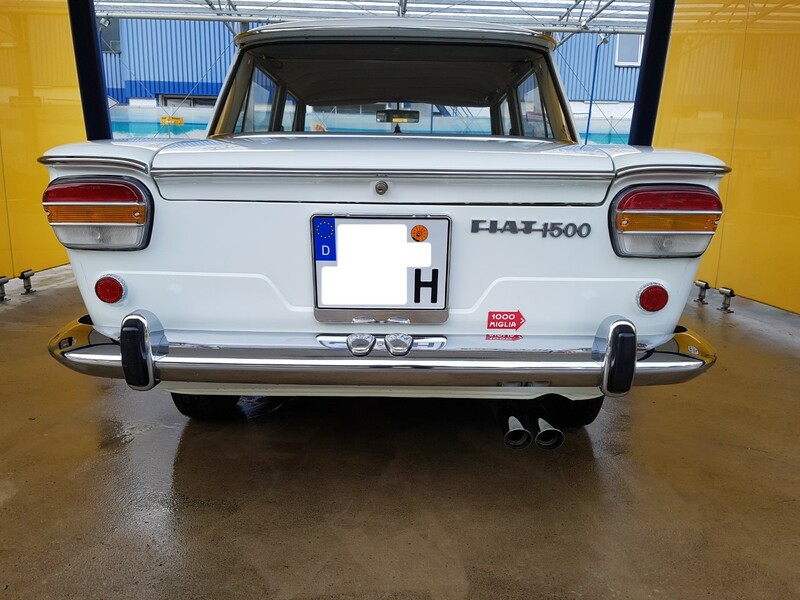 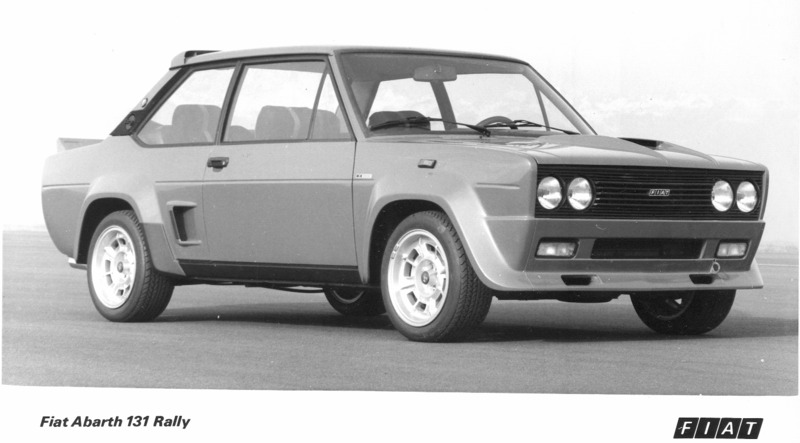 FIAT 131 1300/1600 OHV from ch.nr. 491500, only endsilencer. 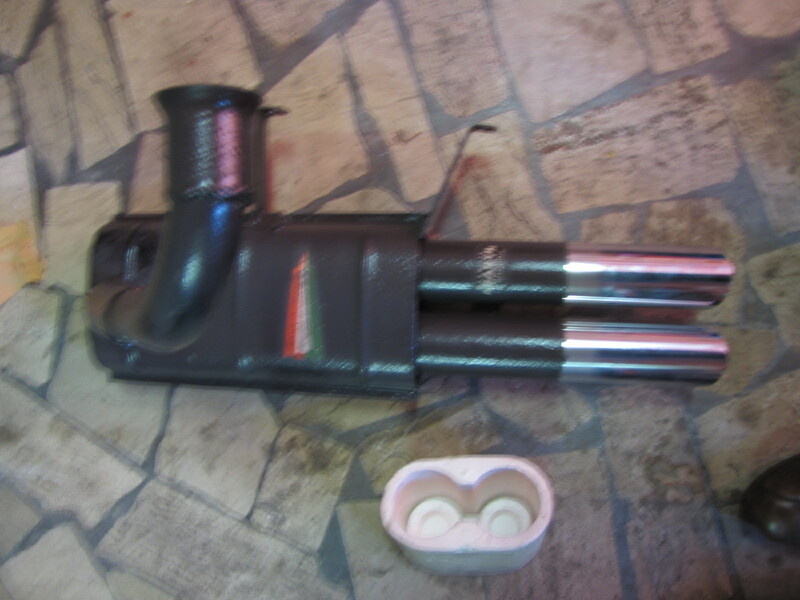 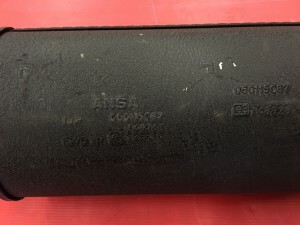 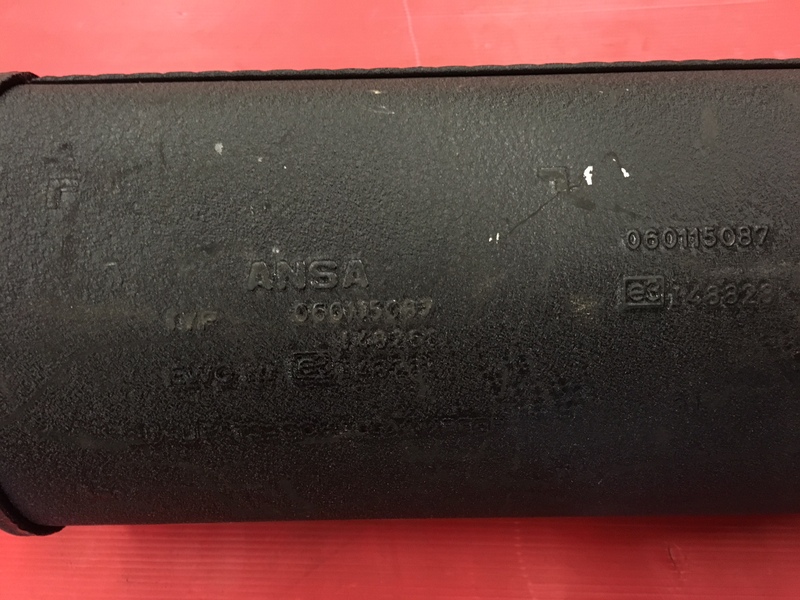 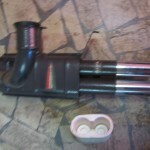 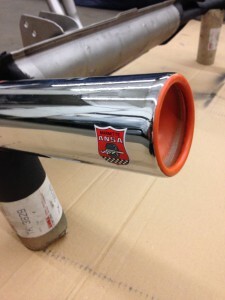 ANSA Endsilencer with 90 mm endresonator, Ansa nr. 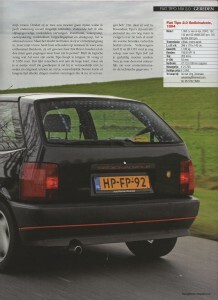 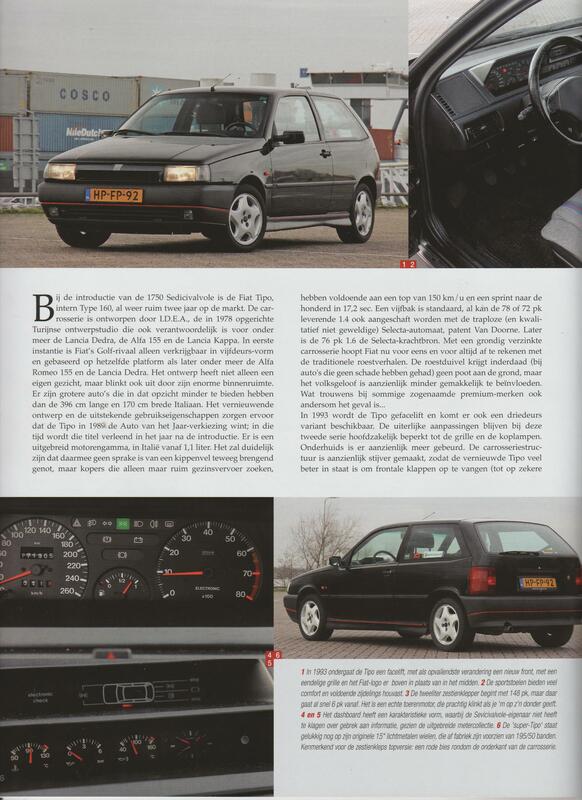 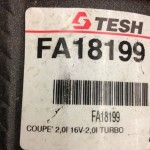 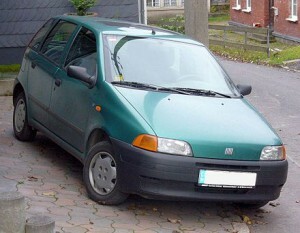 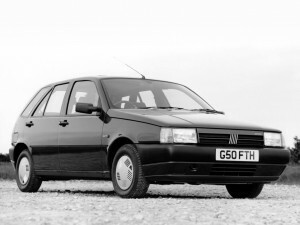 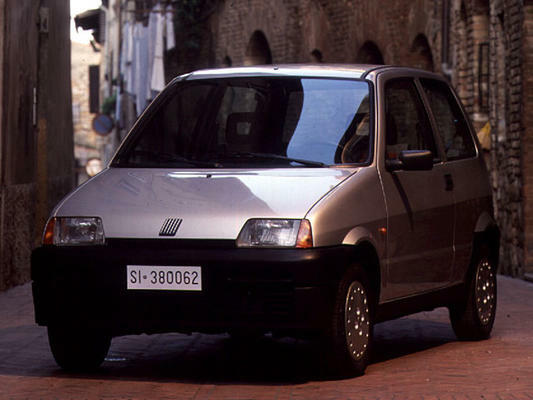 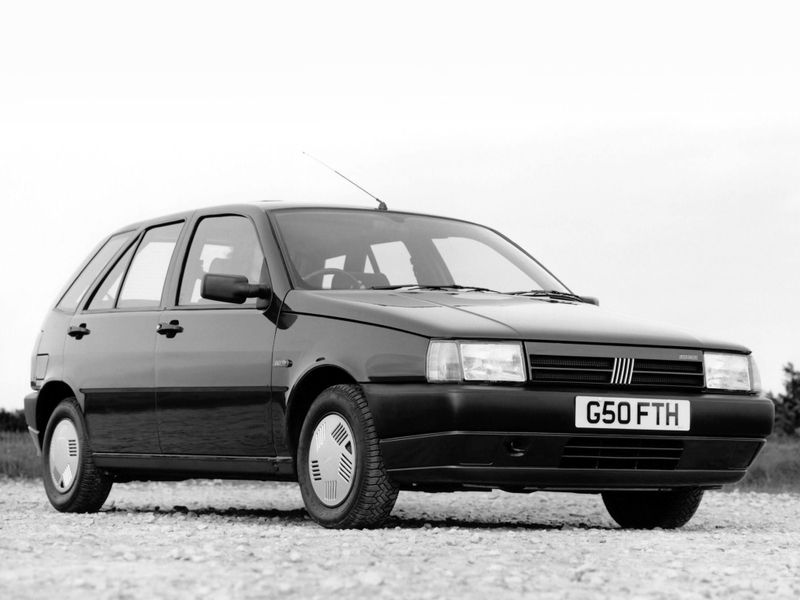 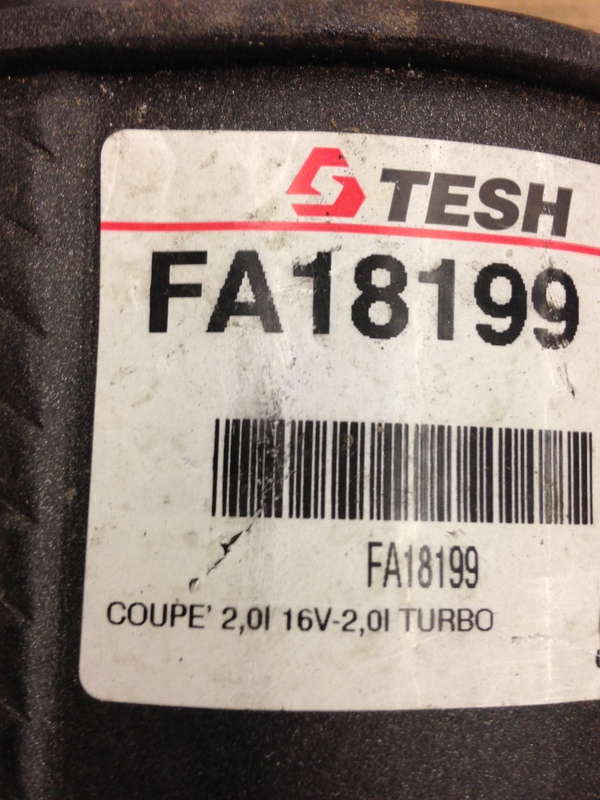 FA18199 from 1994 incl. 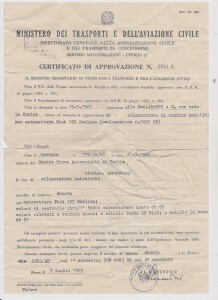 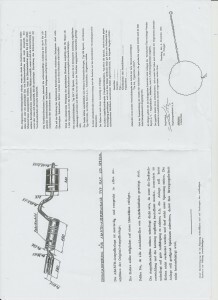 EEC approval. 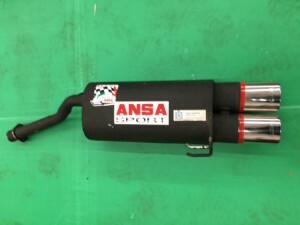 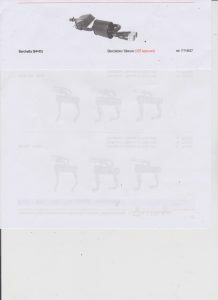 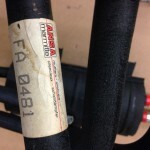 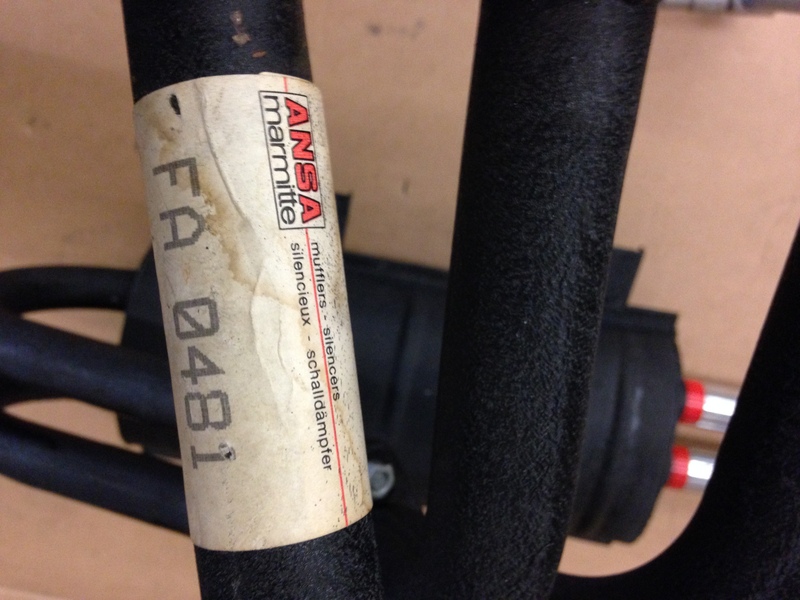 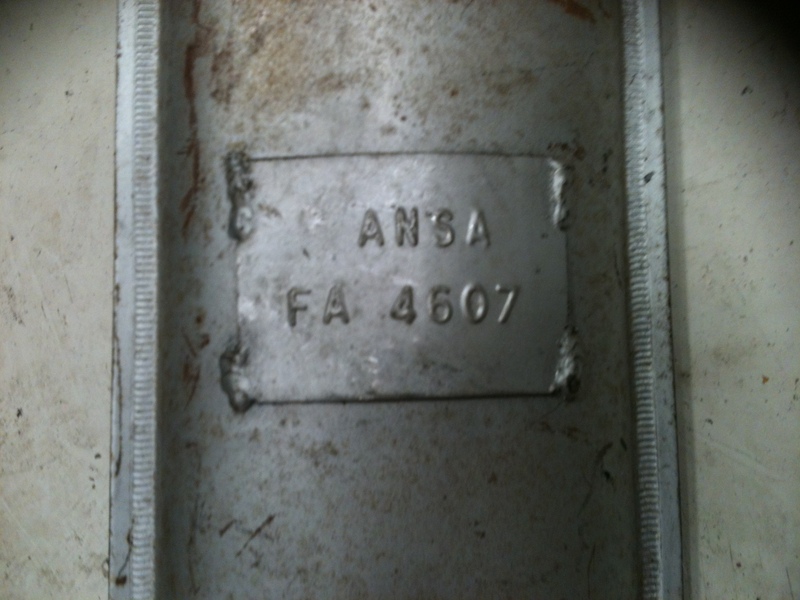 Again available: ANSA original endsilencer with twin 60 mm chromium endresonators, CEE approved!